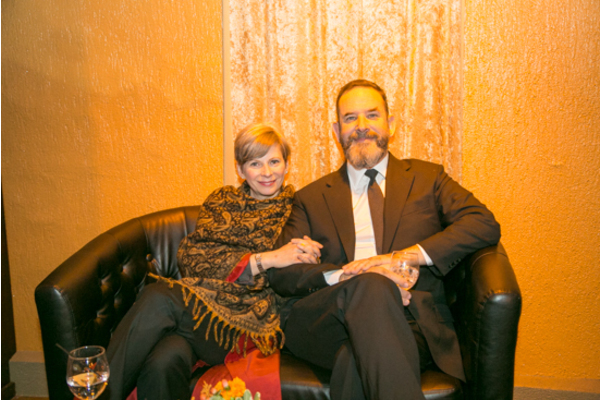 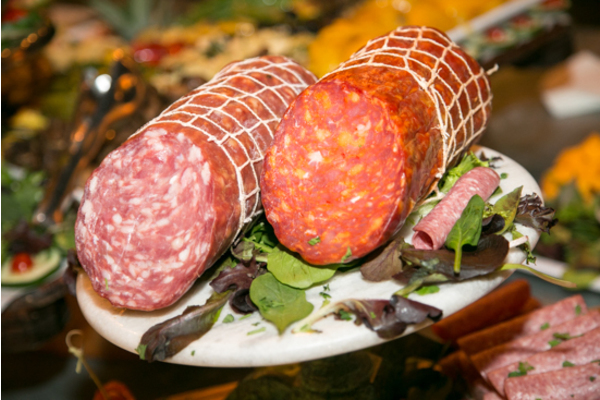 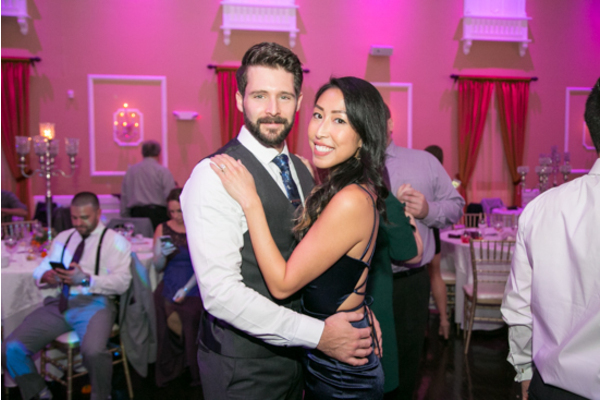 Congratulations to this lovely couple on their recent marriage! 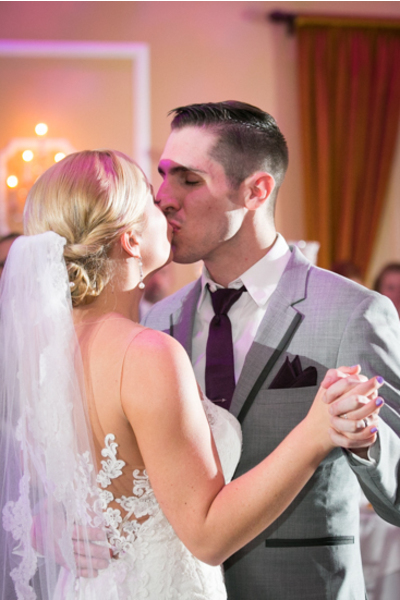 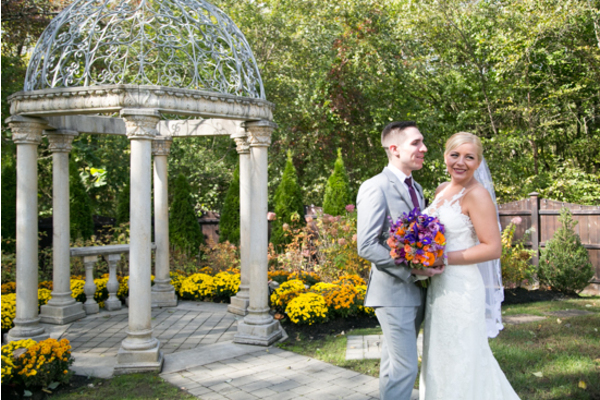 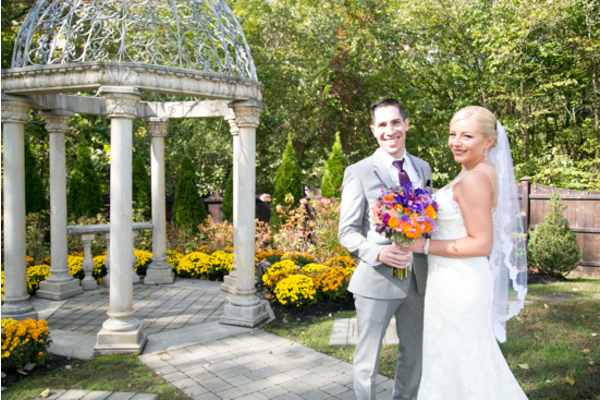 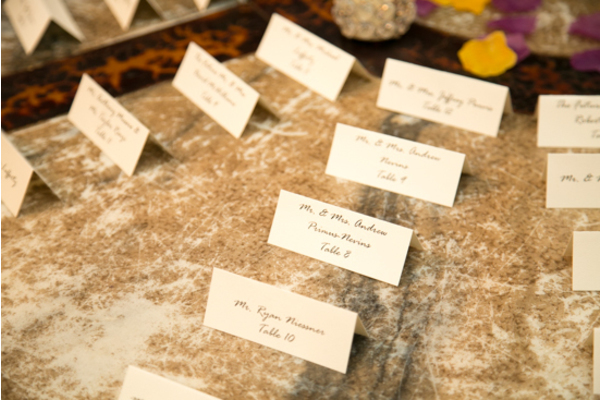 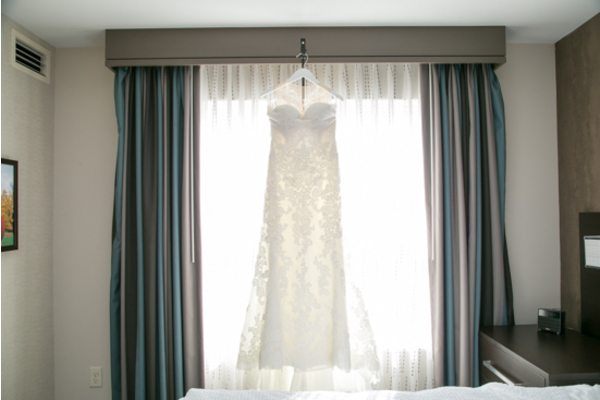 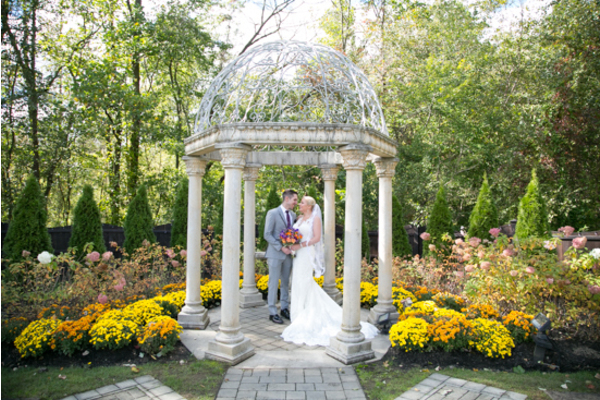 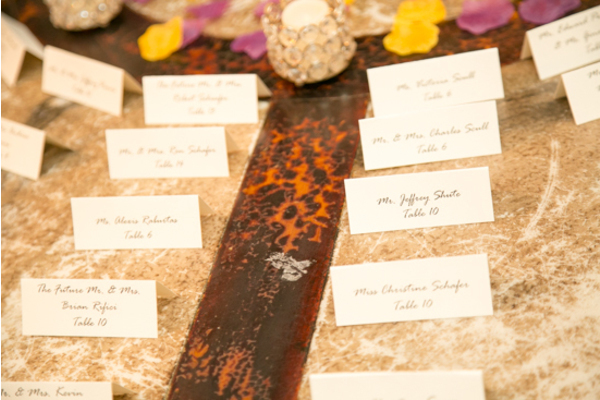 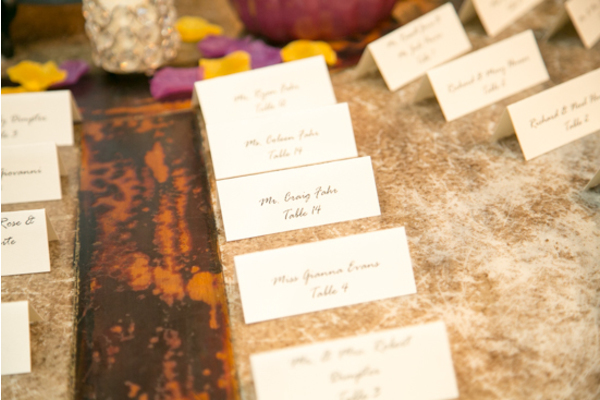 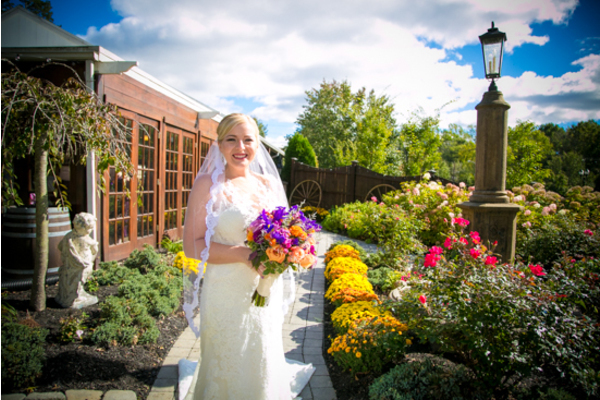 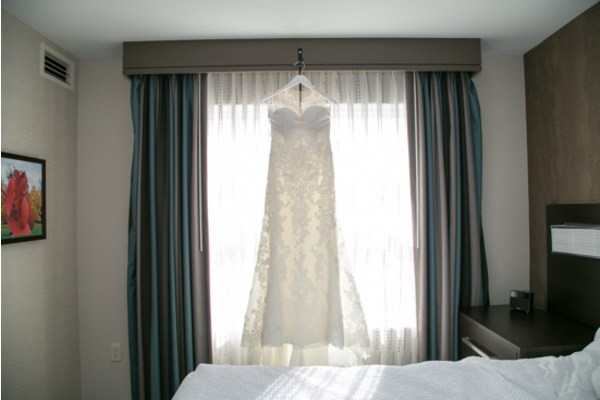 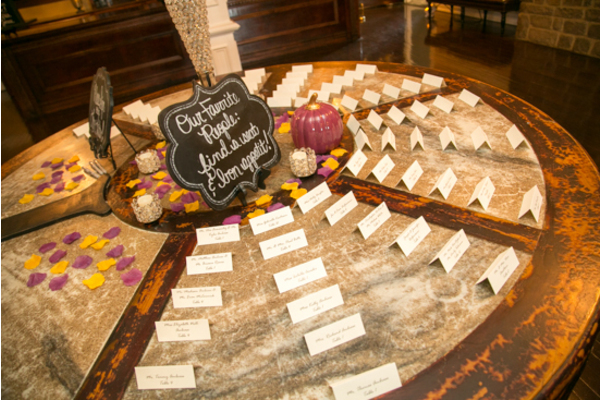 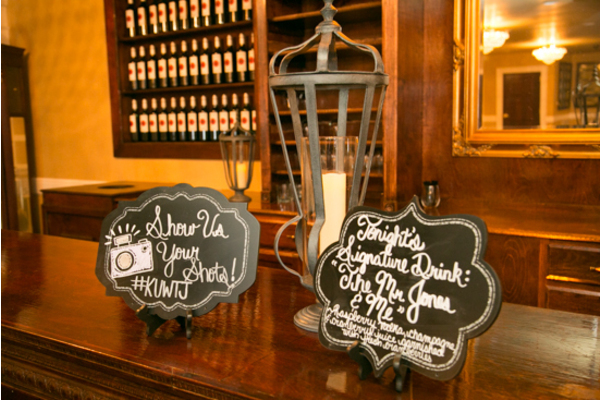 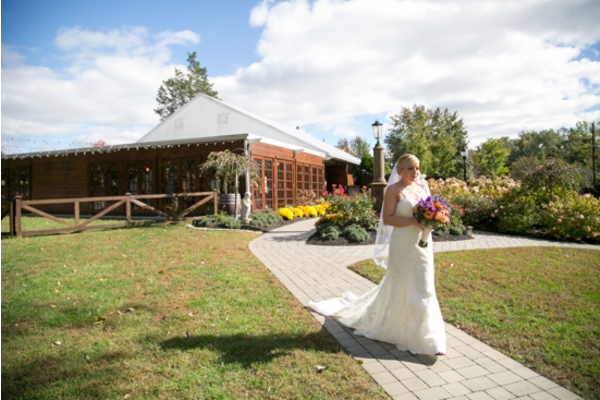 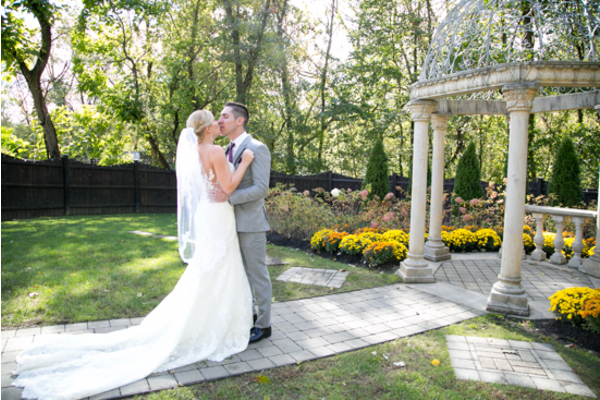 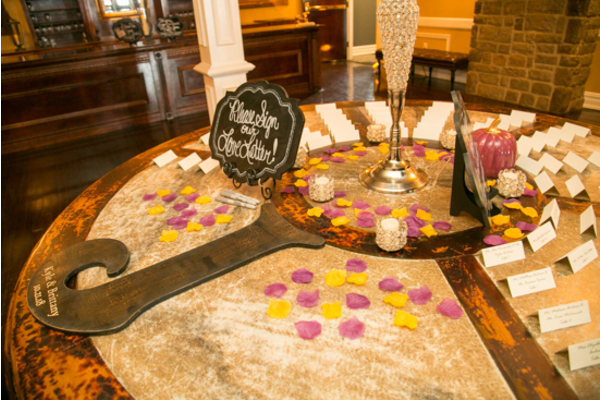 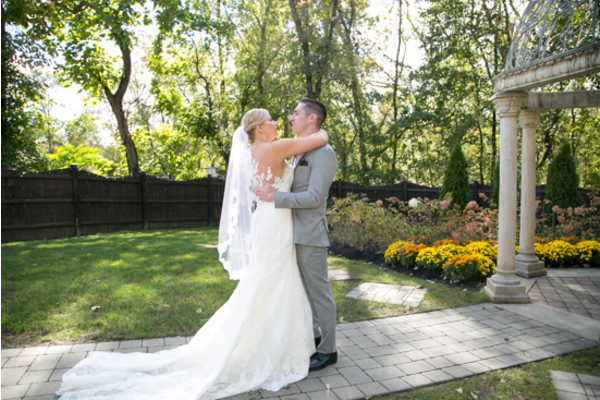 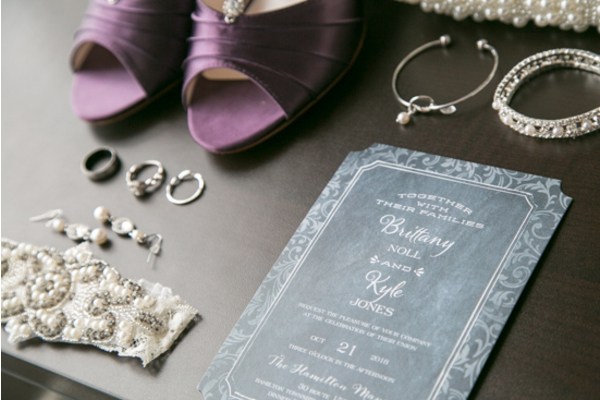 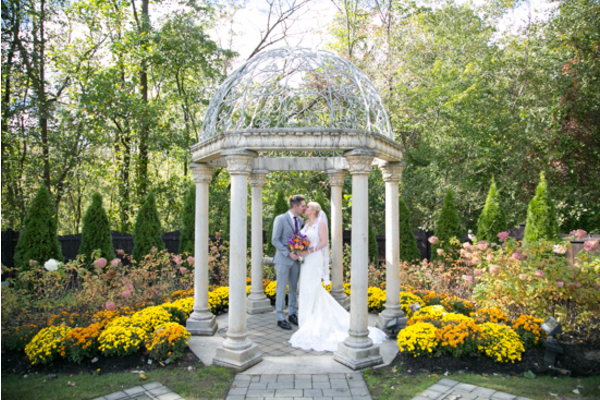 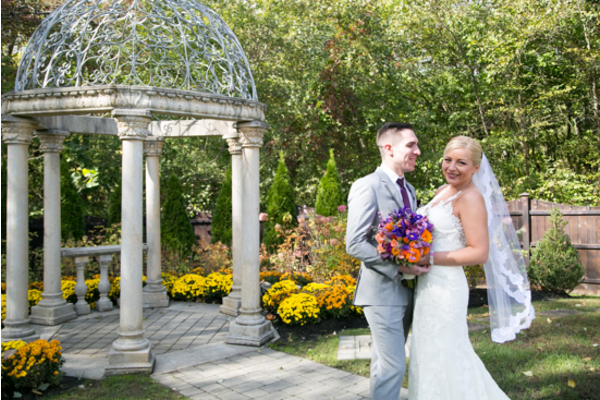 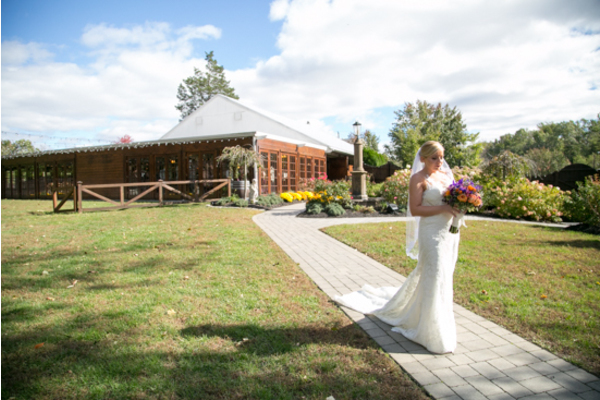 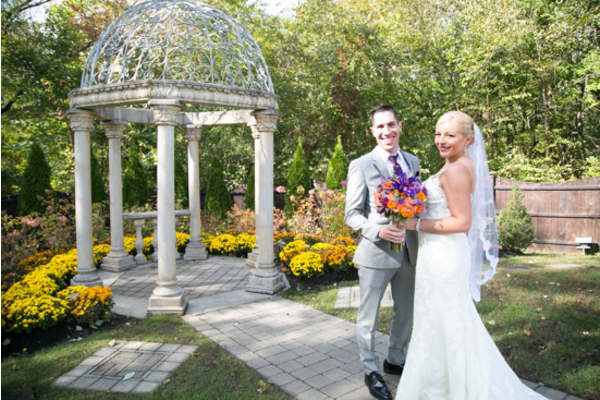 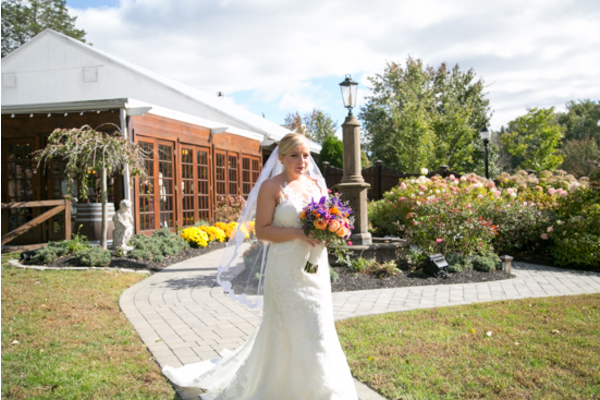 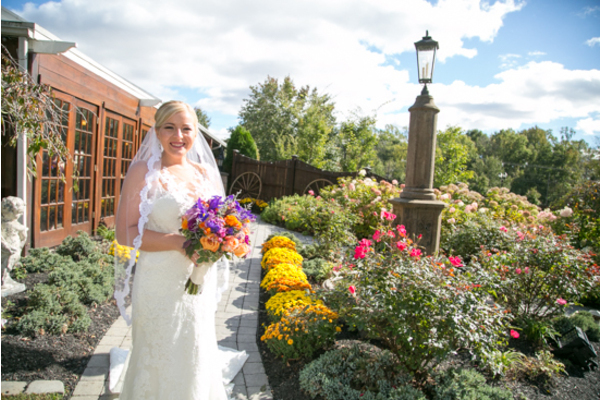 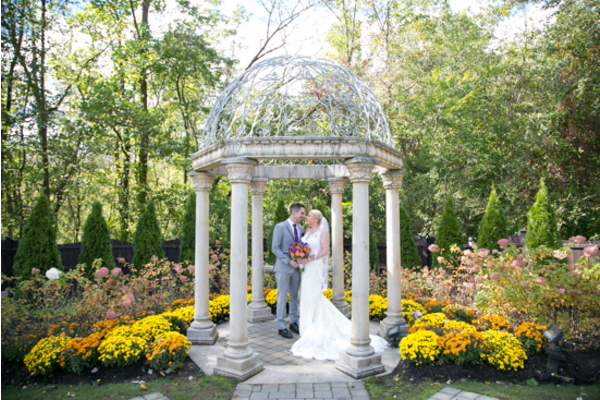 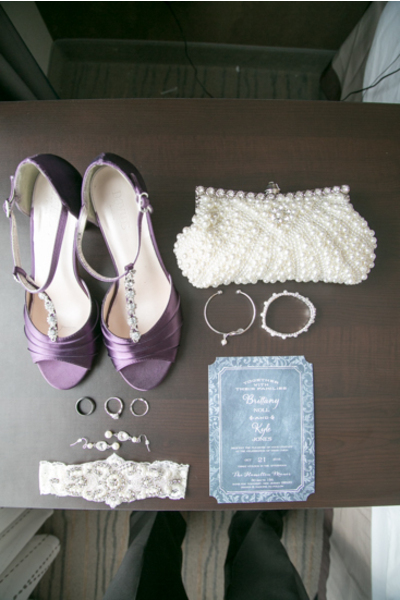 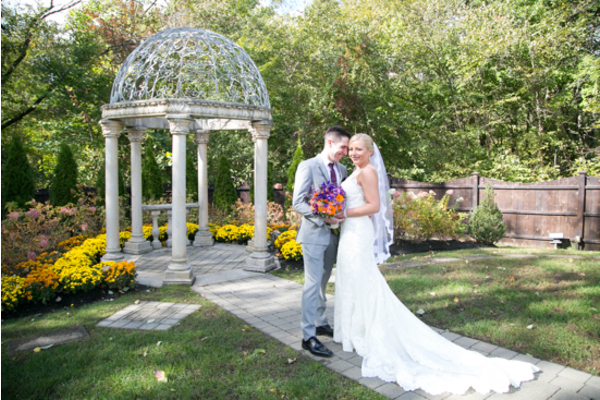 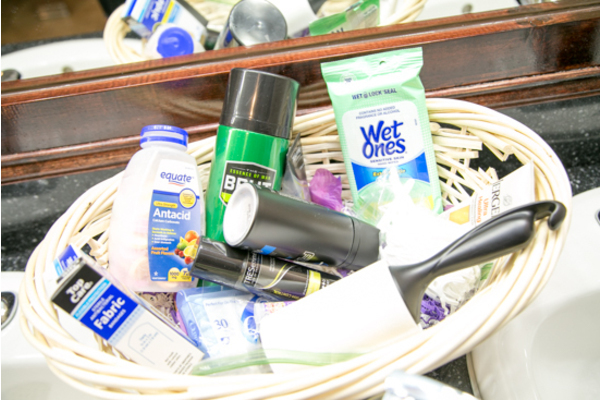 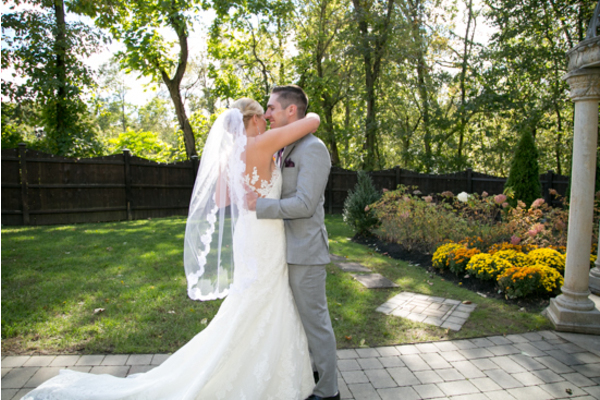 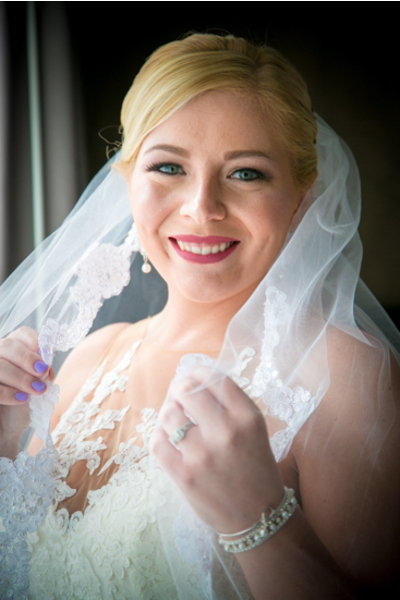 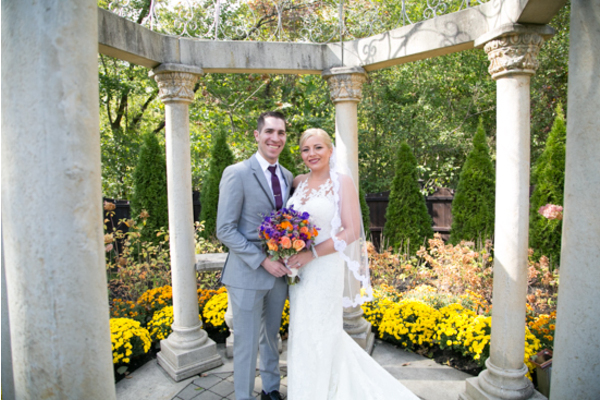 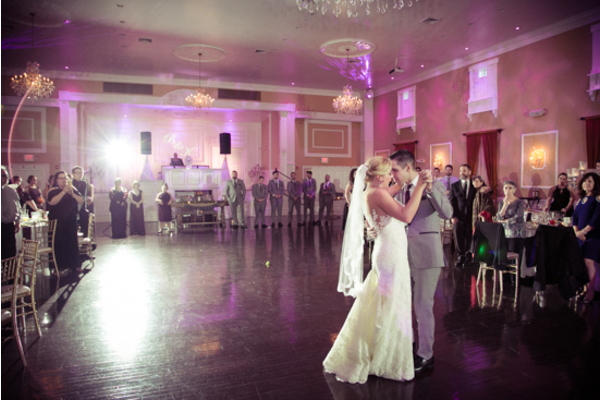 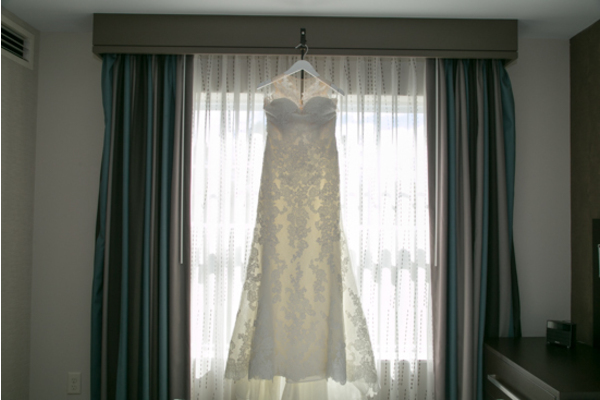 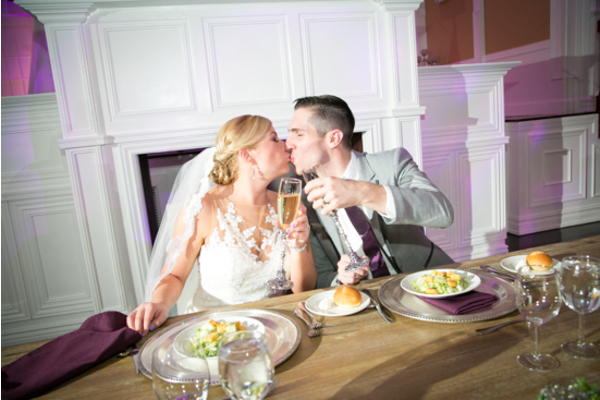 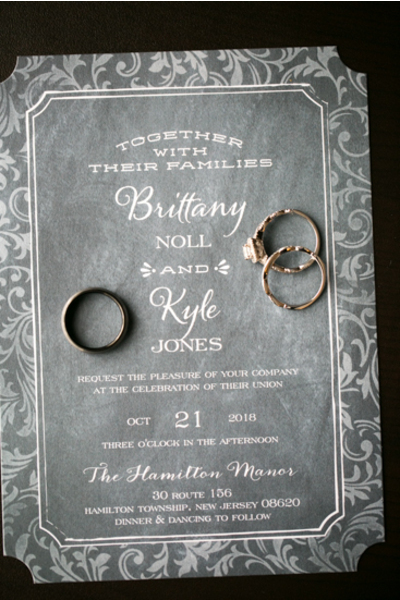 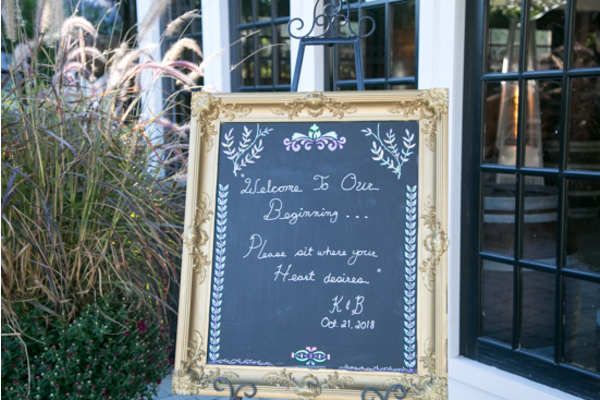 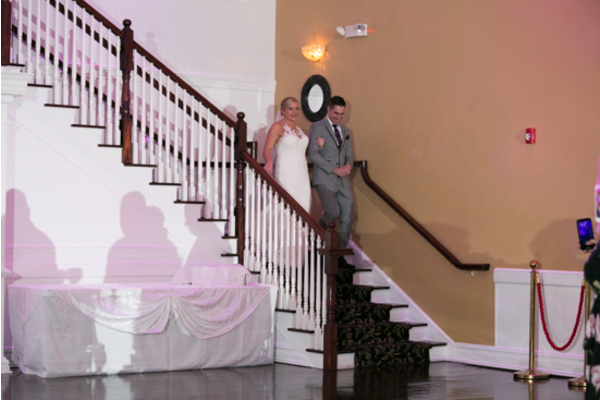 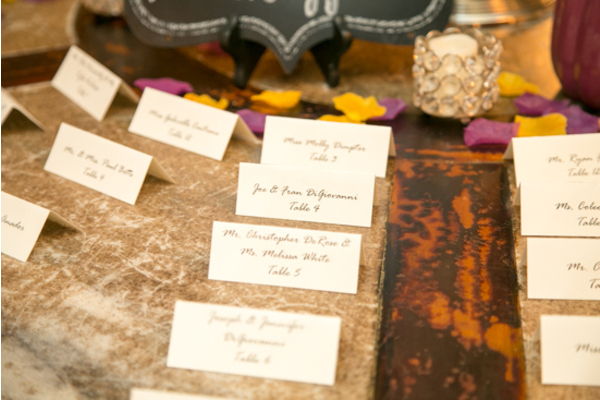 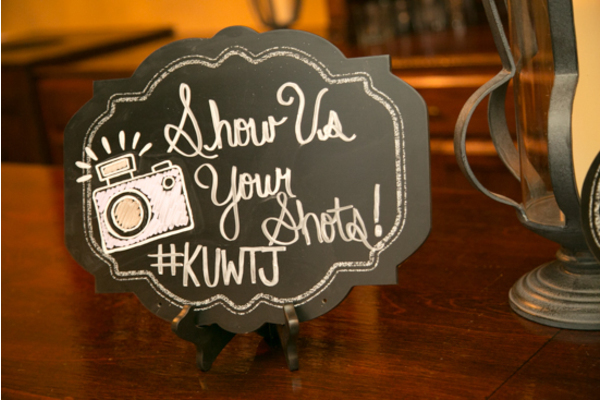 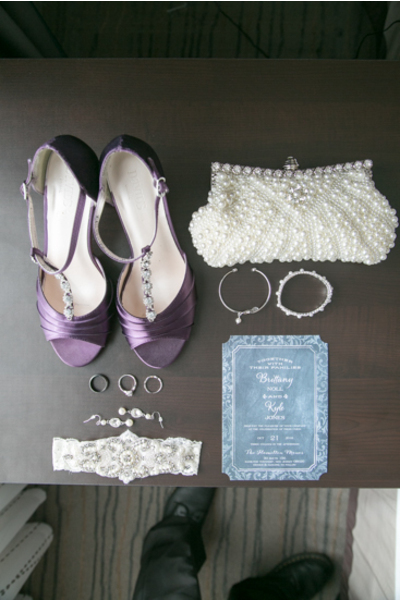 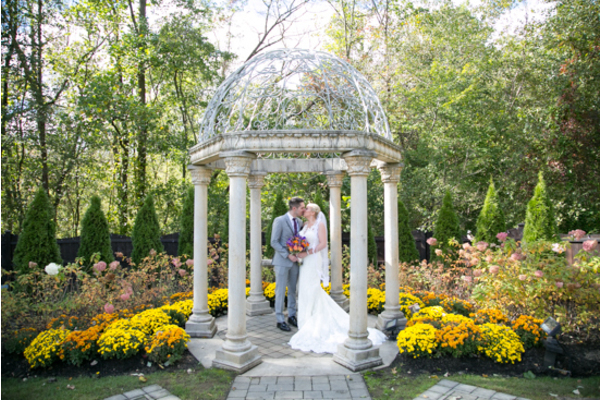 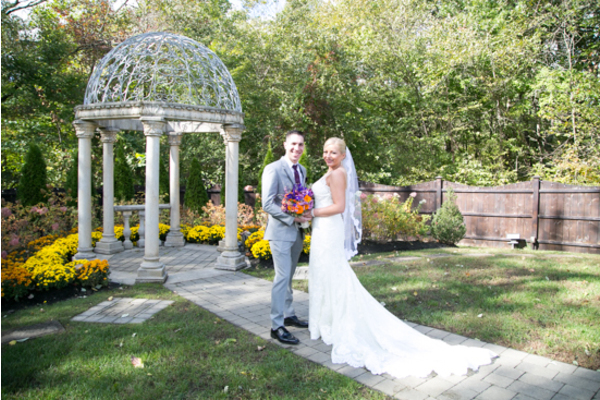 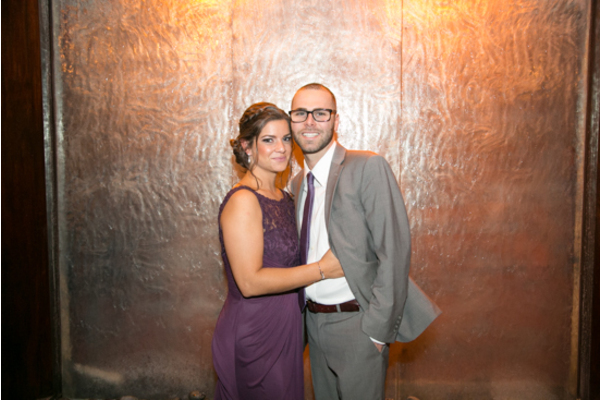 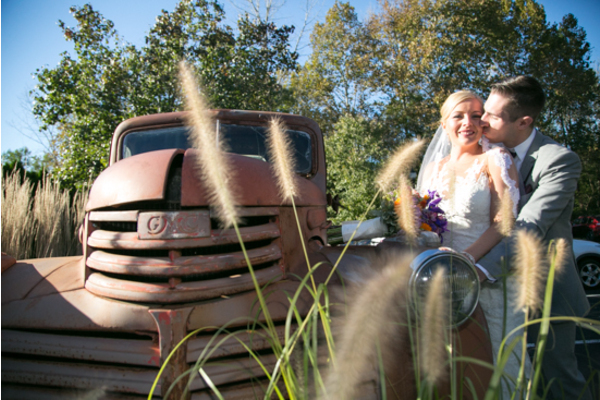 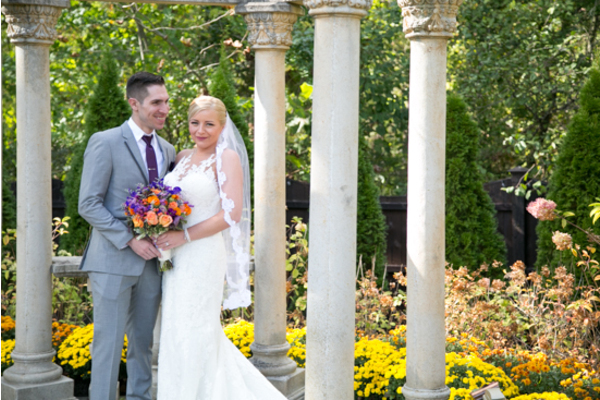 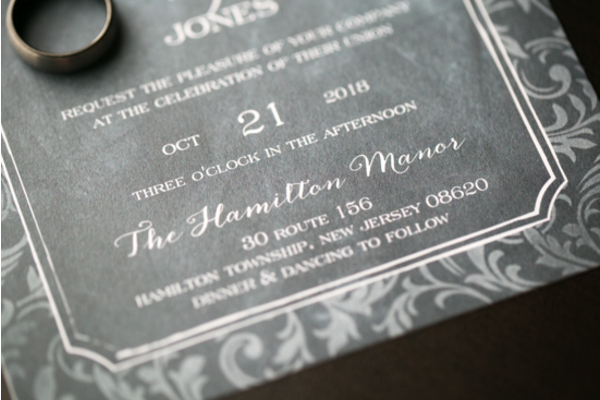 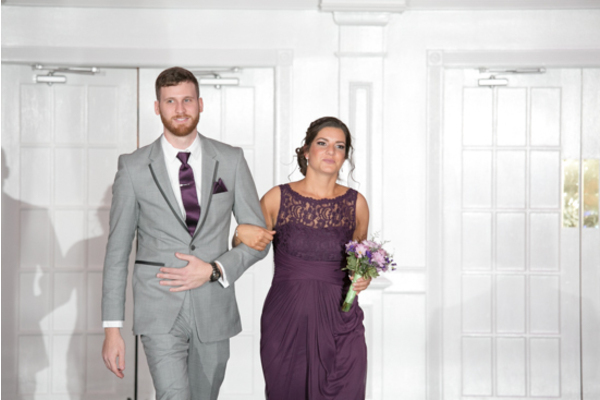 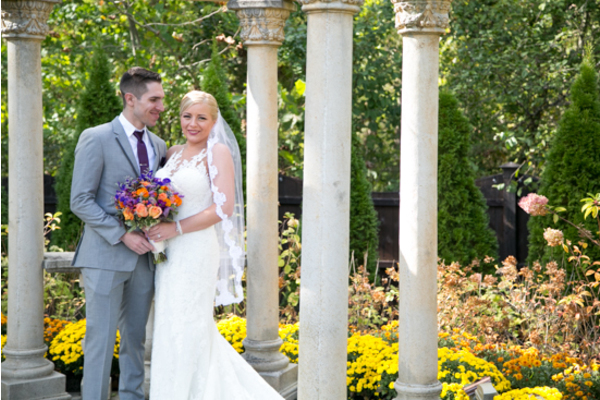 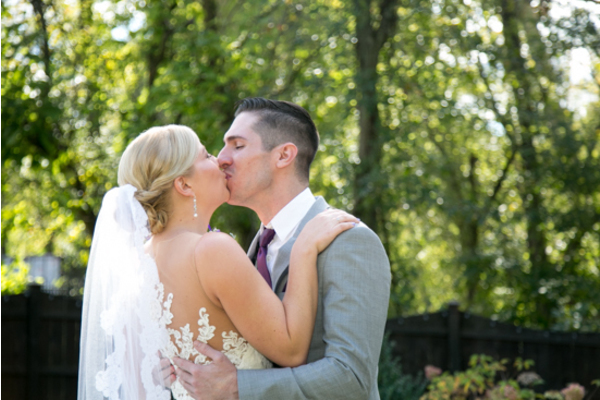 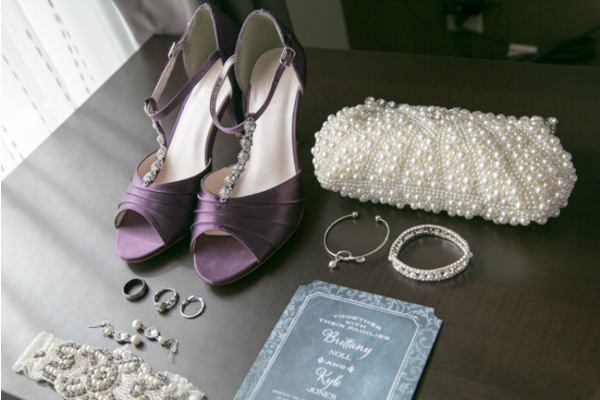 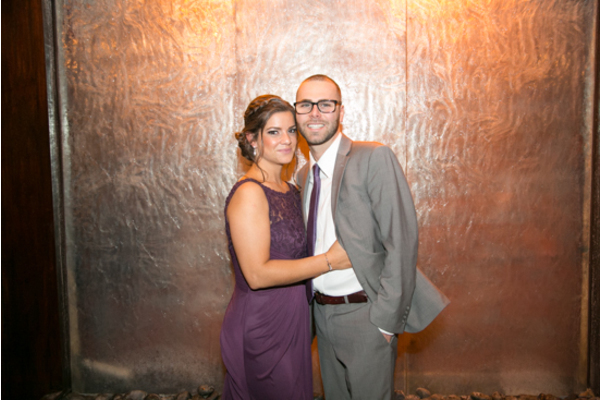 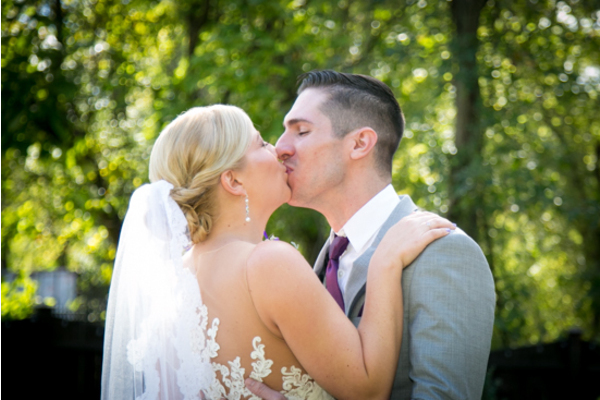 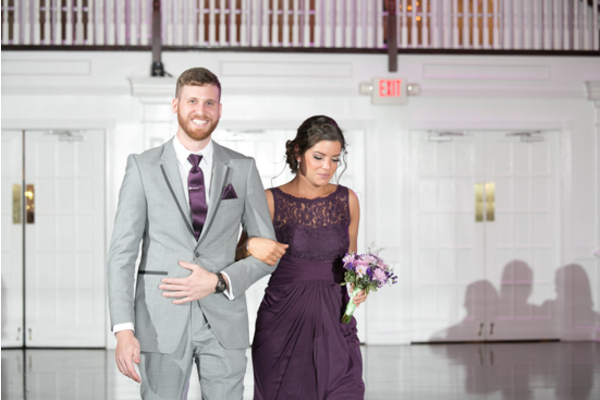 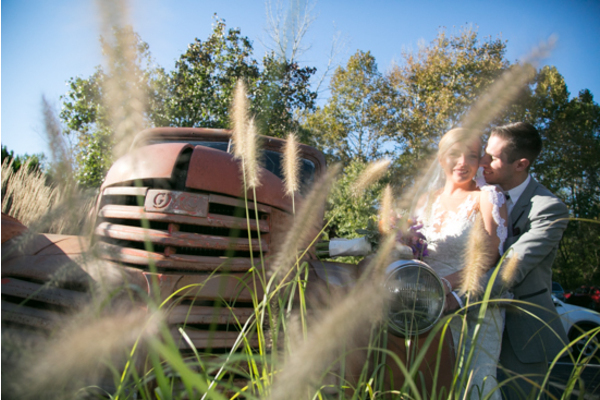 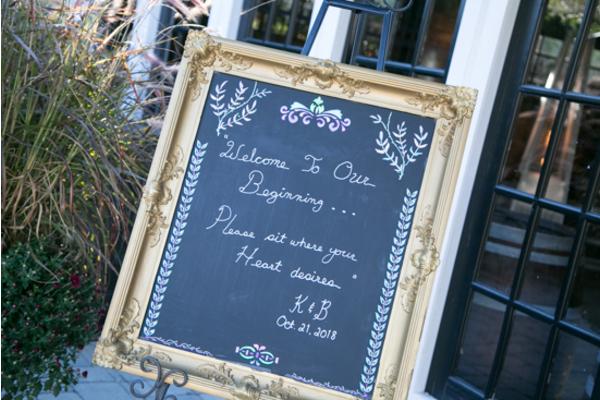 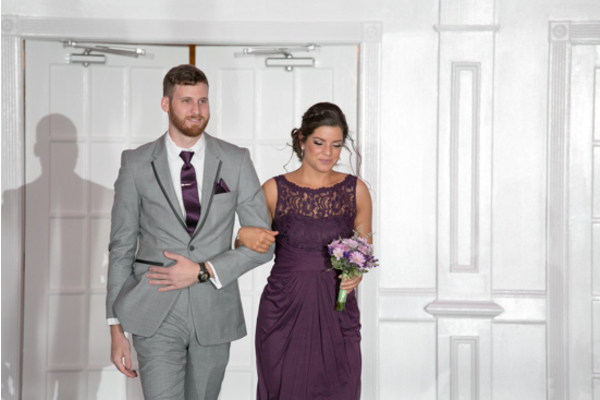 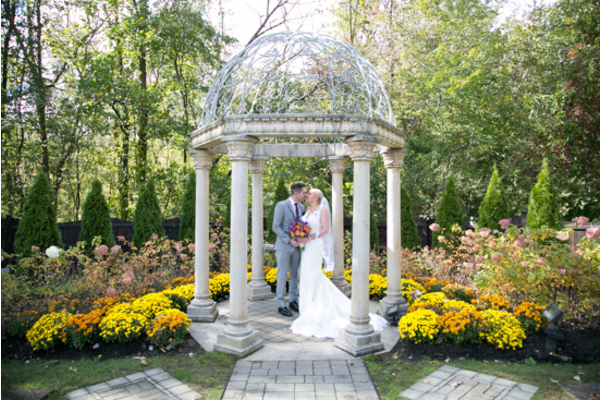 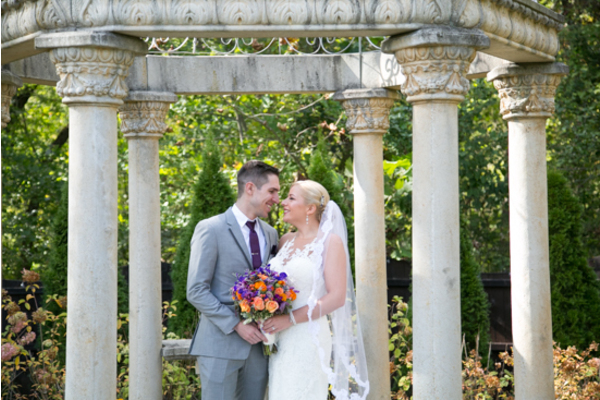 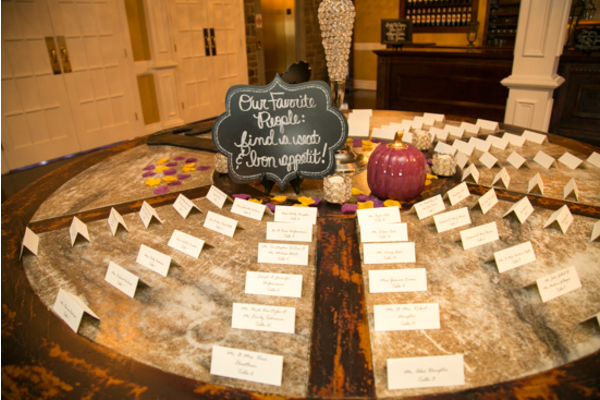 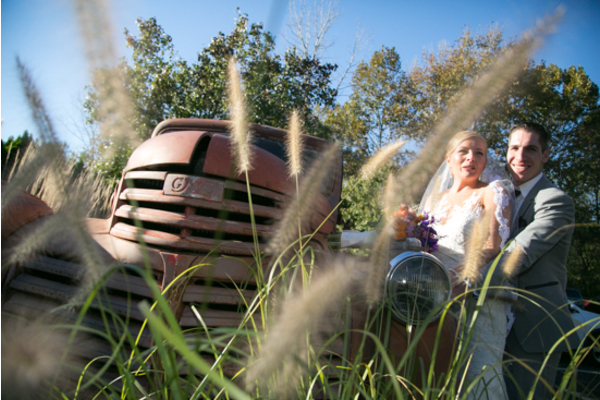 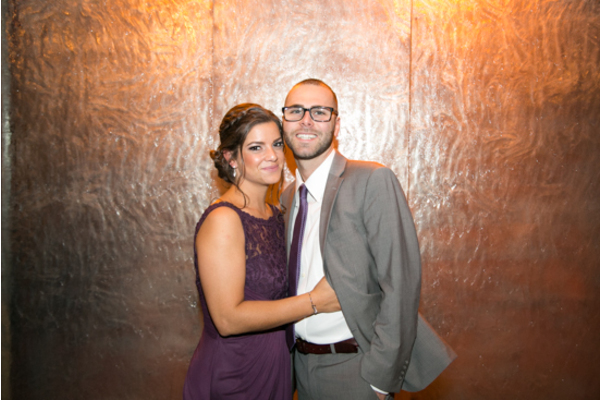 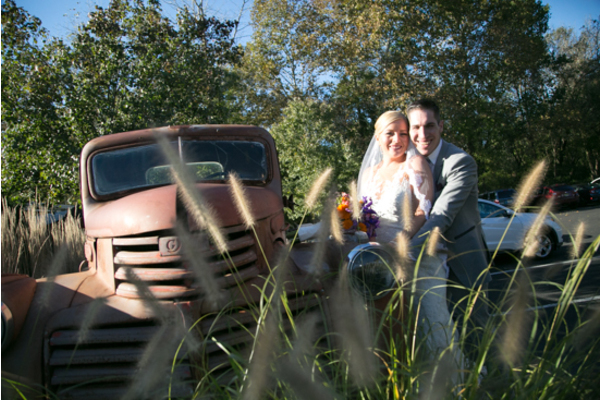 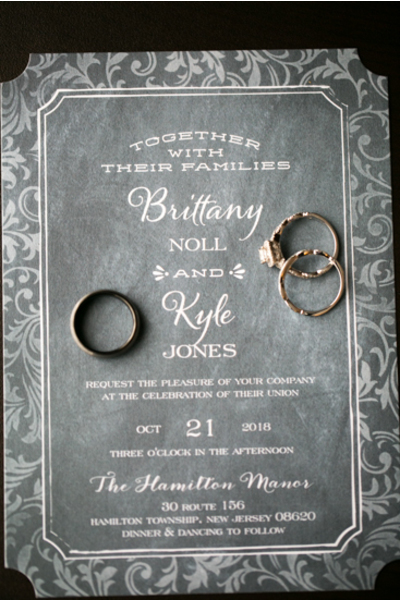 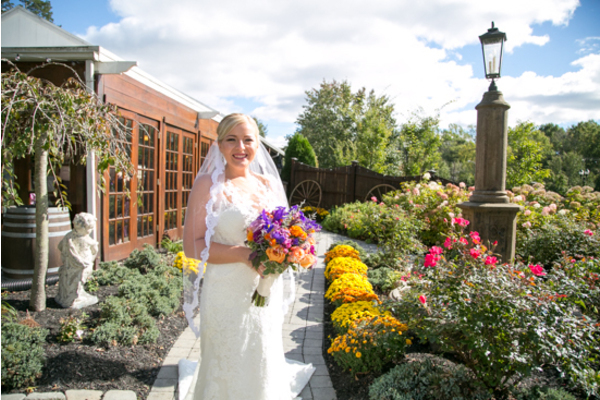 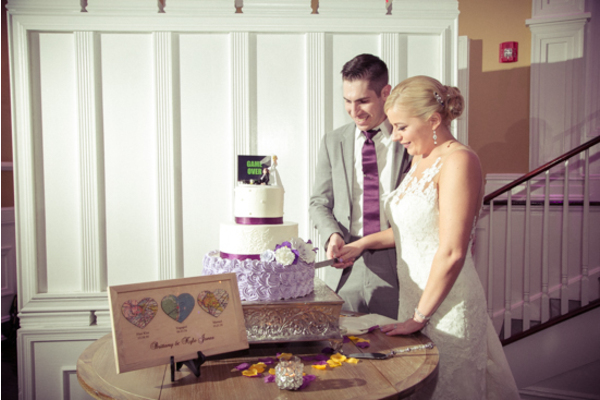 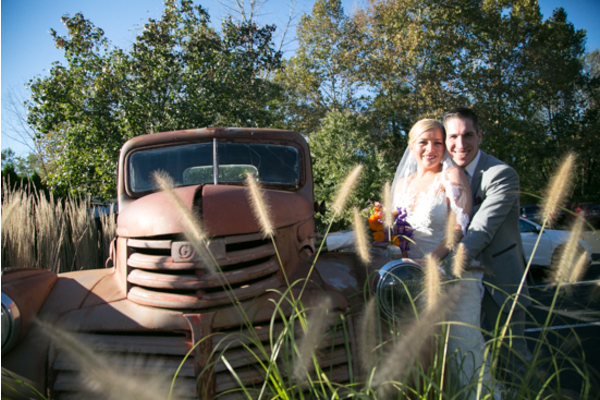 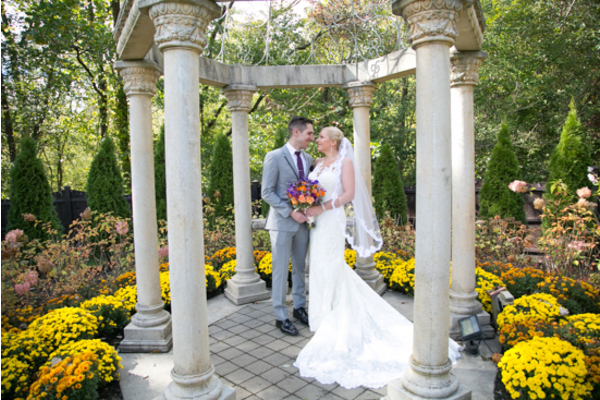 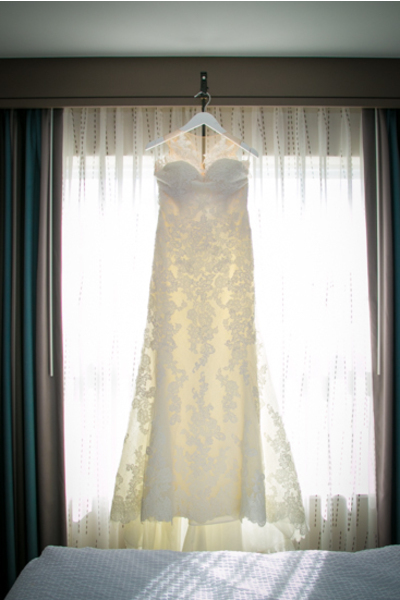 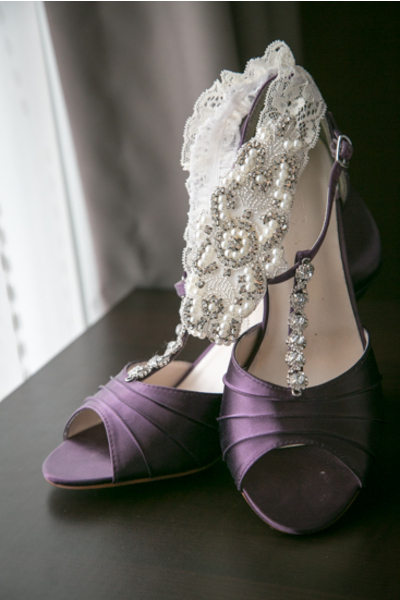 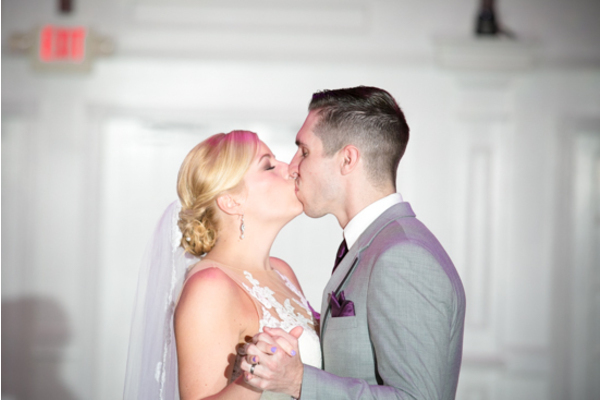 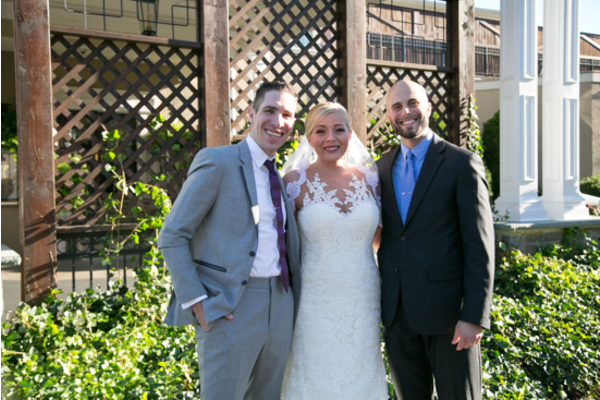 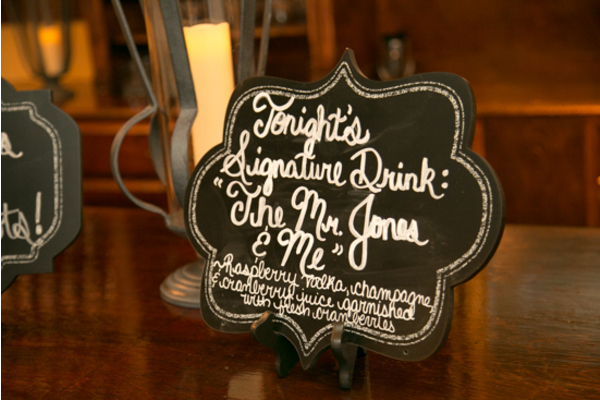 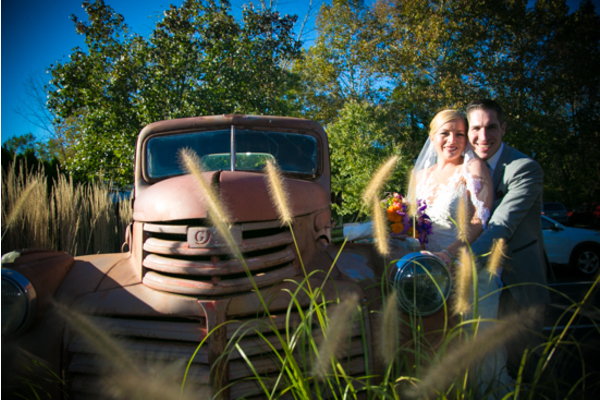 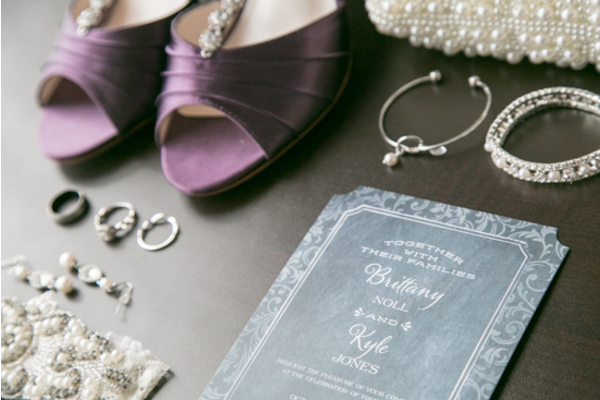 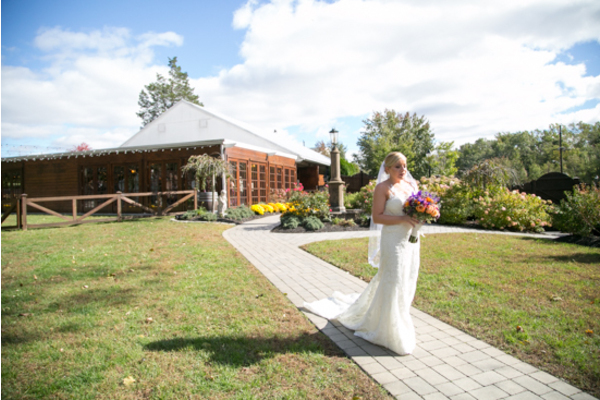 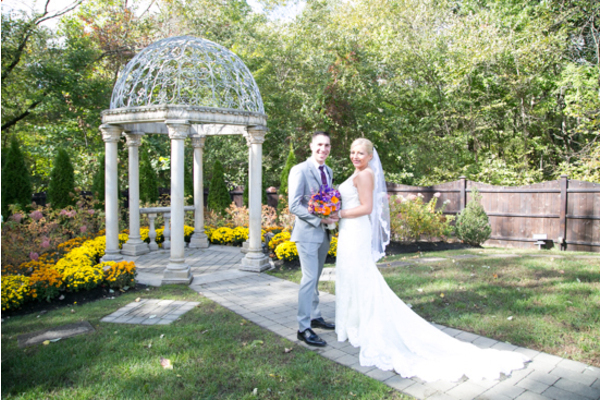 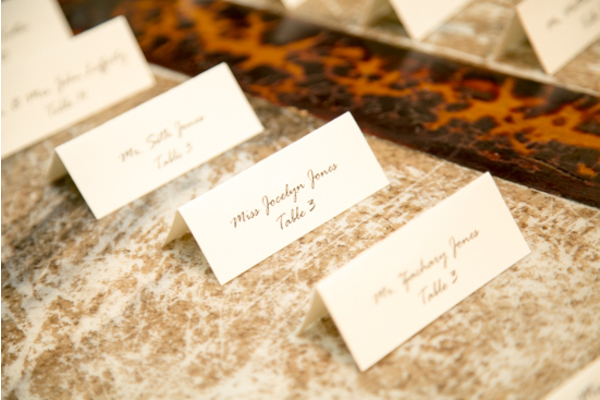 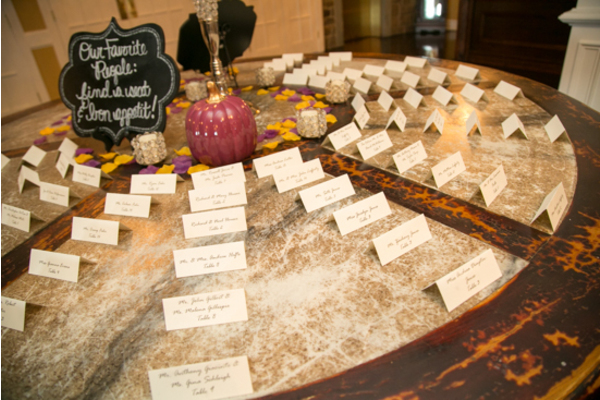 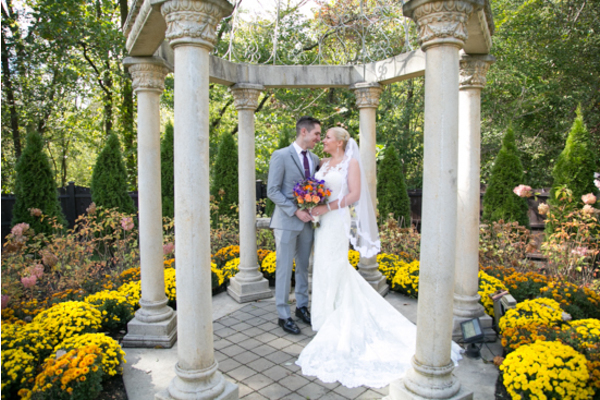 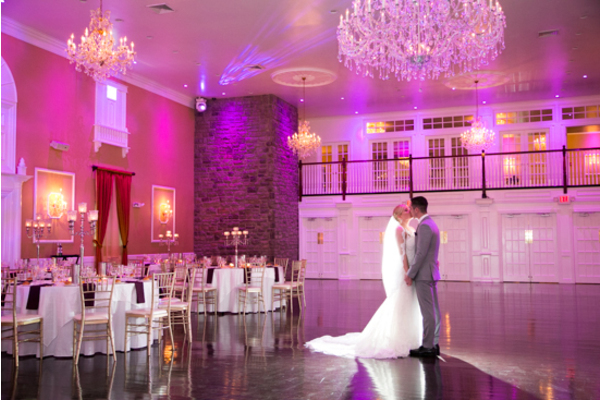 Brittany and Kyle held their wedding at the elegant Hamilton Manor. 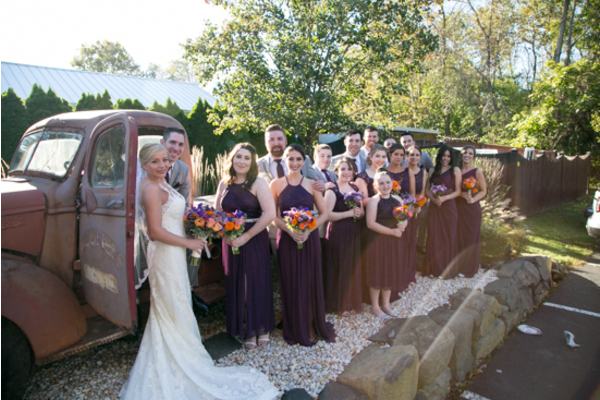 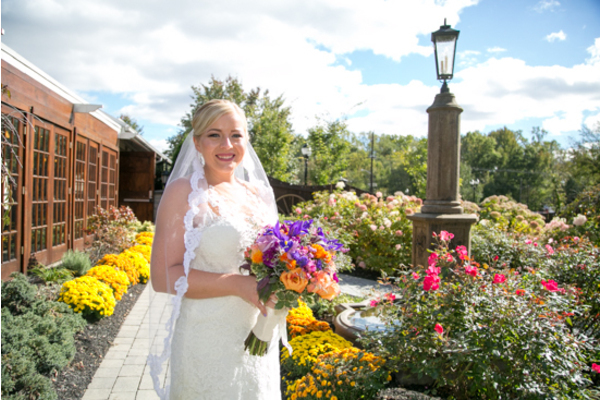 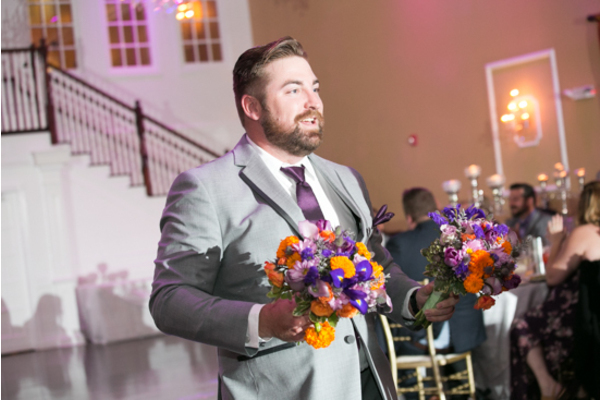 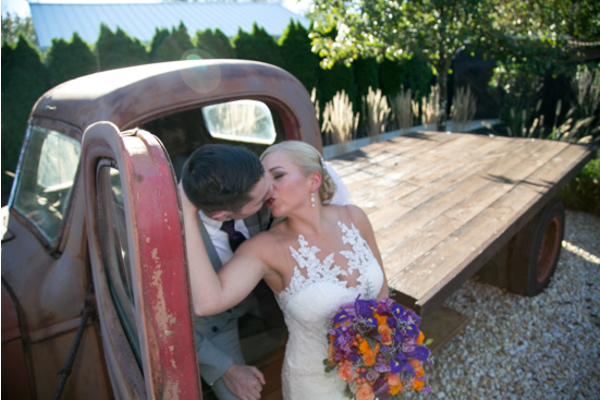 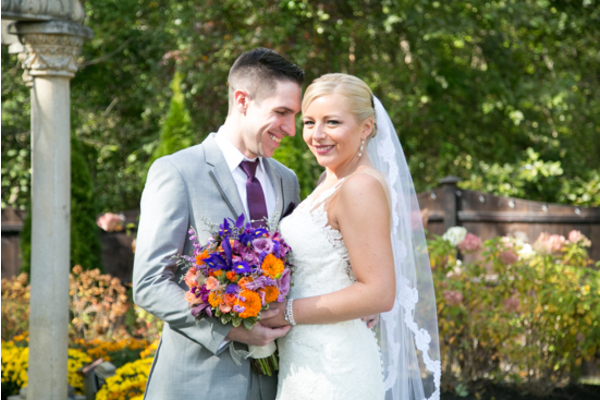 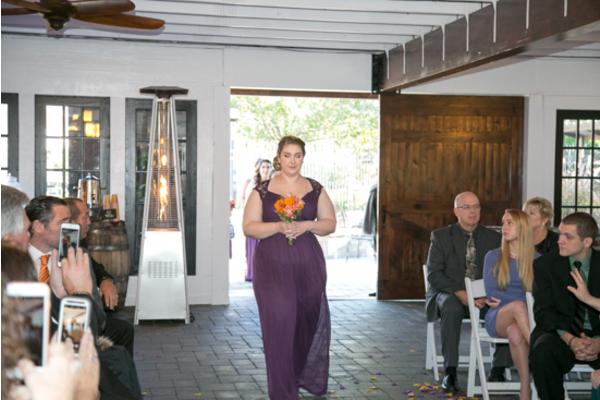 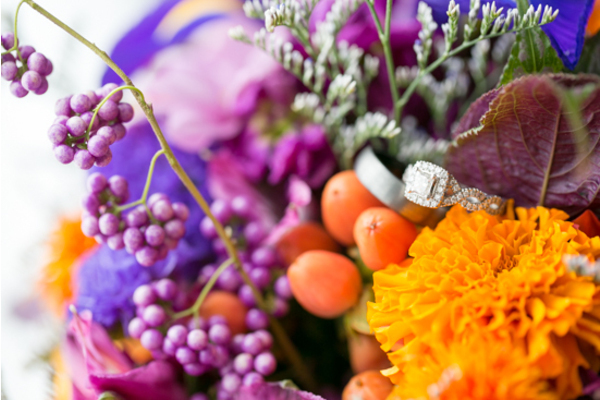 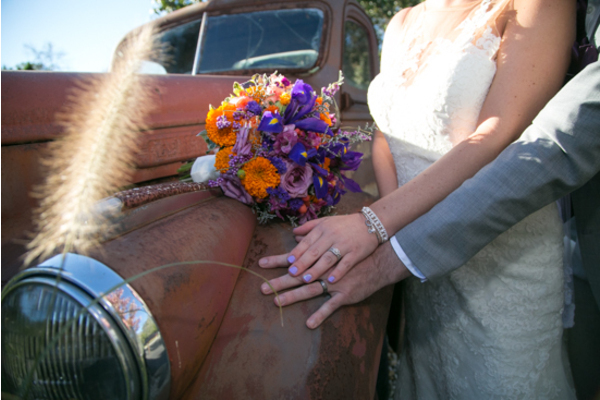 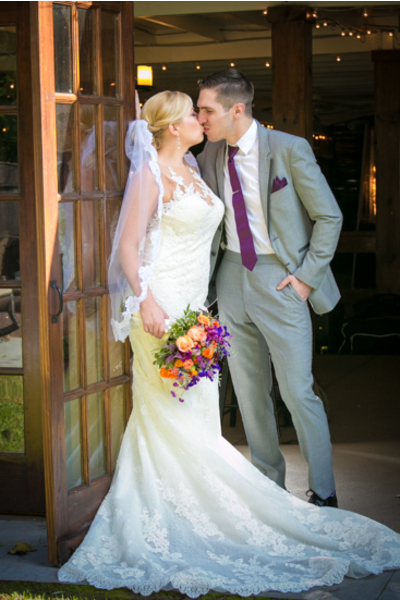 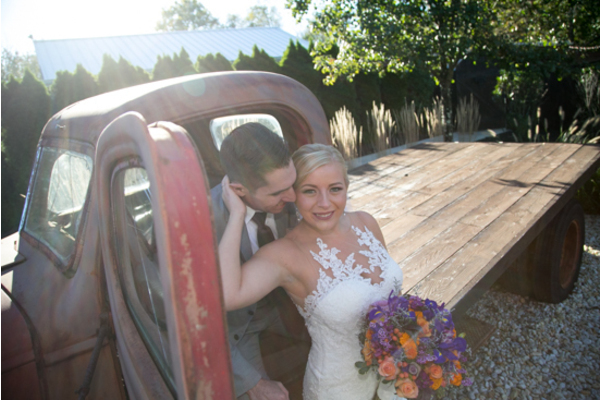 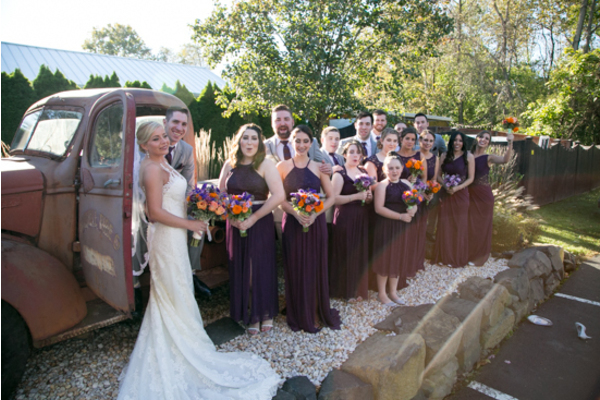 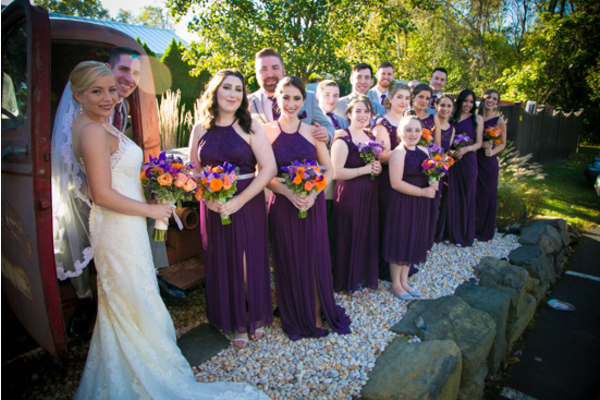 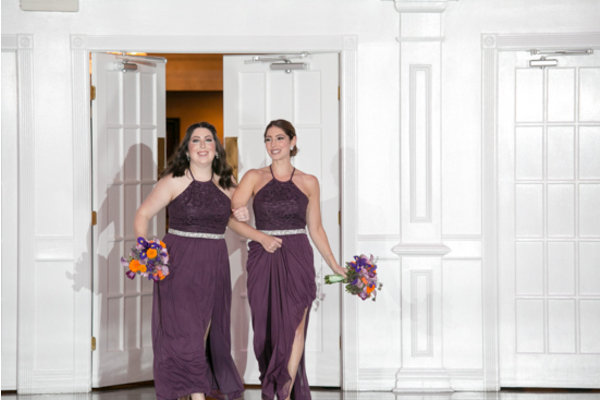 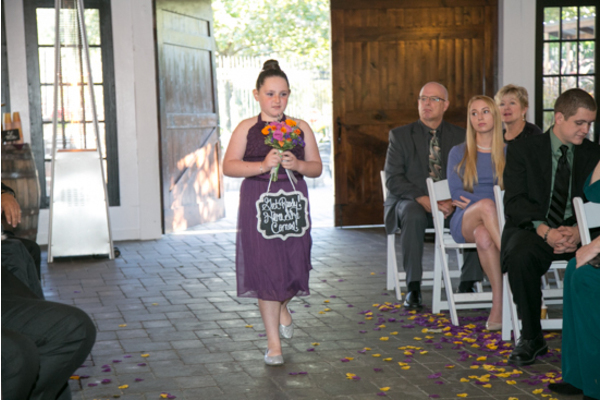 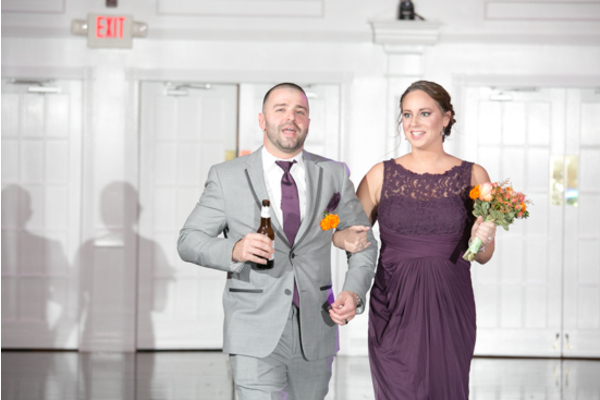 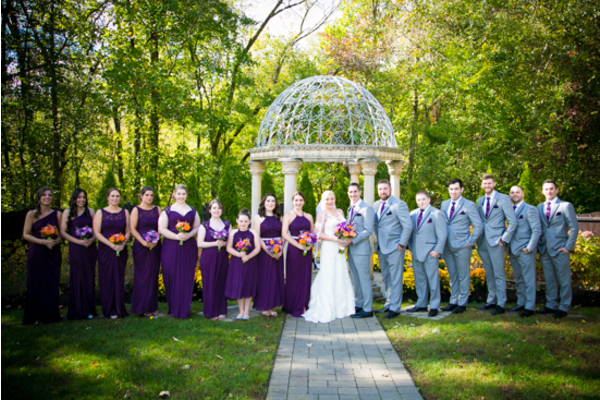 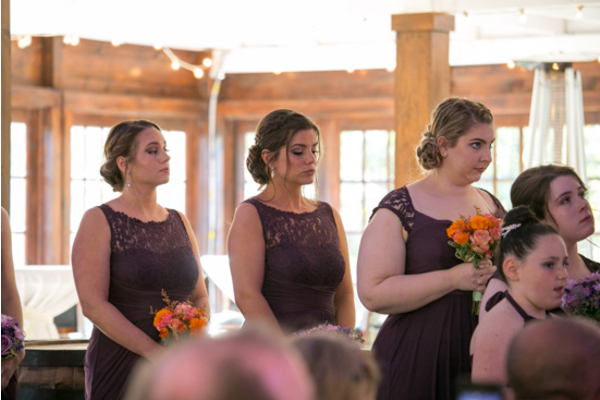 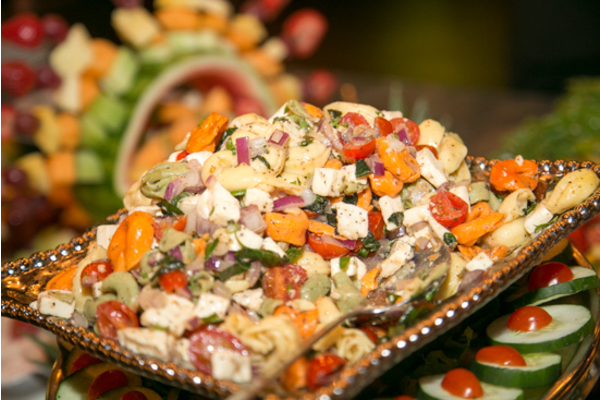 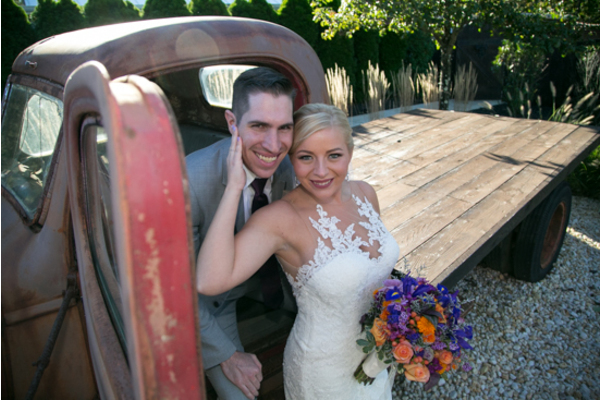 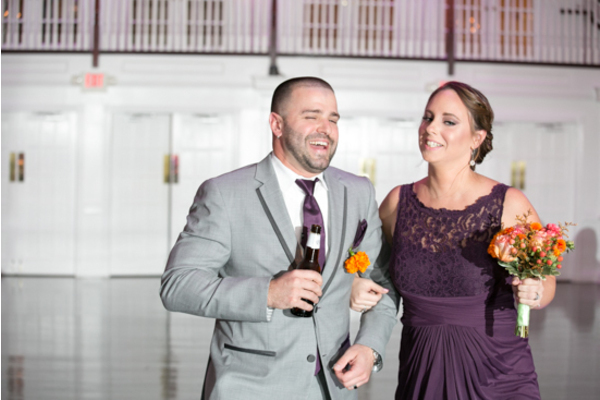 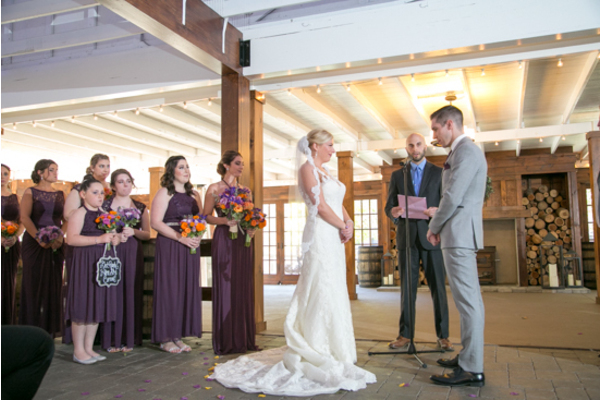 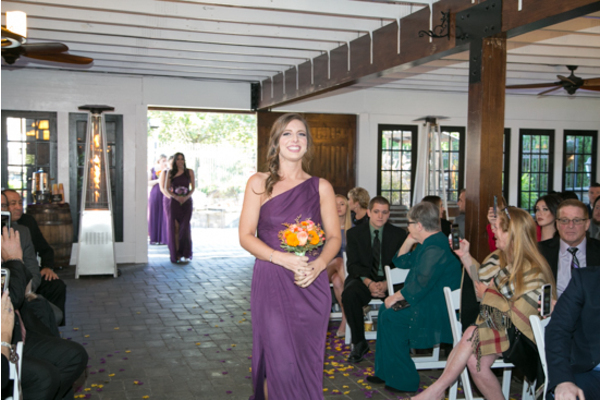 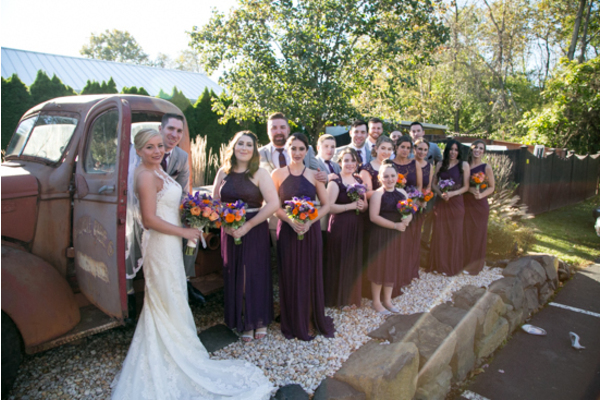 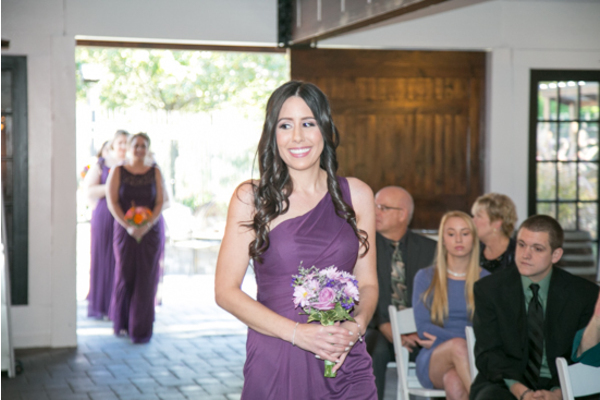 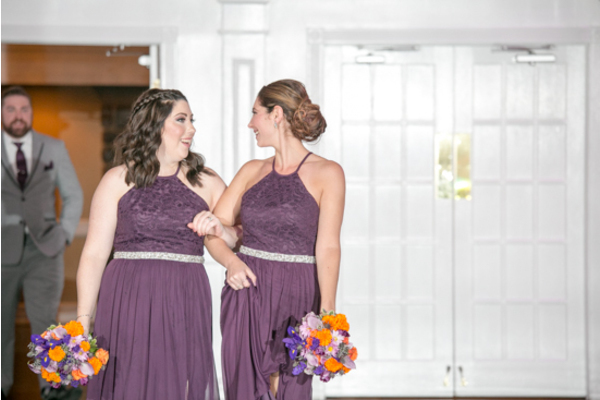 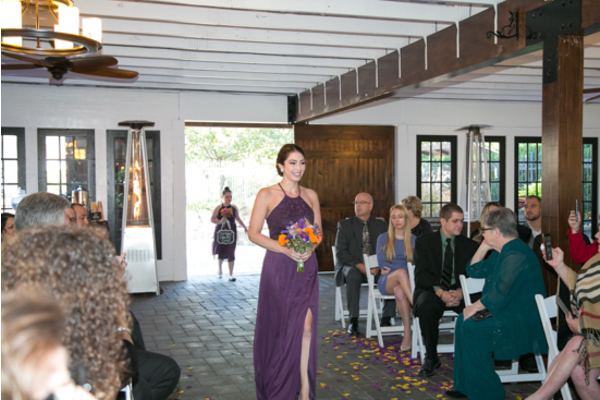 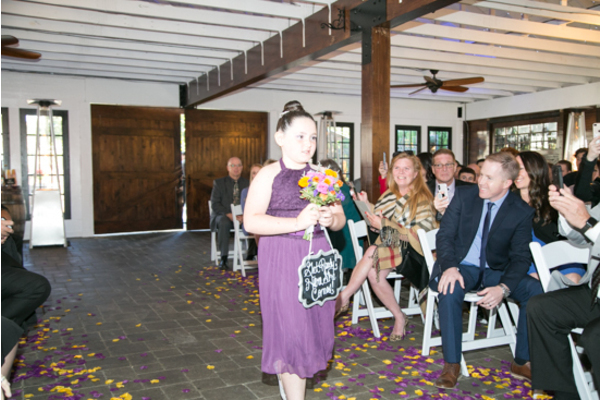 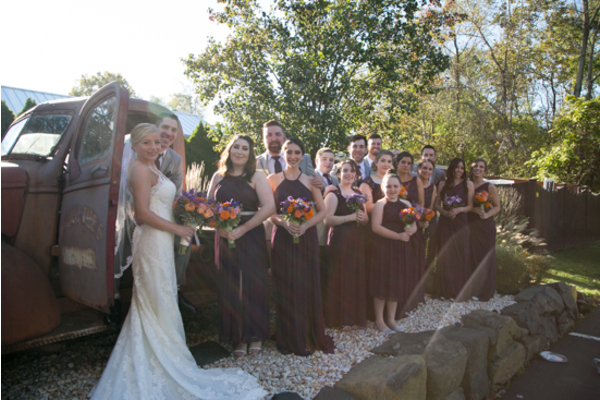 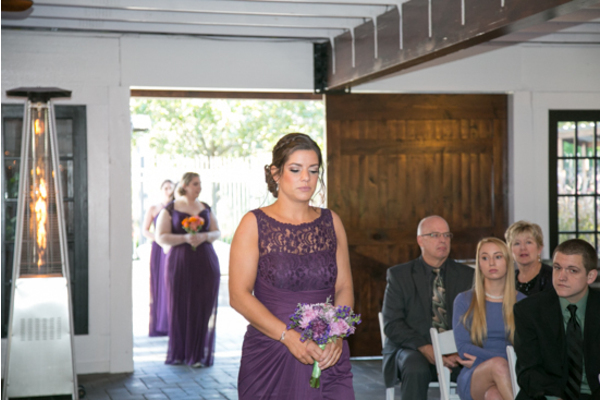 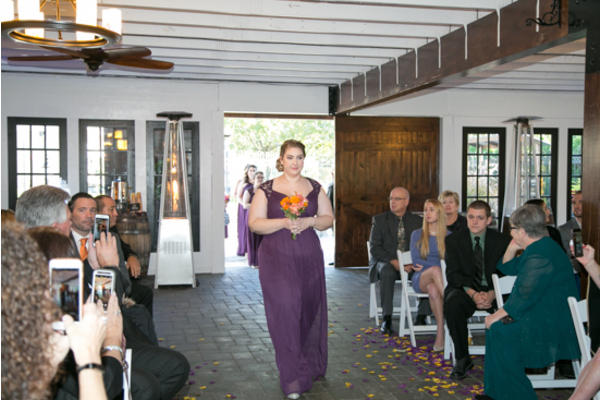 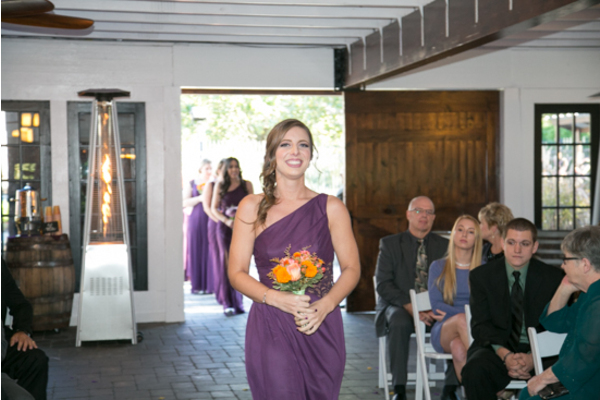 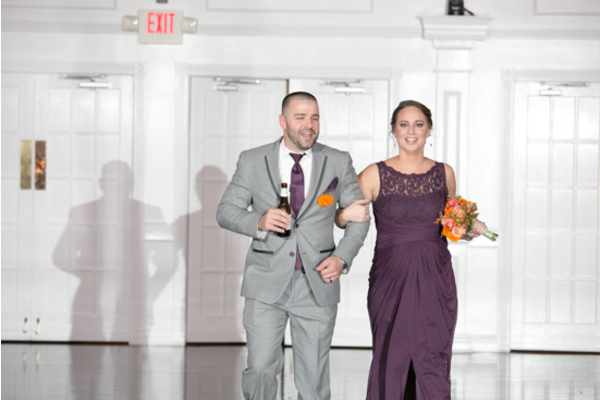 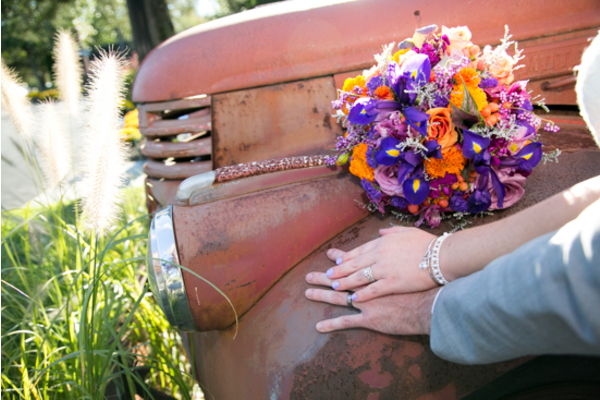 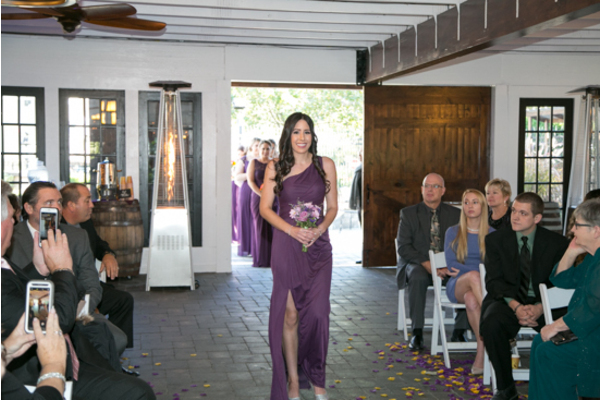 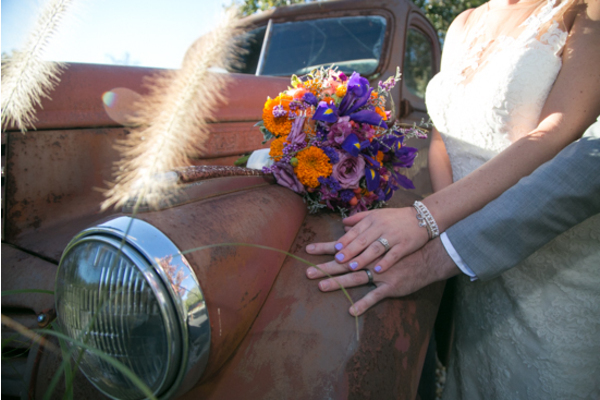 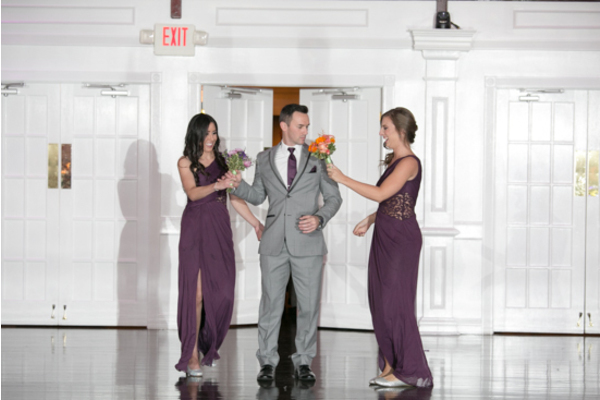 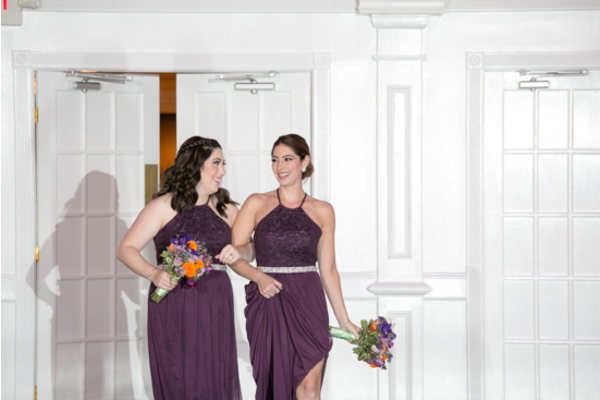 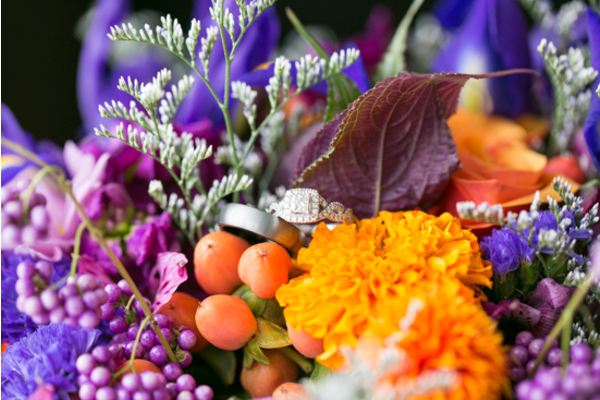 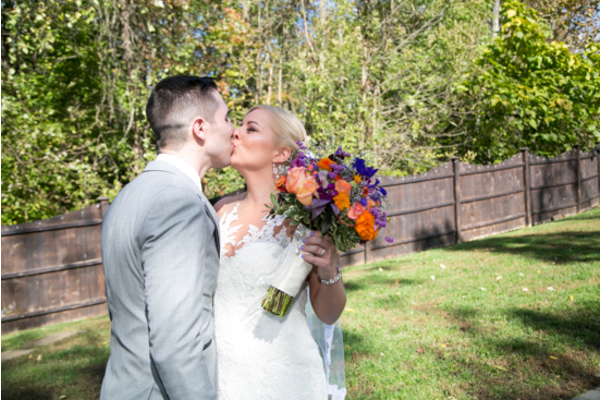 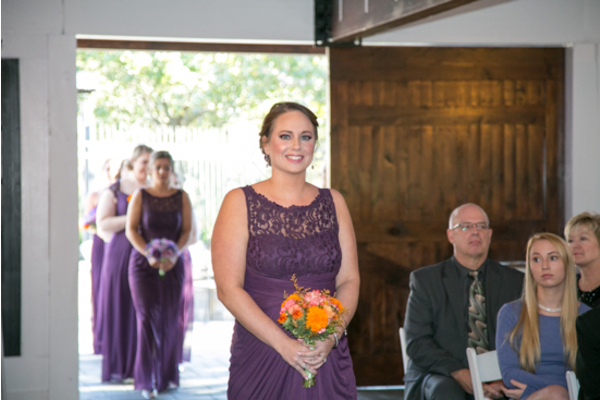 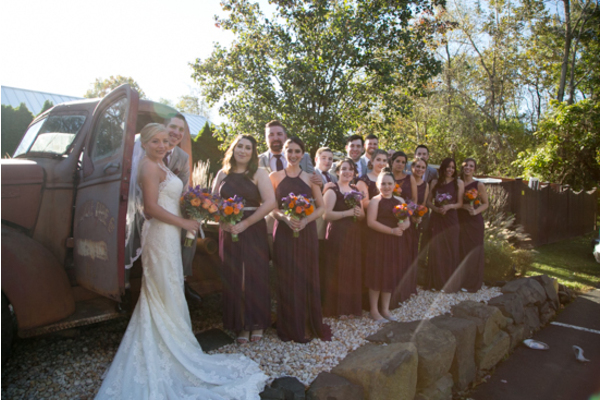 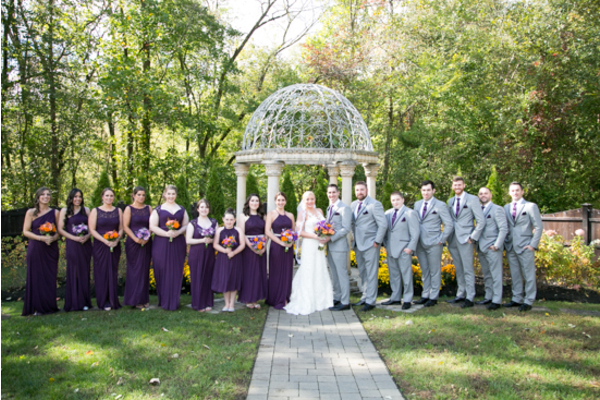 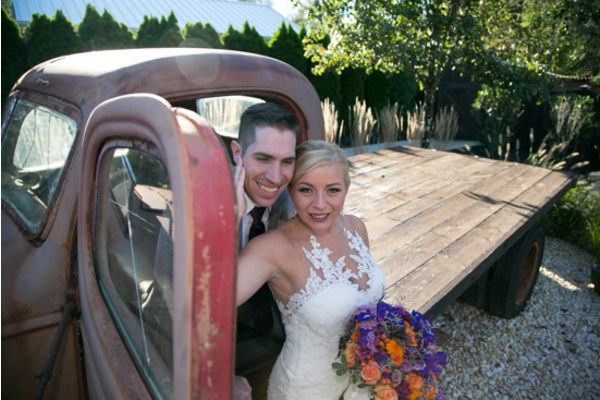 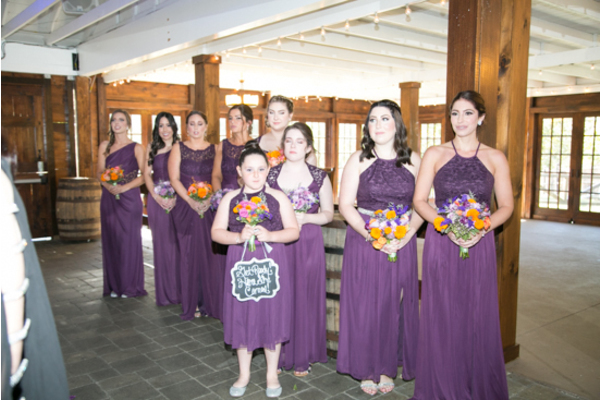 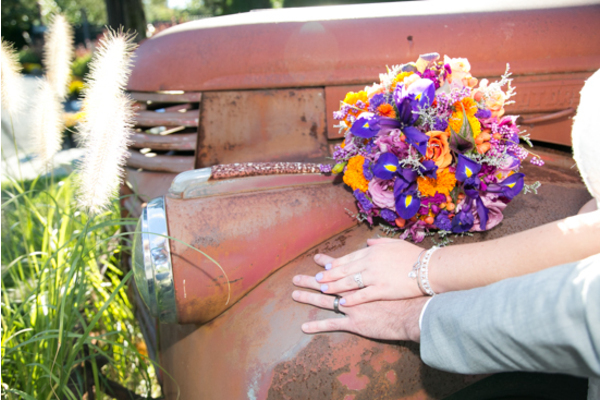 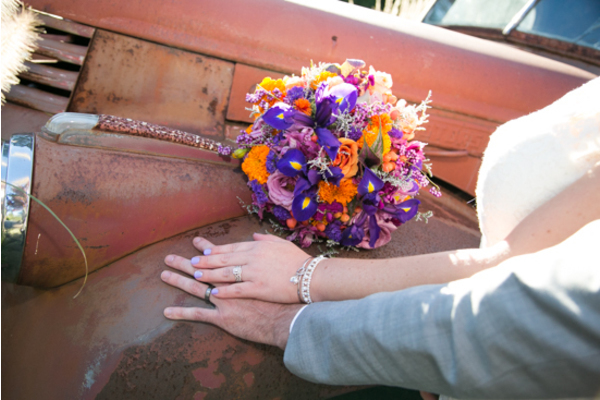 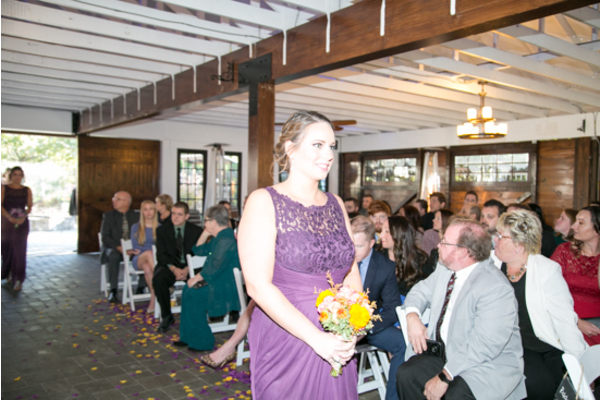 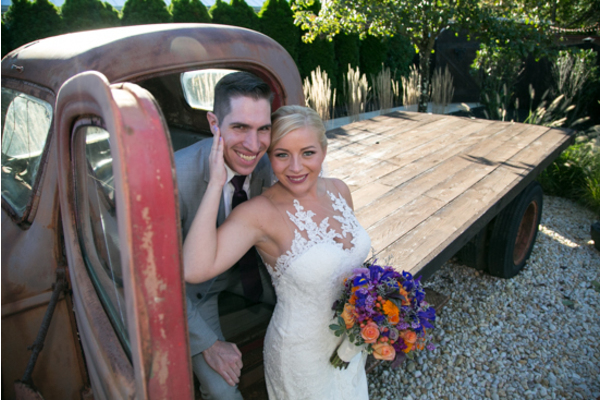 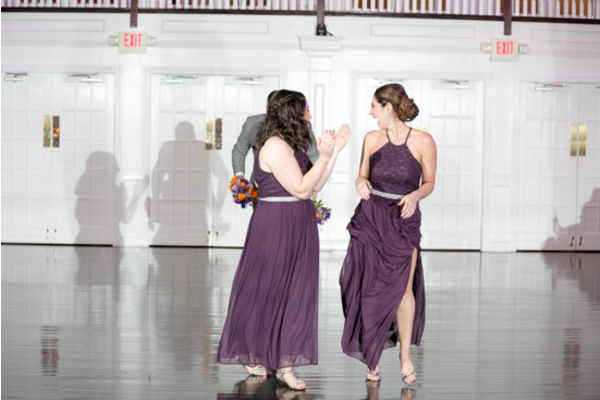 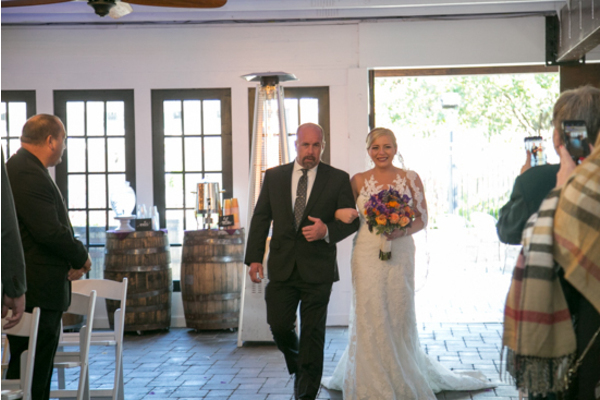 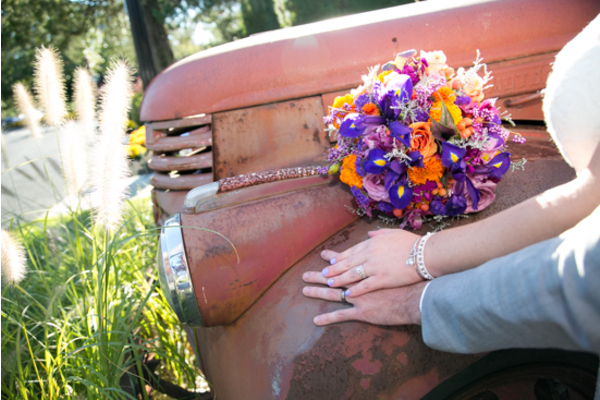 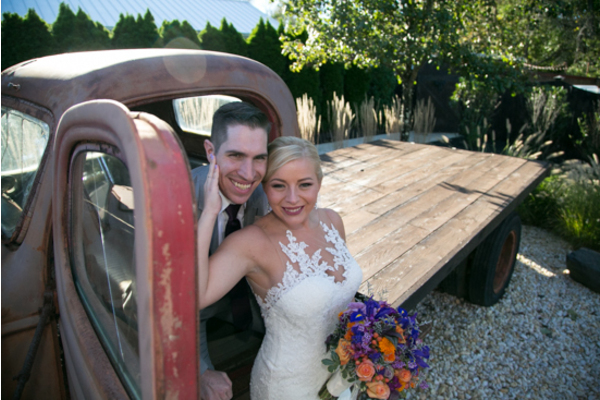 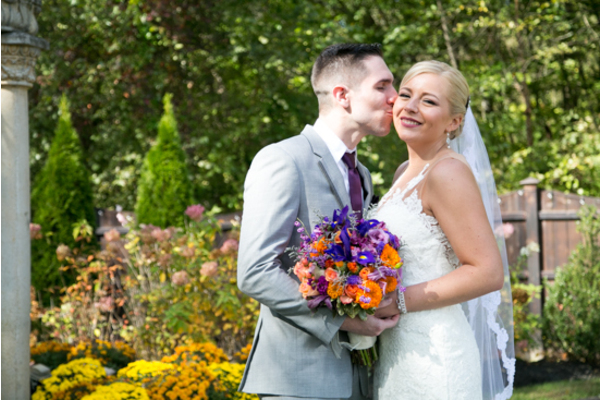 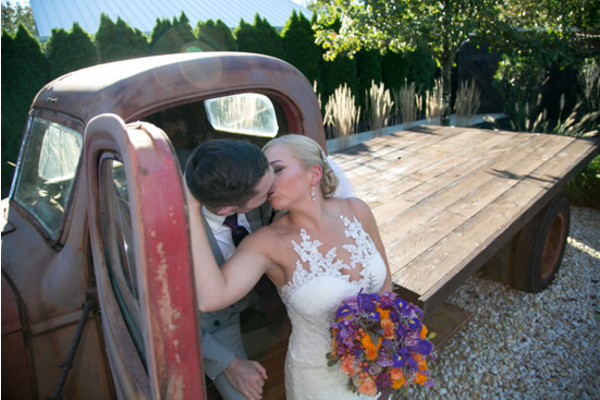 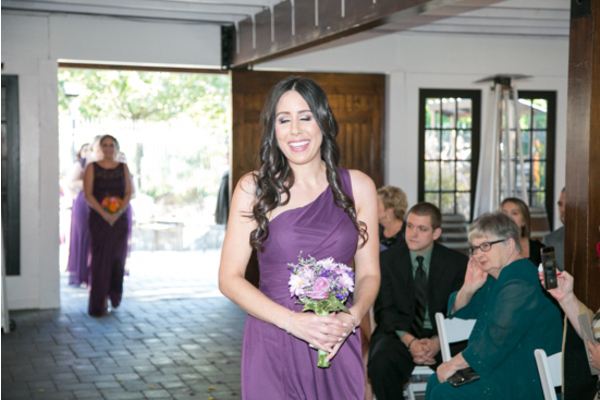 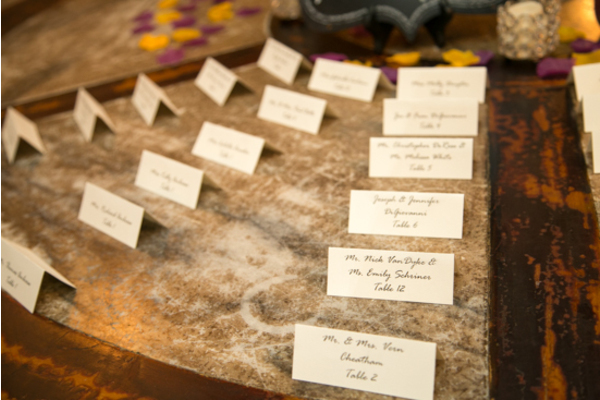 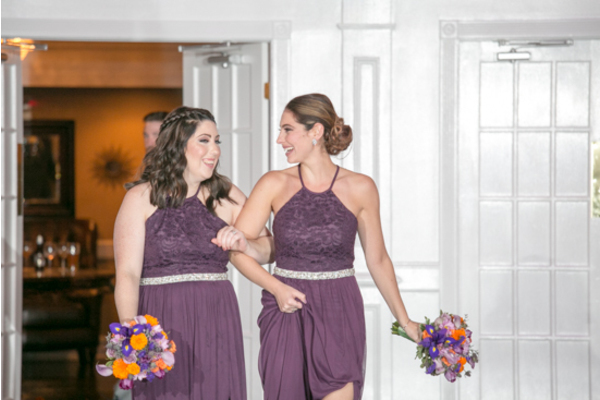 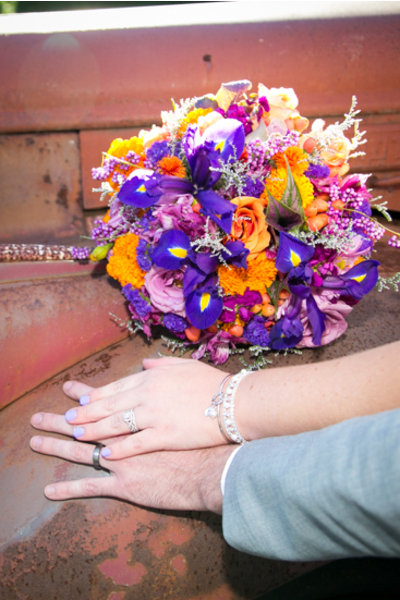 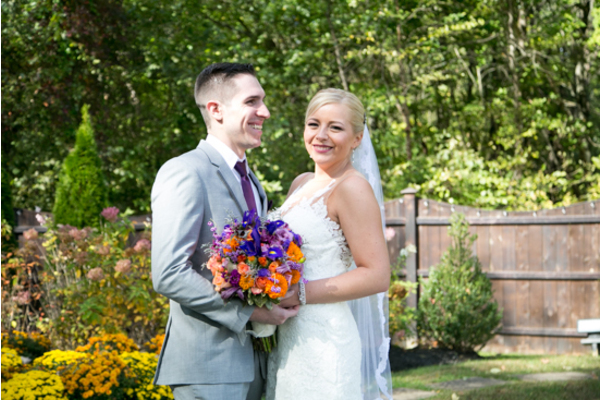 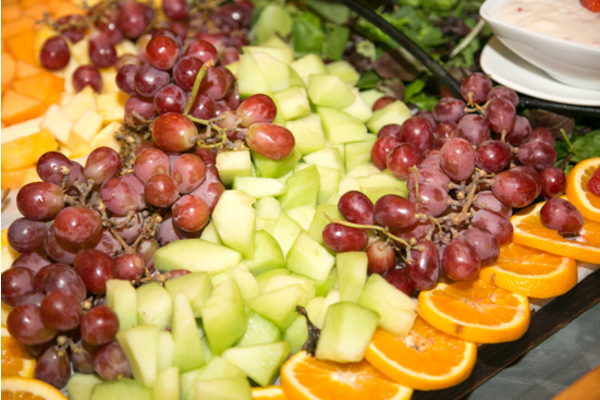 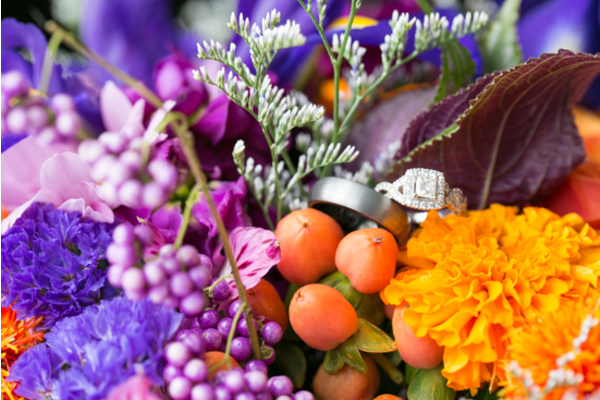 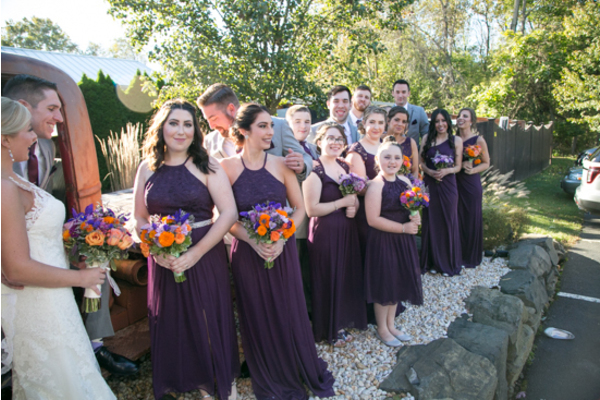 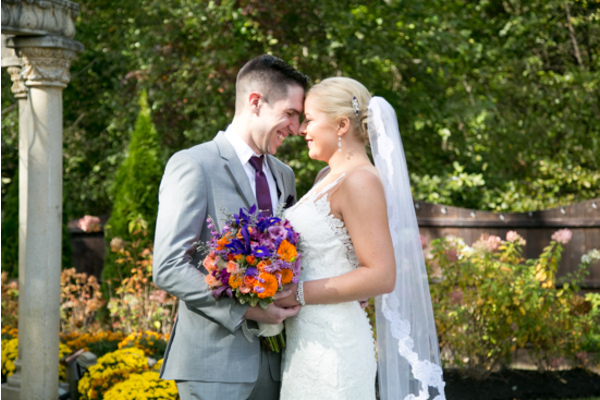 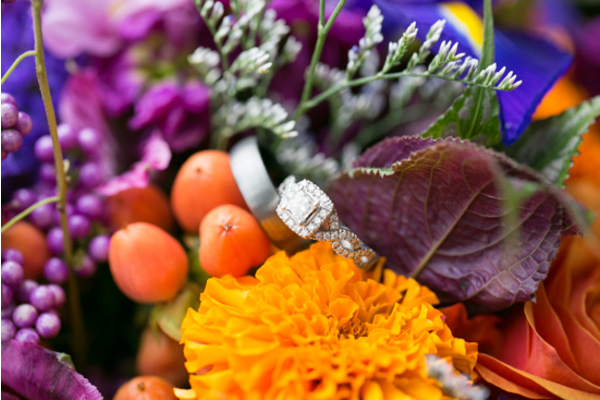 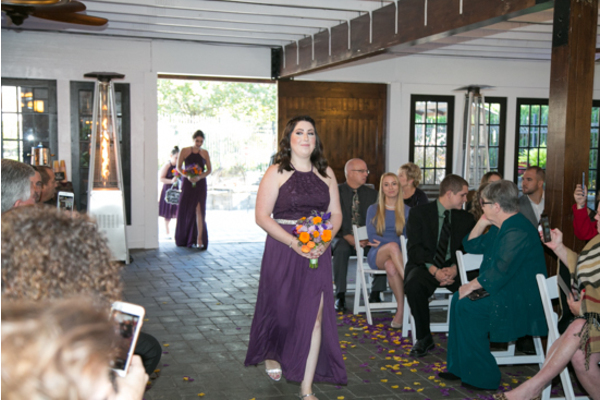 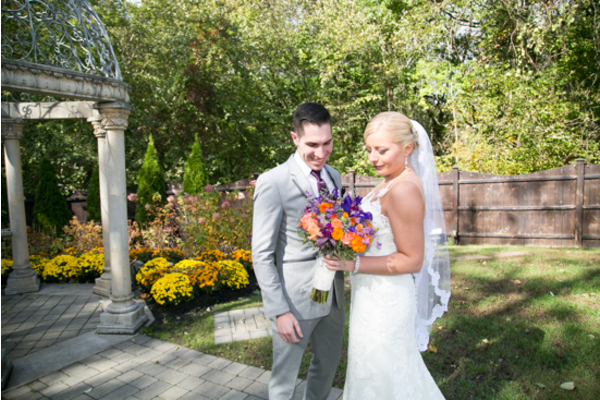 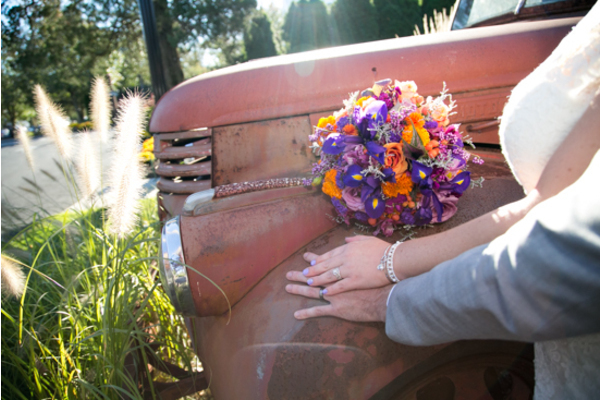 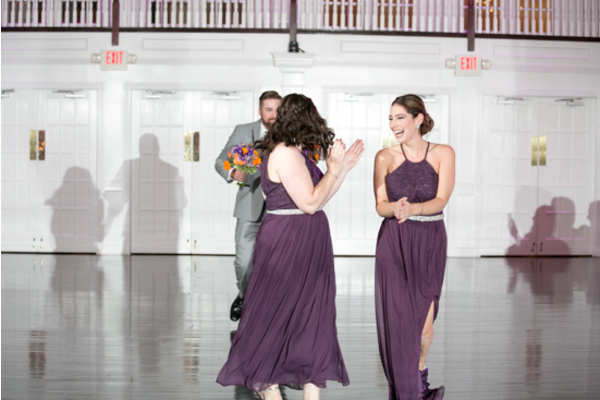 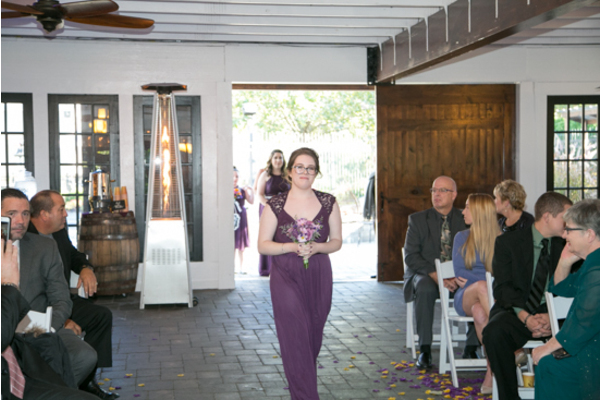 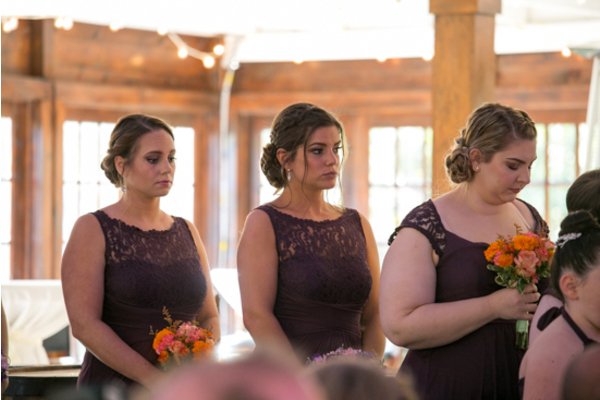 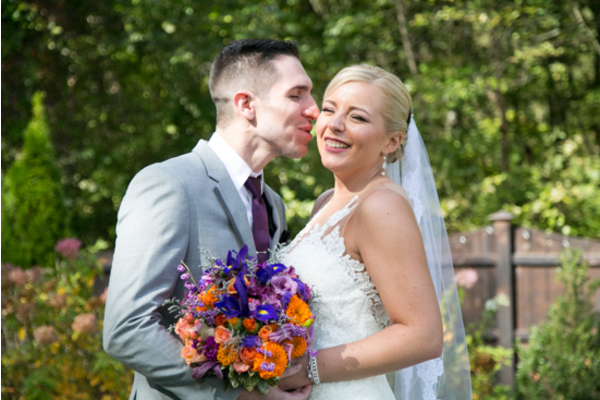 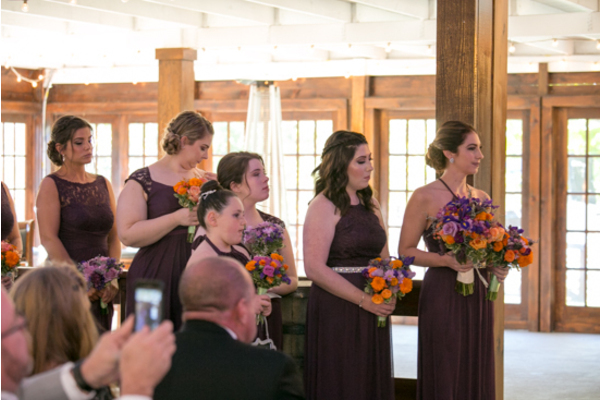 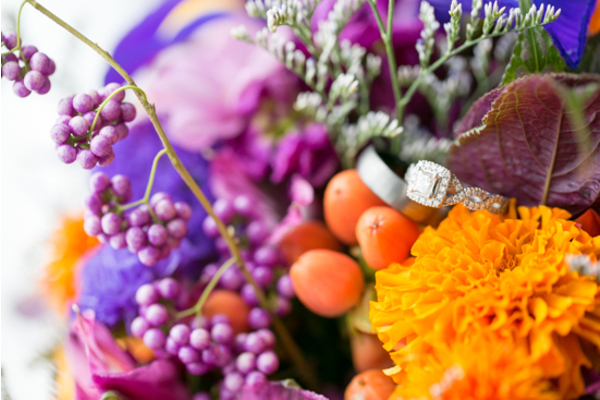 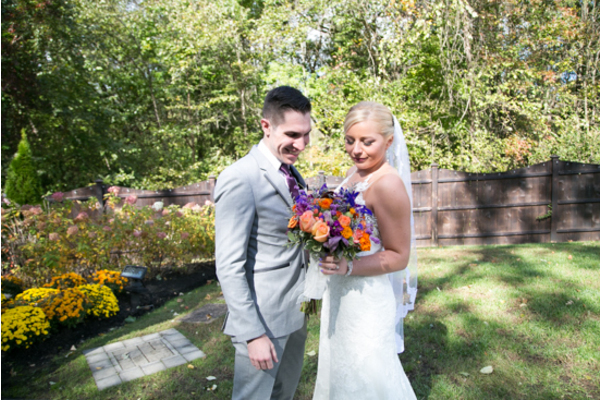 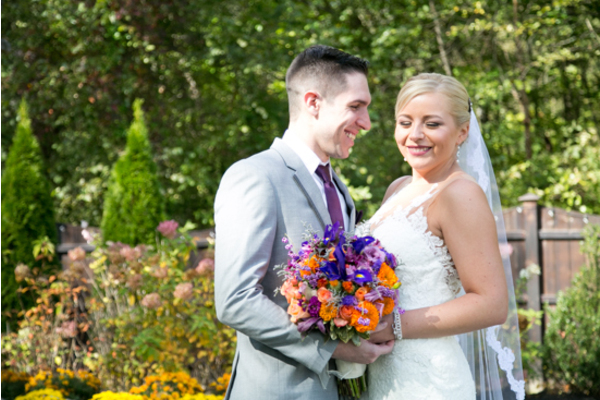 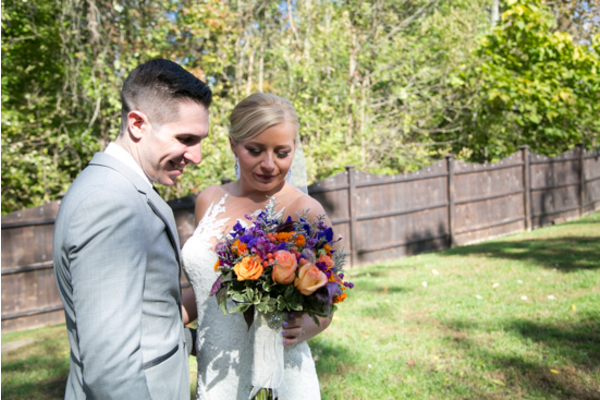 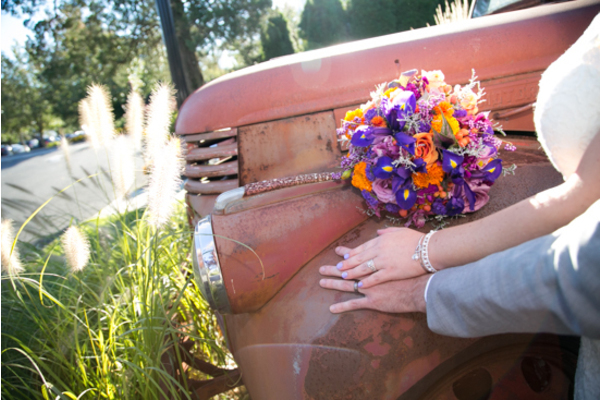 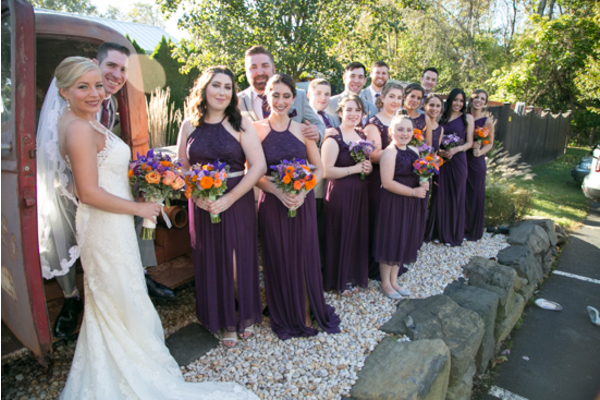 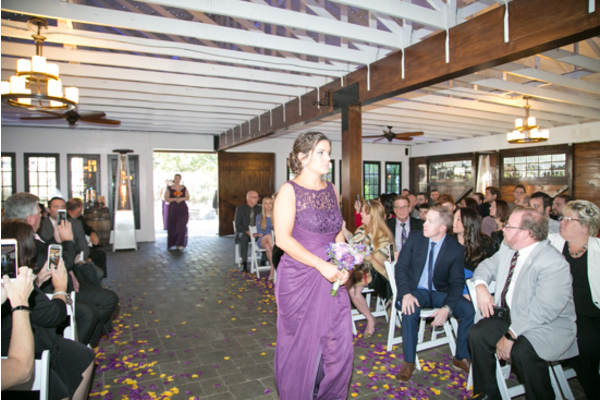 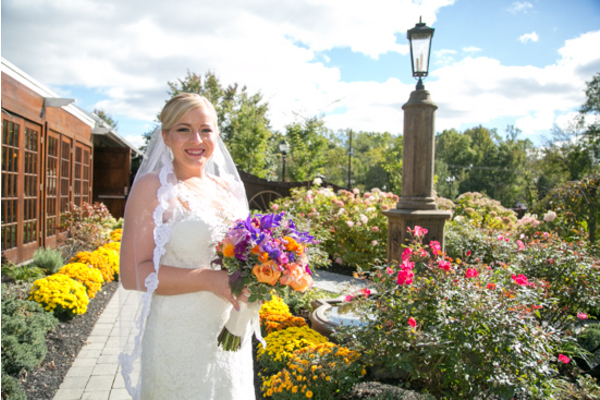 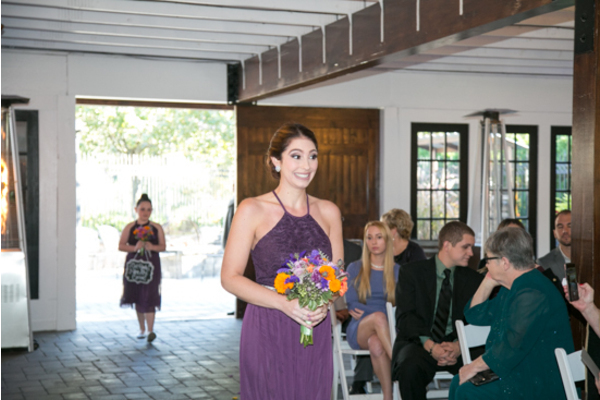 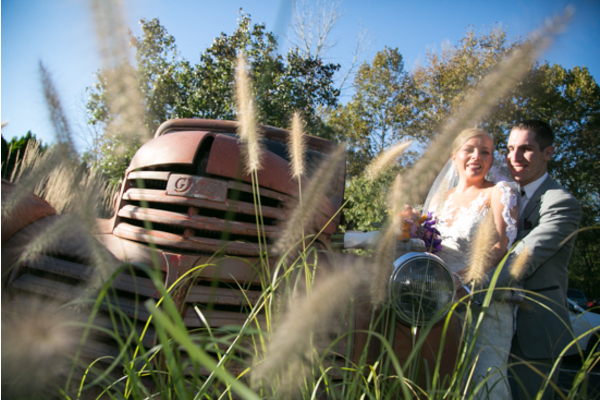 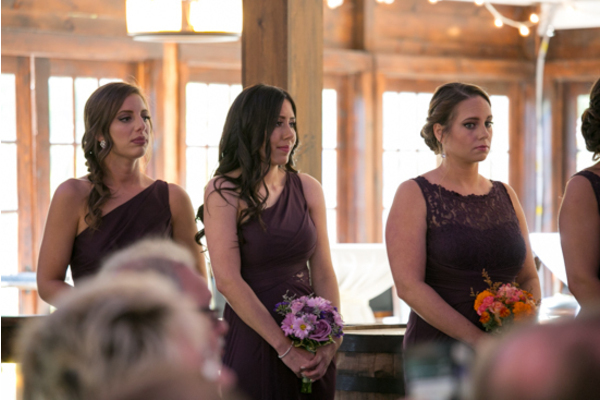 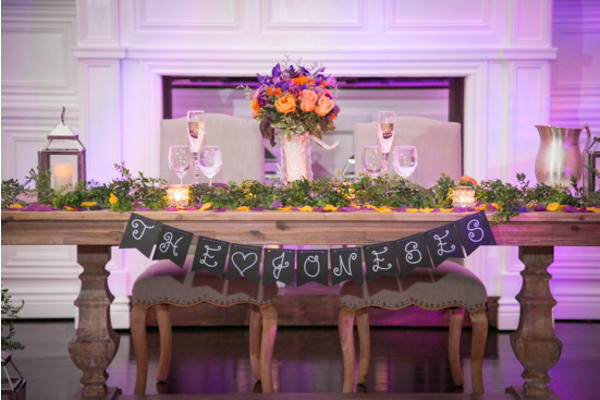 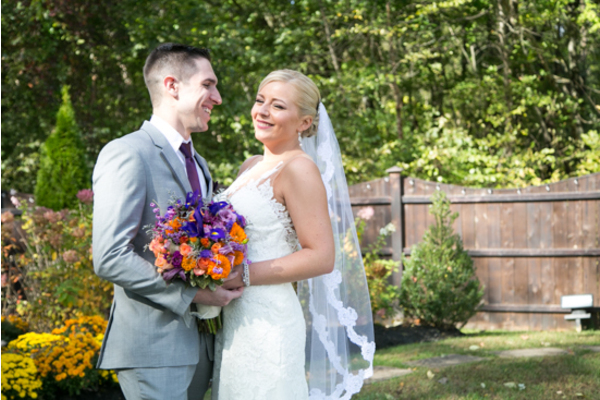 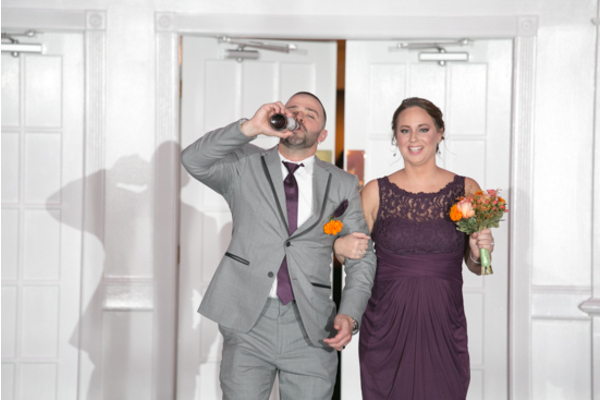 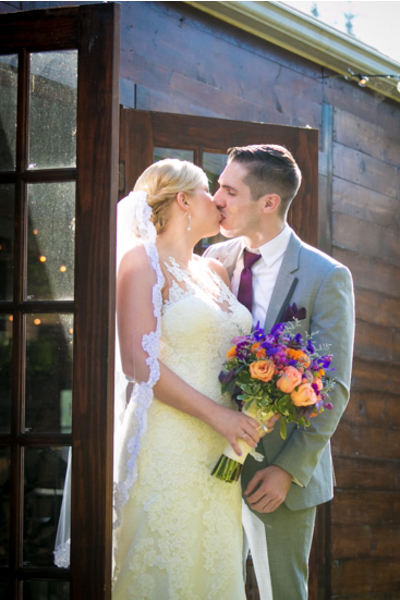 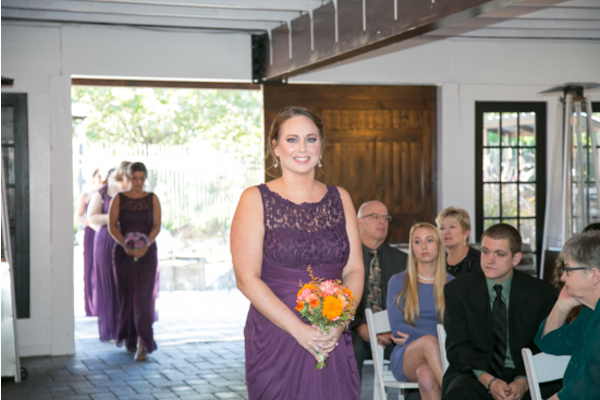 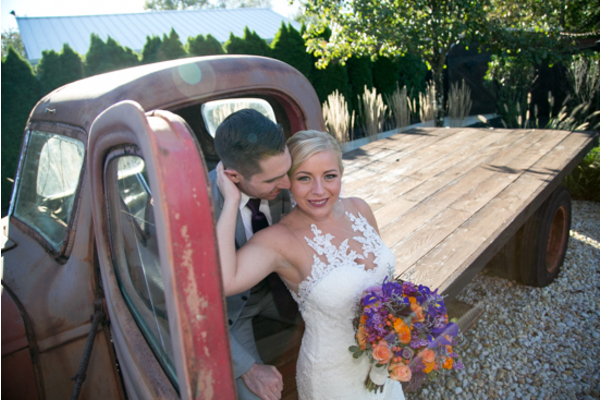 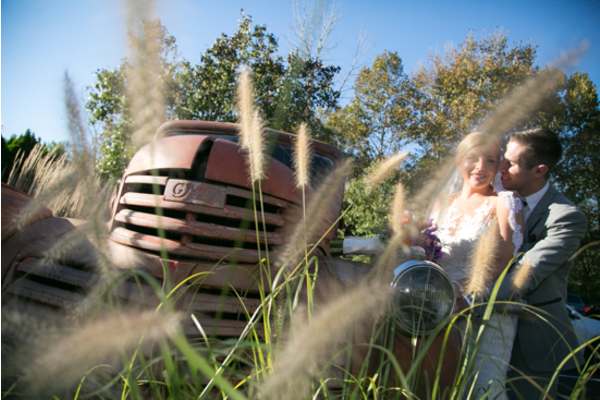 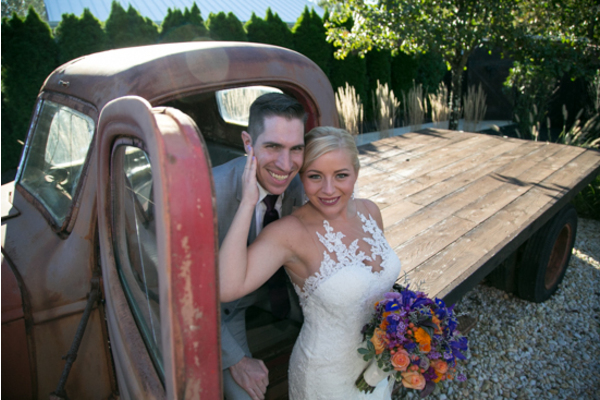 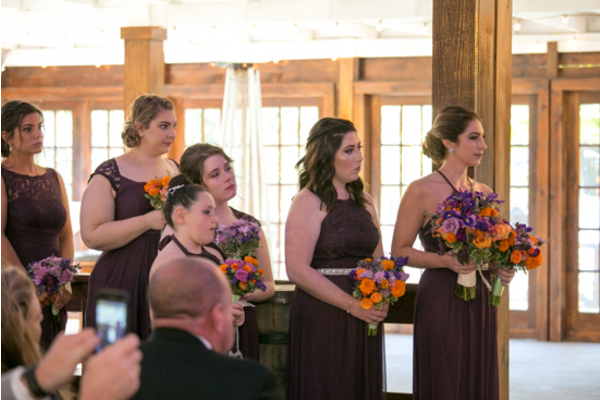 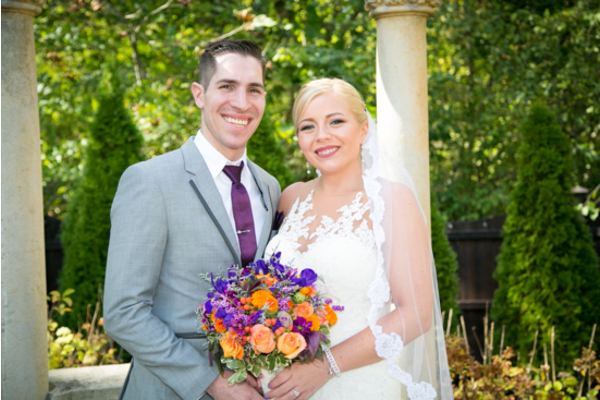 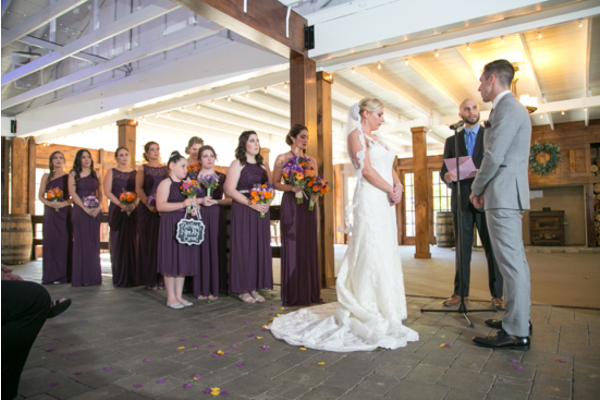 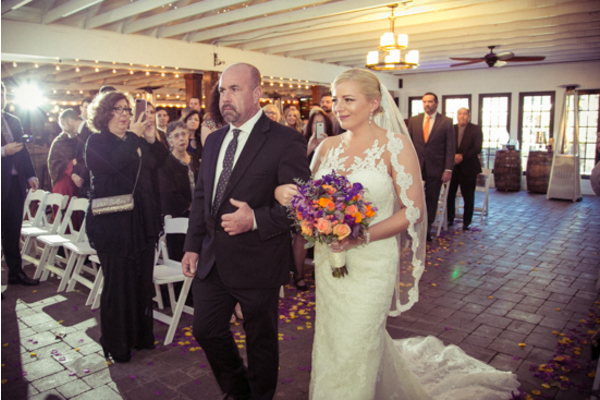 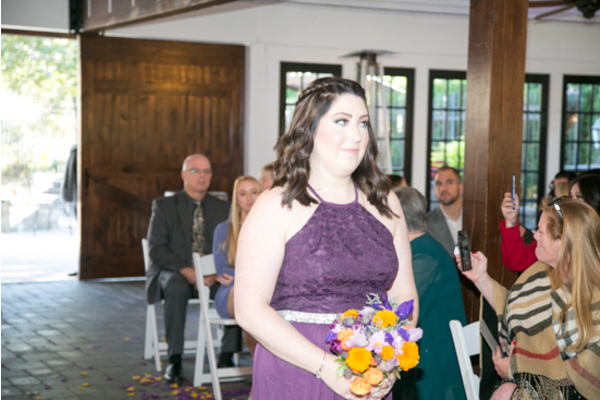 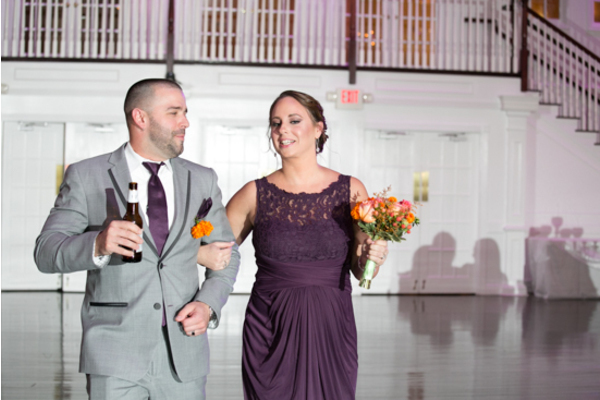 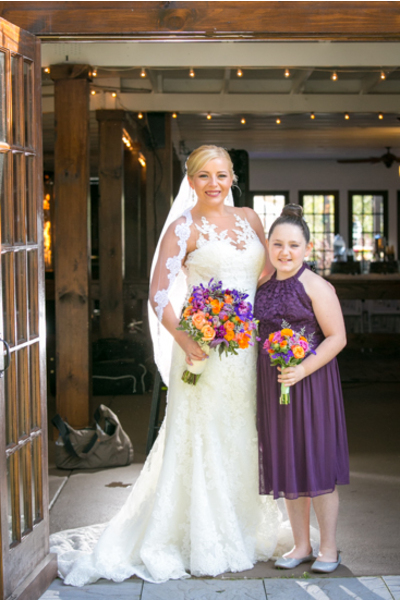 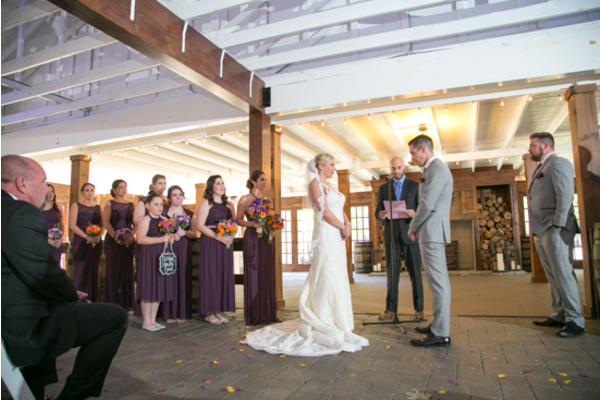 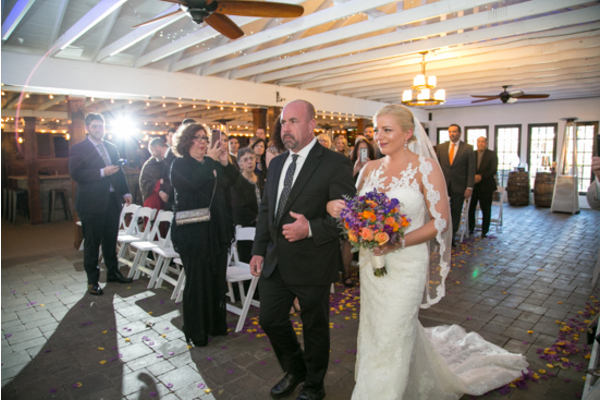 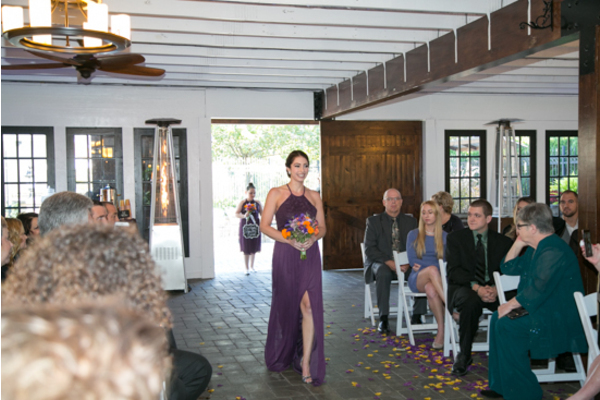 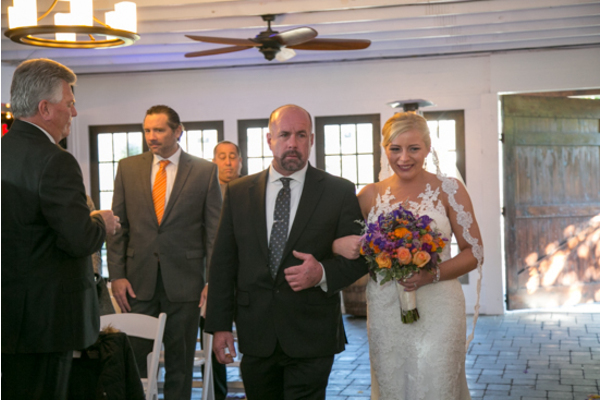 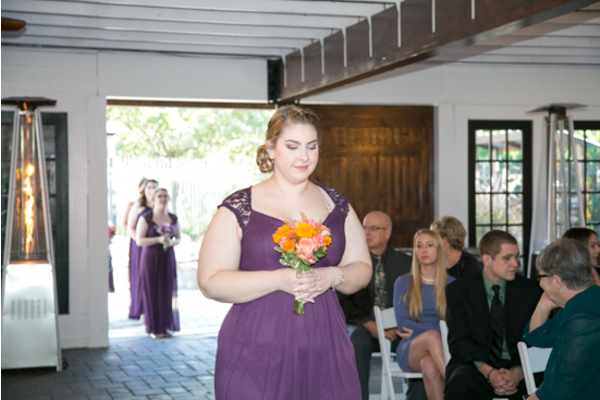 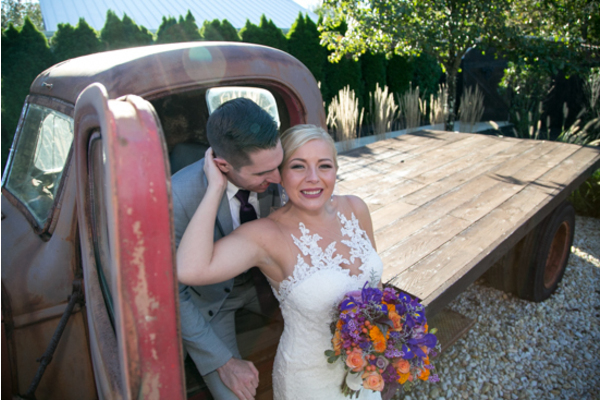 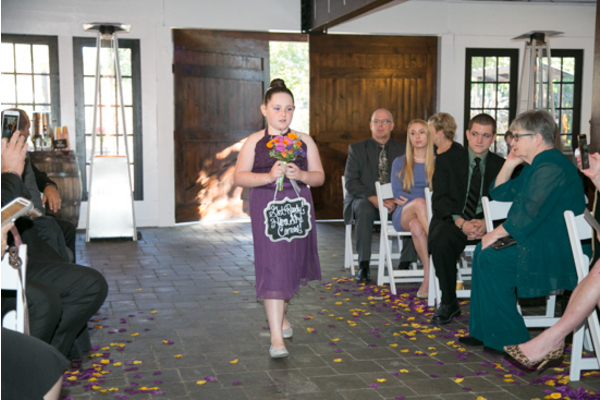 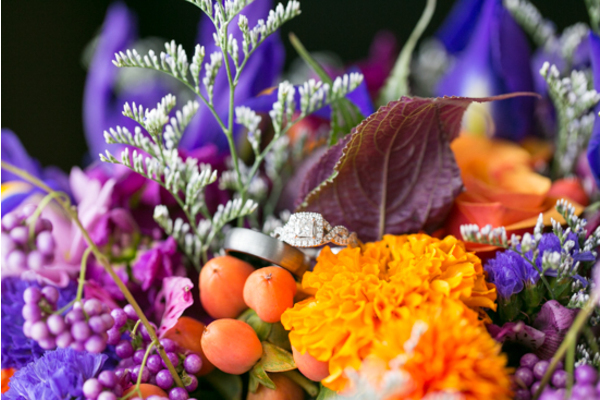 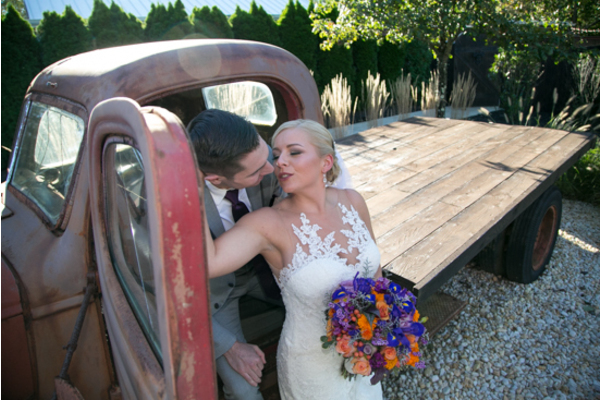 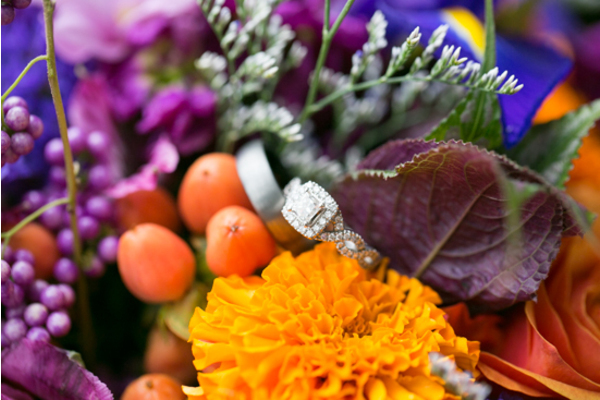 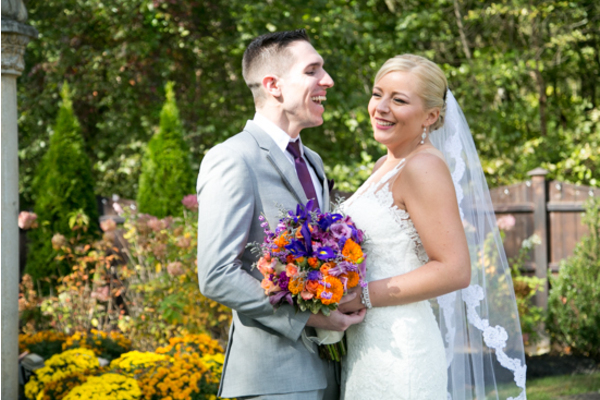 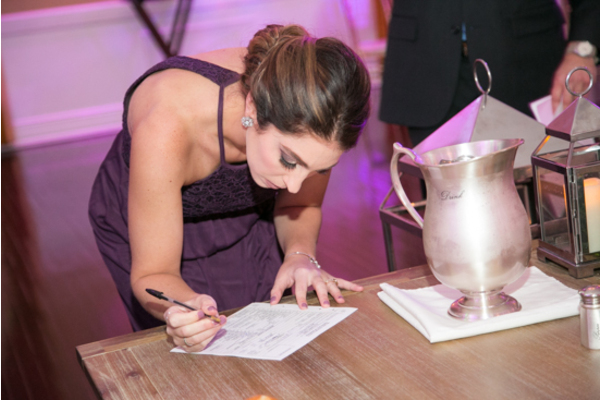 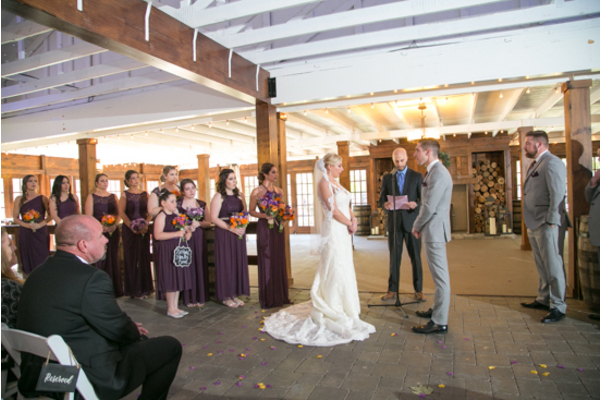 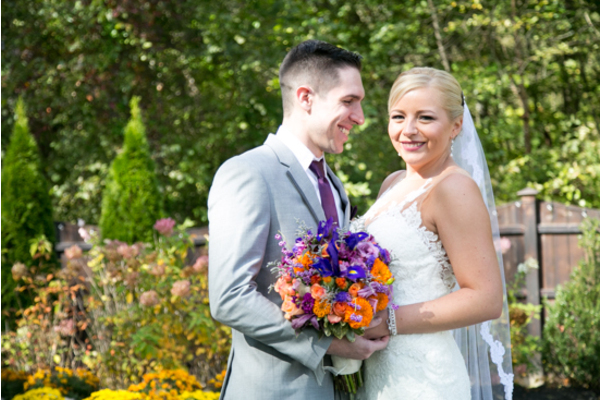 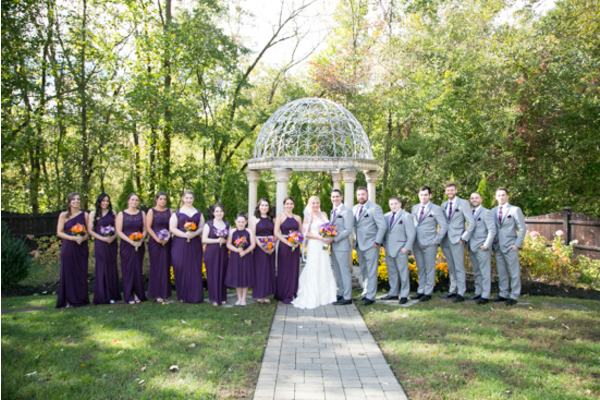 Beautiful vivid colors of orange and purple made up Brittany’s fresh bouquet. 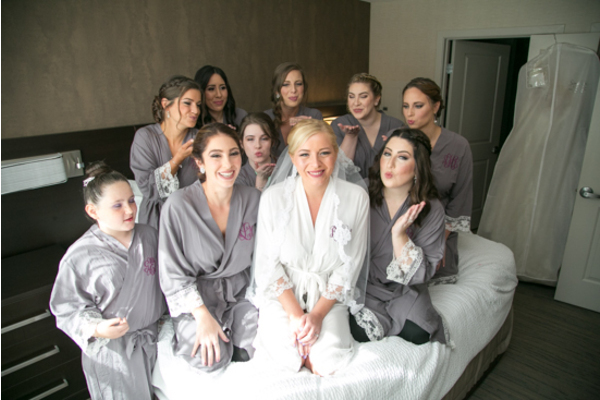 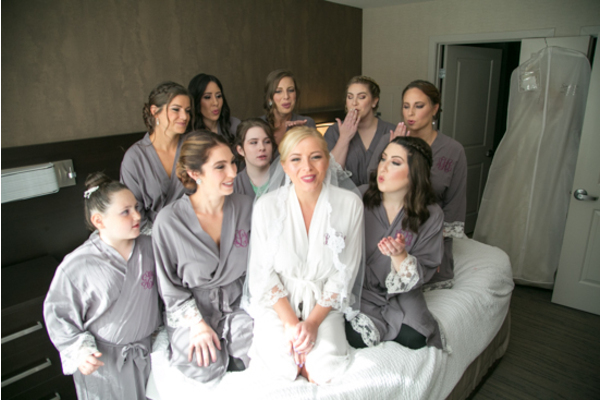 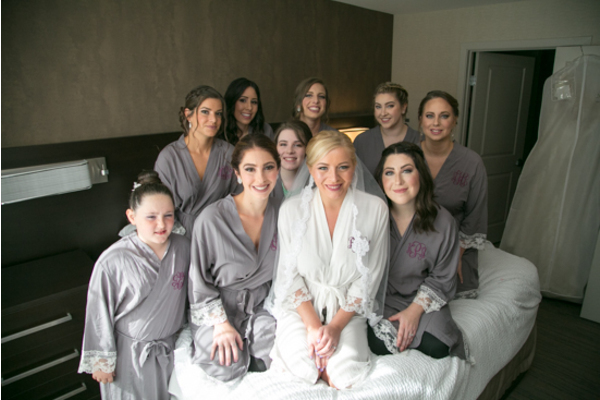 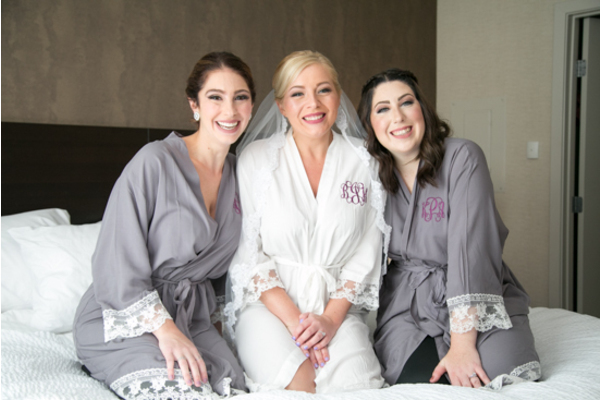 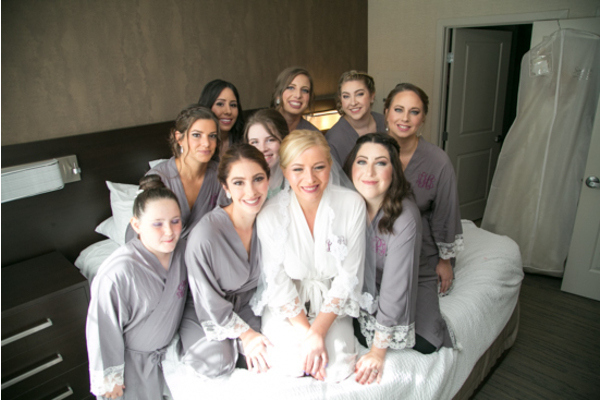 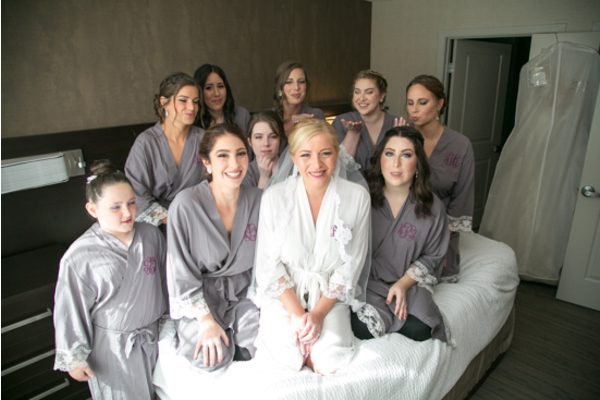 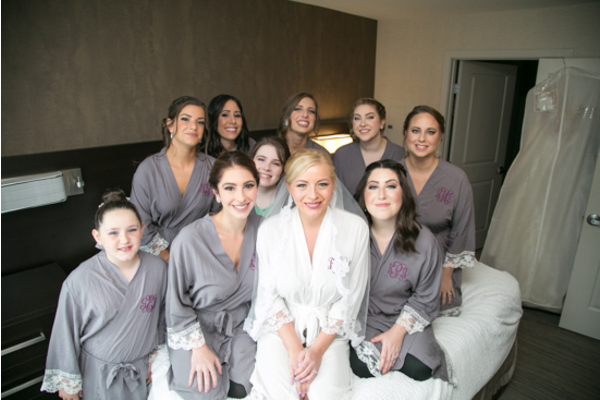 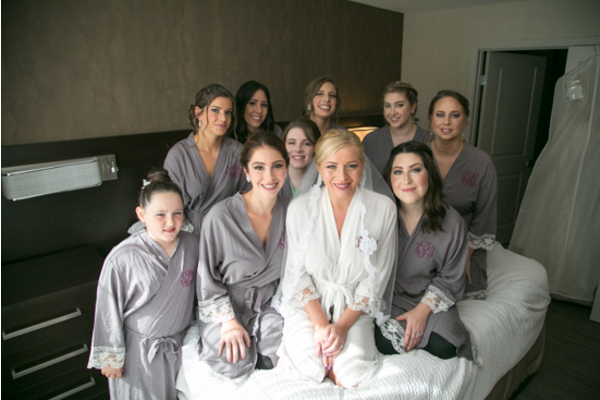 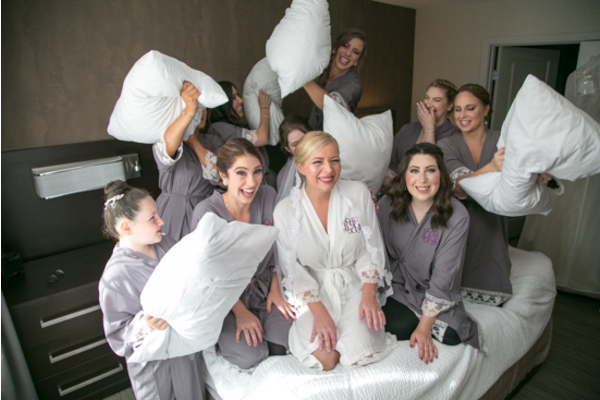 First, Brittany and her bridesmaids spent the morning getting pampered as our NJ Wedding Photographer documented all the memories. 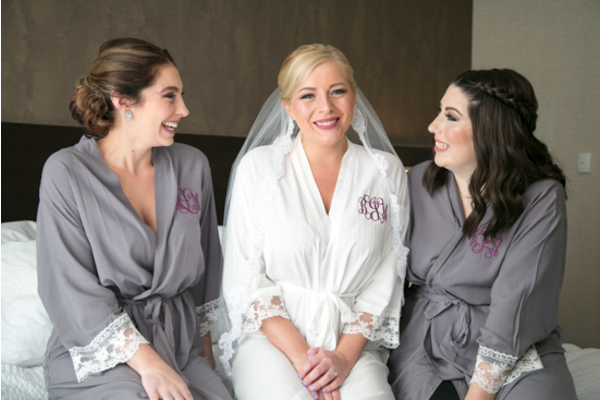 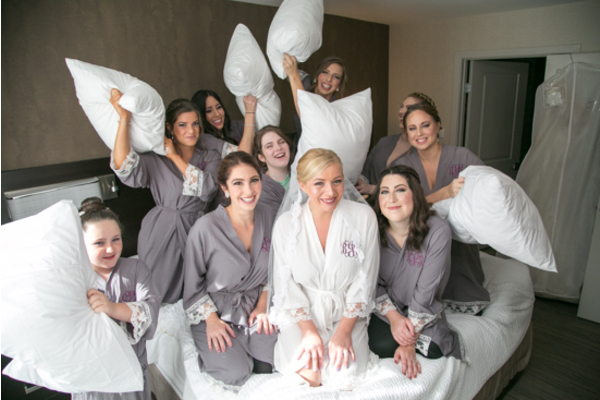 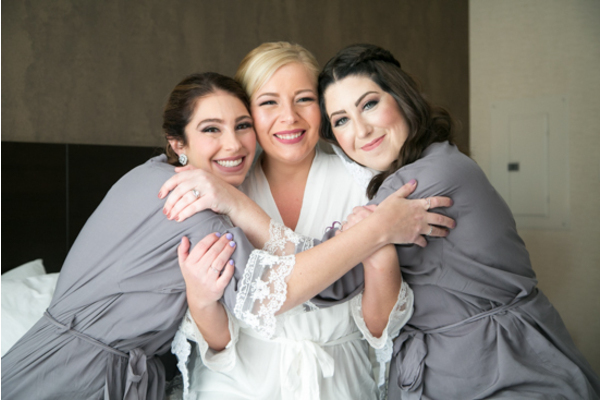 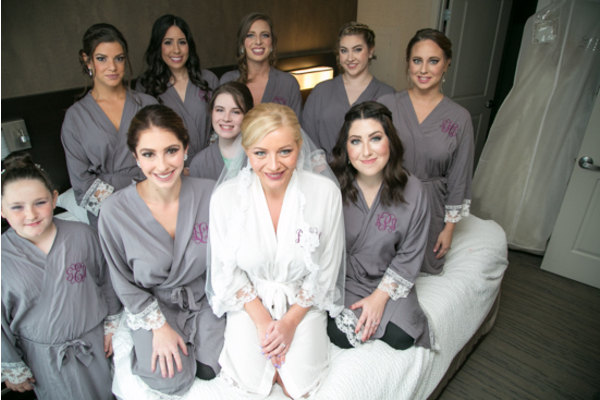 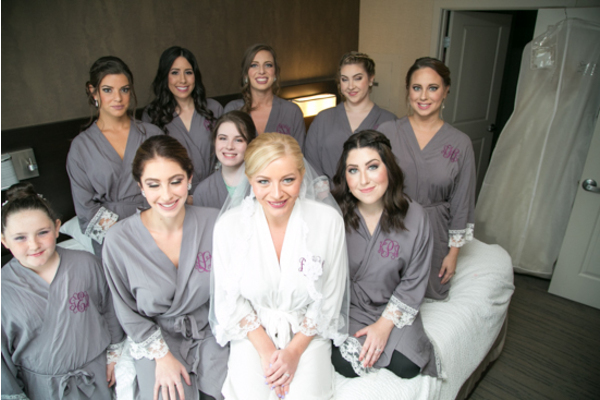 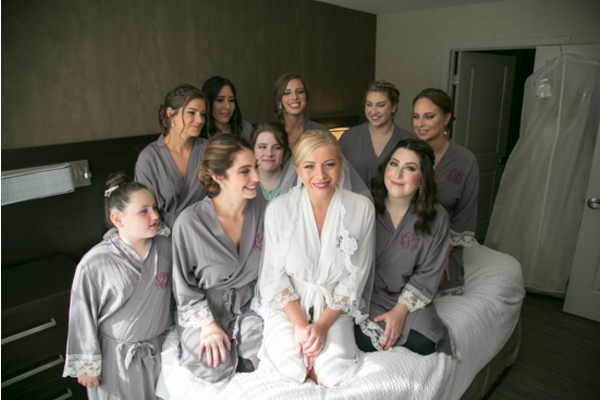 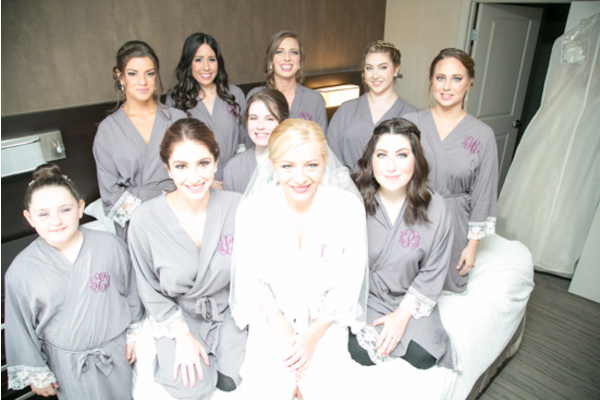 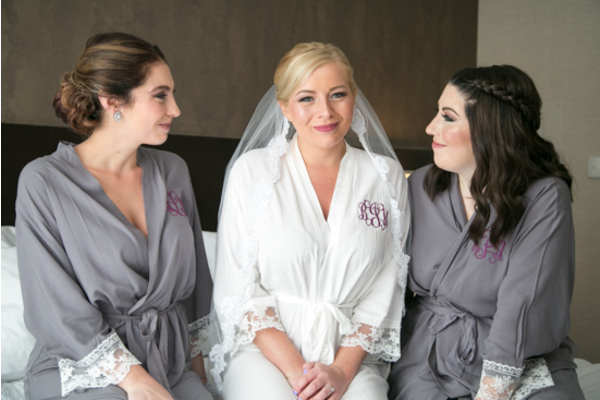 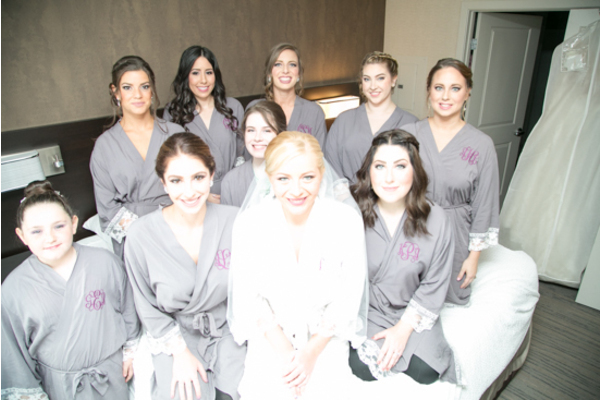 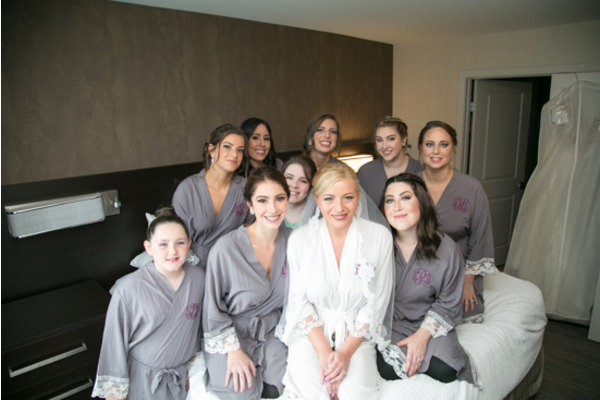 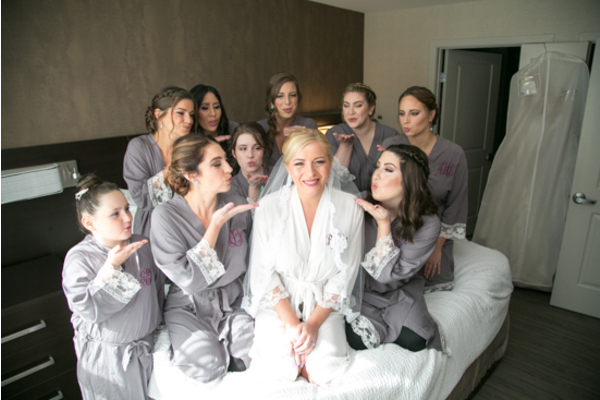 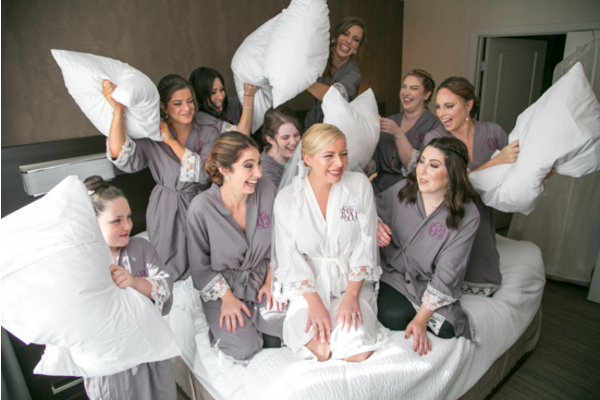 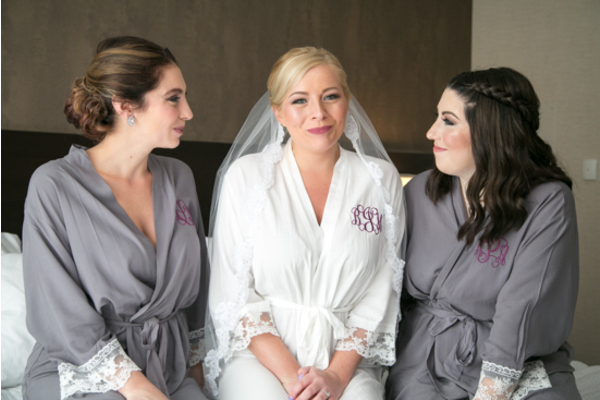 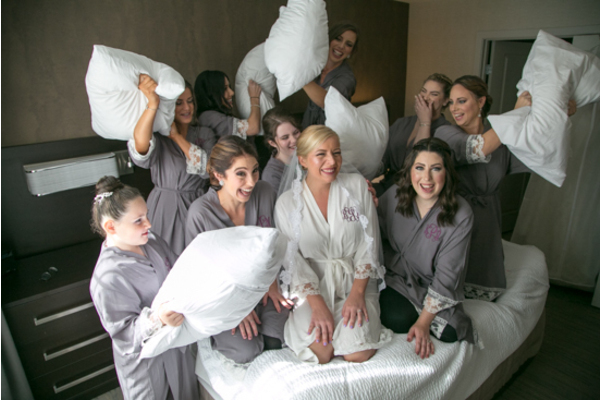 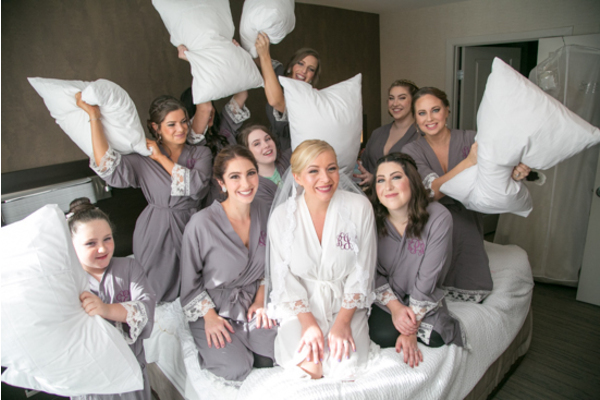 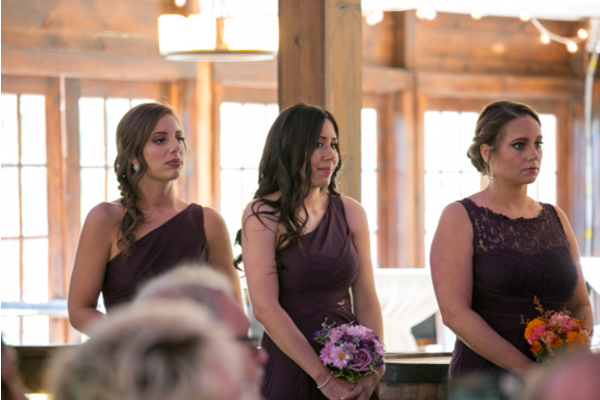 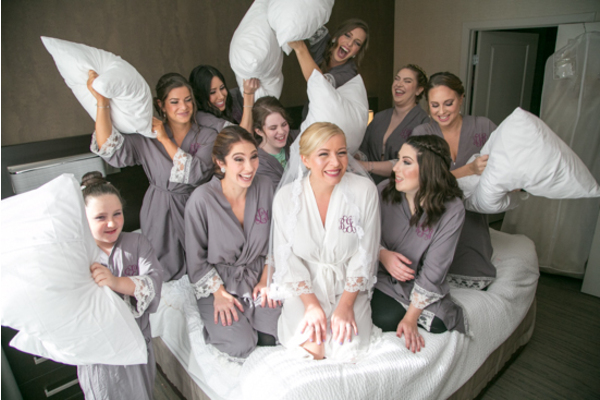 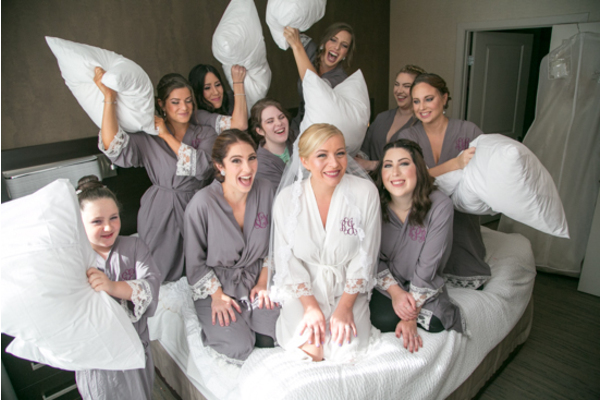 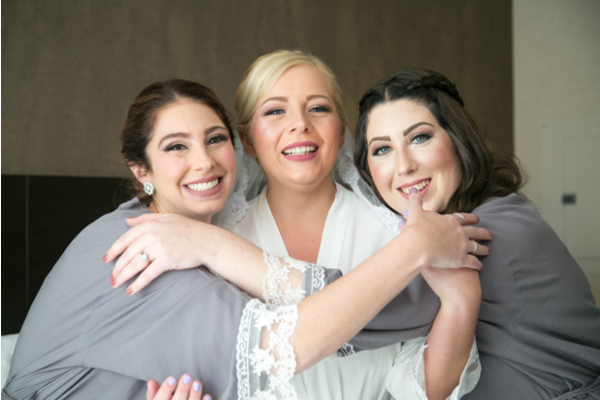 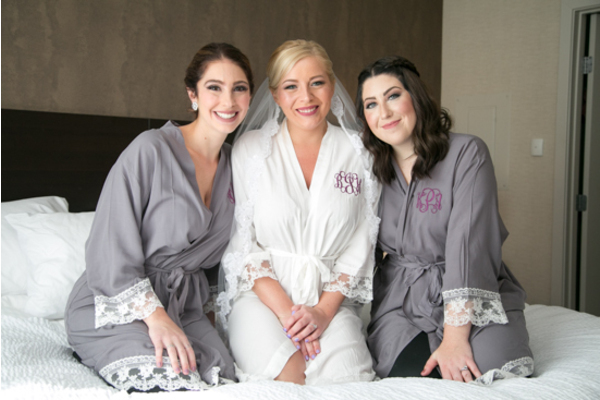 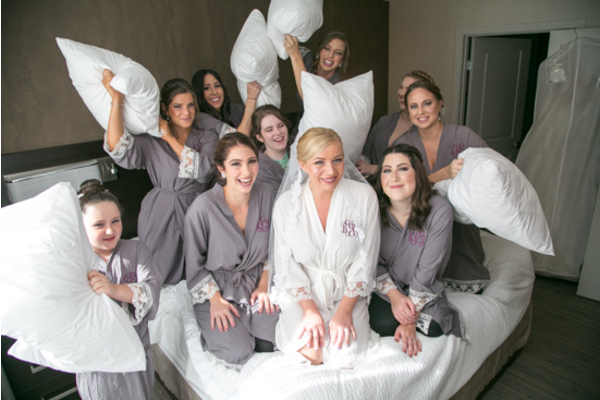 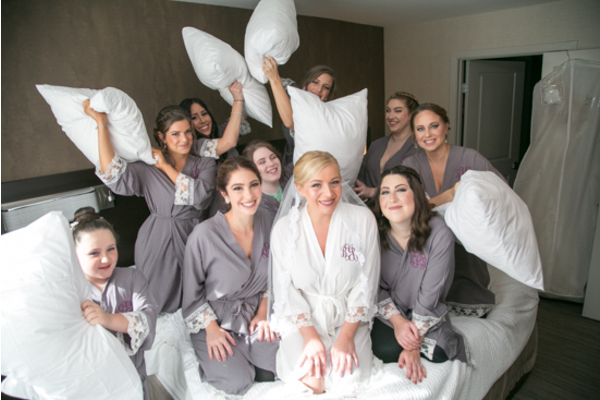 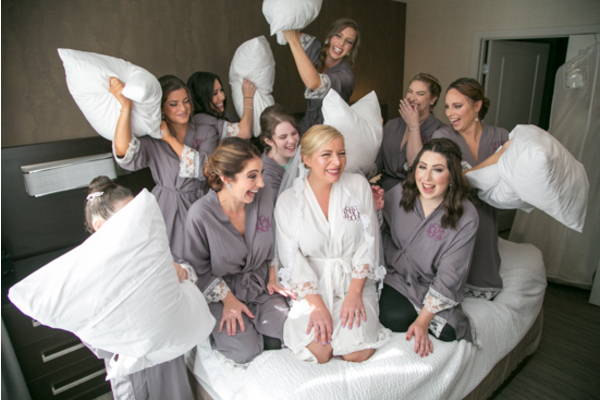 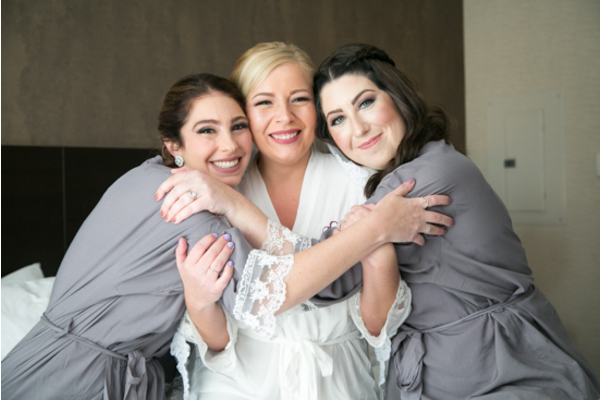 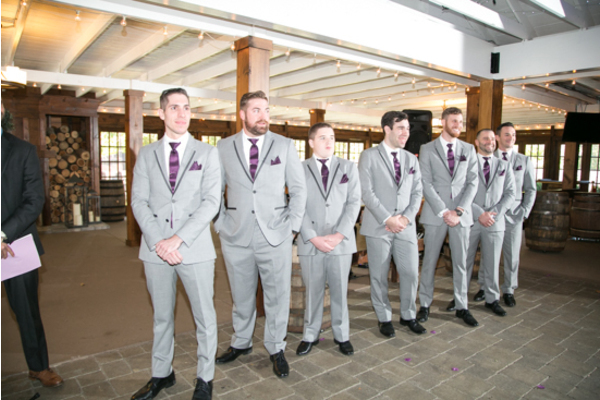 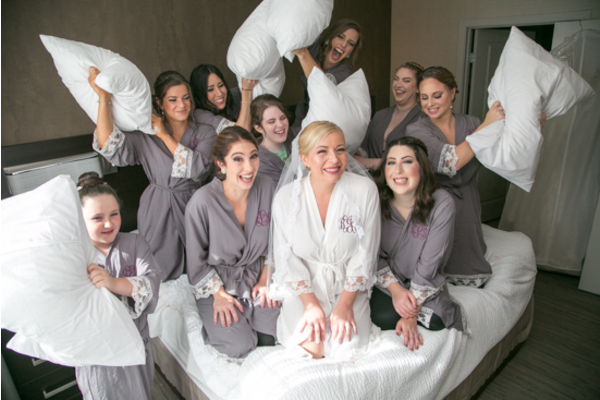 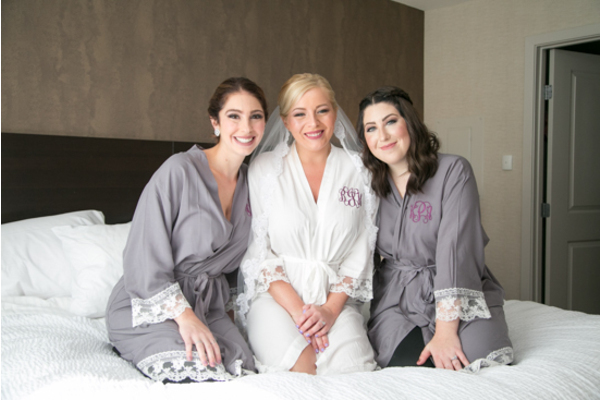 Each dressed in matching gray robes to gather around Brittany for bride preparation! 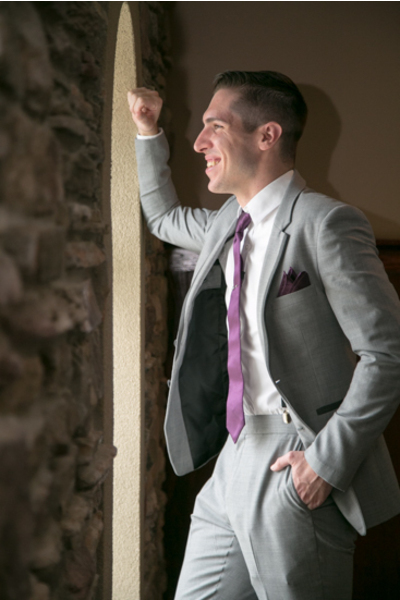 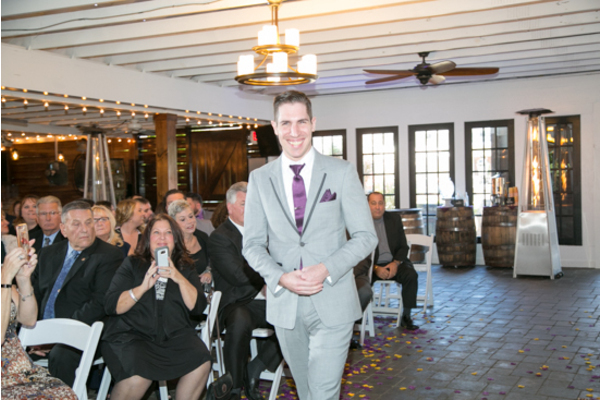 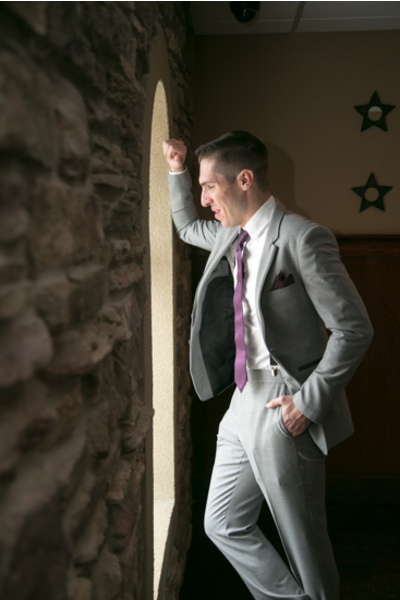 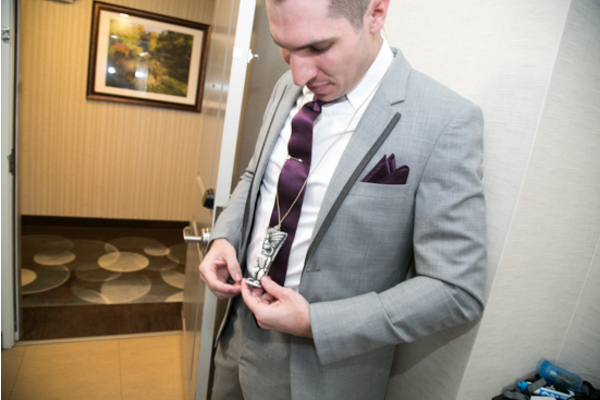 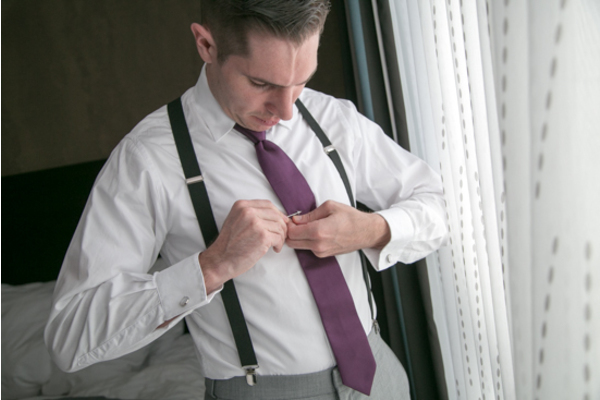 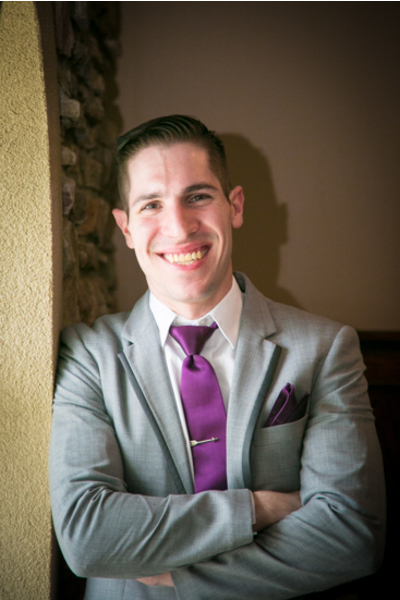 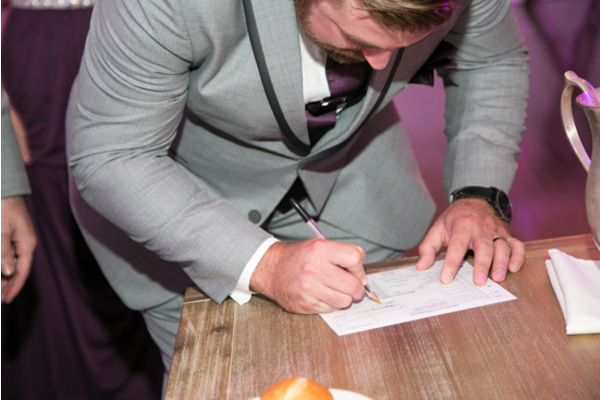 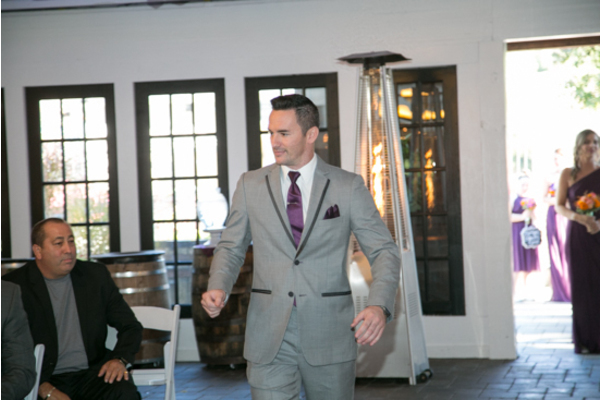 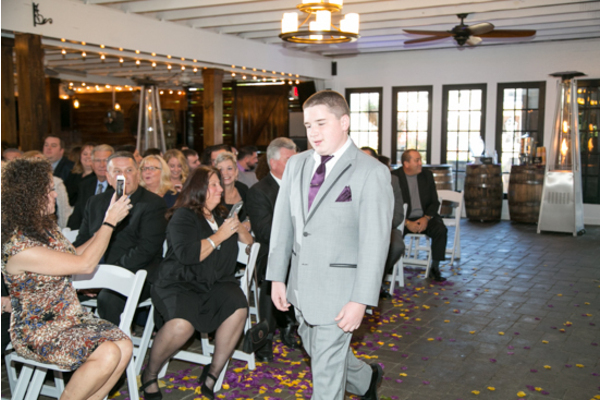 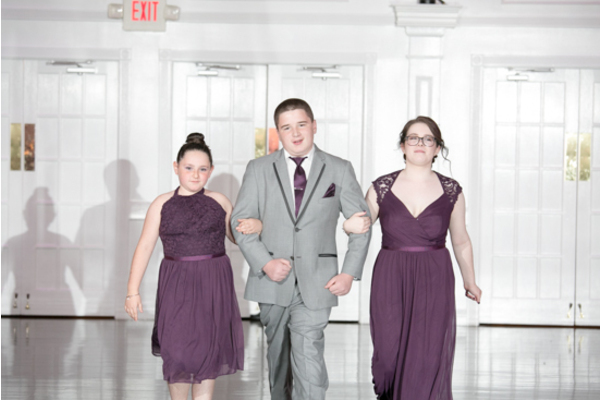 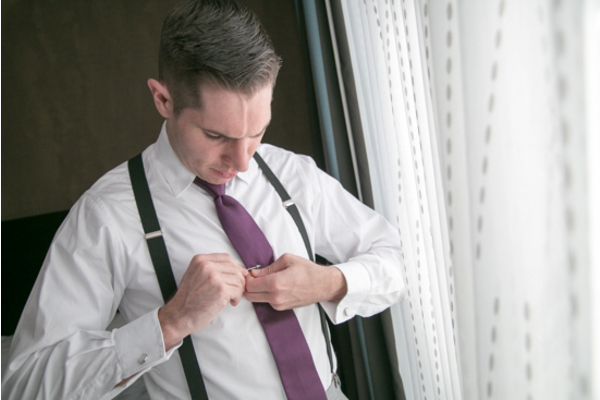 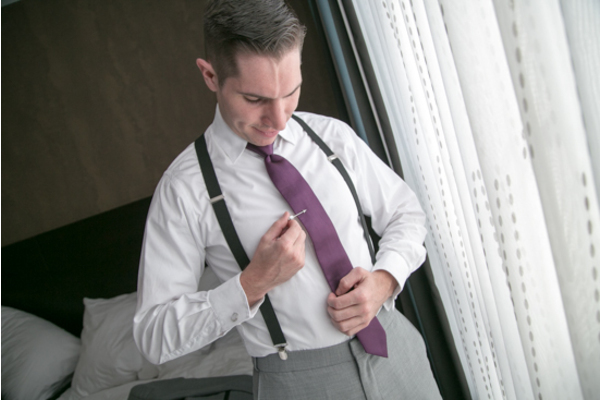 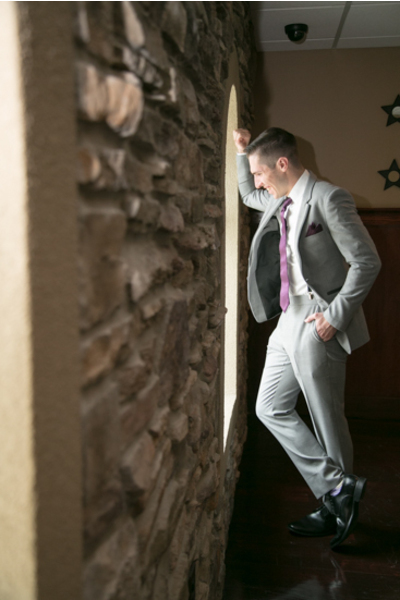 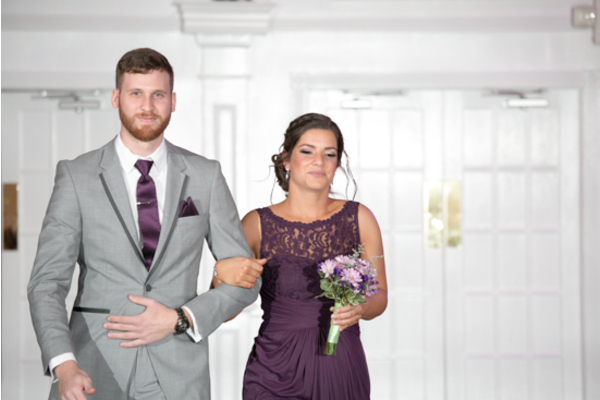 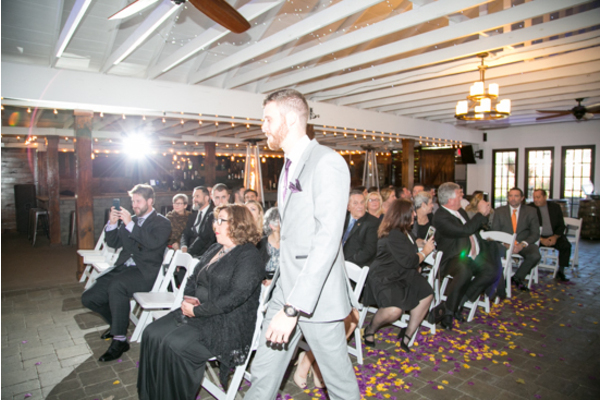 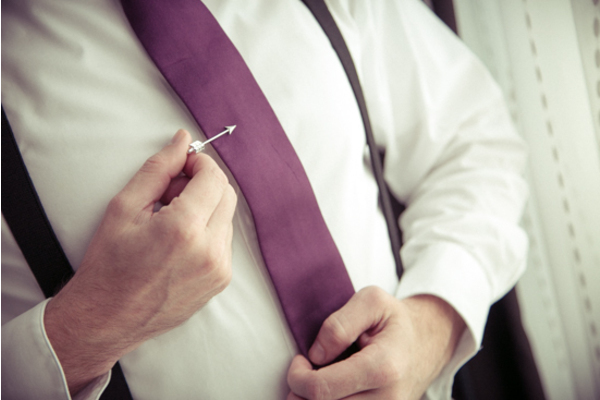 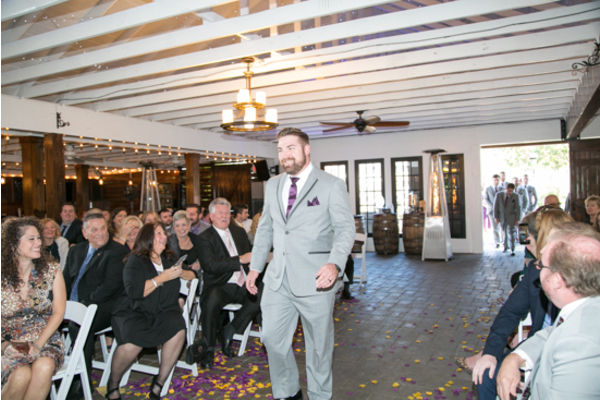 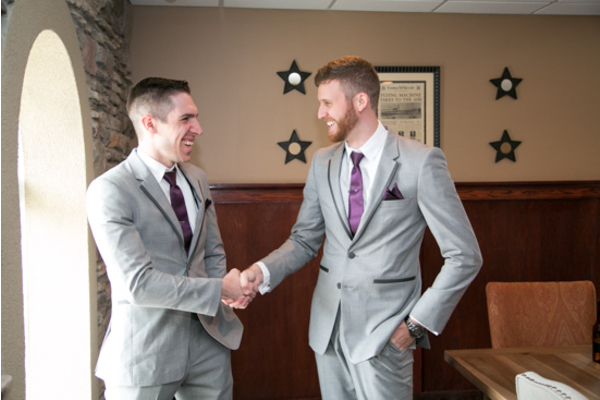 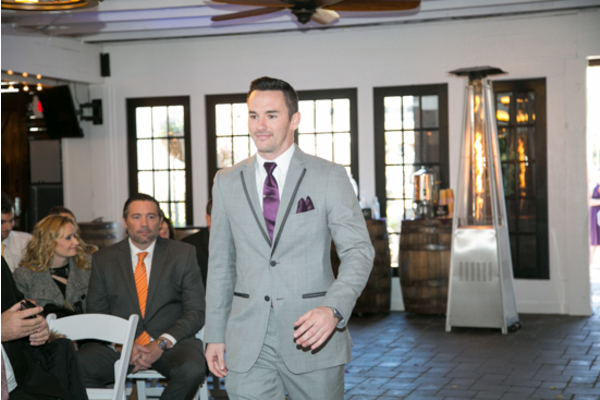 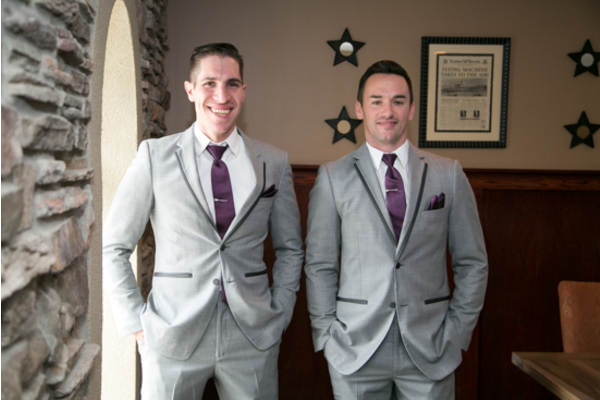 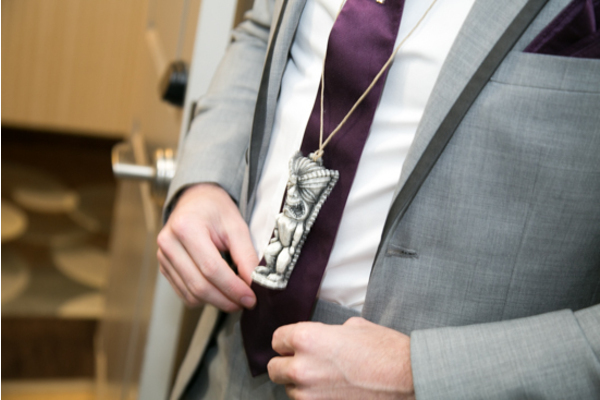 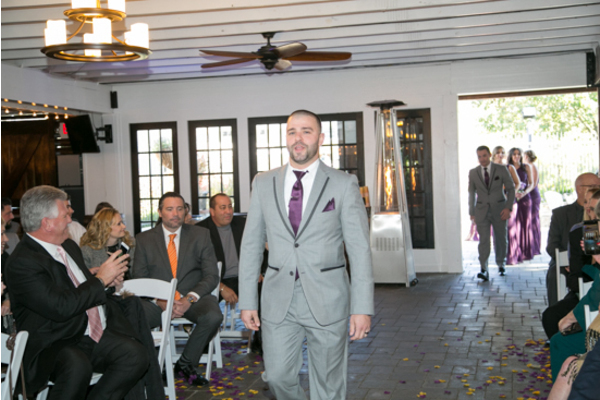 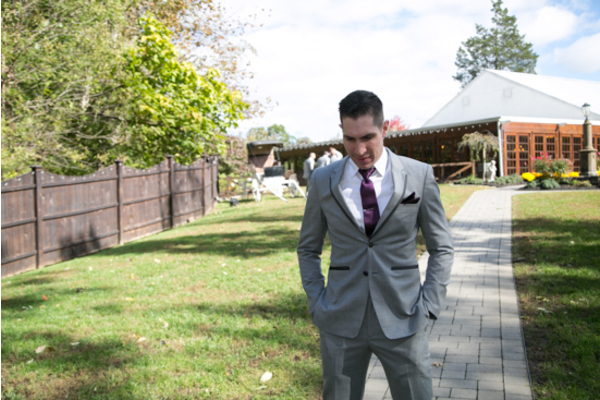 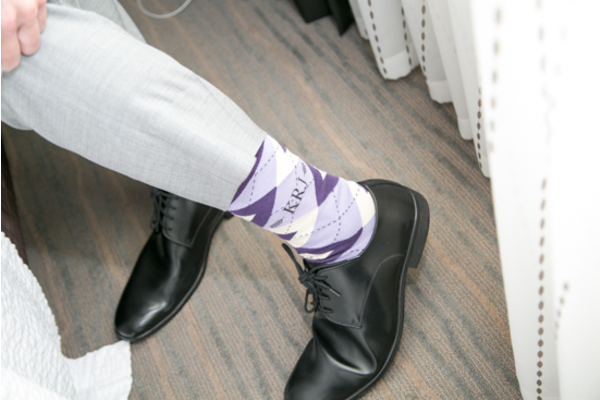 Meanwhile, Kyle was adding the necessary touches to his look, including purple socks and a tie! 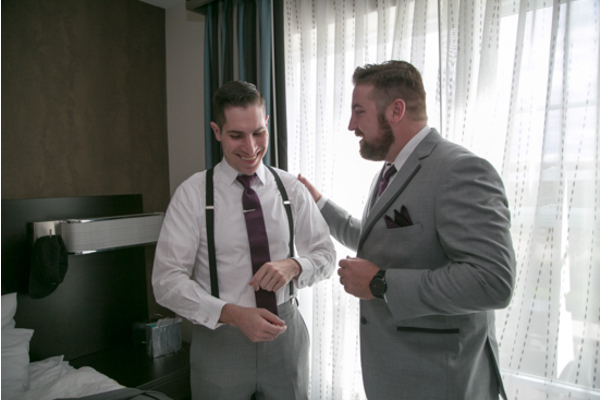 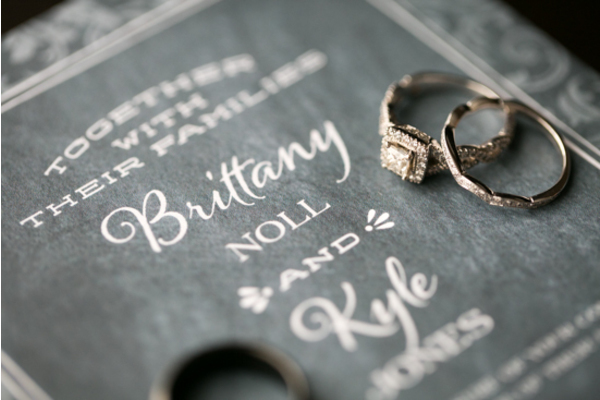 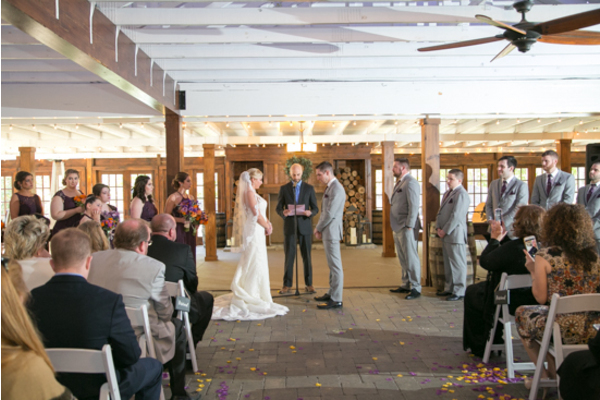 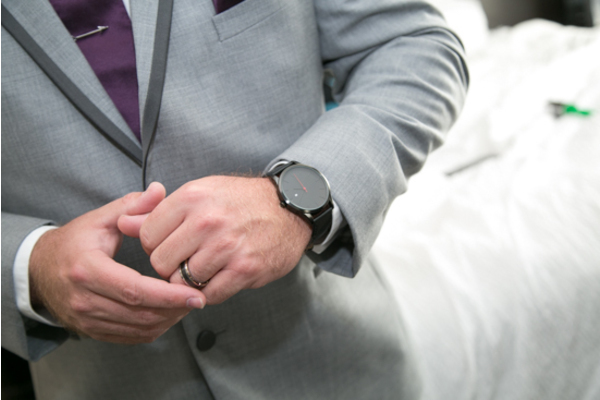 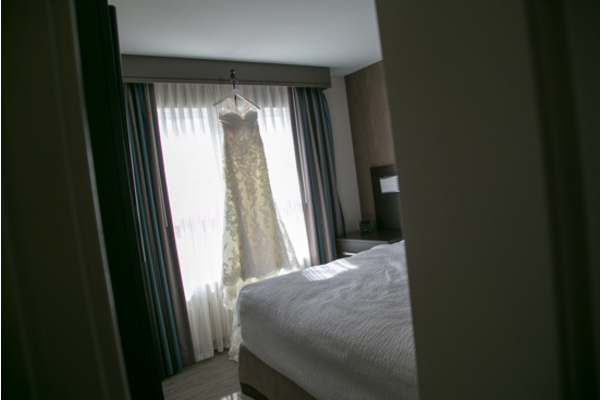 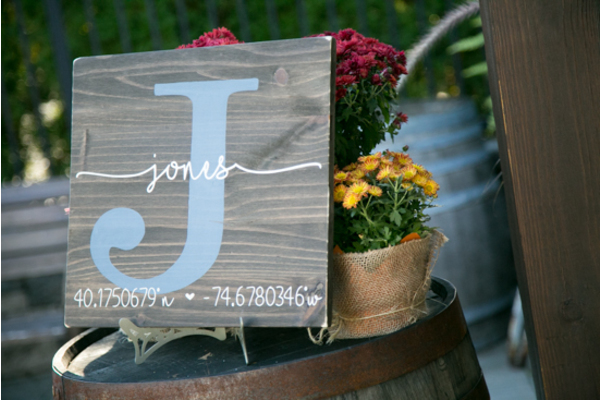 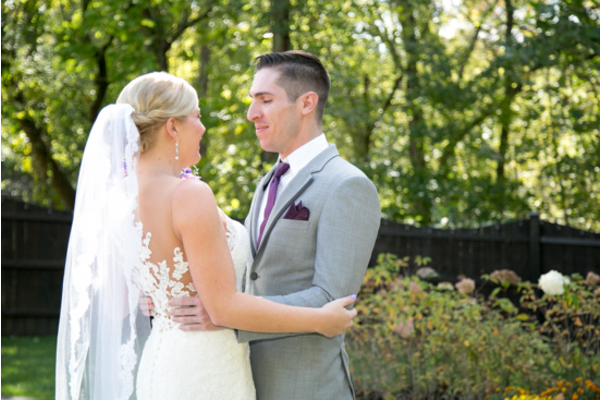 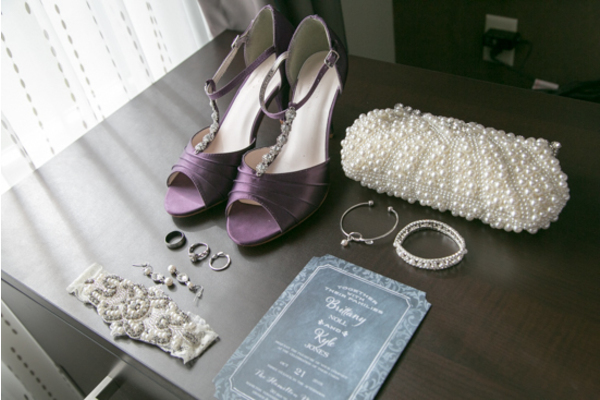 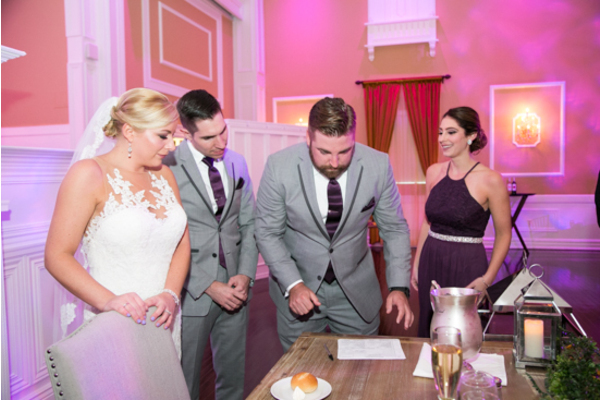 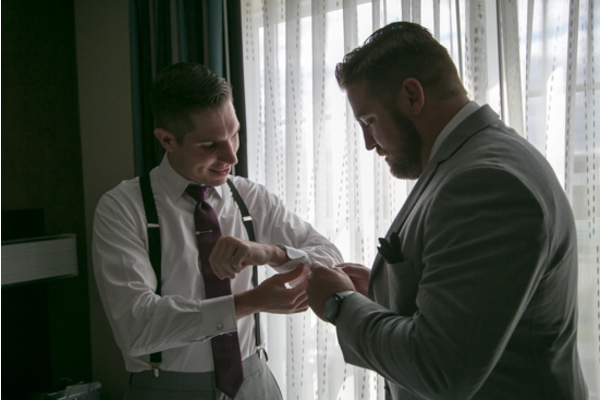 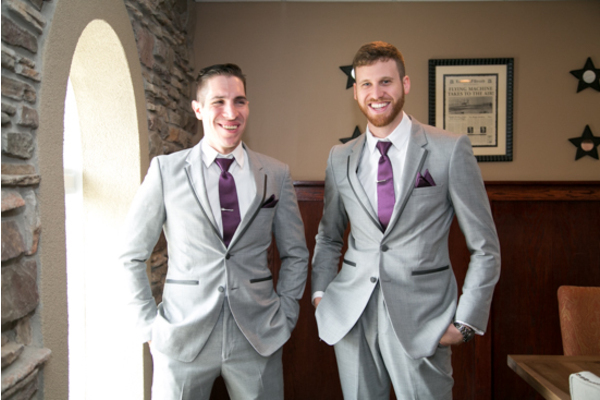 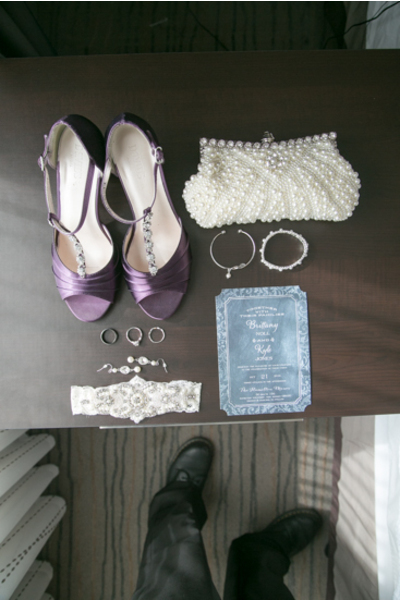 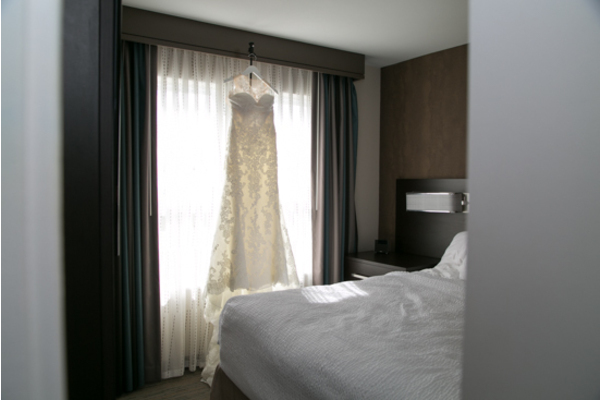 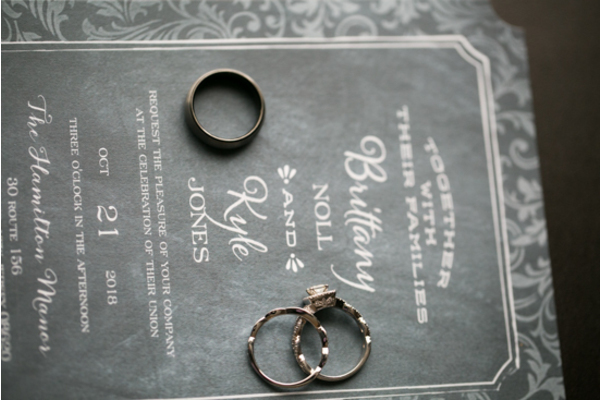 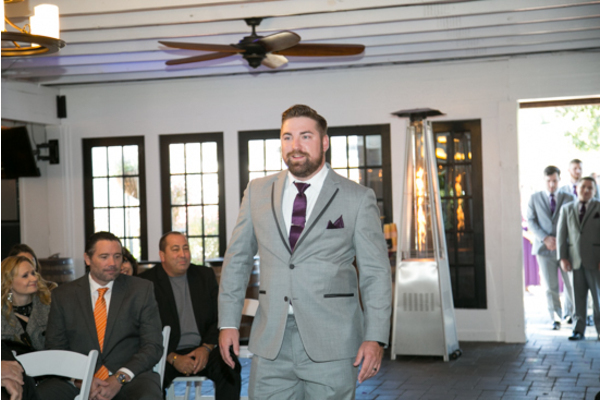 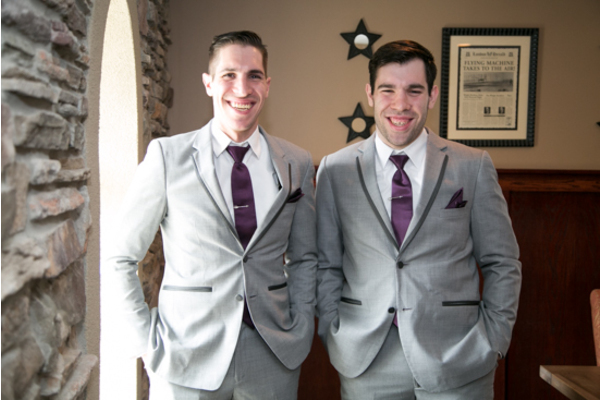 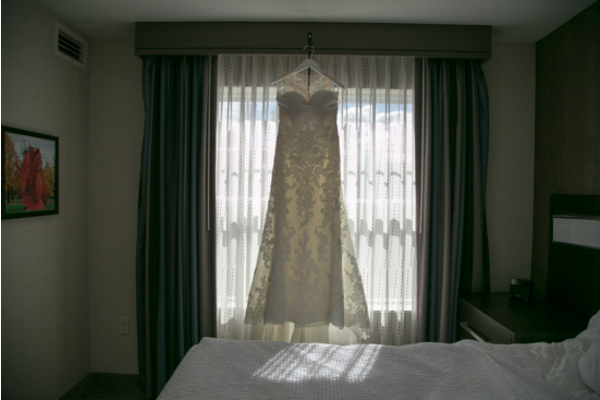 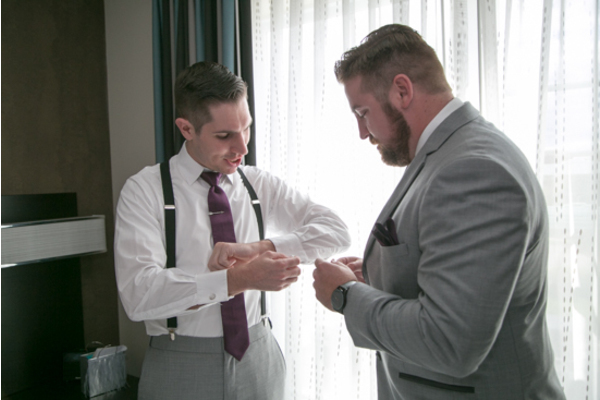 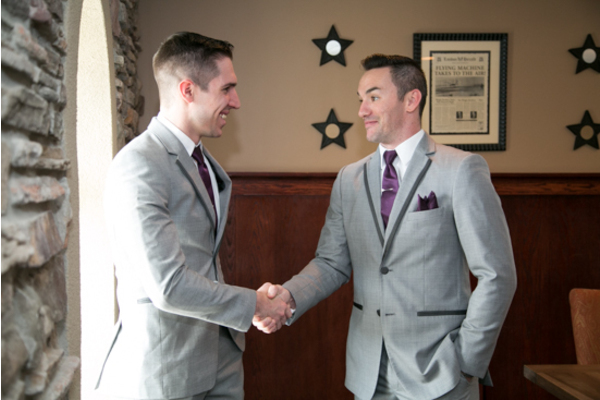 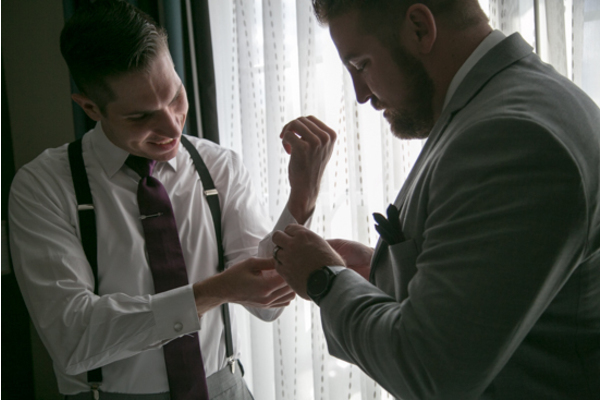 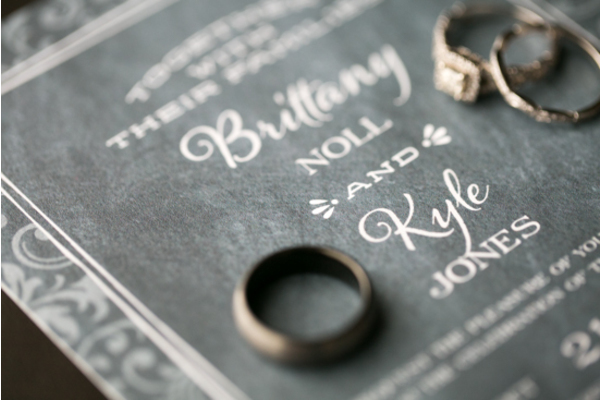 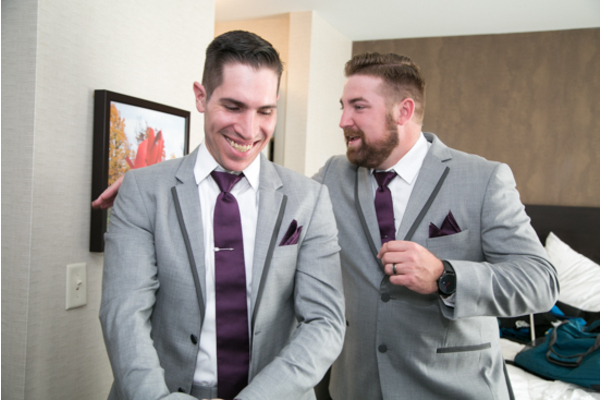 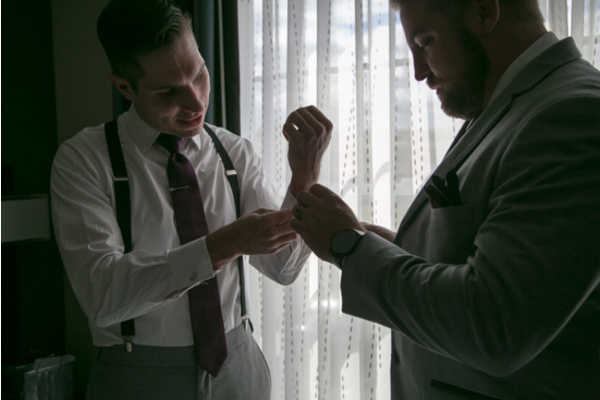 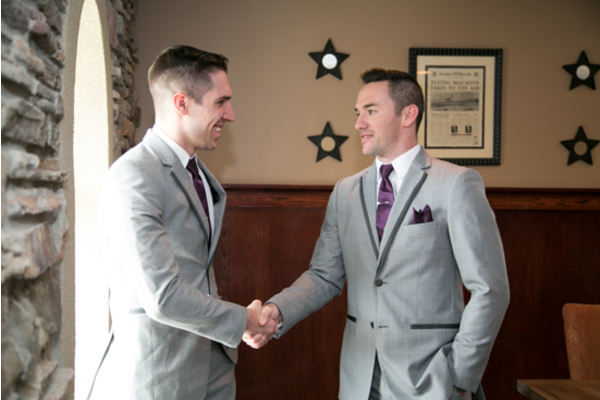 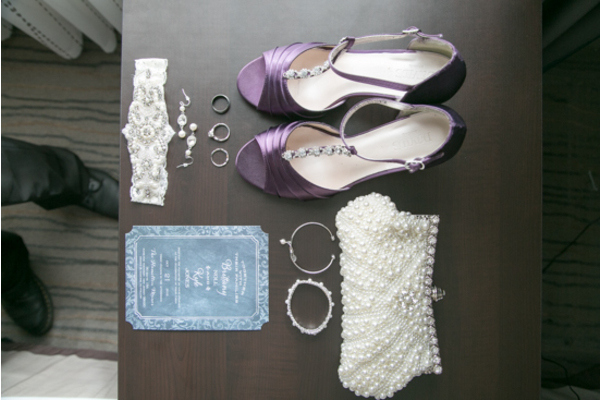 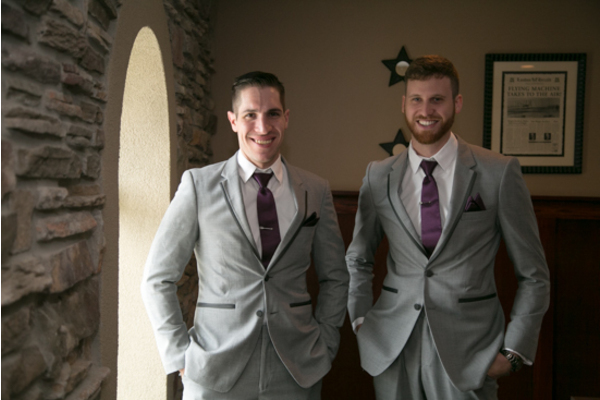 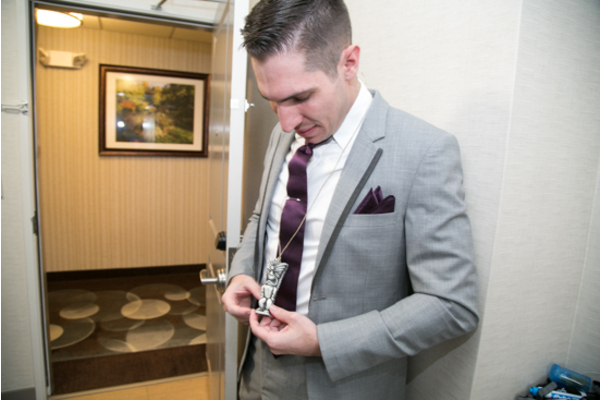 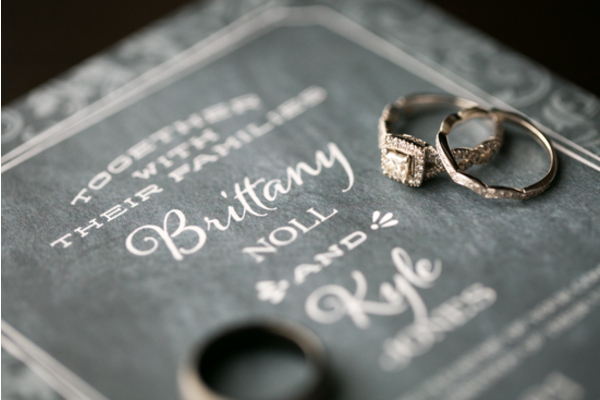 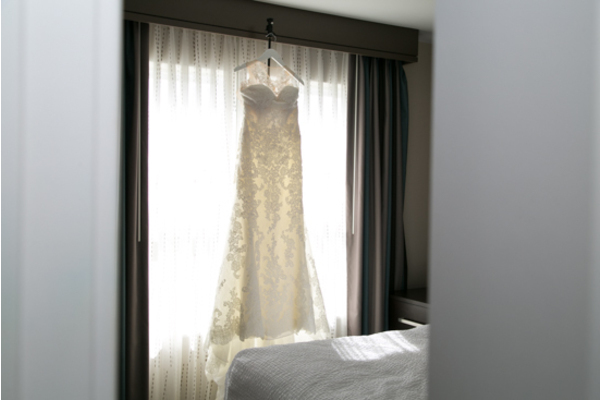 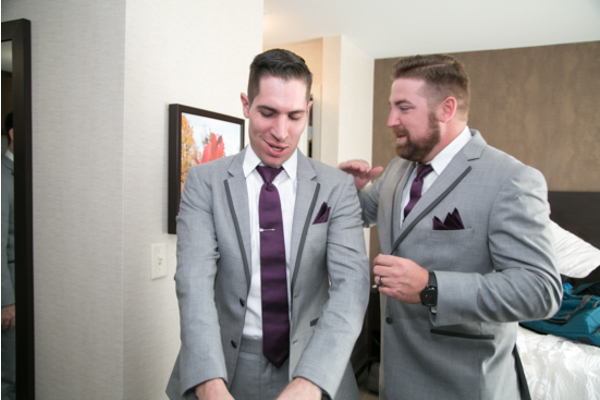 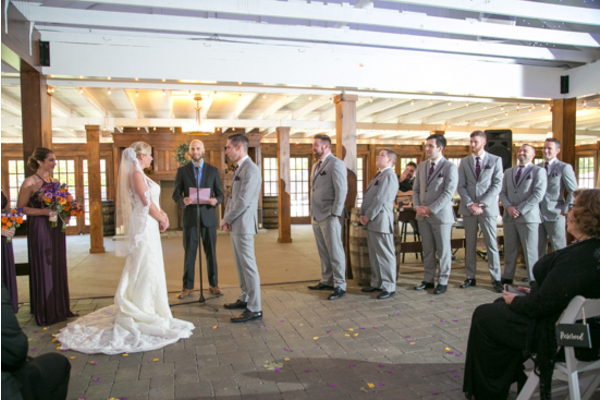 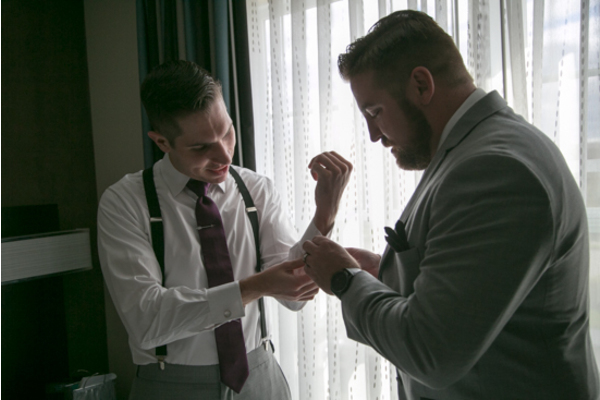 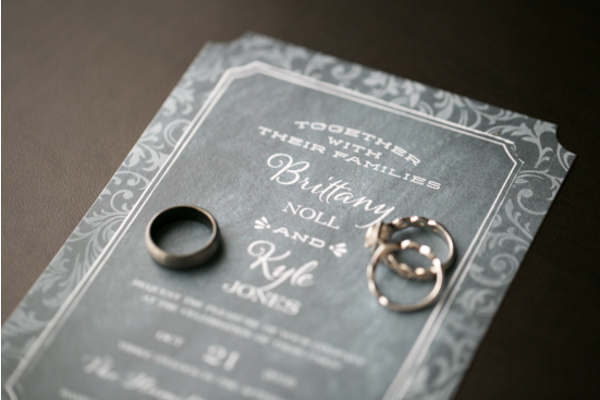 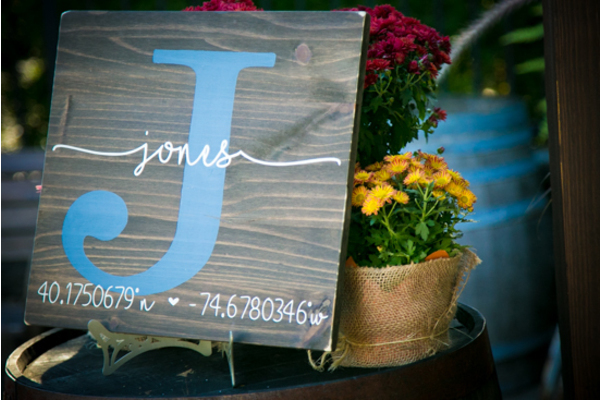 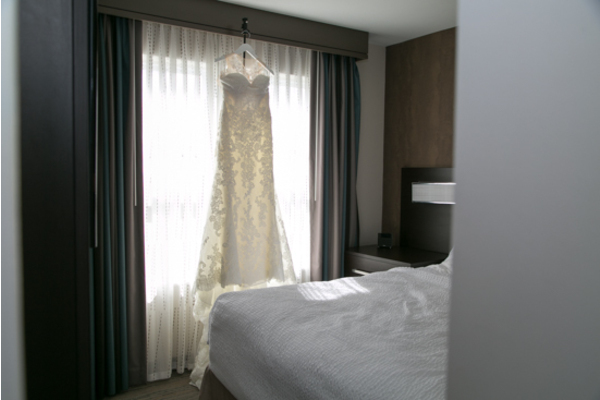 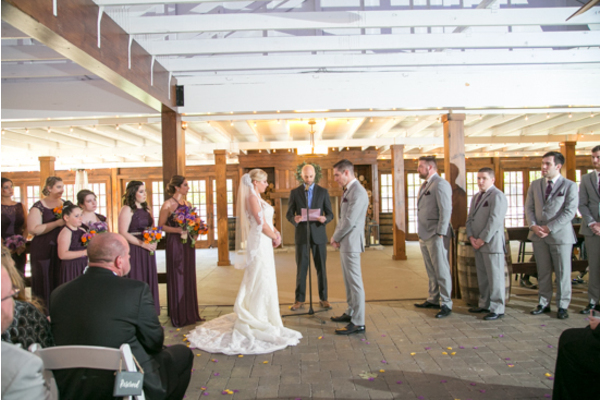 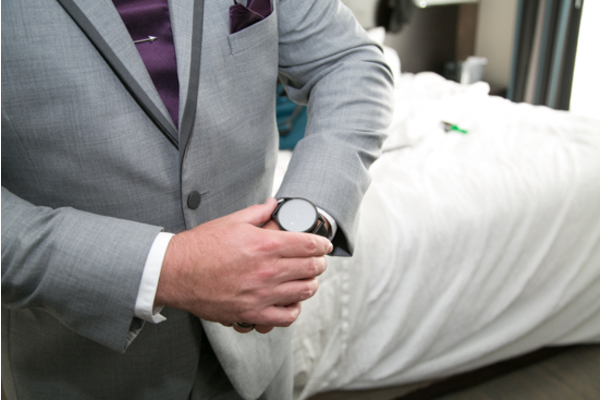 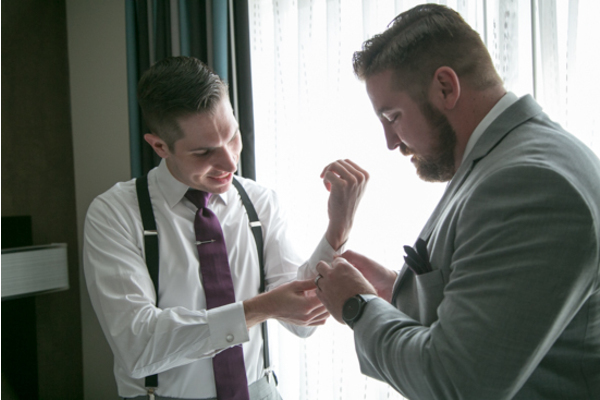 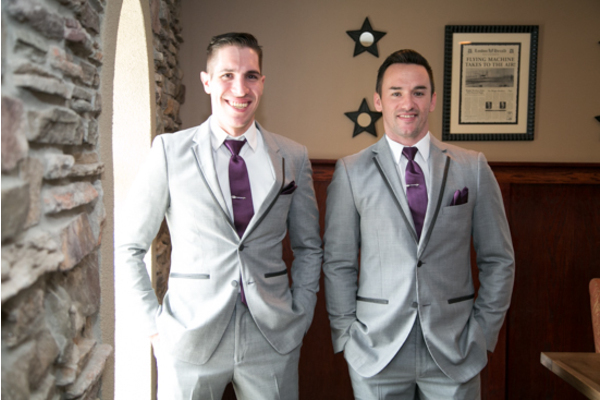 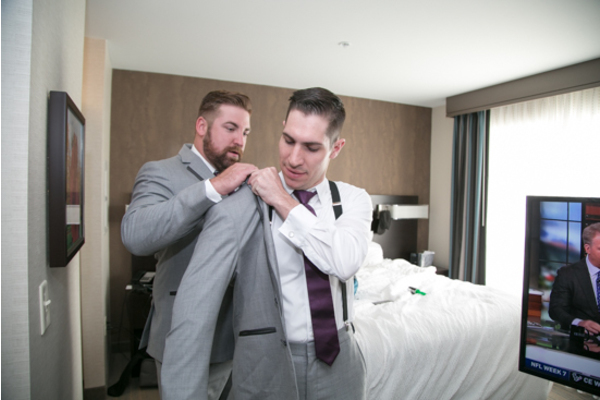 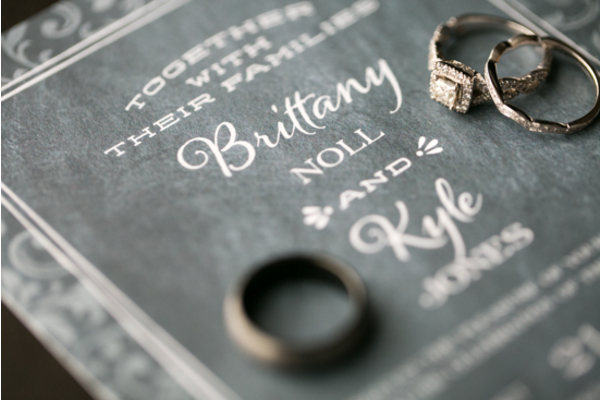 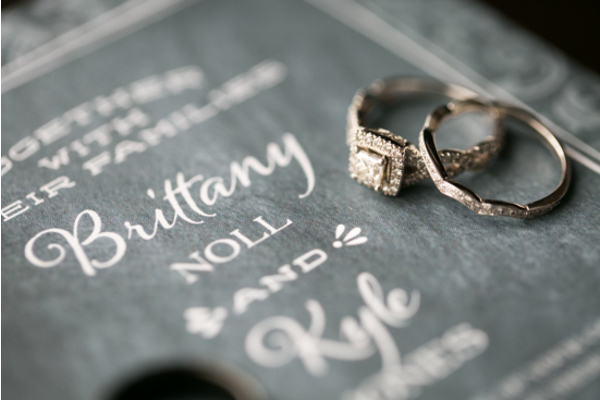 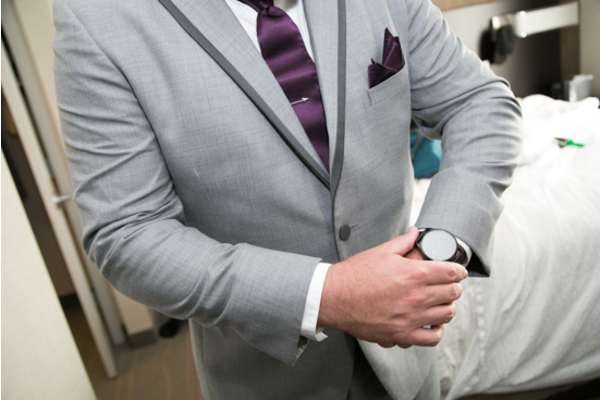 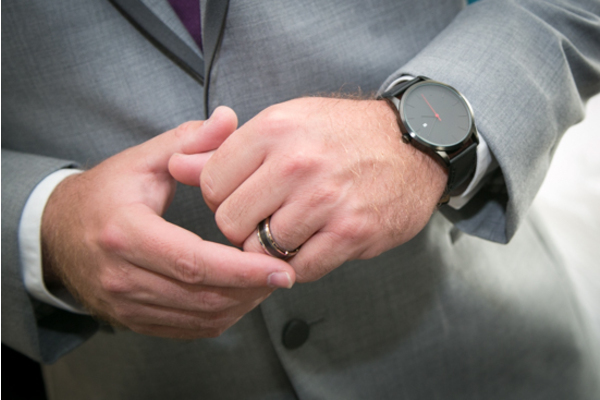 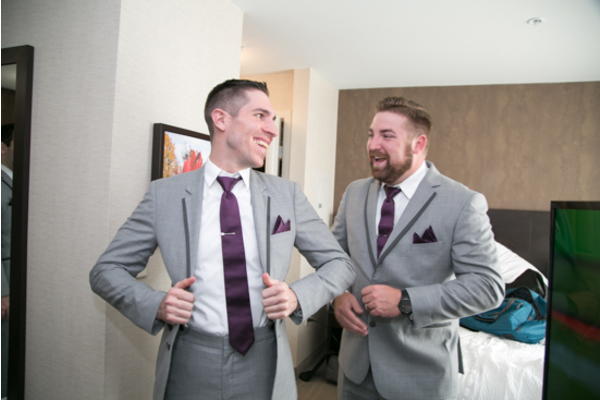 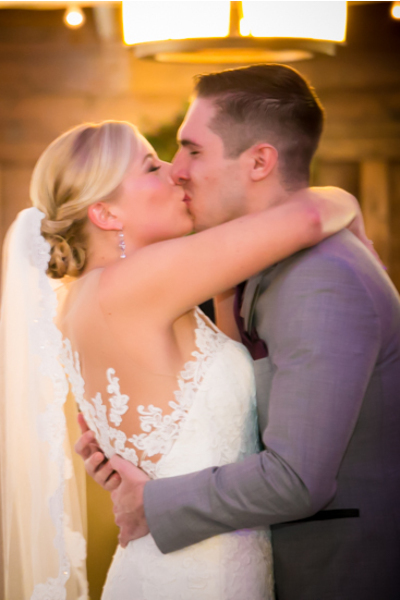 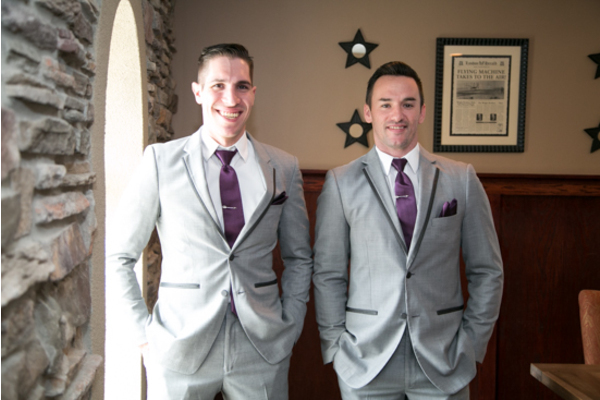 Before heading to the ceremony, Brittany and Kyle did a first look reveal. 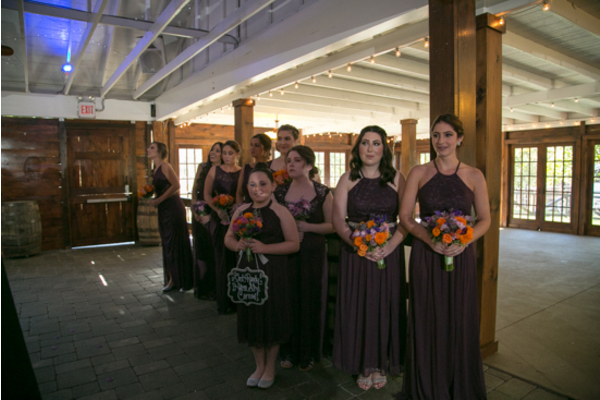 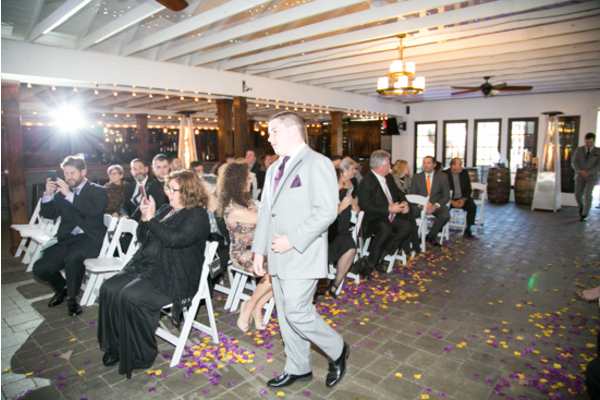 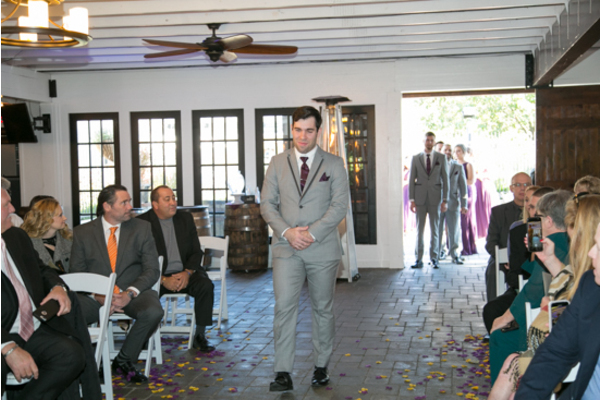 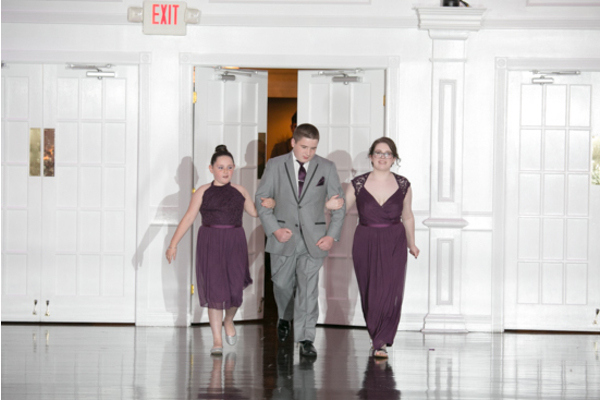 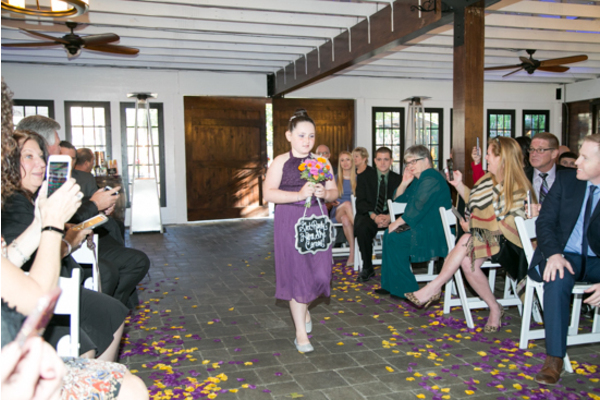 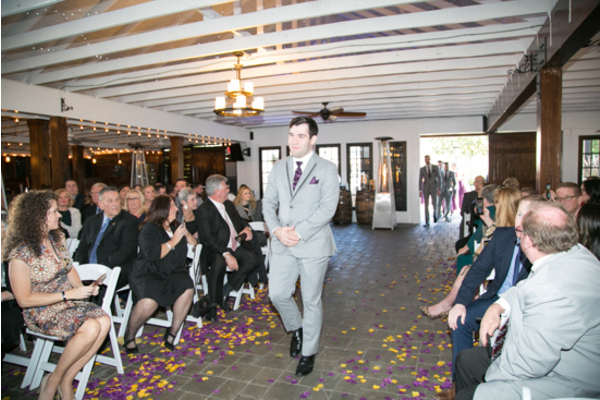 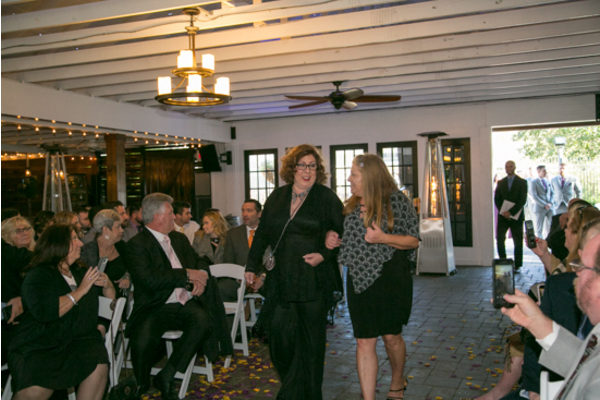 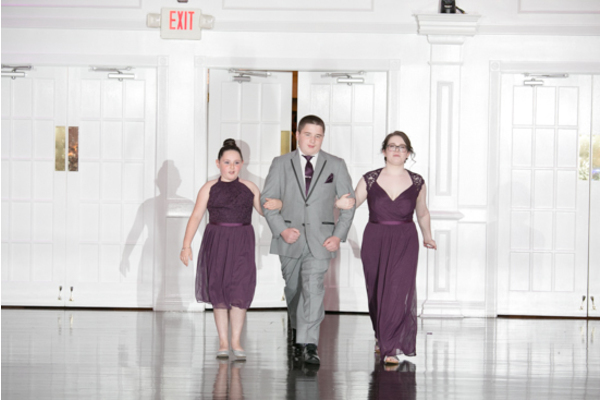 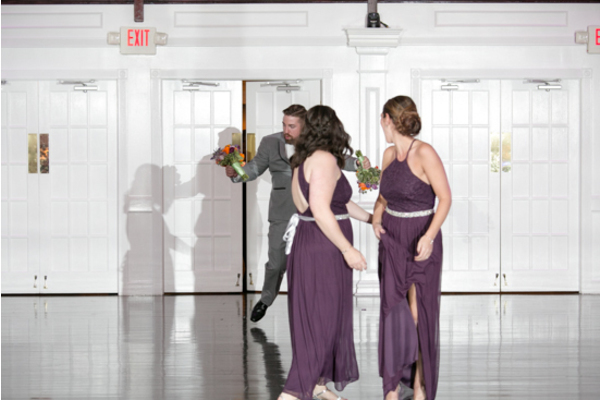 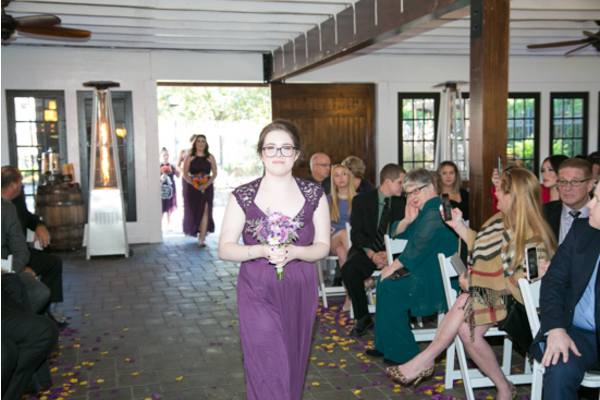 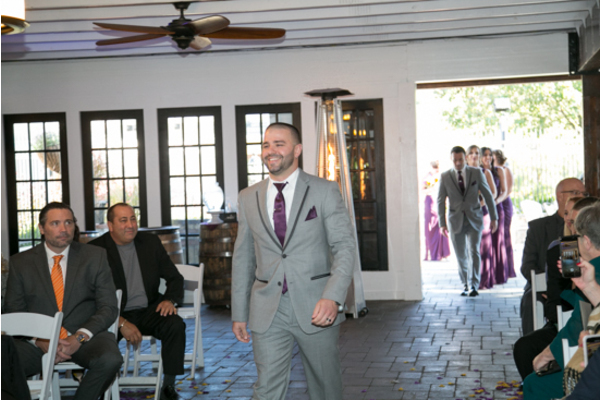 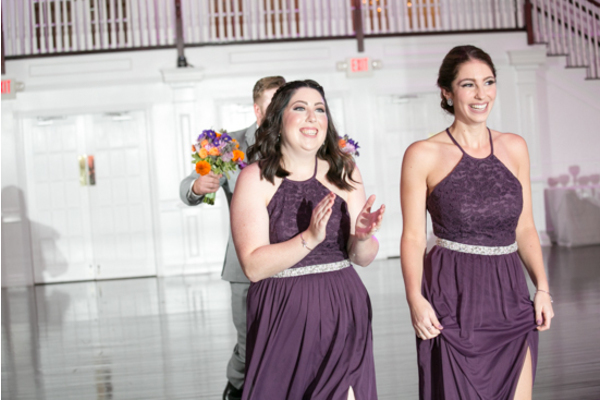 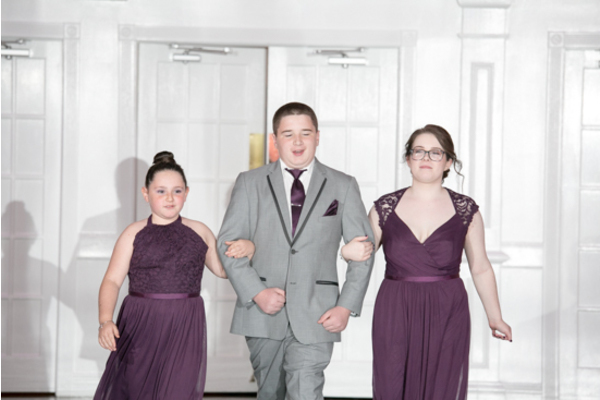 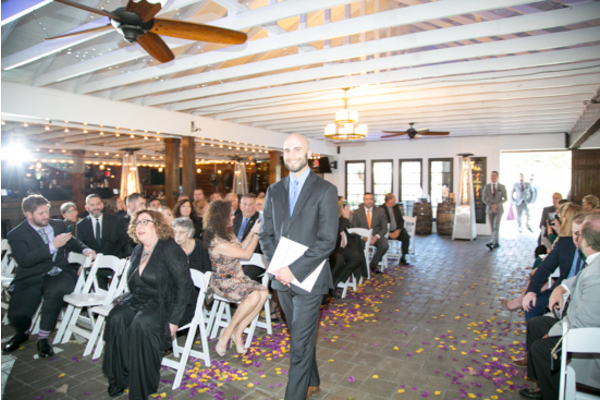 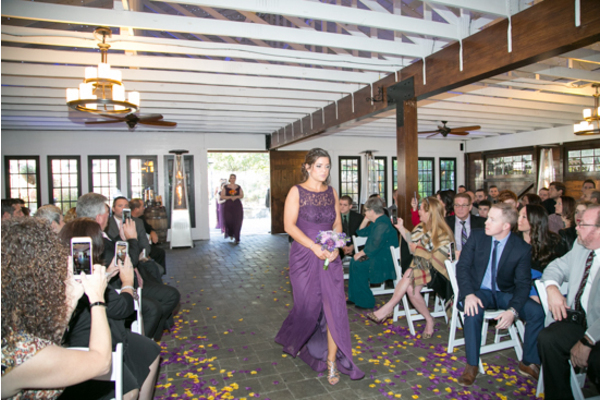 Finally, guests made their way to their seats as the bridal party made their way down the aisle. 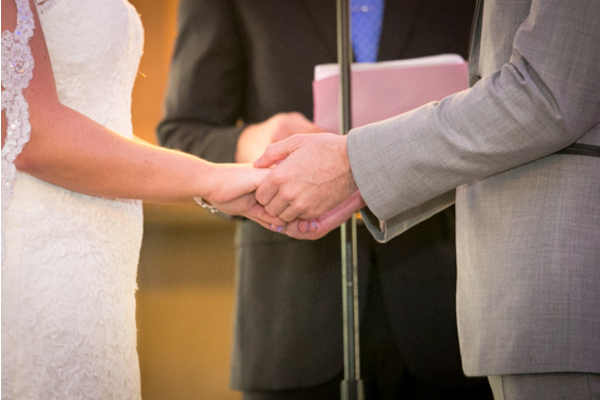 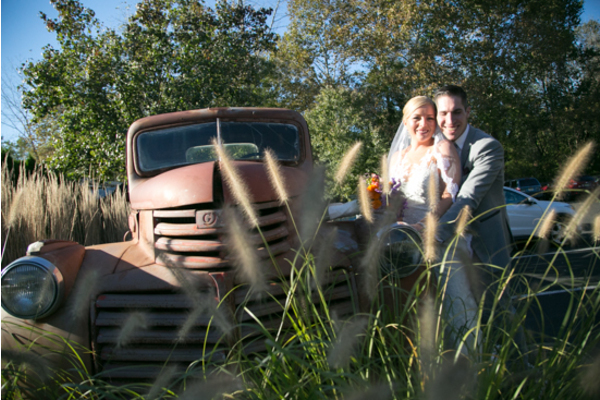 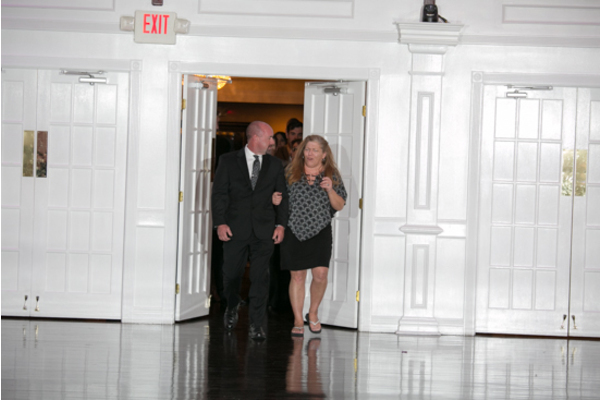 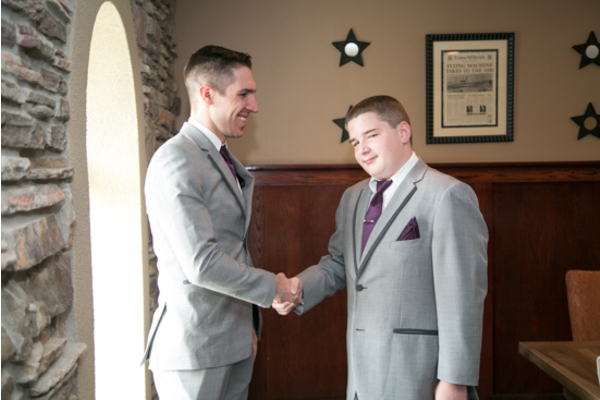 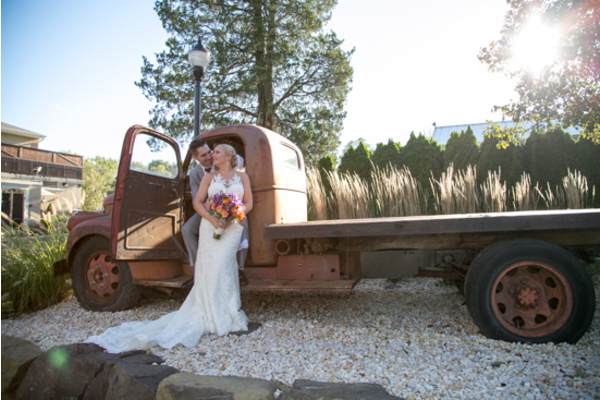 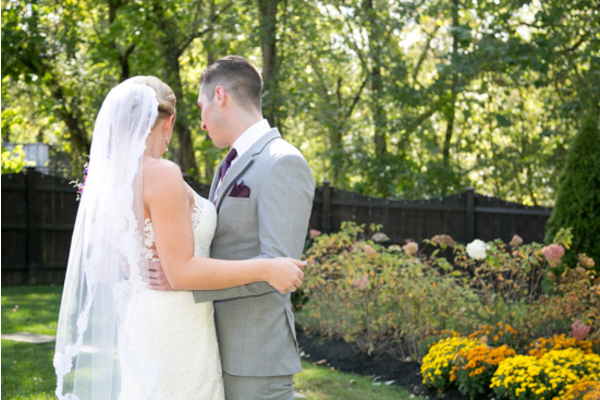 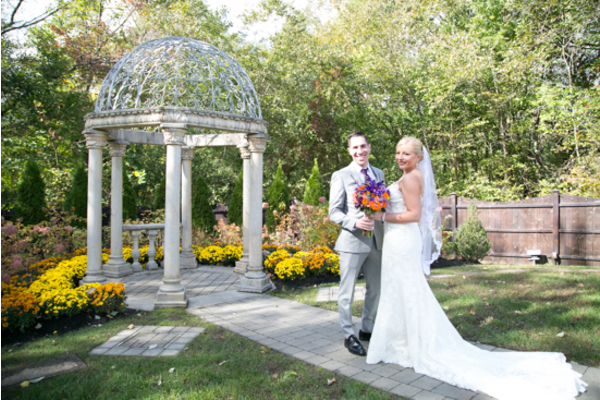 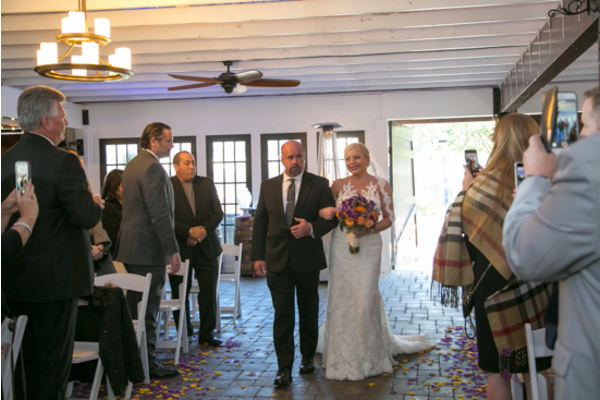 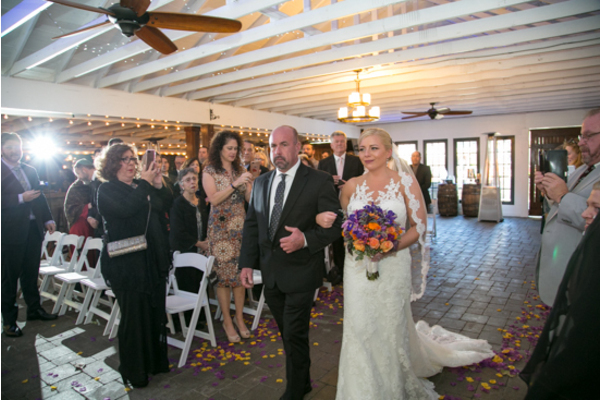 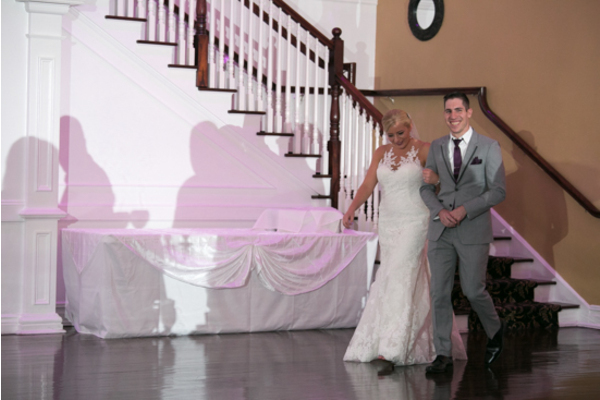 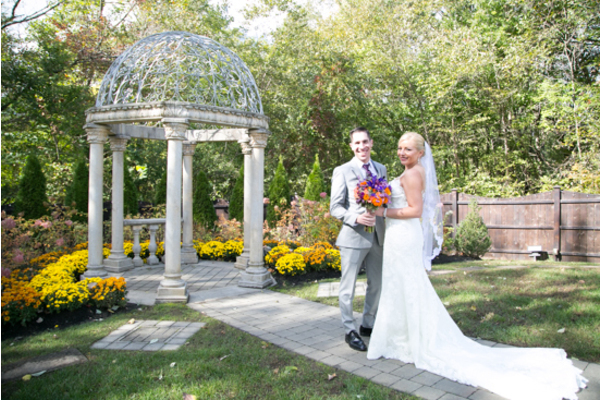 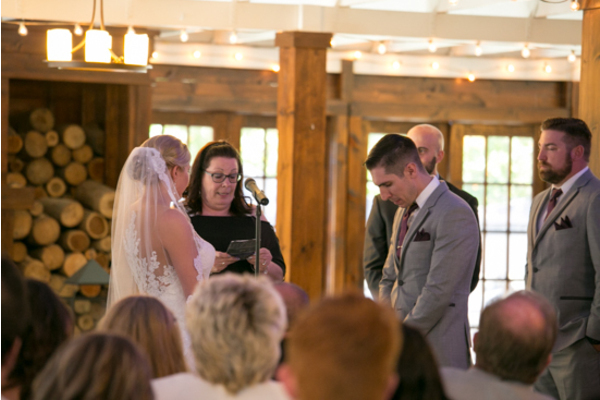 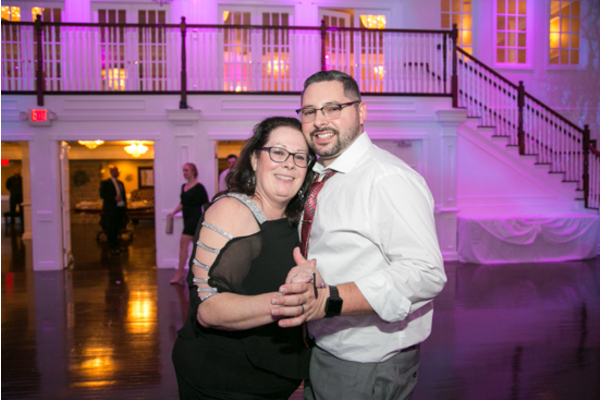 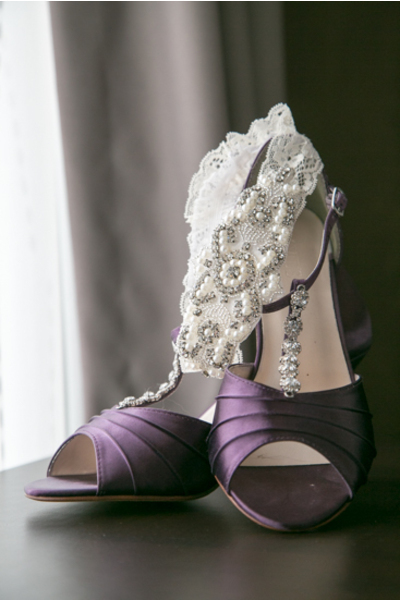 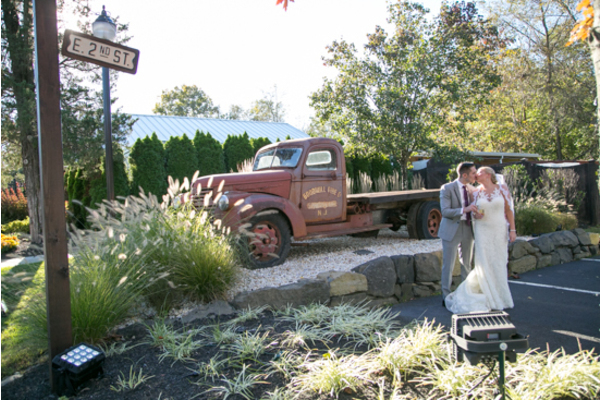 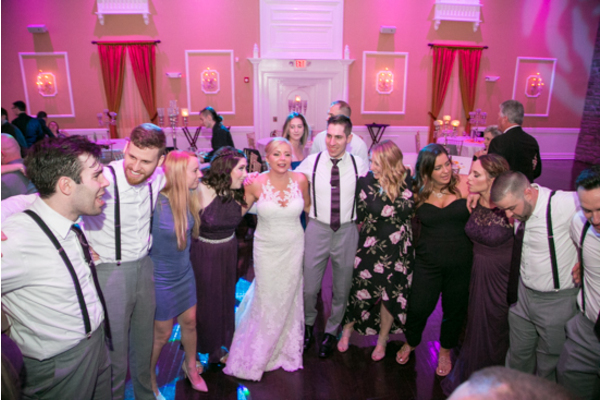 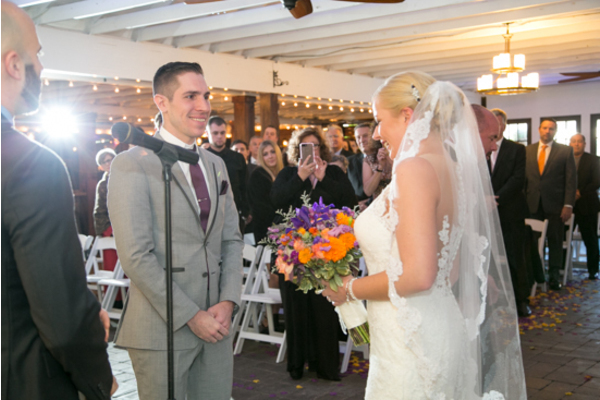 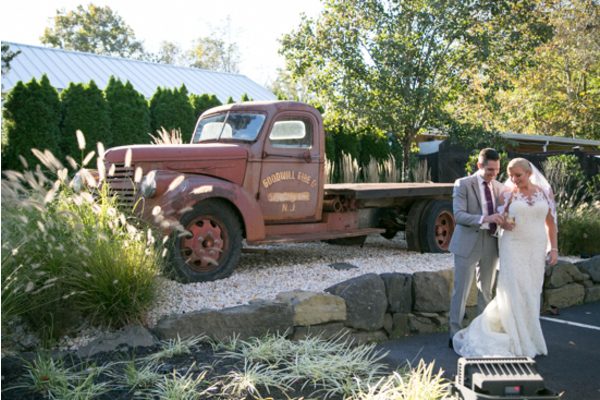 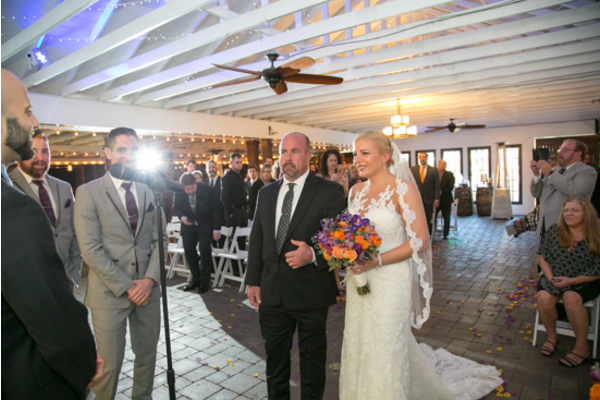 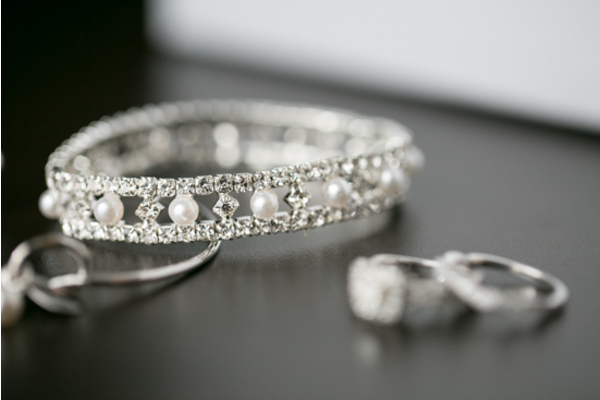 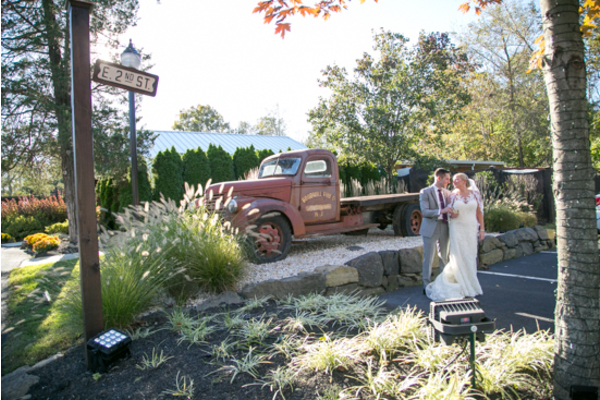 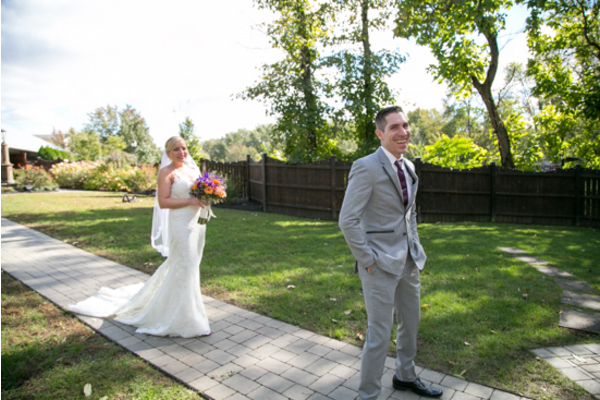 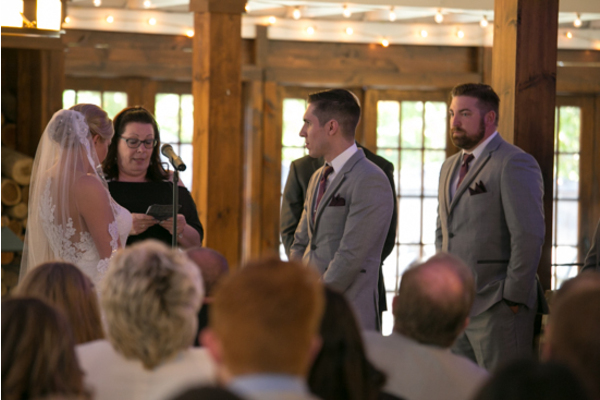 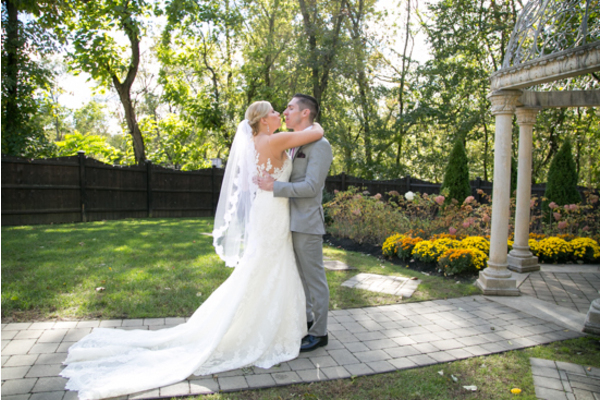 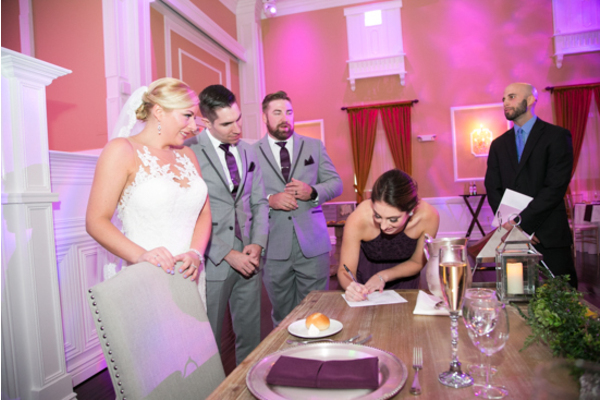 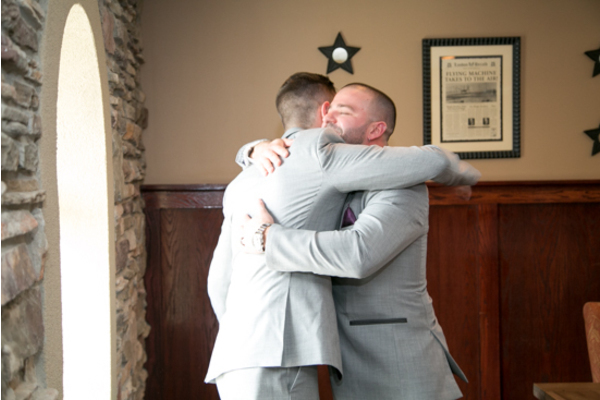 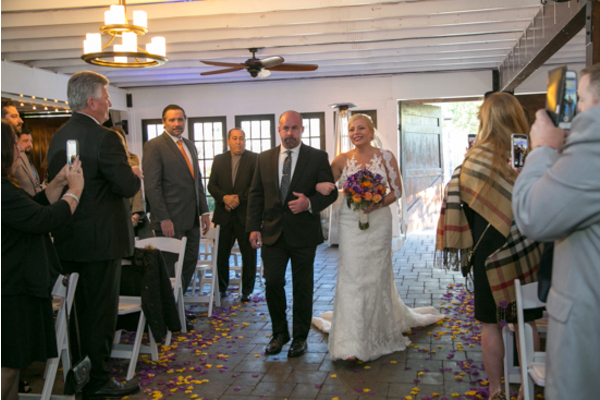 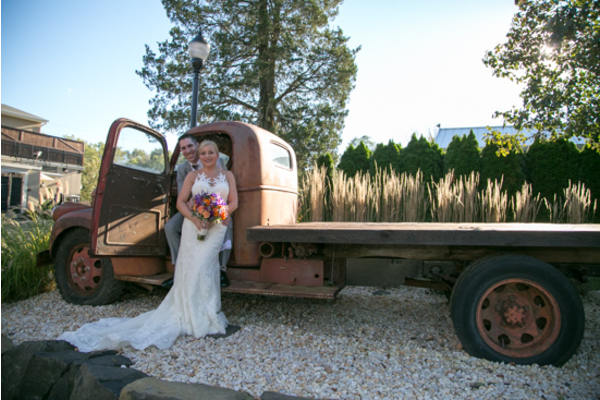 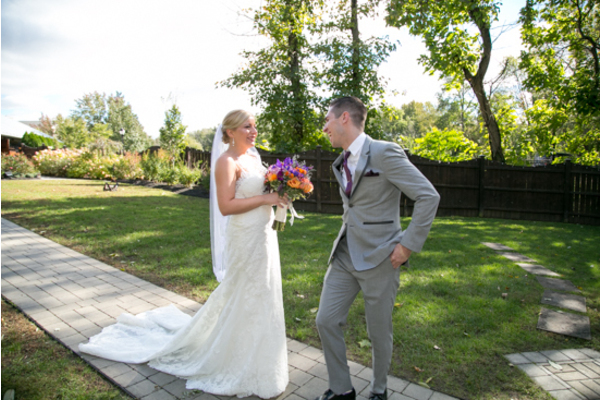 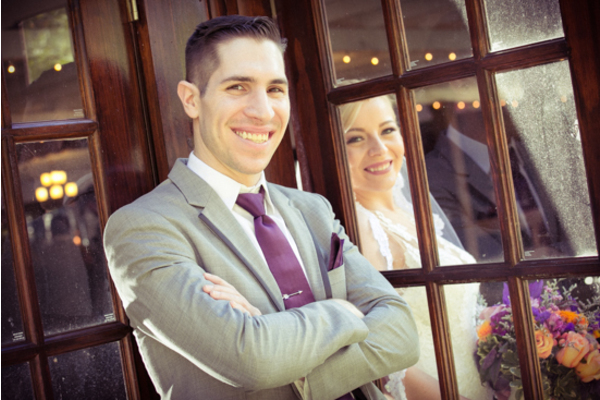 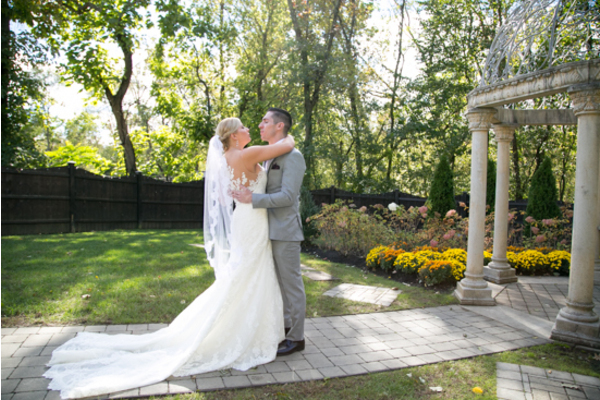 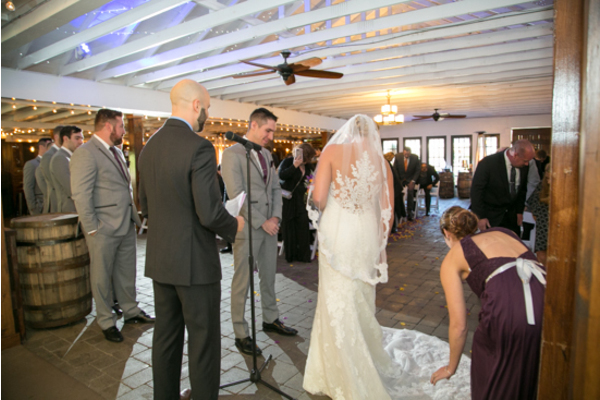 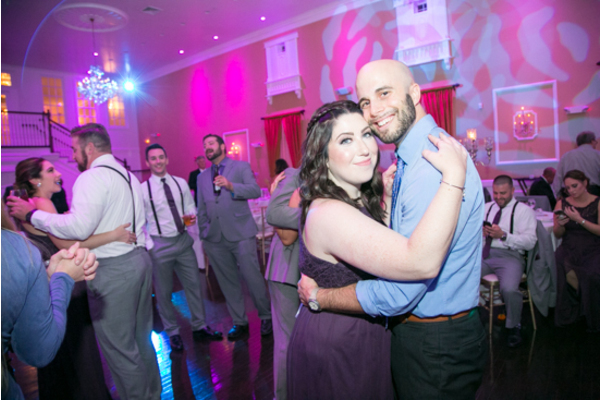 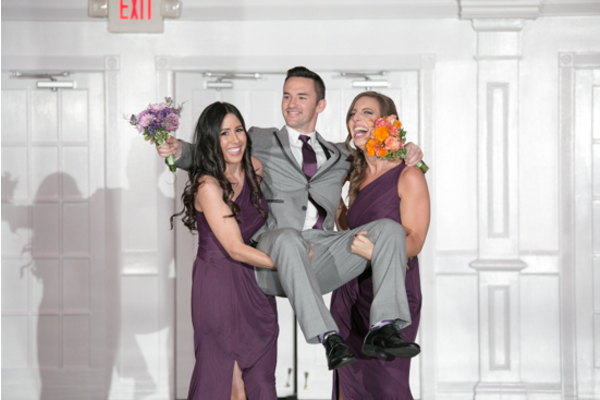 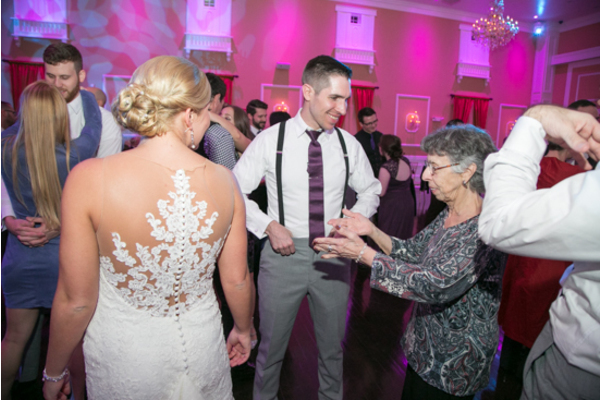 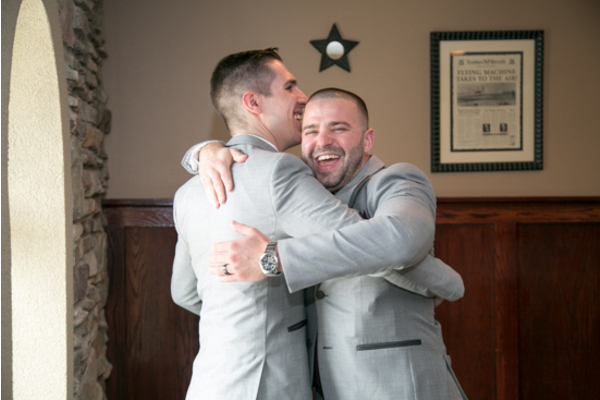 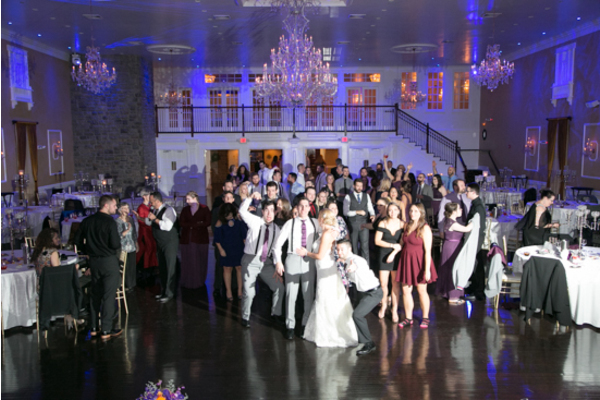 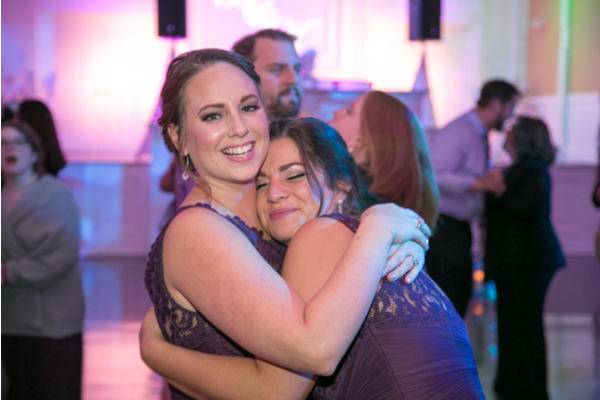 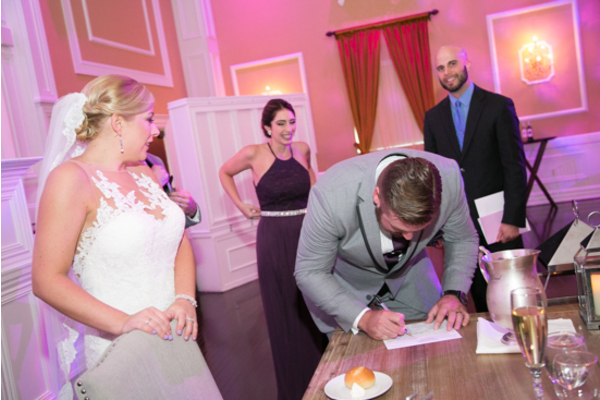 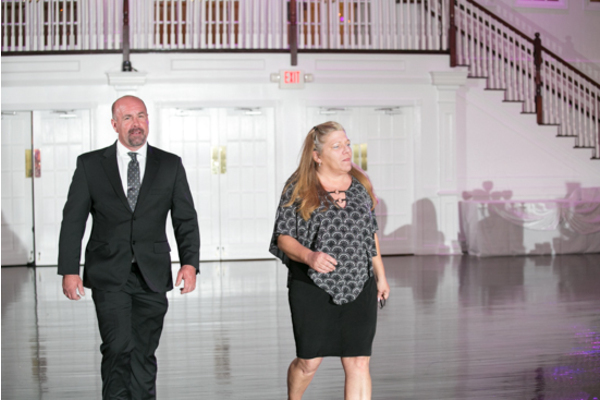 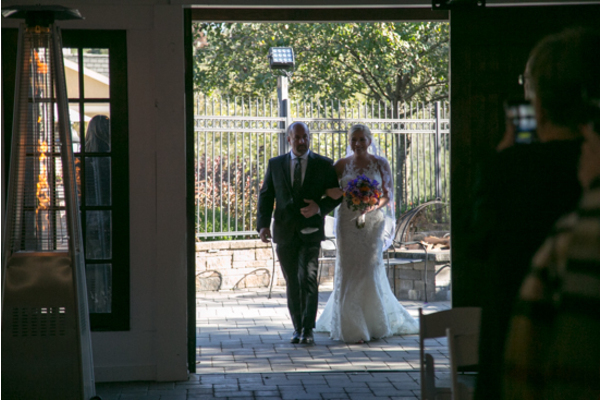 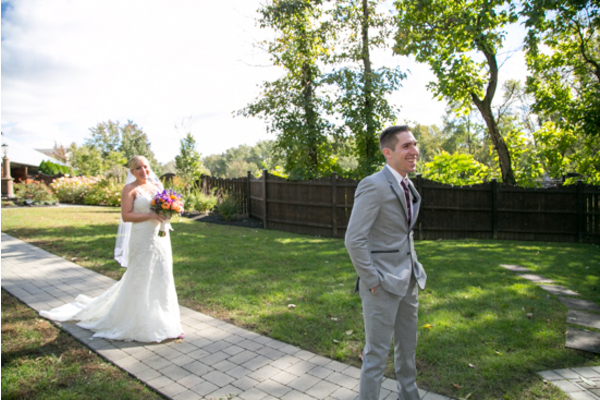 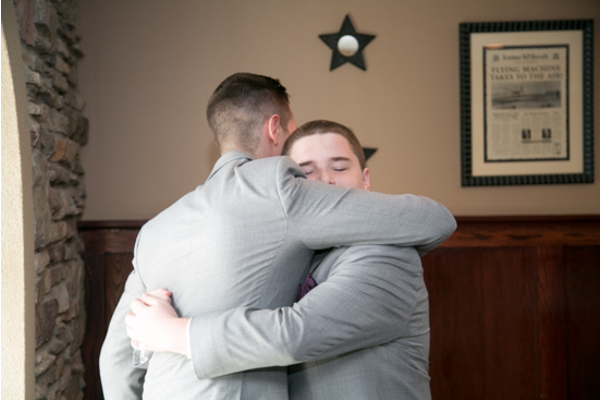 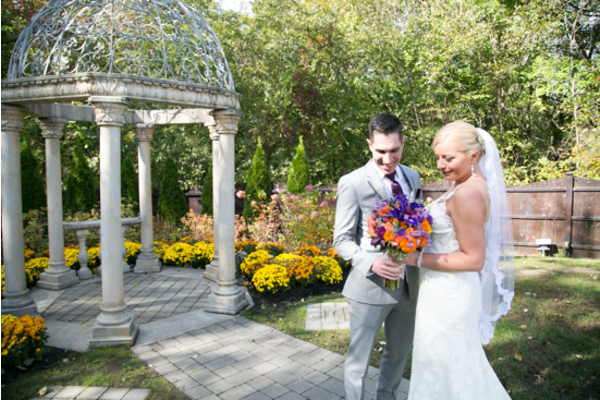 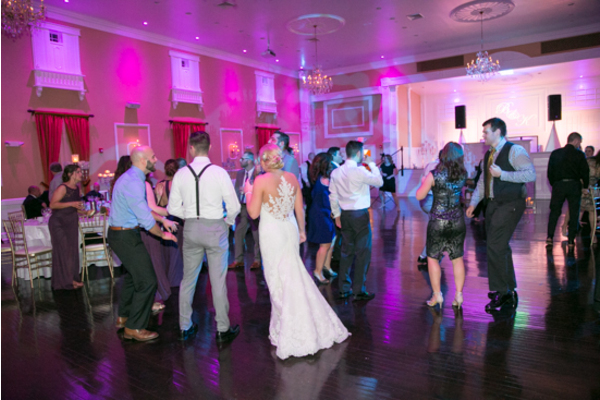 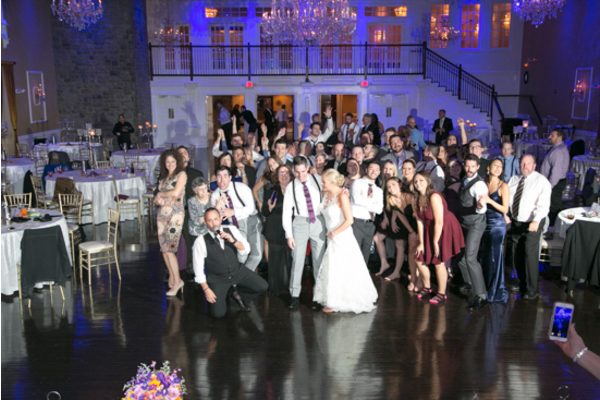 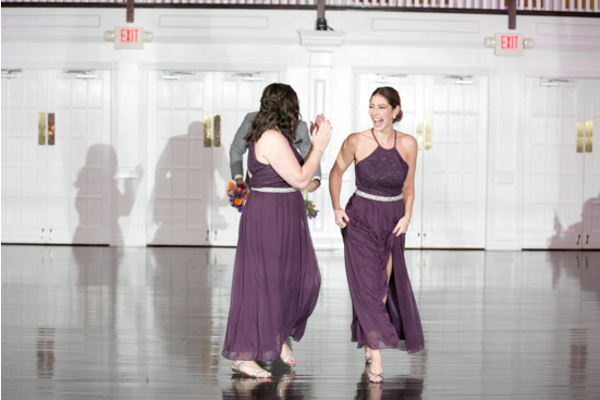 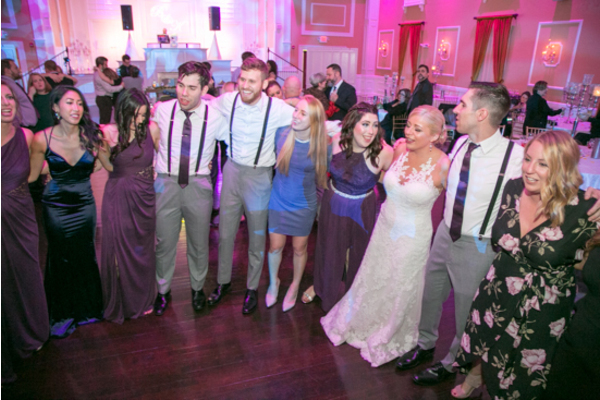 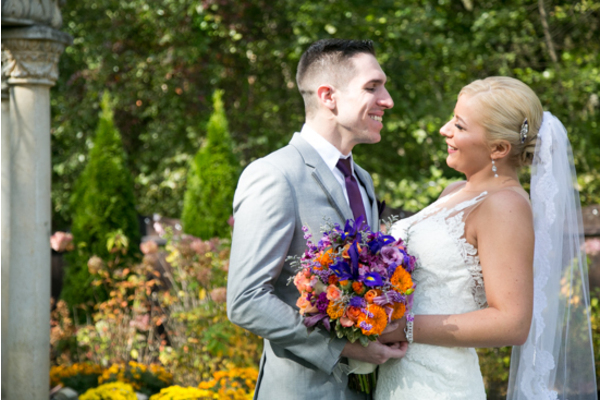 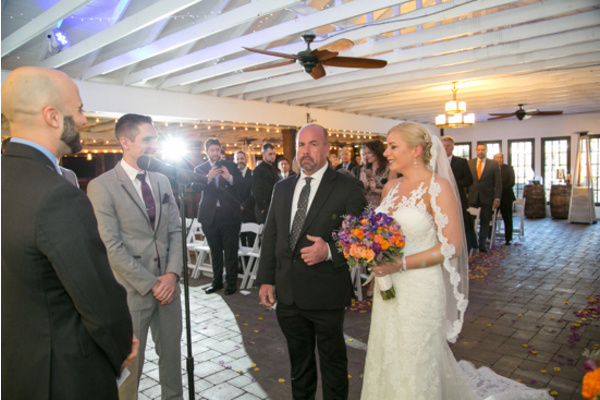 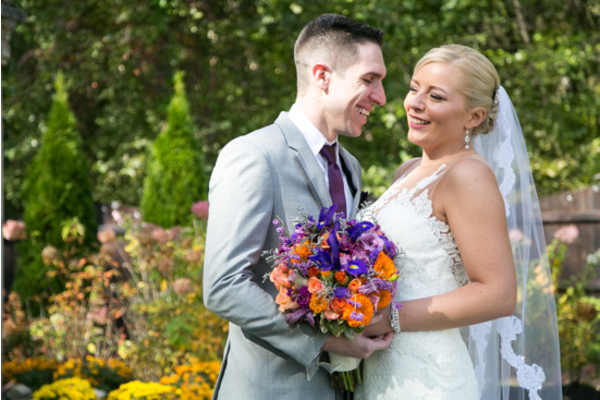 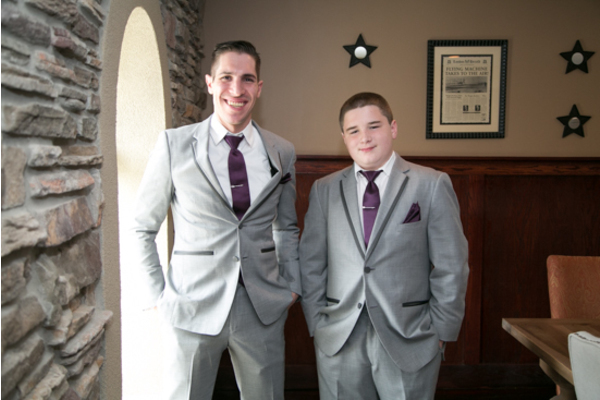 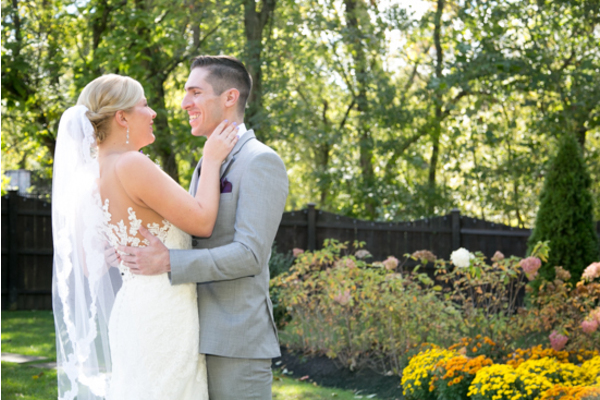 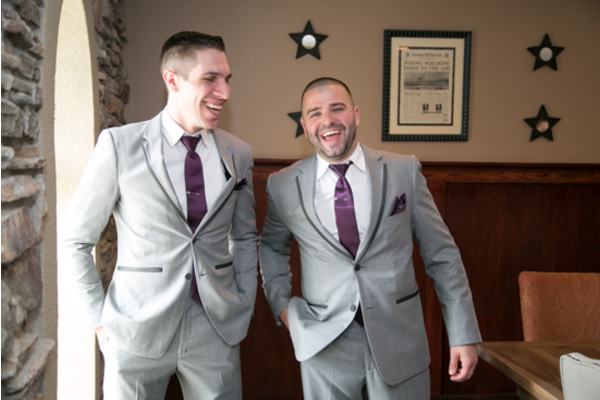 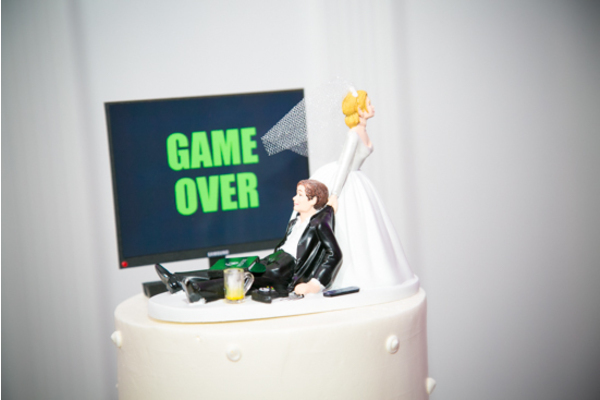 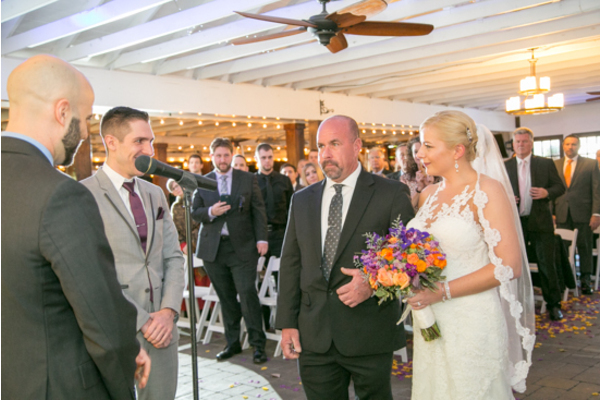 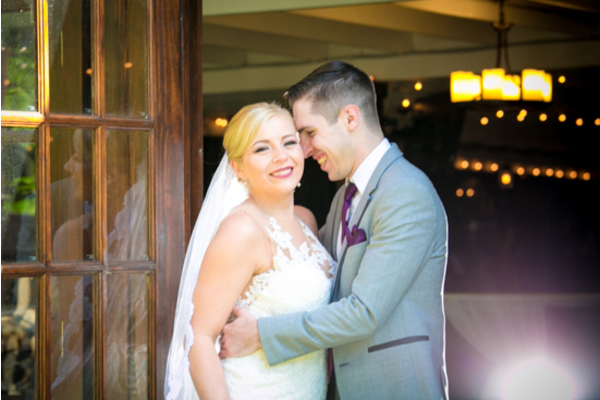 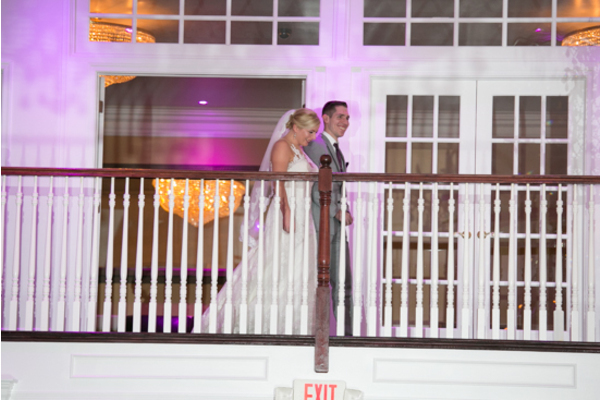 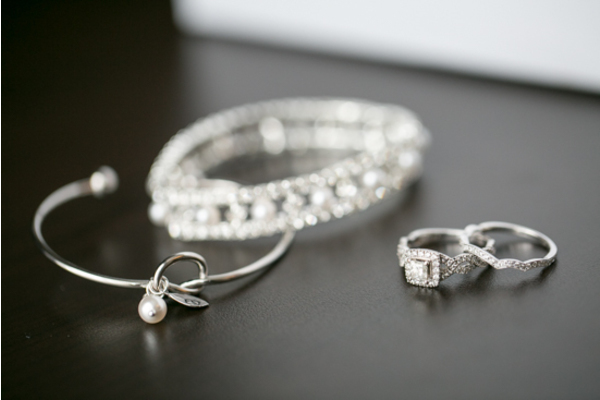 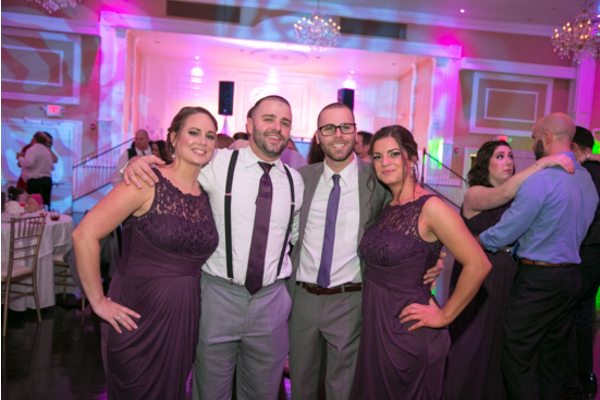 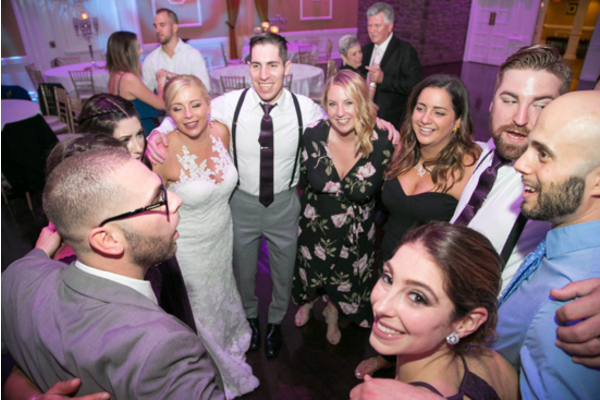 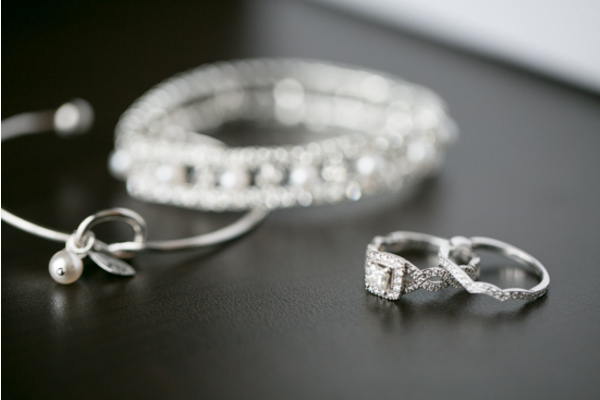 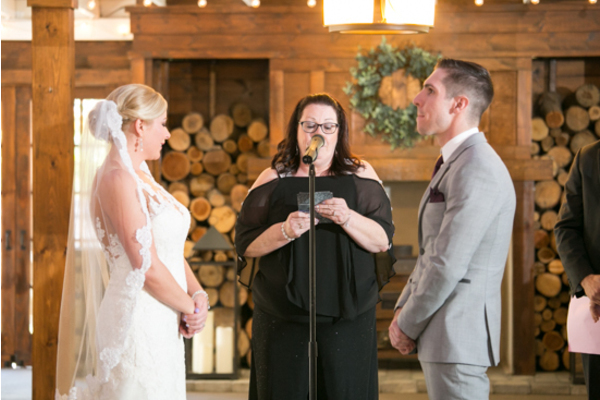 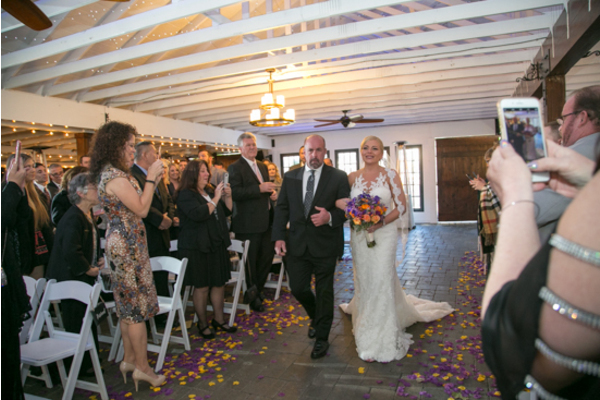 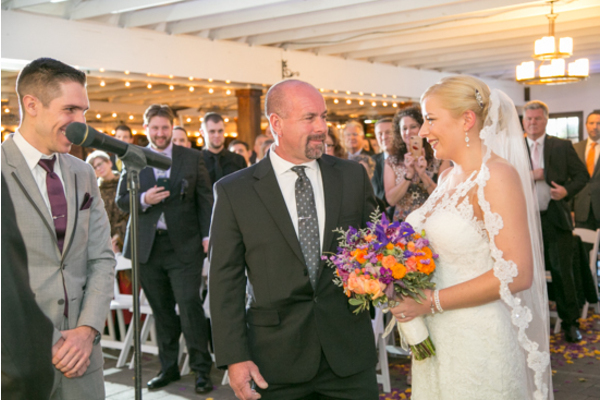 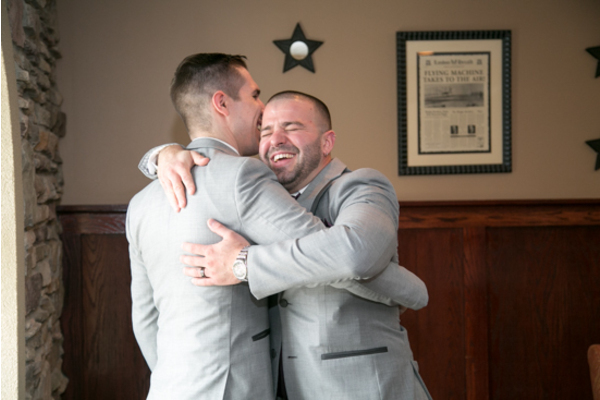 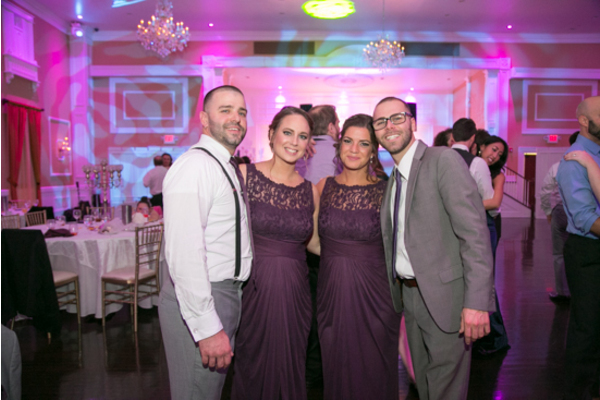 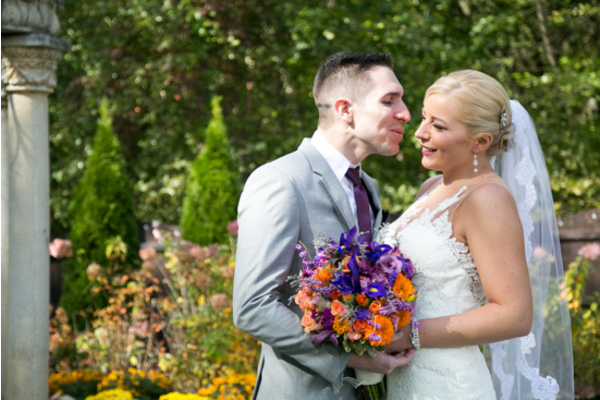 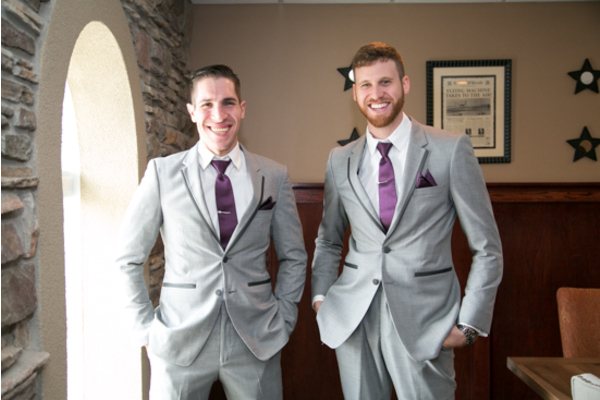 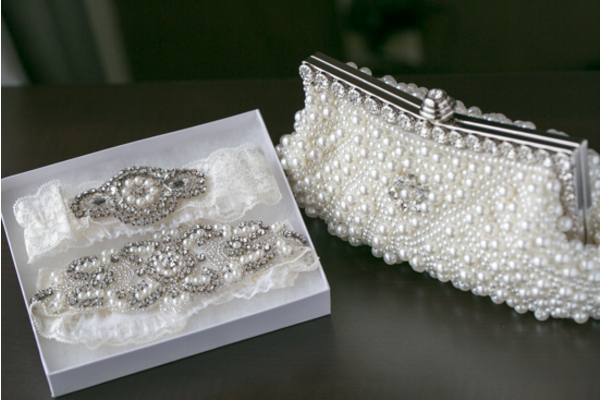 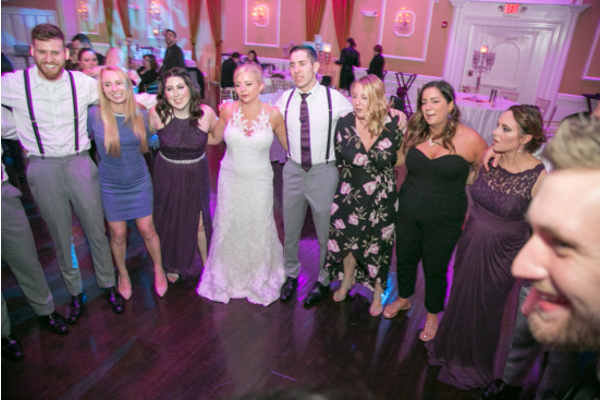 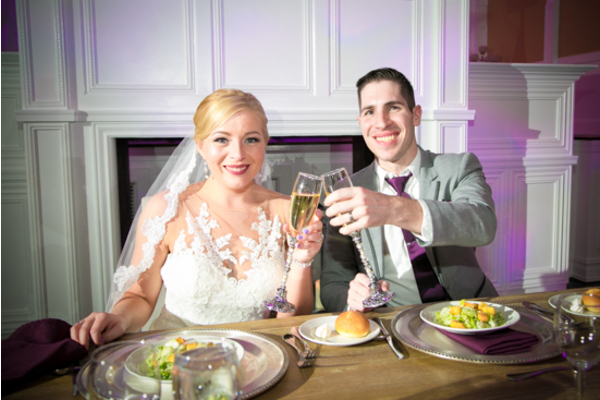 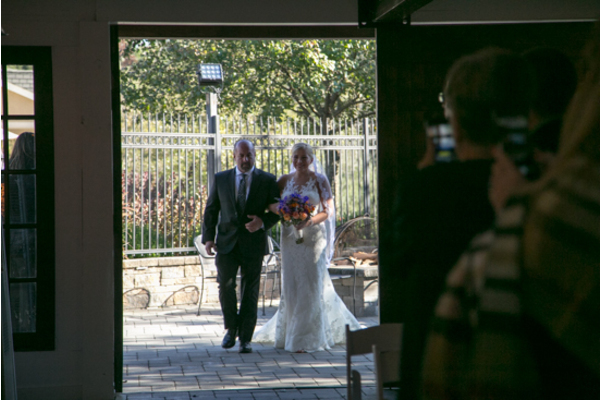 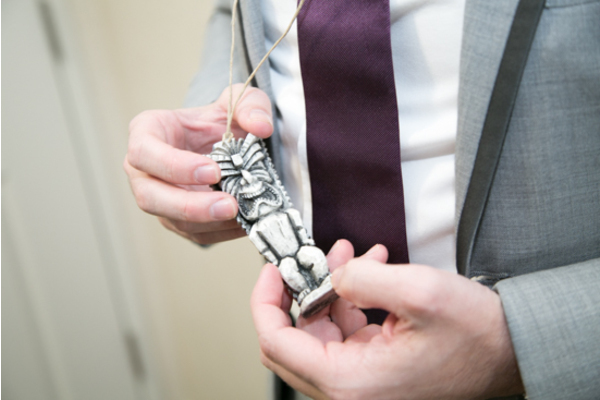 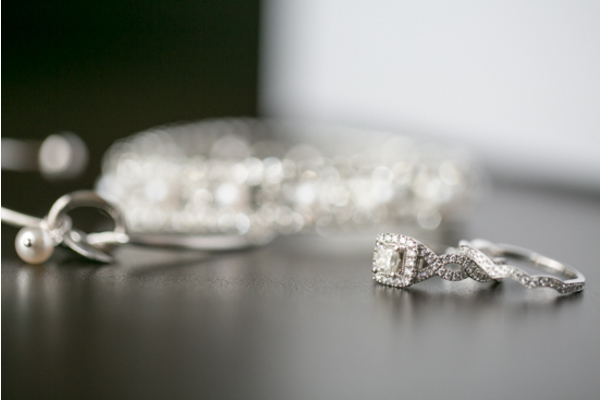 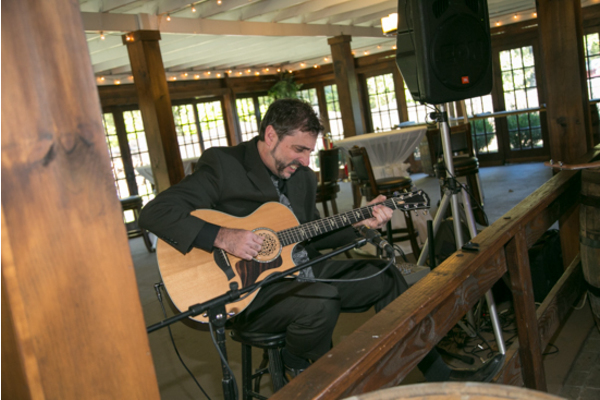 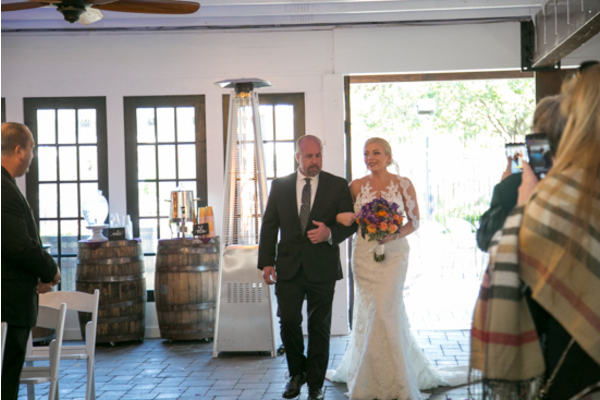 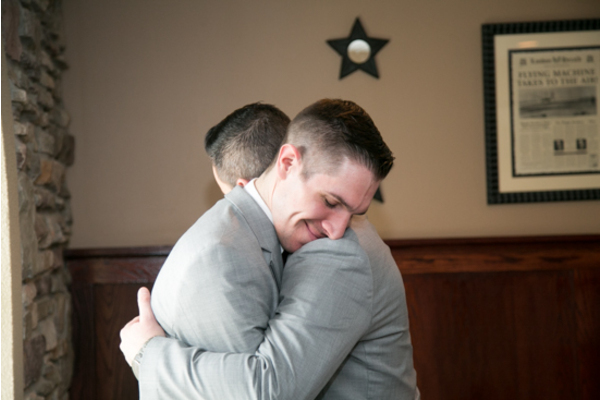 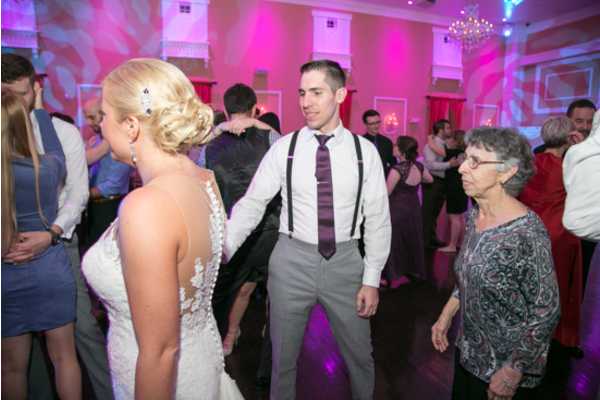 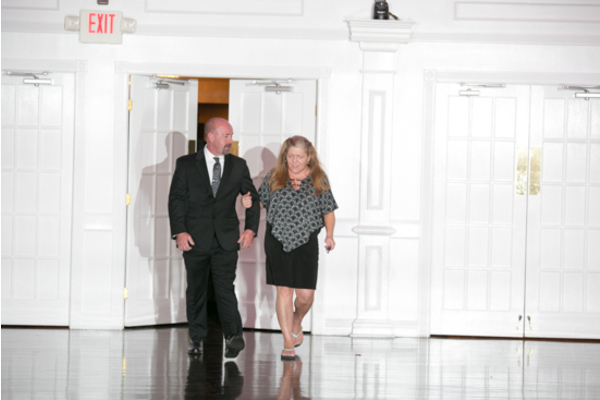 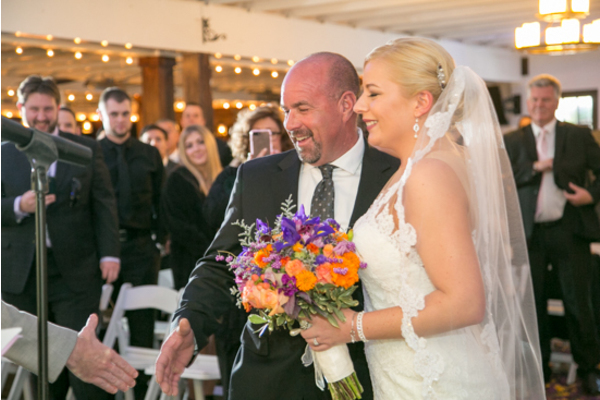 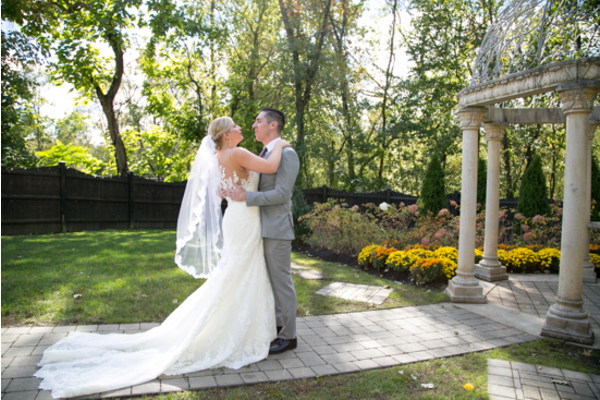 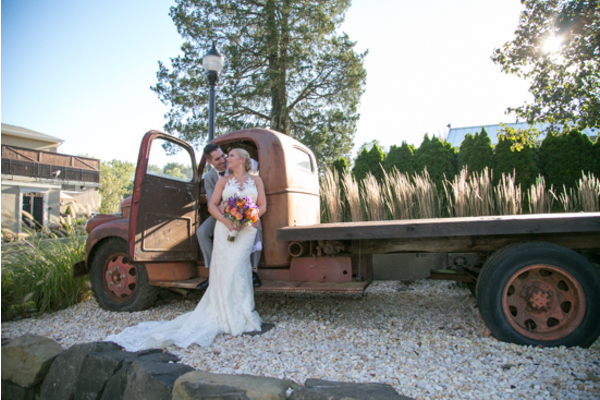 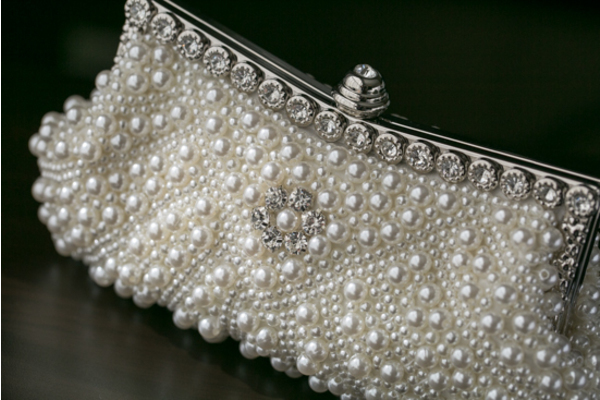 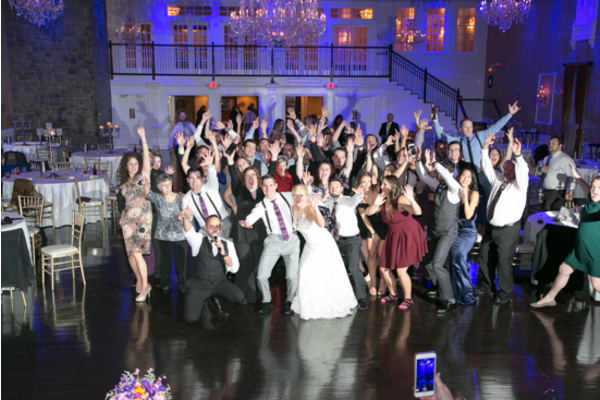 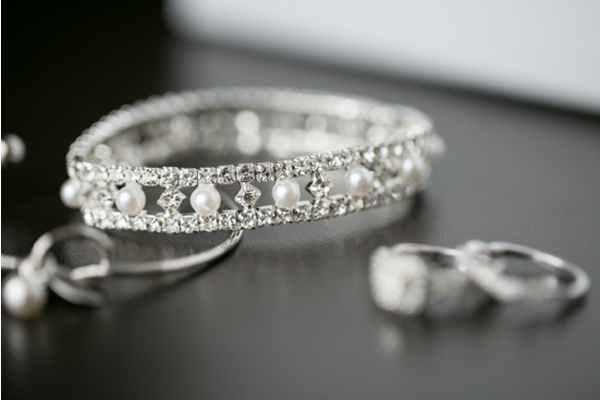 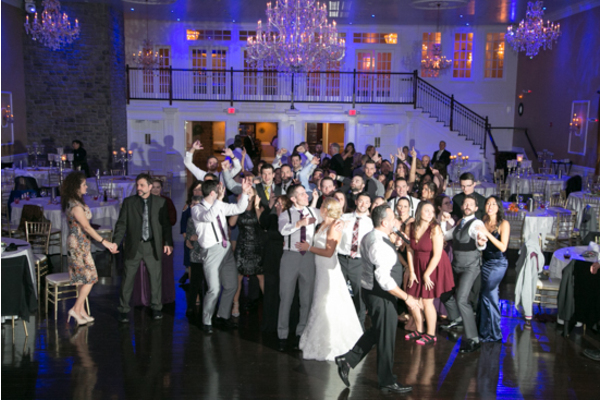 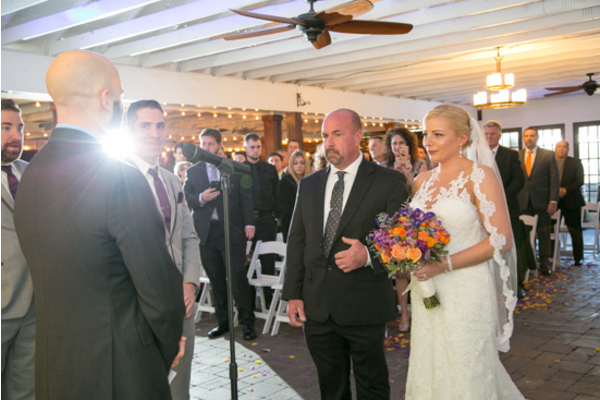 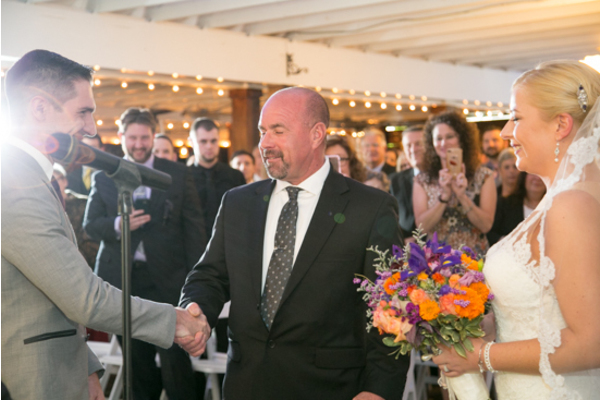 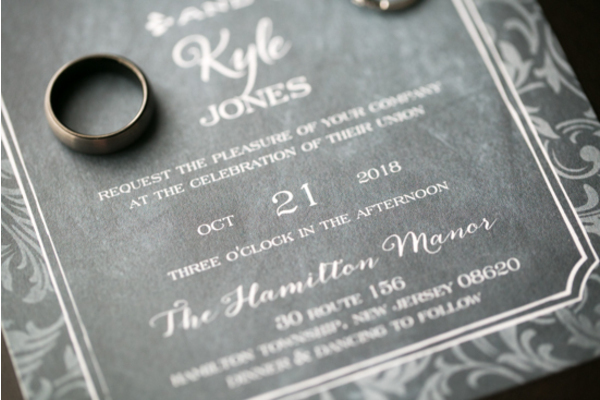 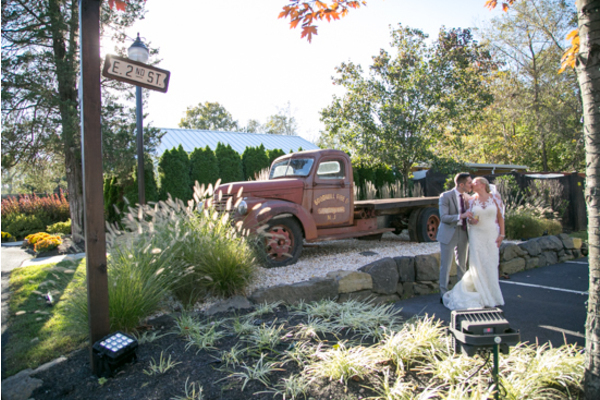 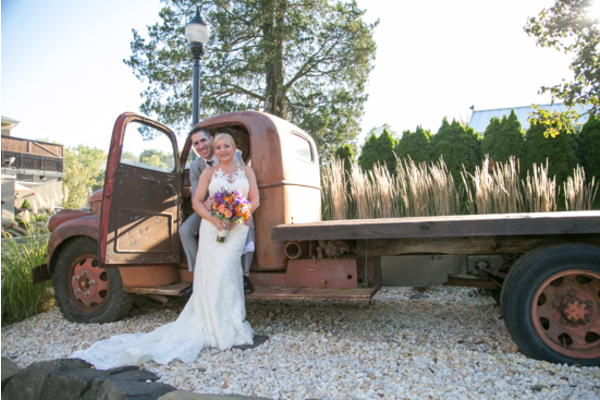 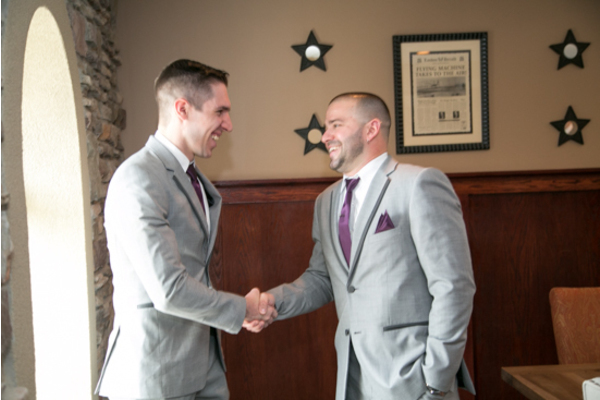 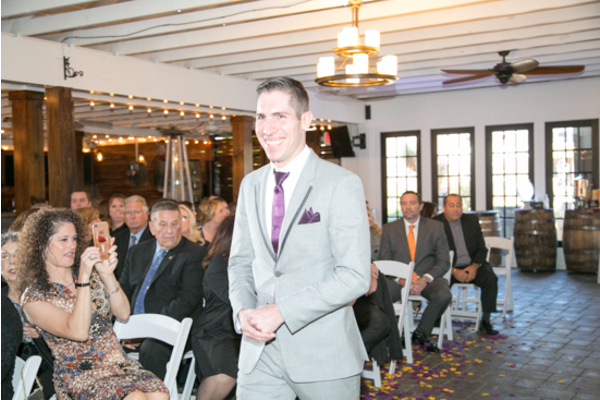 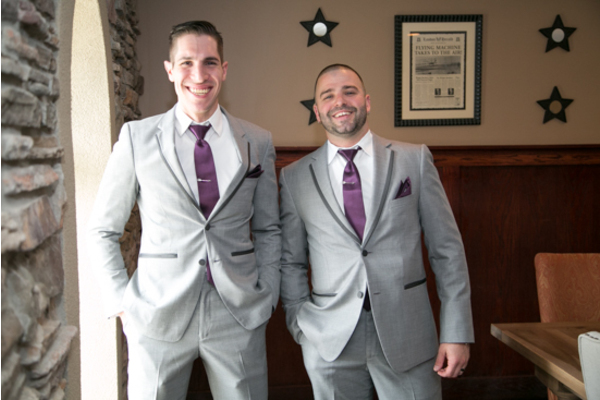 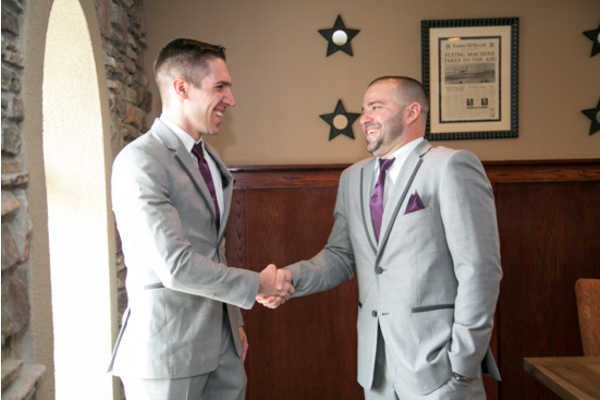 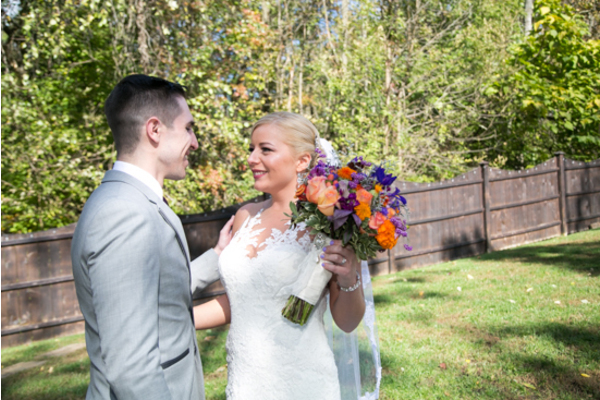 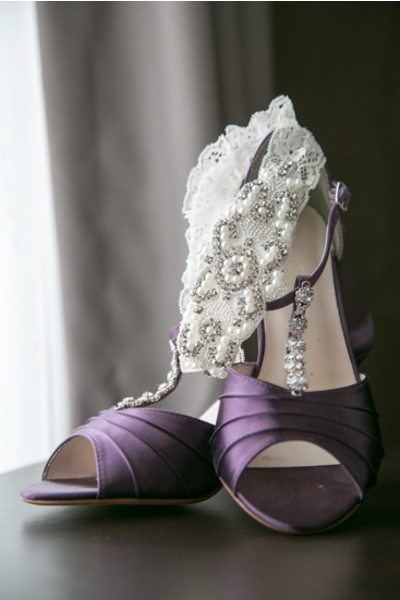 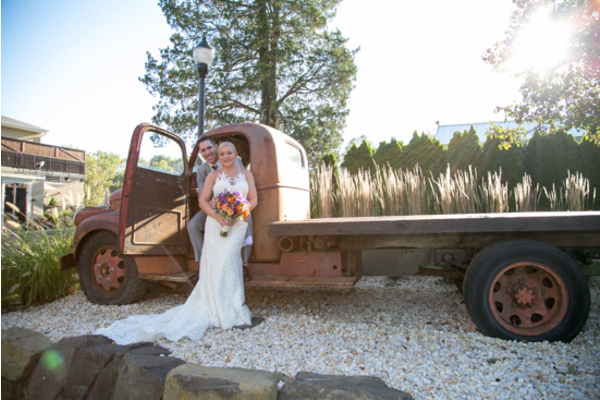 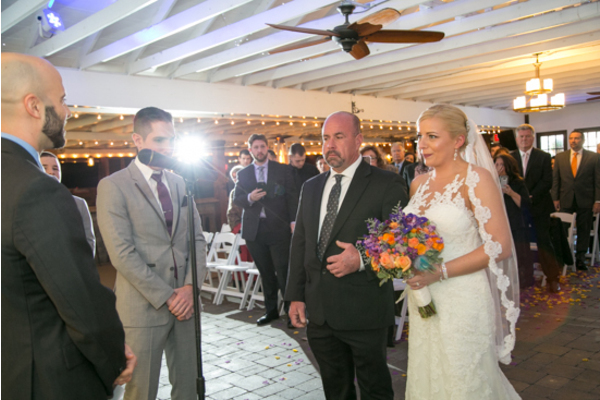 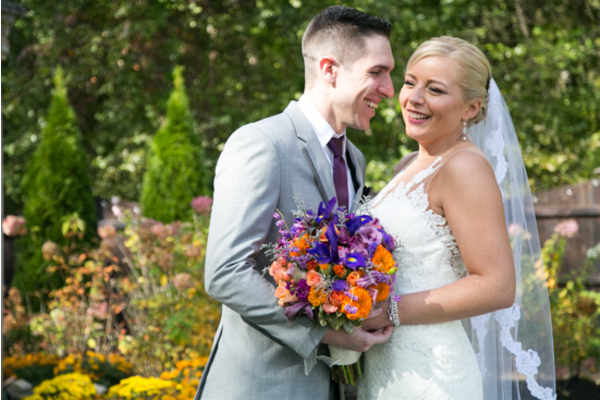 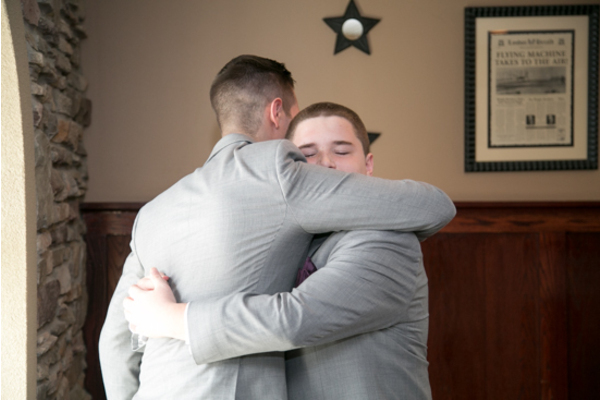 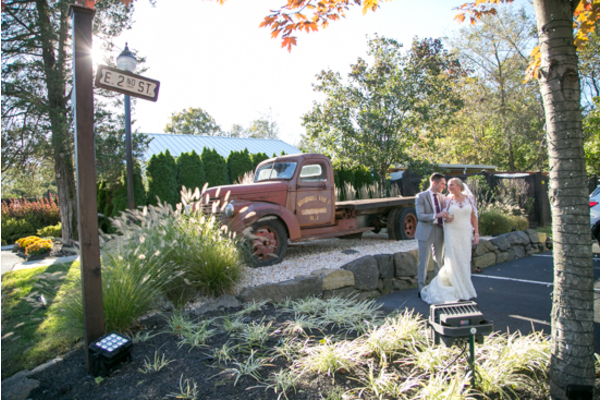 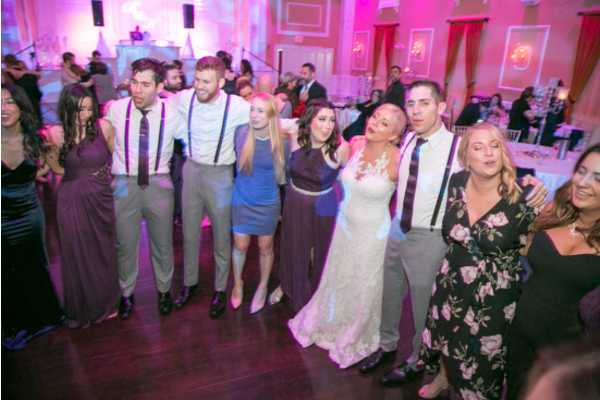 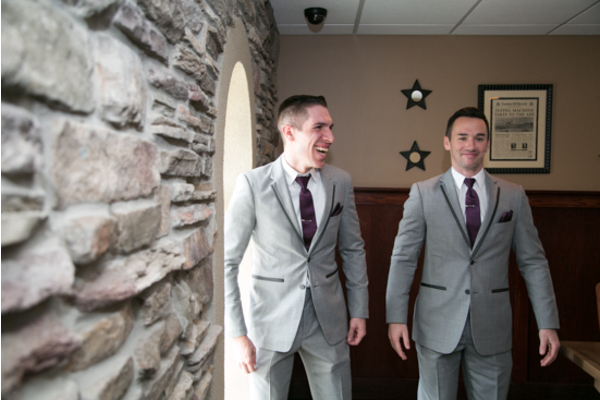 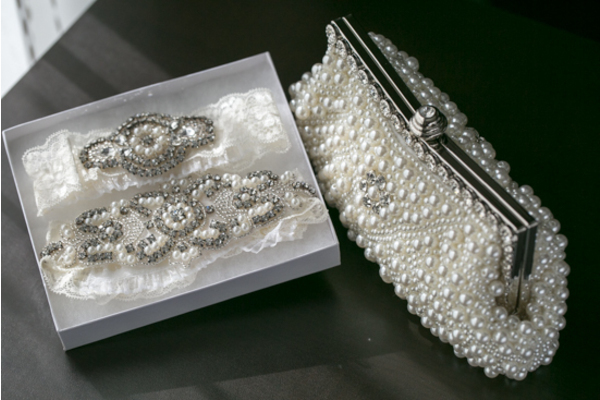 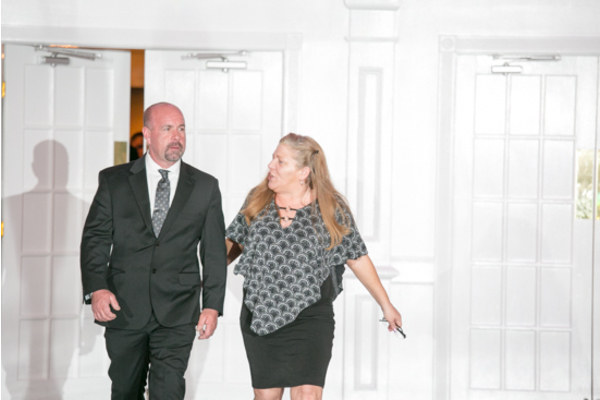 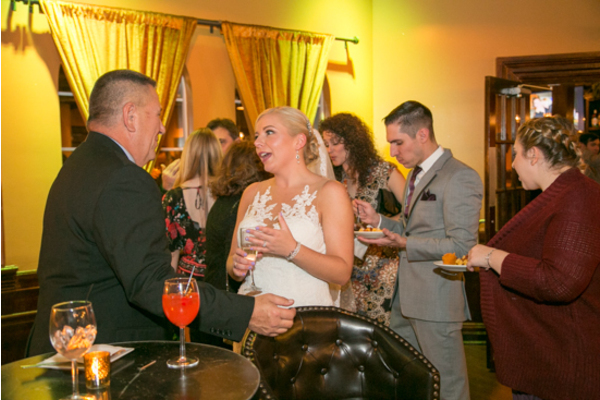 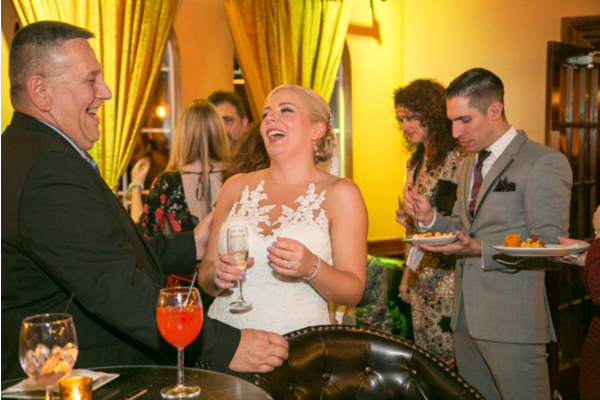 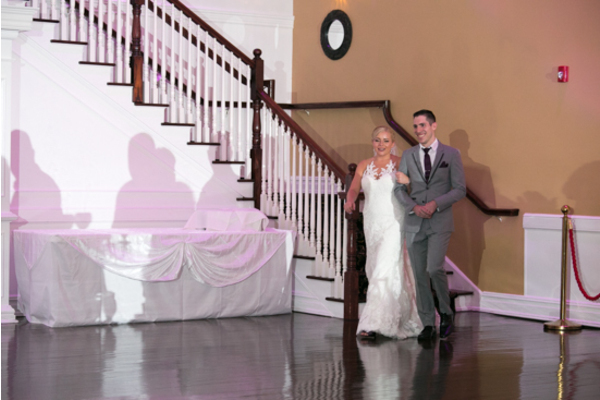 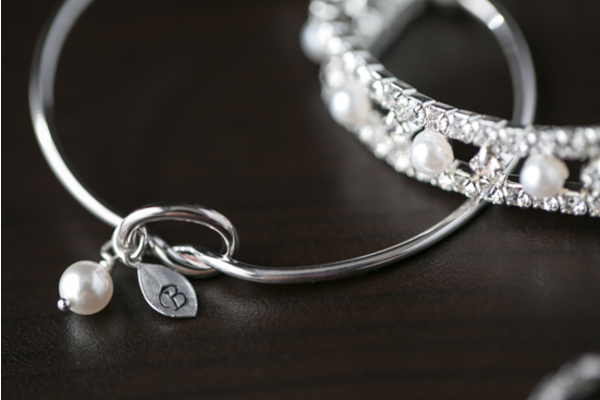 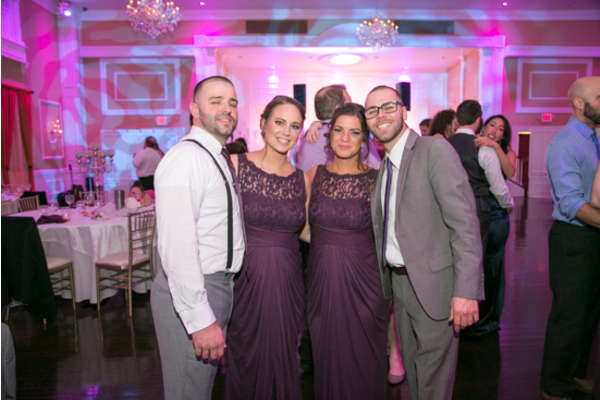 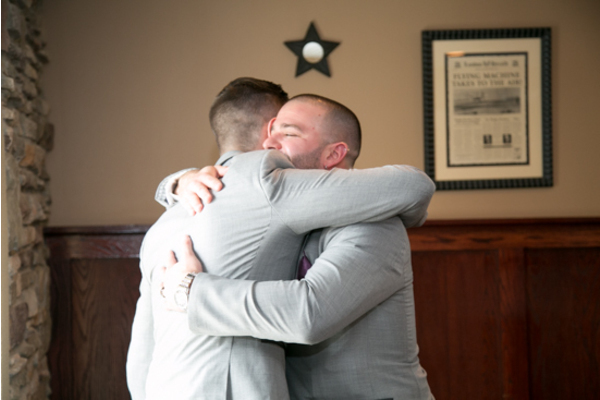 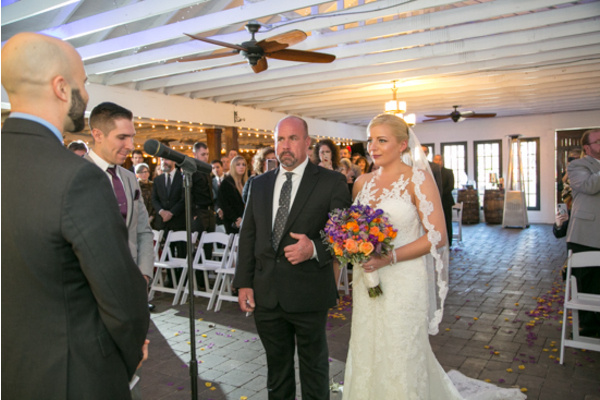 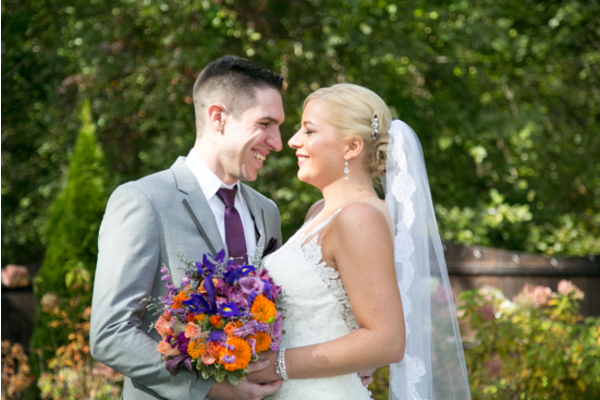 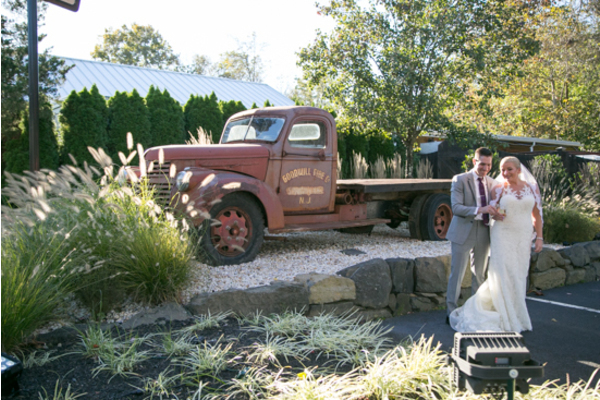 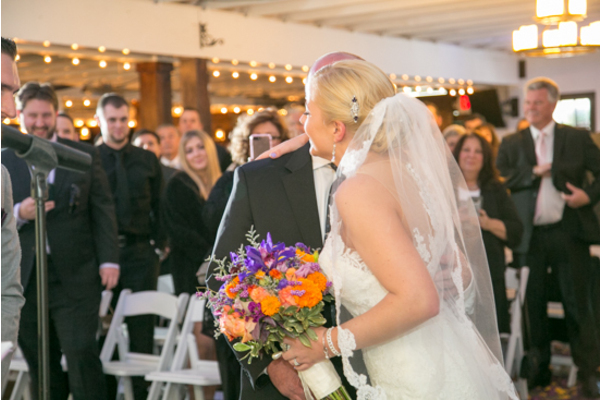 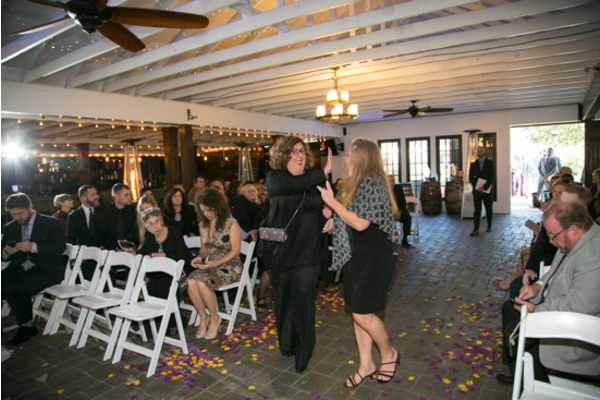 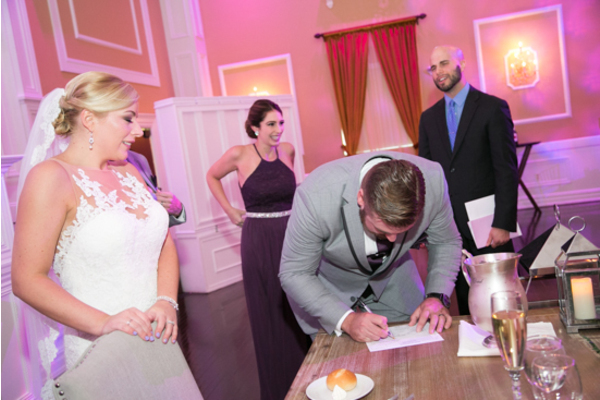 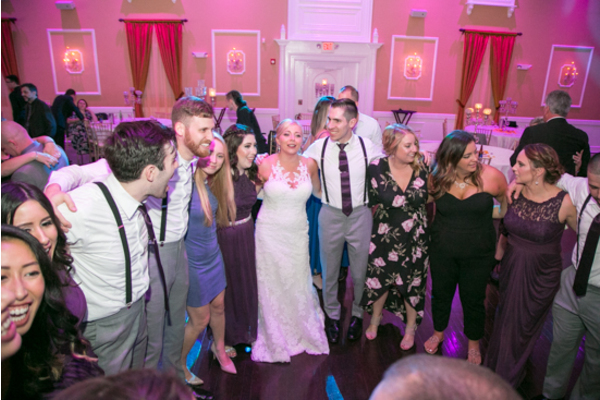 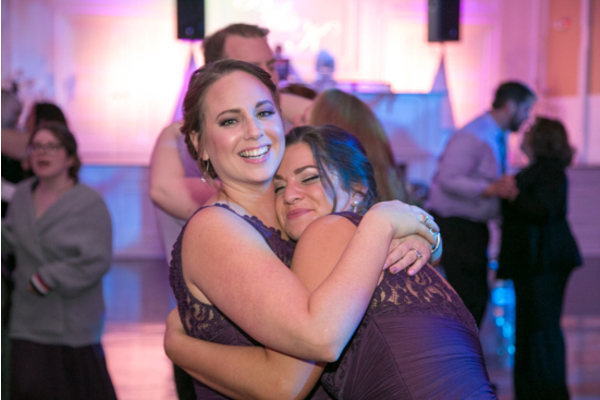 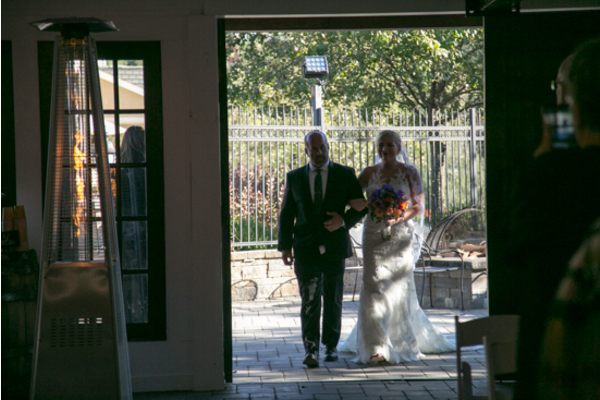 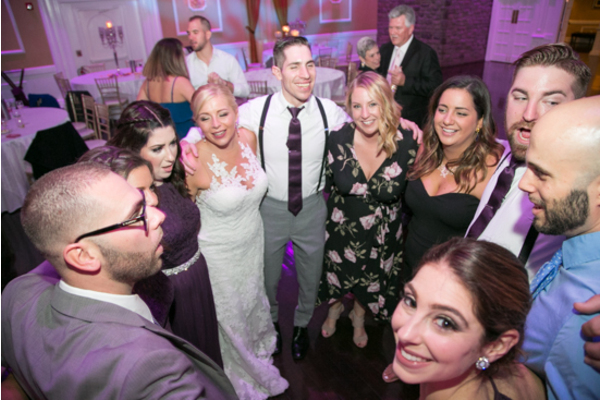 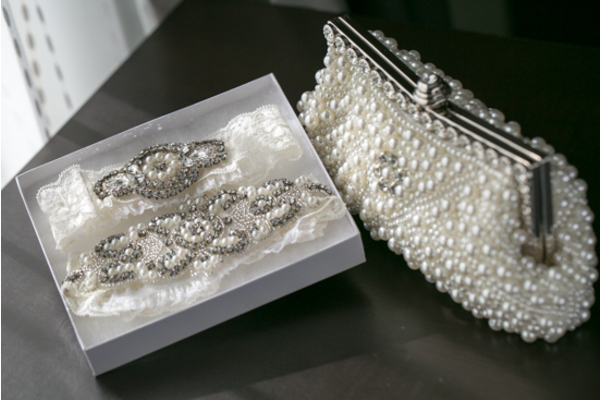 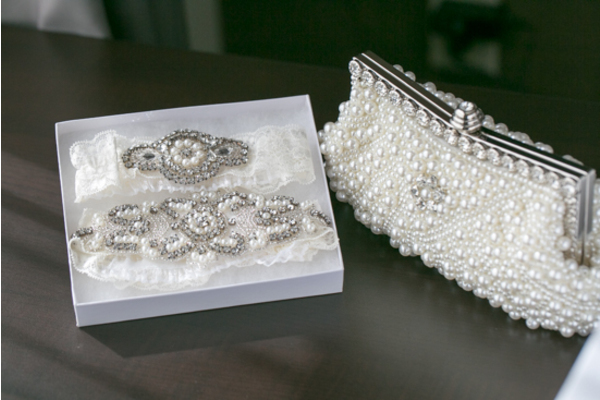 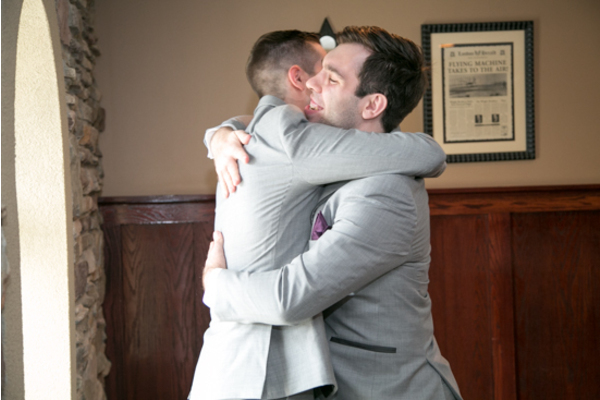 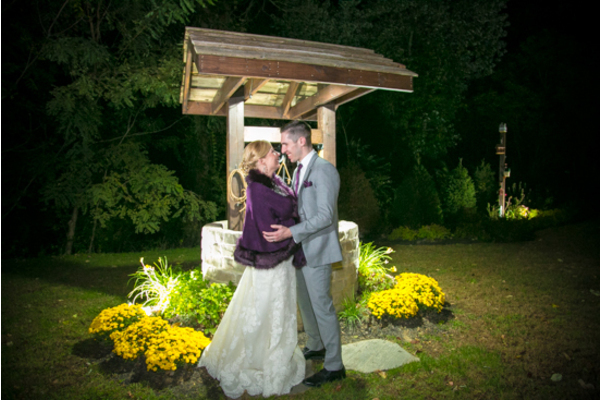 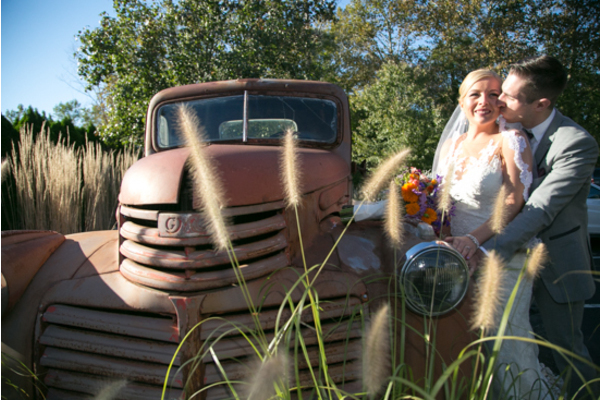 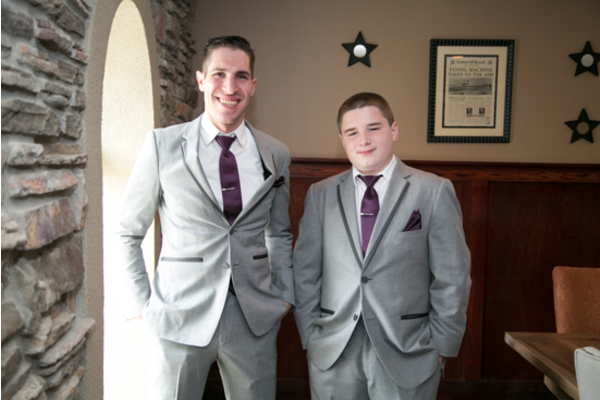 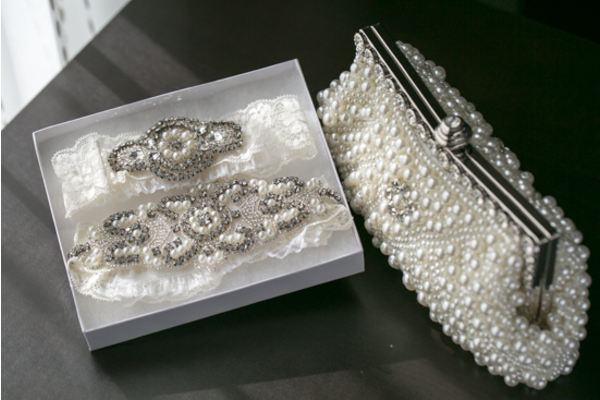 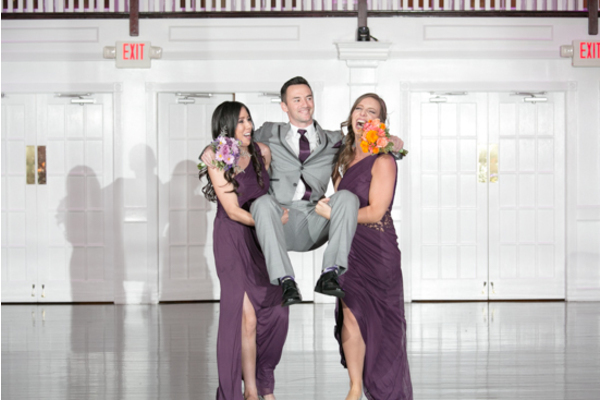 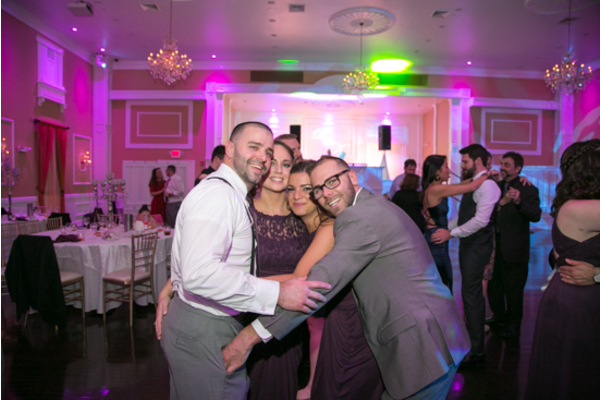 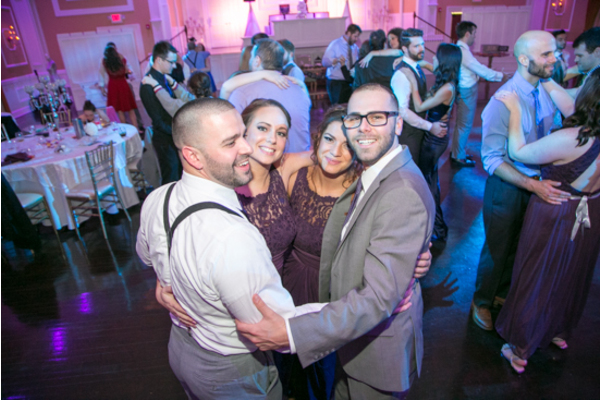 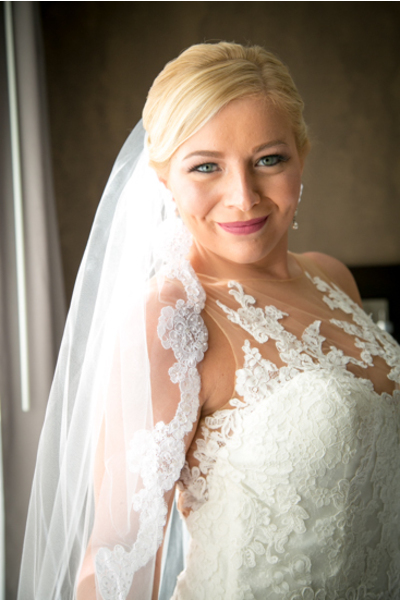 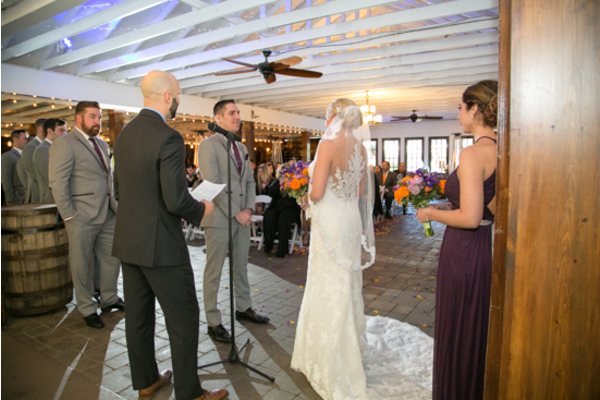 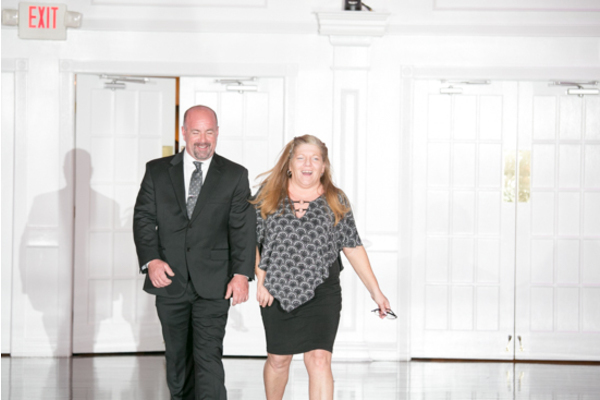 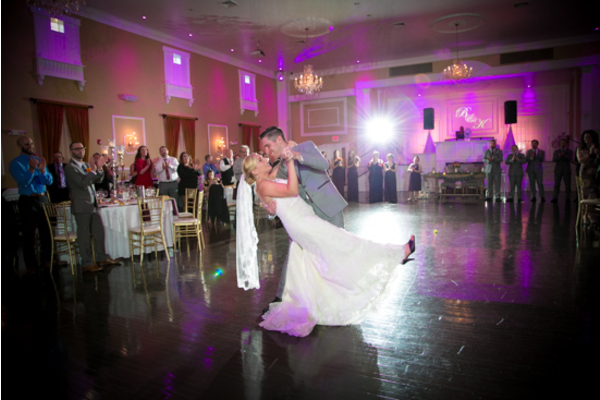 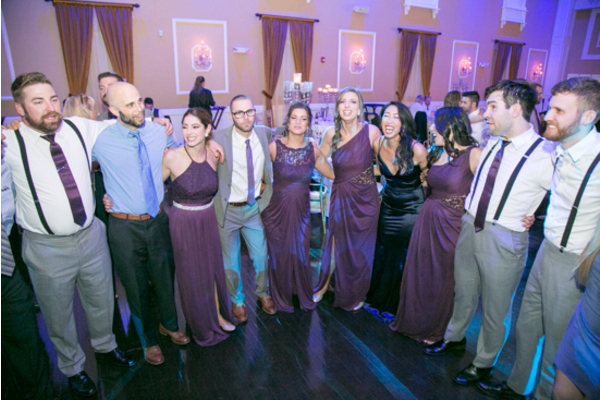 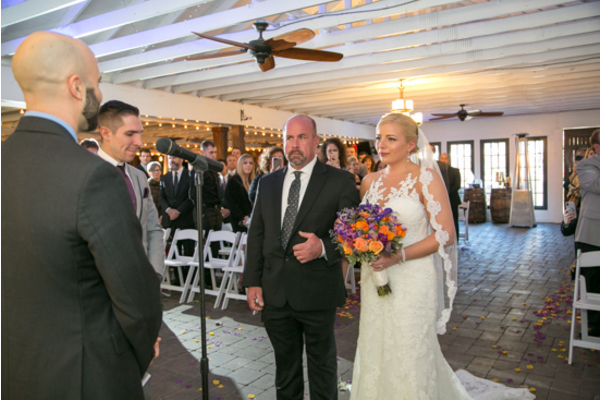 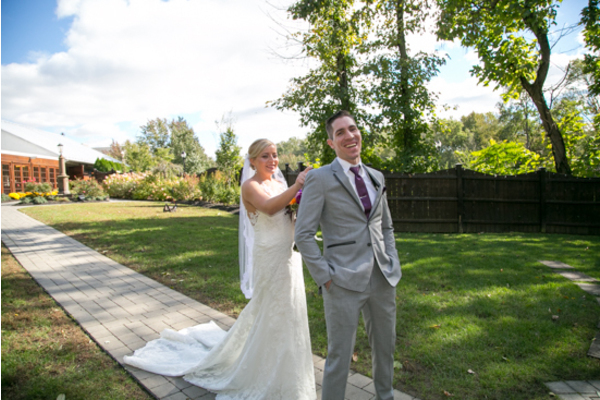 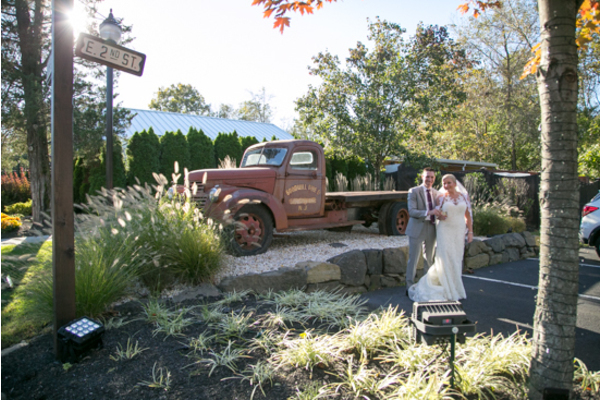 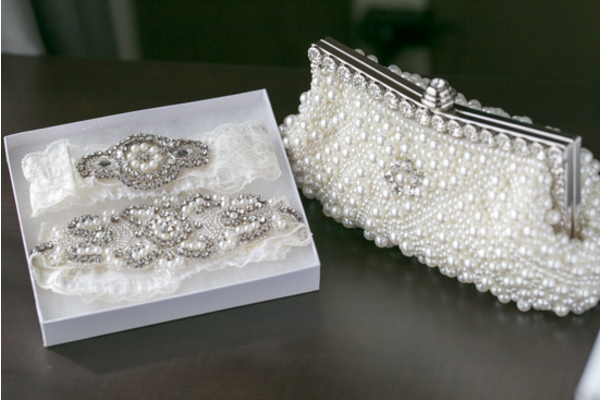 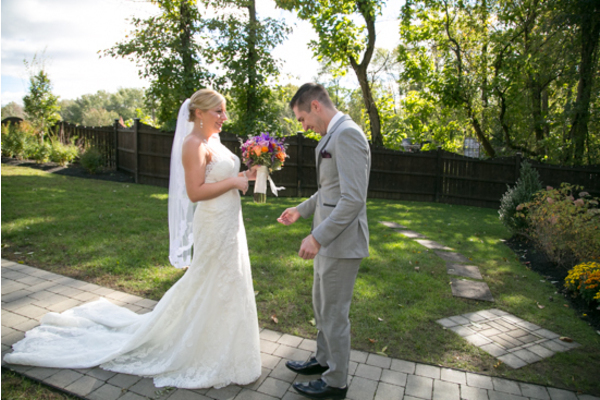 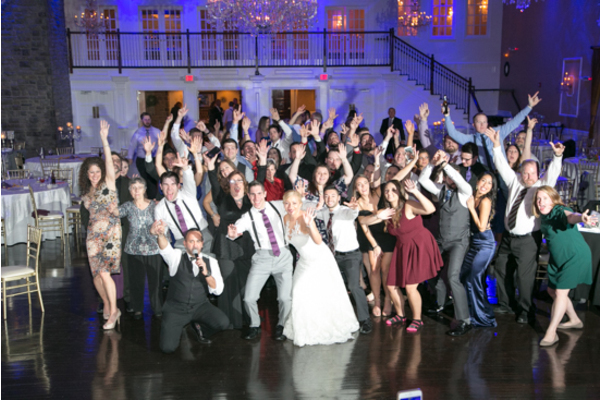 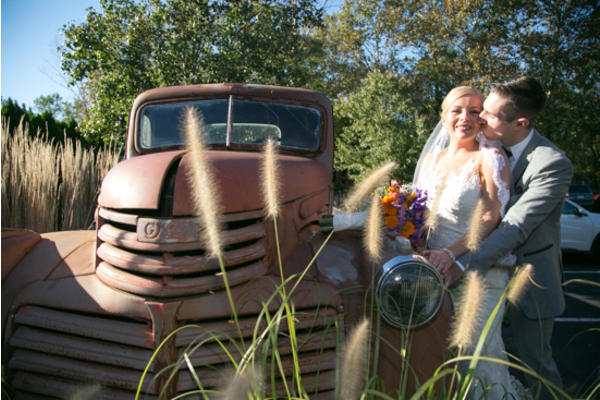 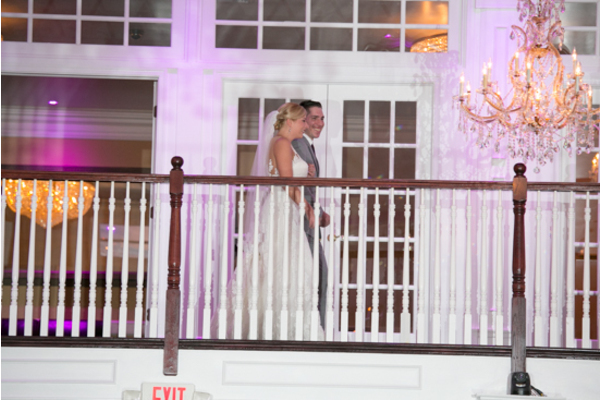 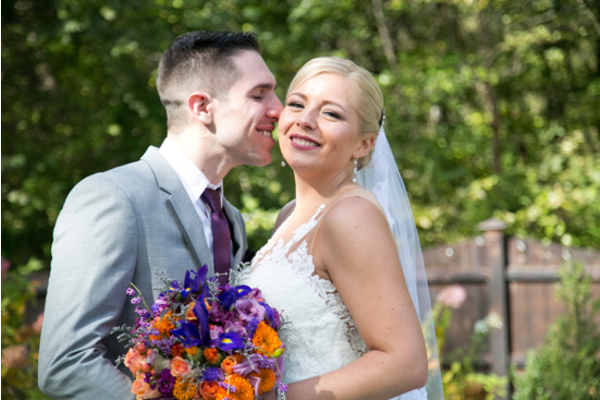 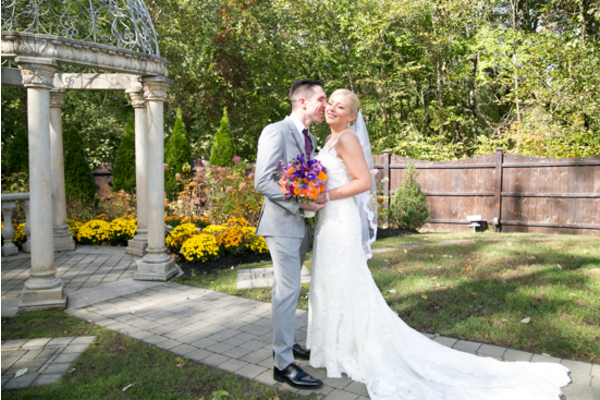 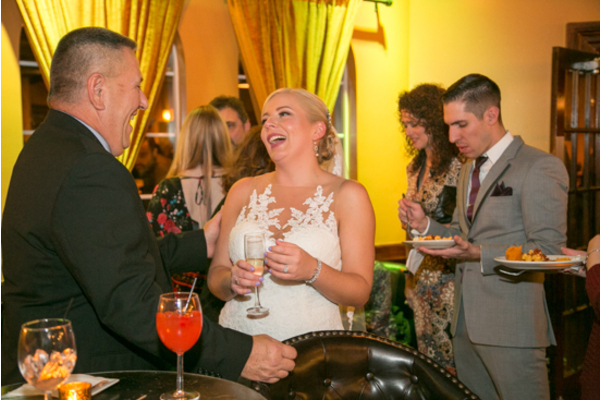 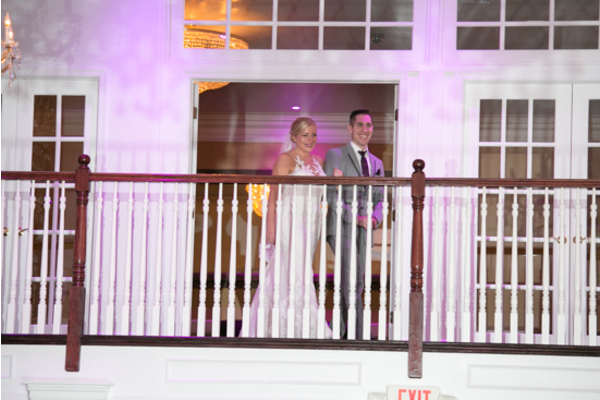 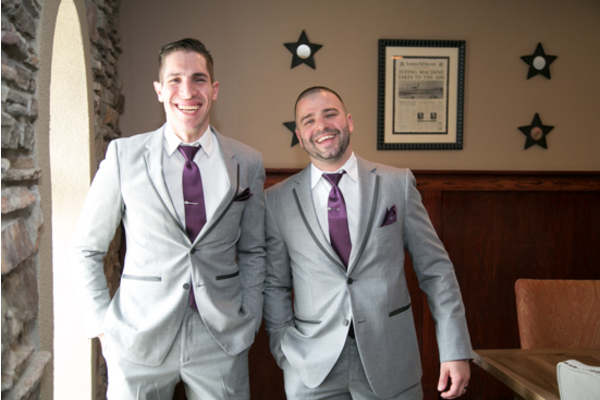 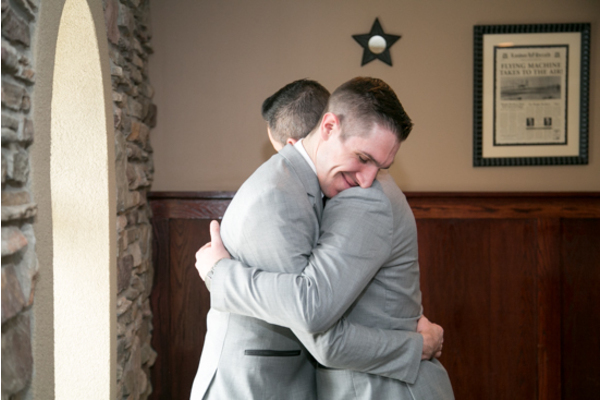 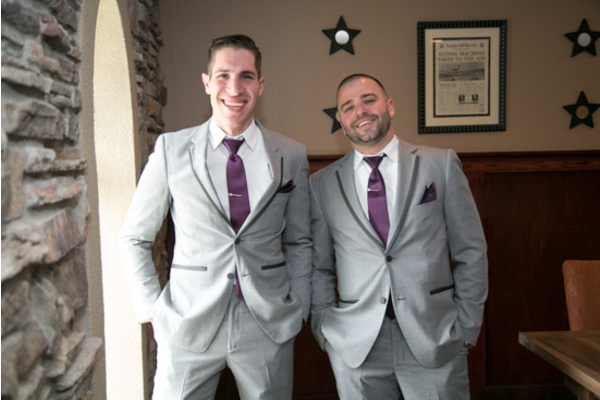 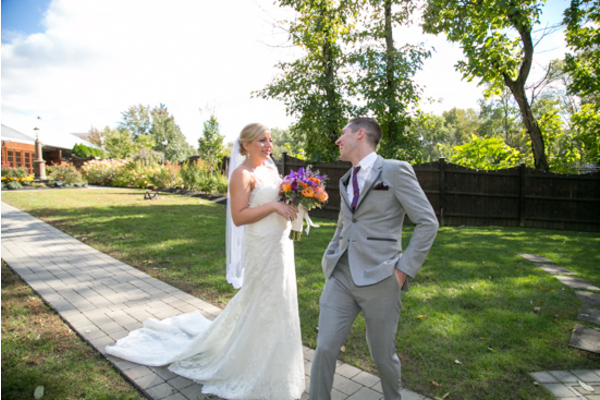 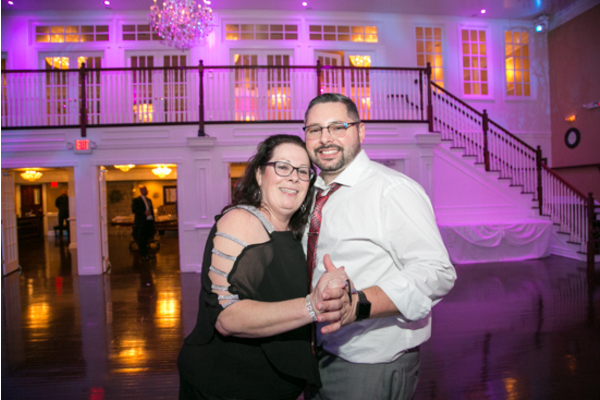 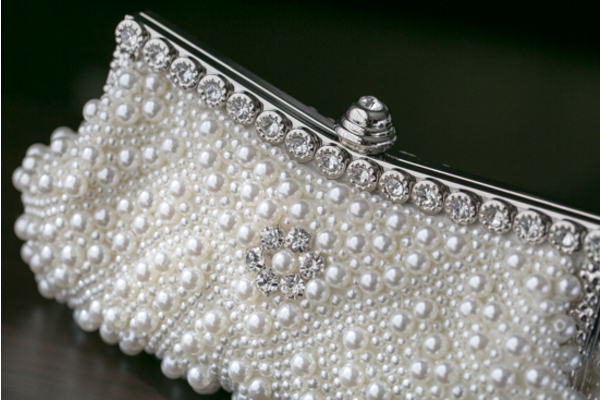 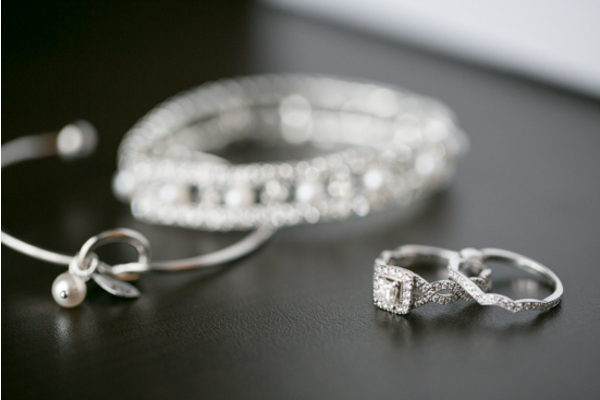 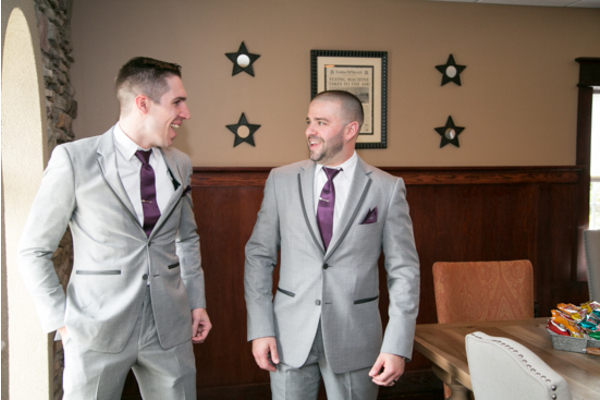 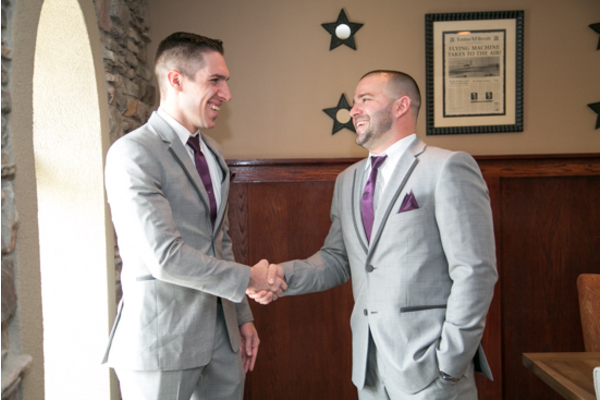 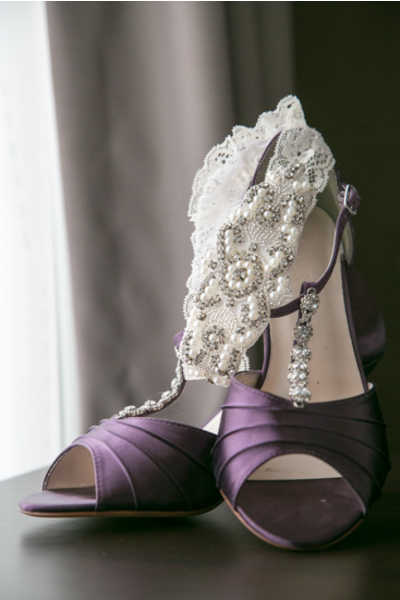 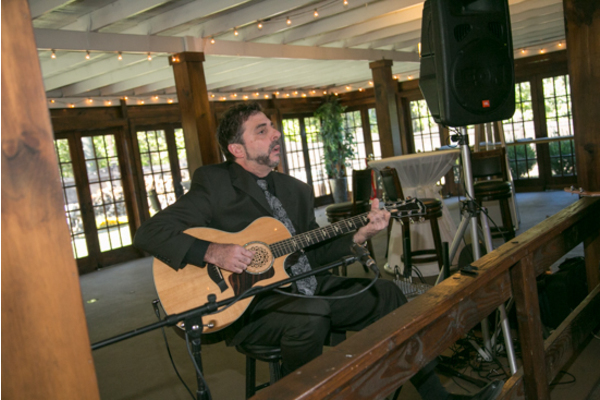 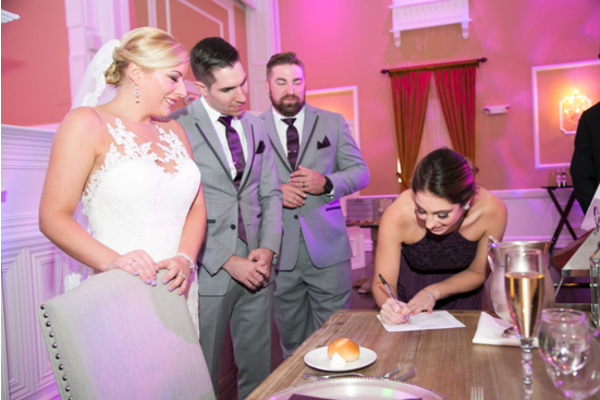 Our NJ Wedding Photographer captured all the laughter and tears of joy that followed the couples vows. 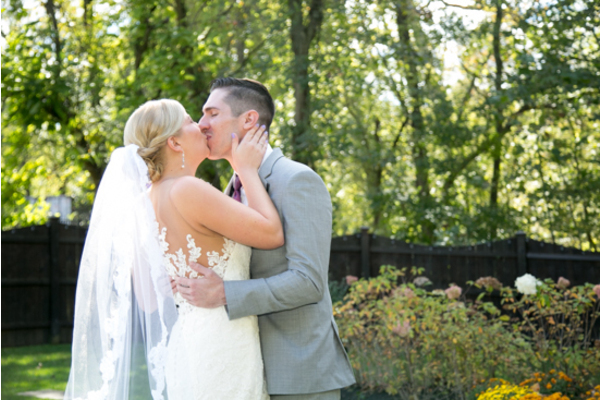 They sealed their commitment with a kiss and were officially married! 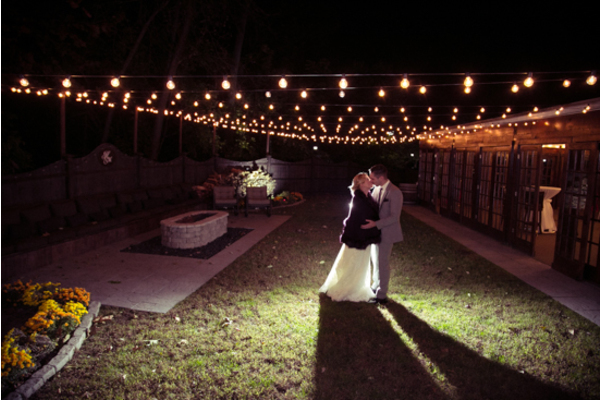 The newlyweds made their way outside to take a few photographs, ready to celebrate through the night! 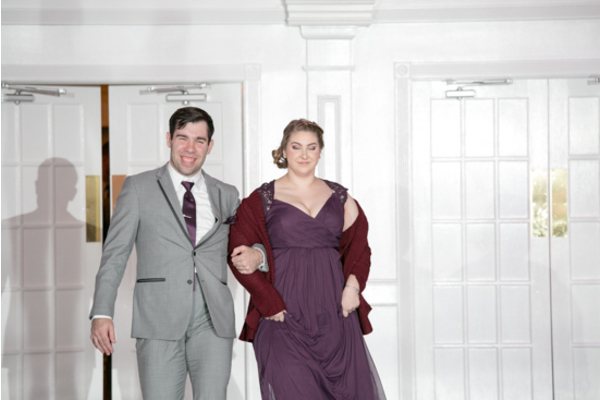 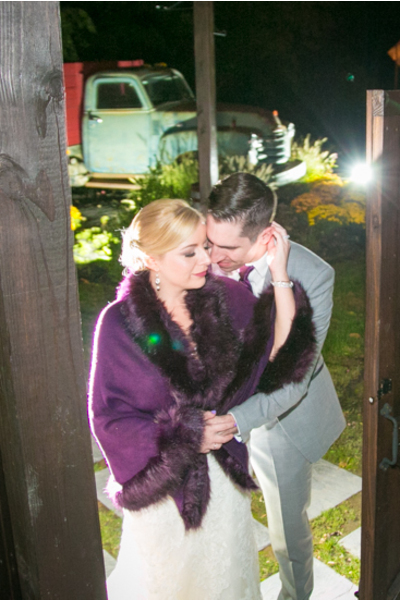 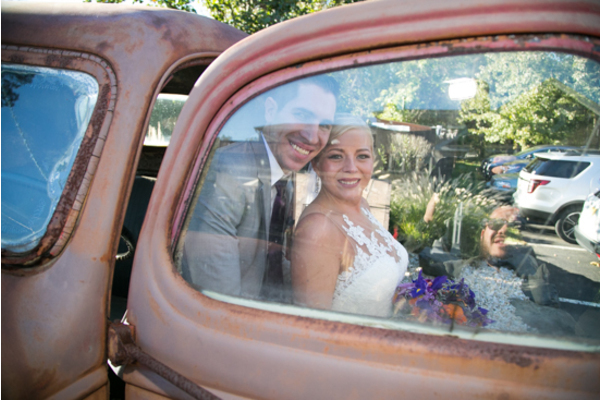 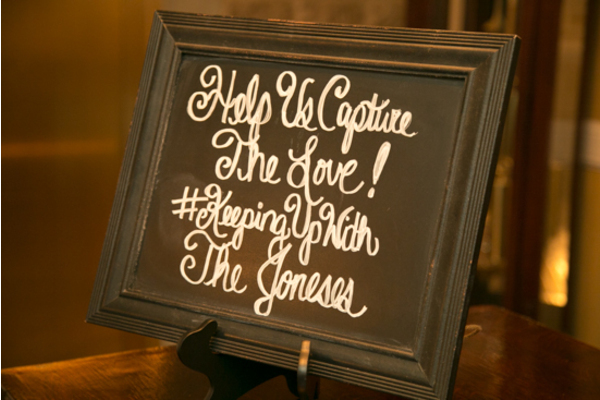 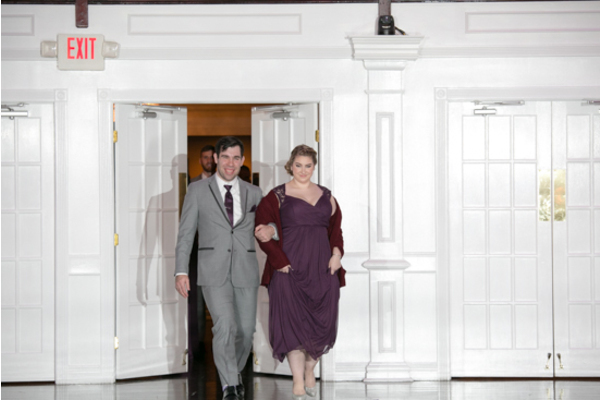 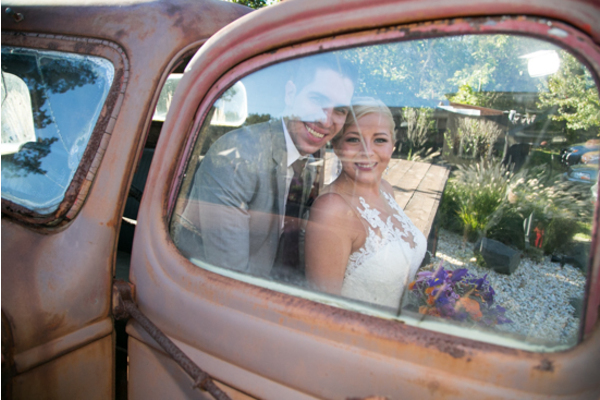 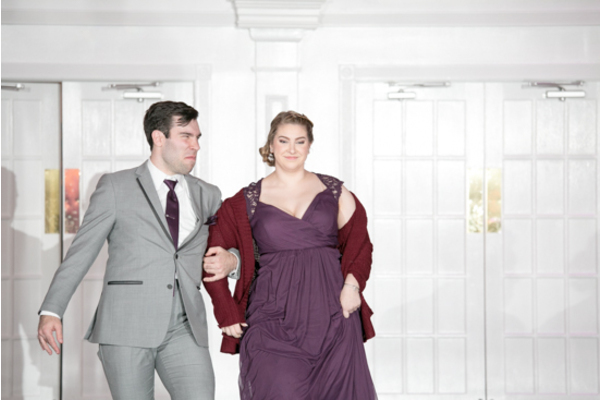 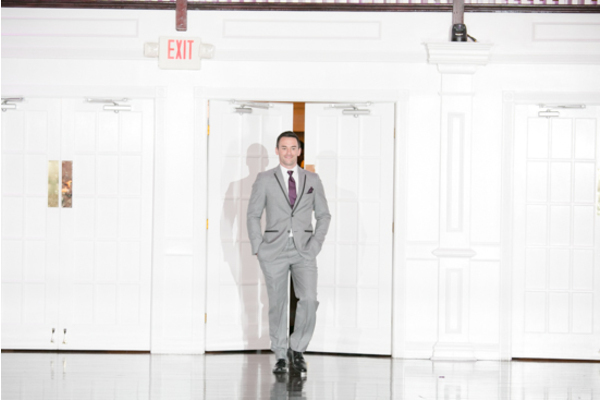 Making their way back indoors, the reception venue was straight out of a fairy tale. 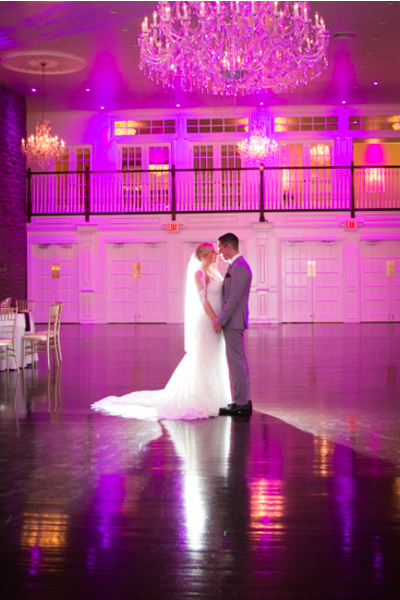 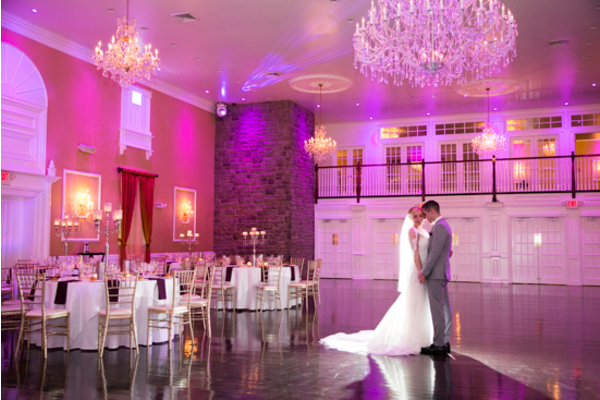 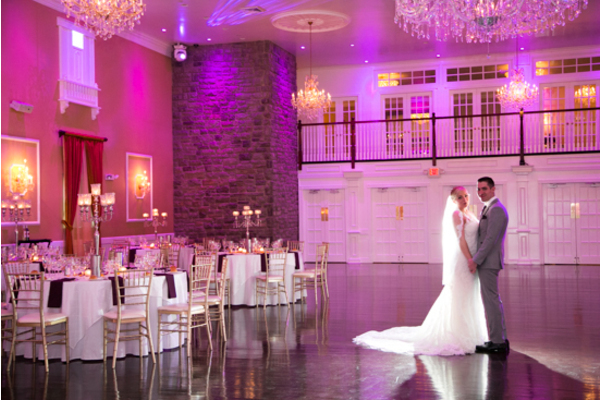 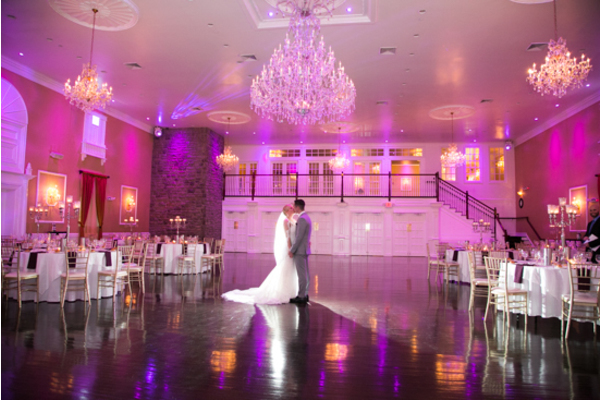 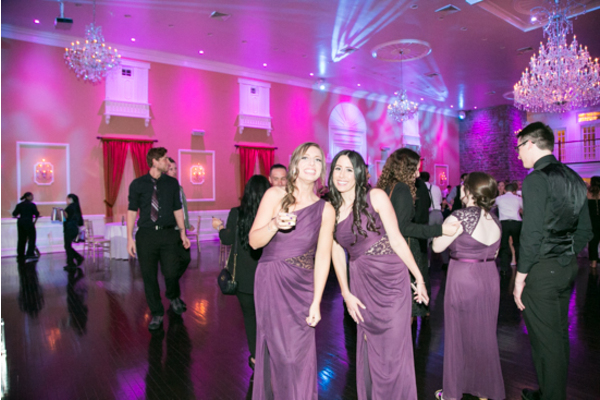 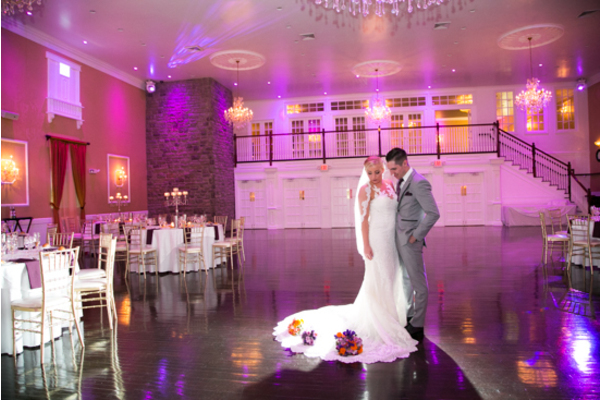 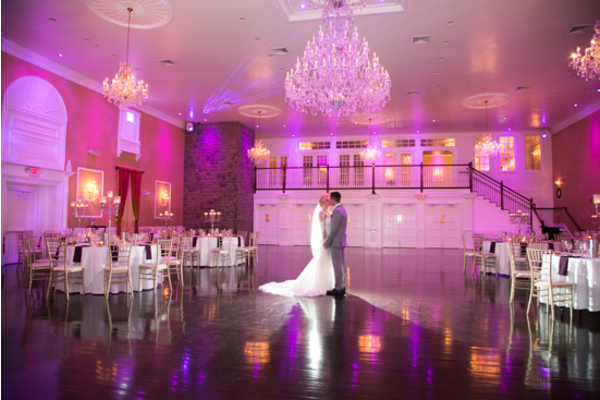 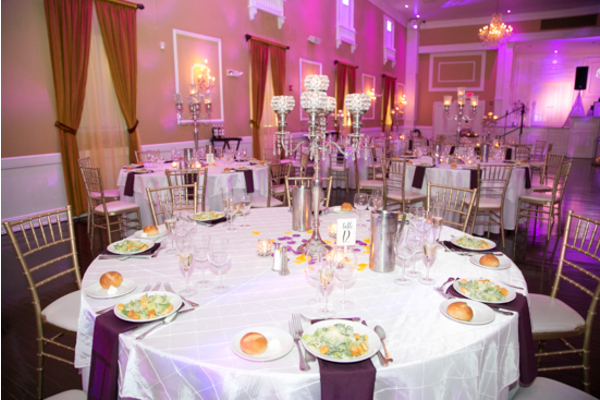 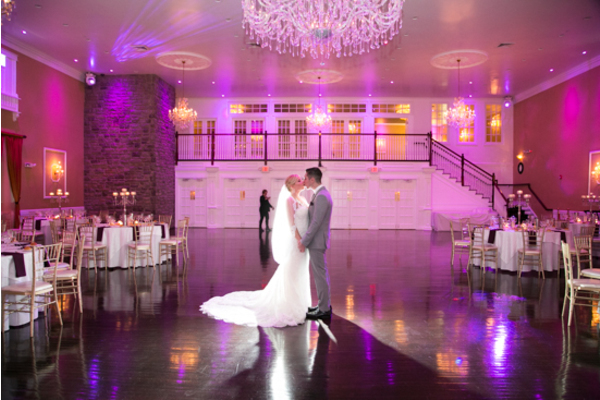 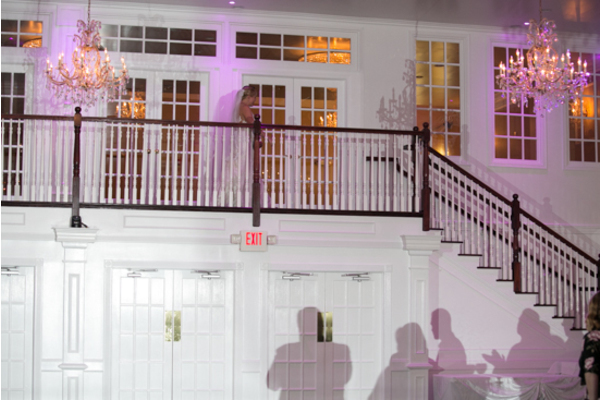 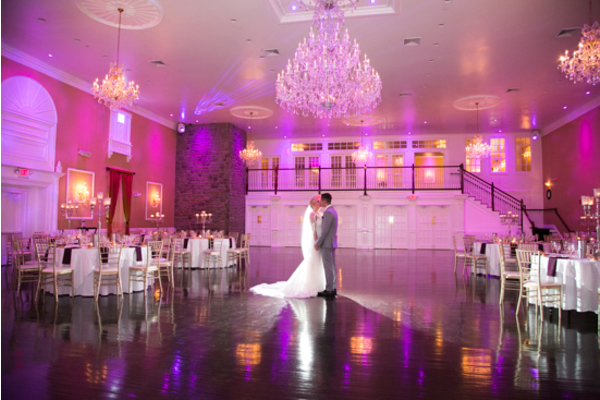 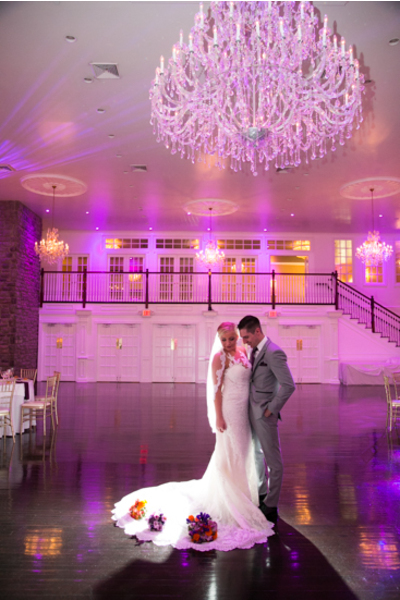 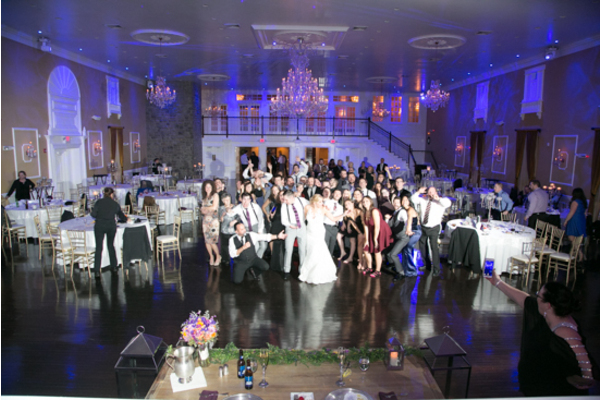 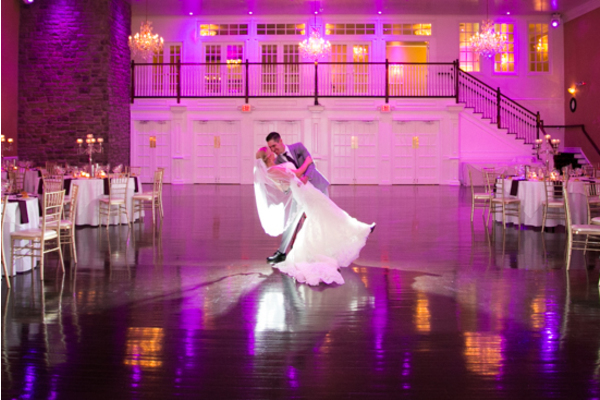 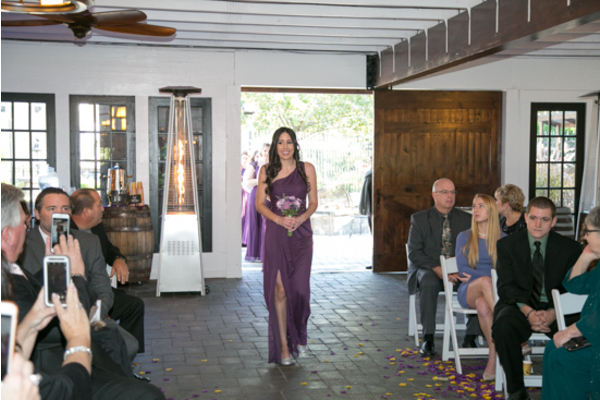 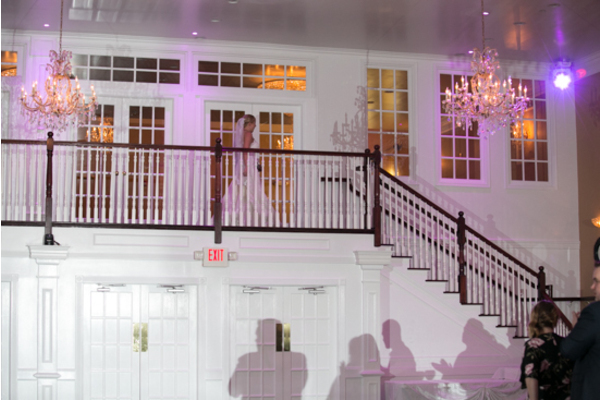 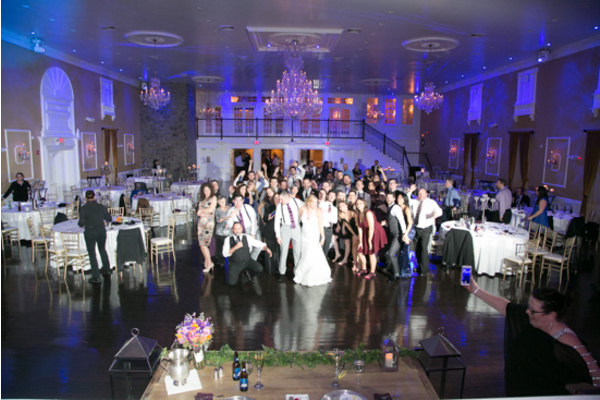 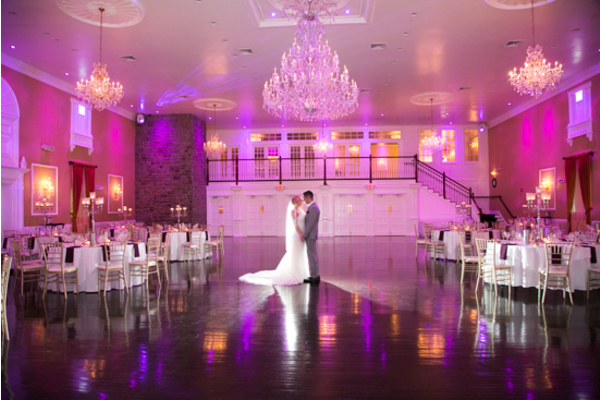 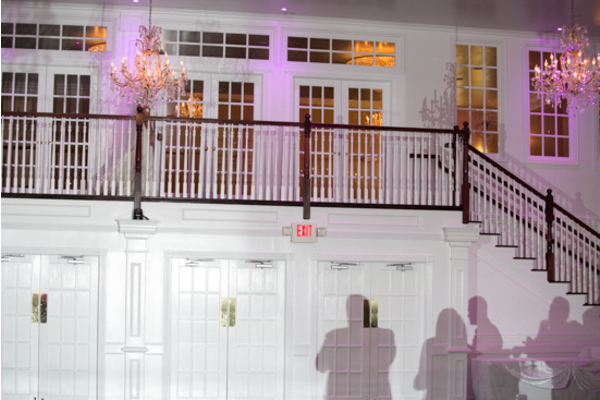 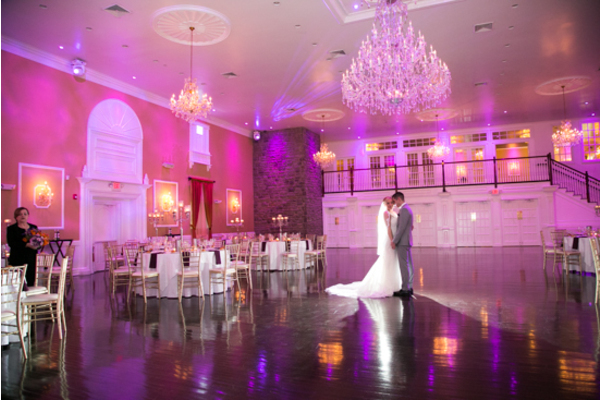 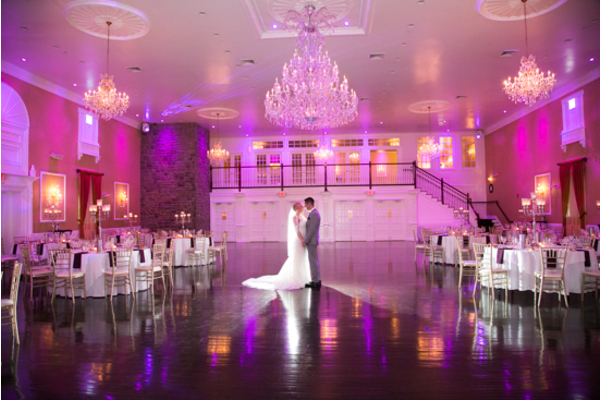 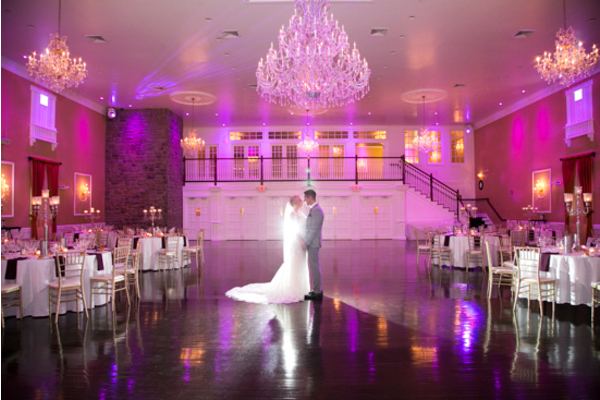 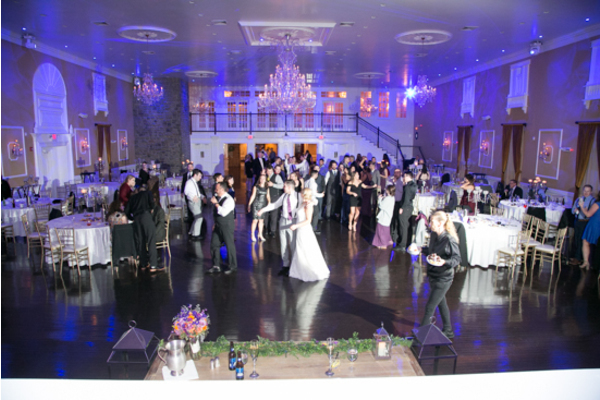 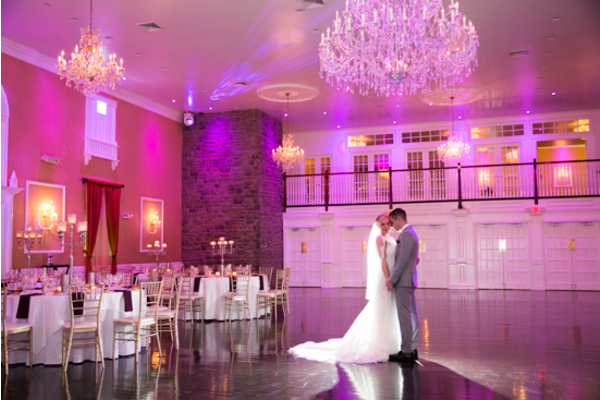 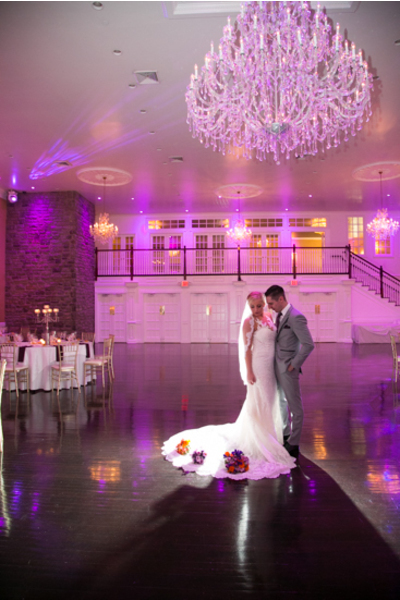 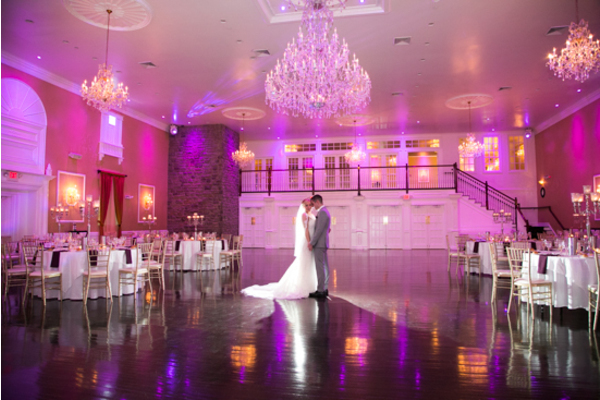 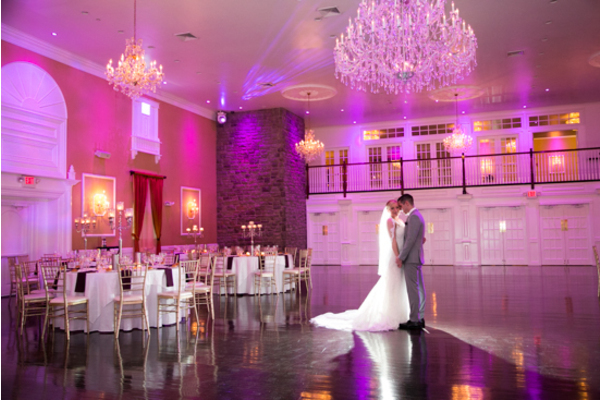 Illuminated in pink and purple lights, the charming chandelier and its spacious design was the perfect backdrop. 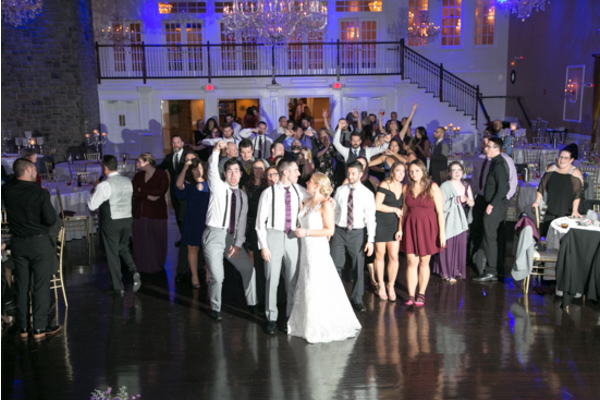 This crowd sure knew how to celebrate! 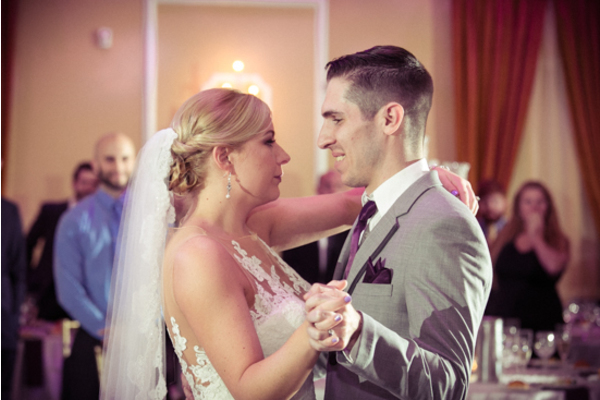 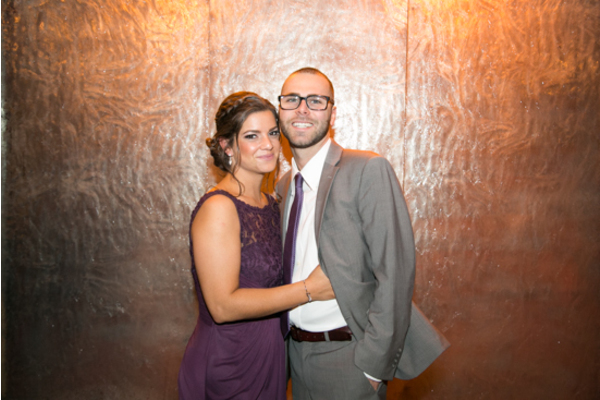 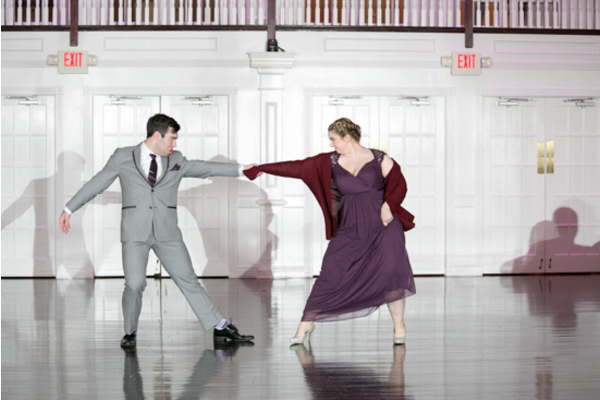 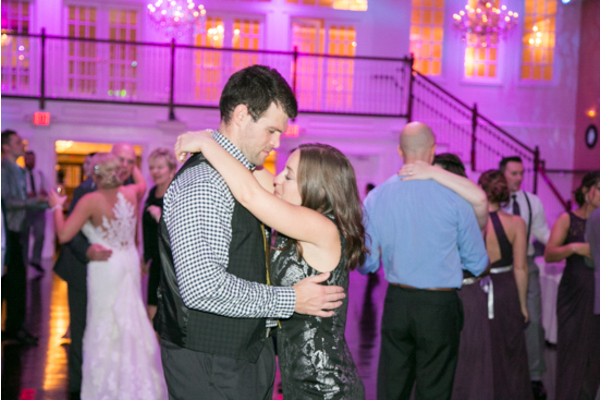 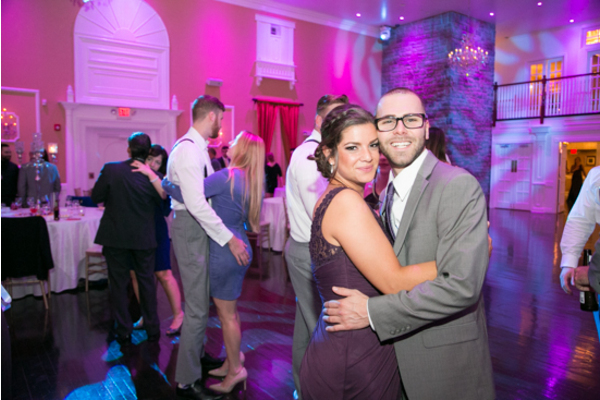 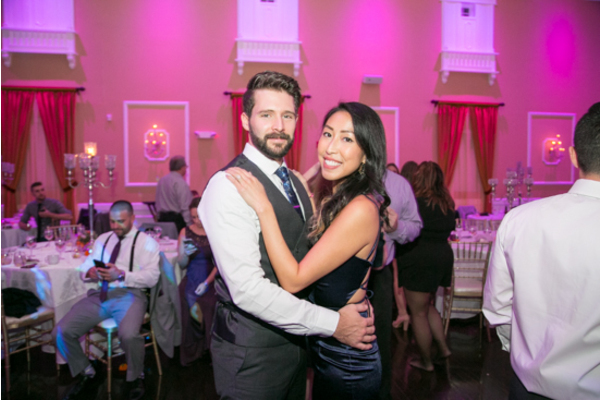 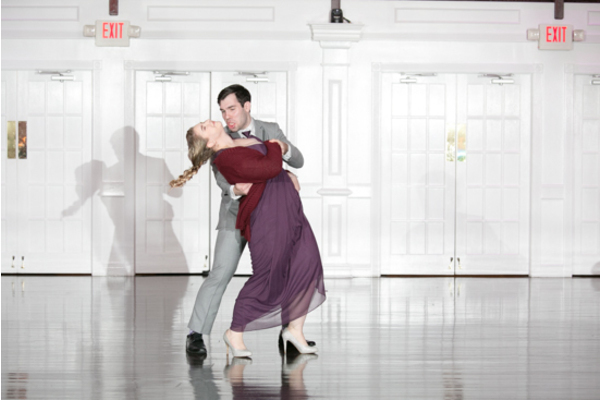 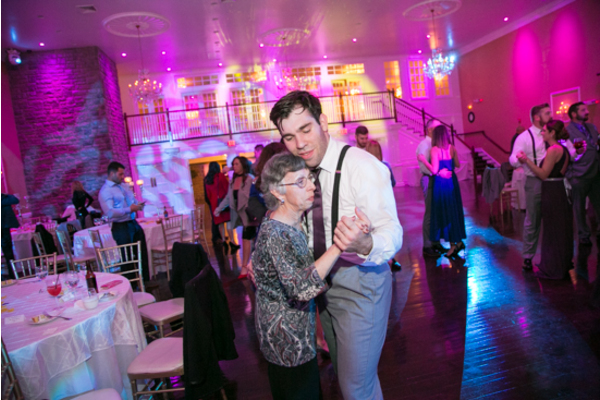 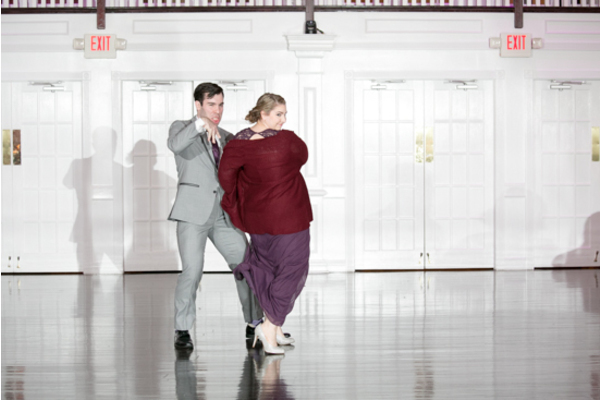 The two shared their first dance, followed by listening to awesome speeches by their loved ones. 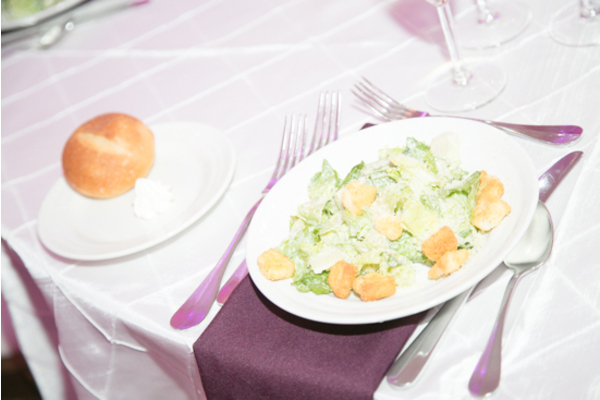 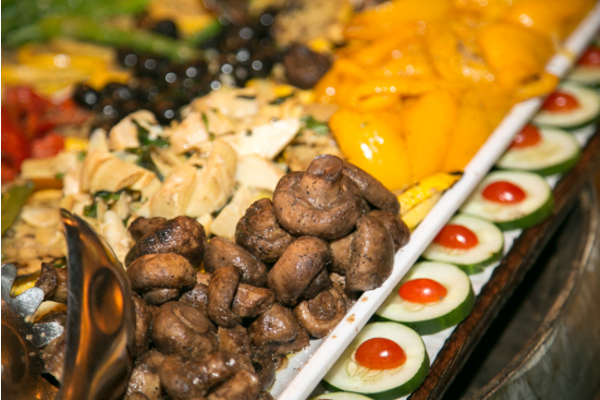 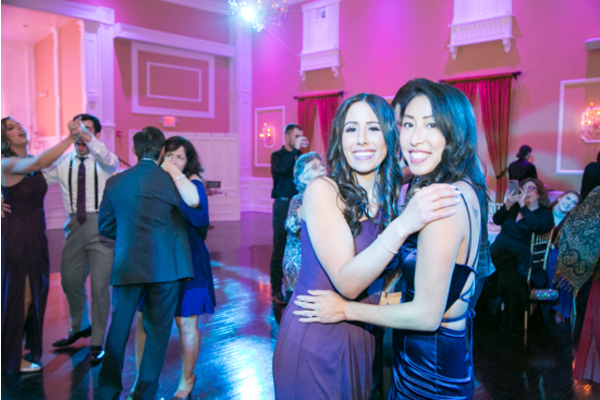 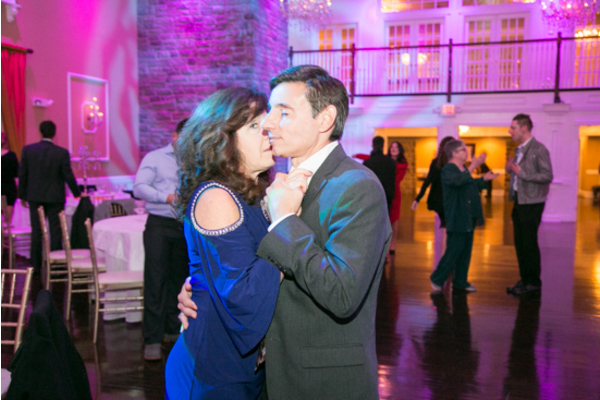 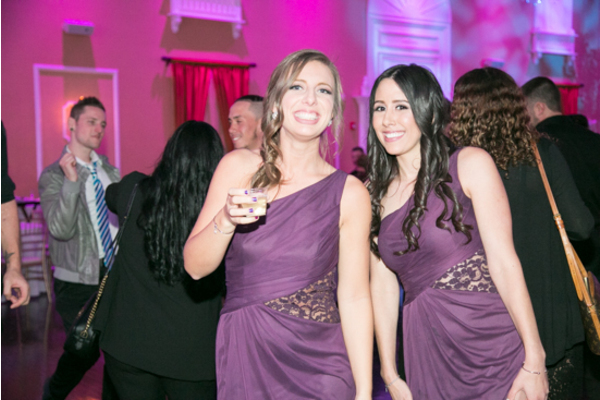 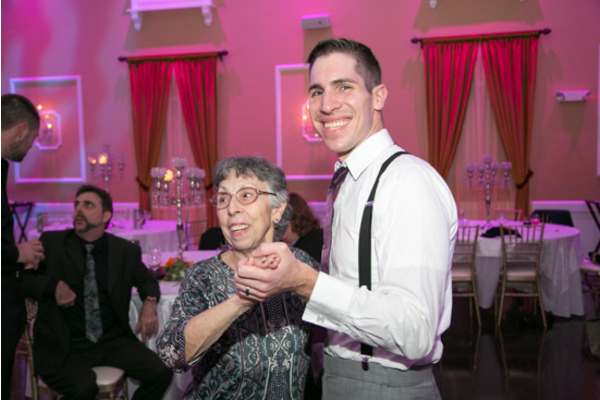 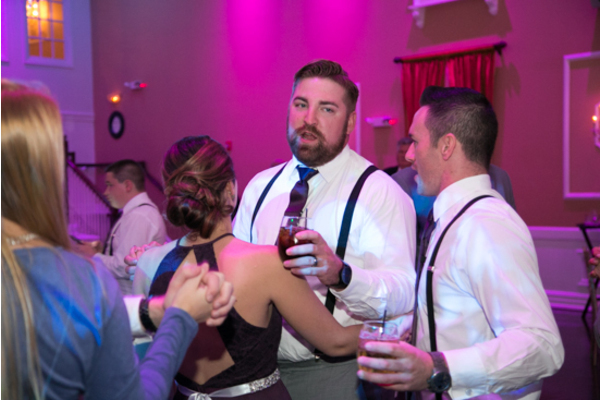 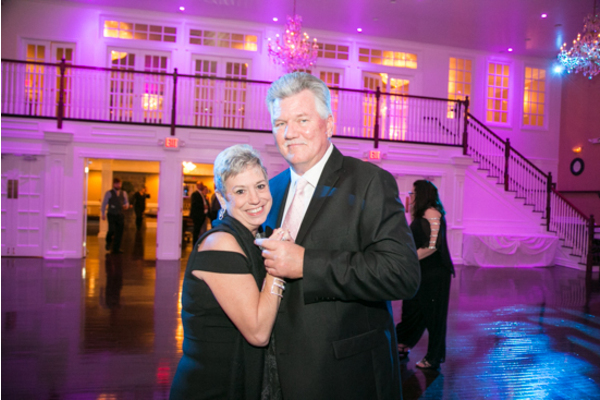 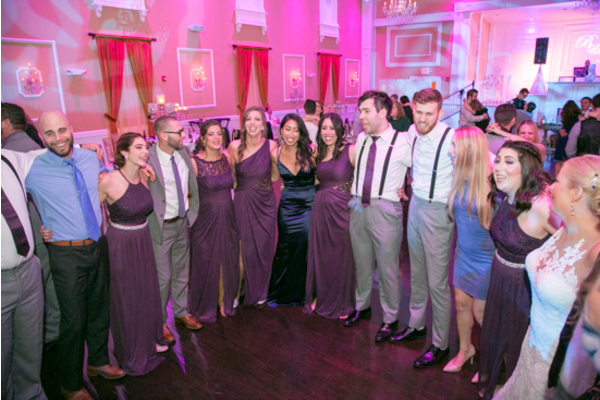 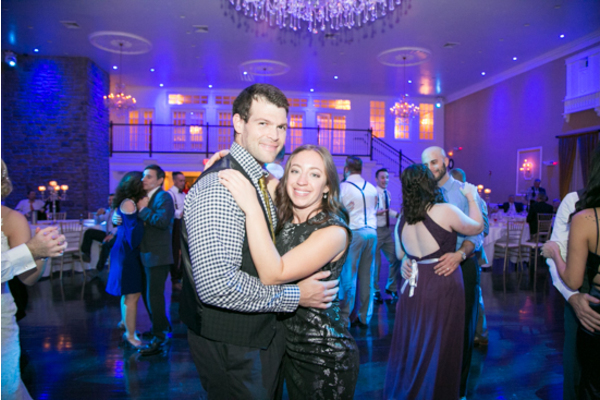 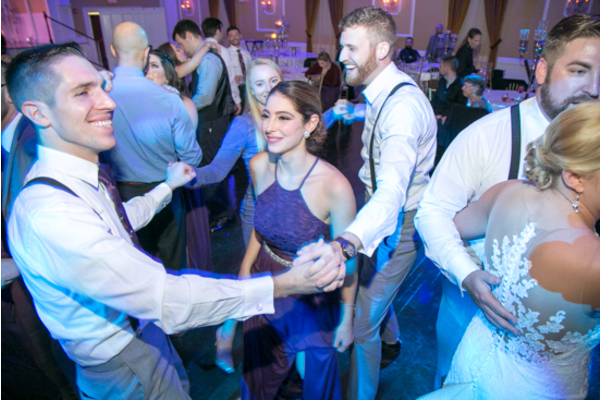 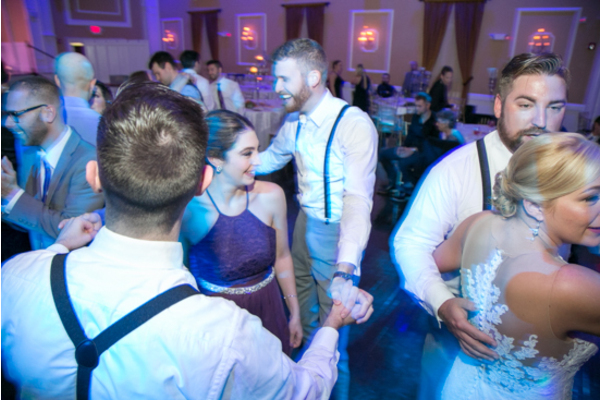 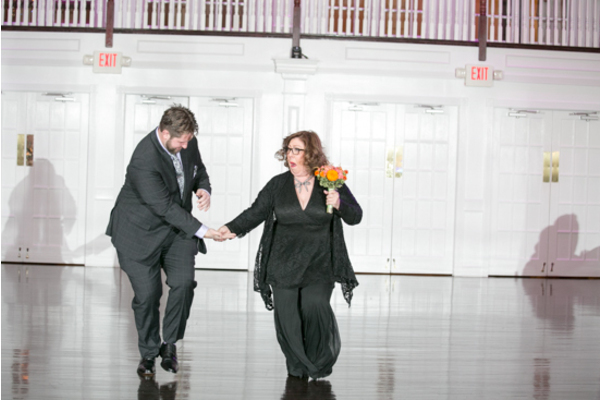 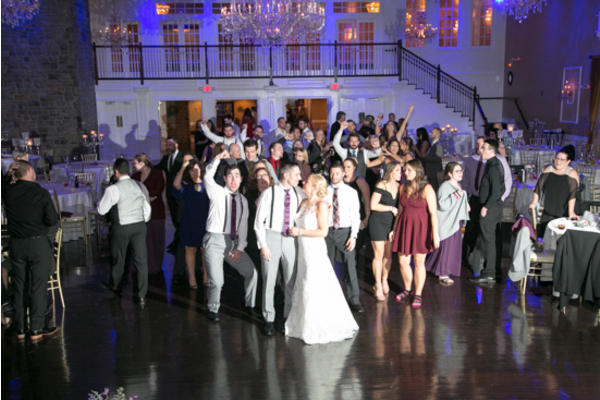 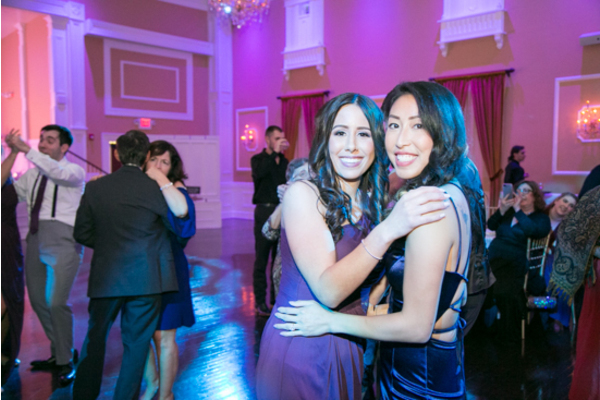 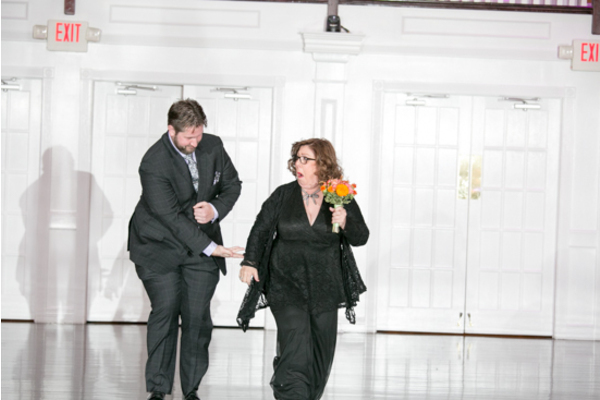 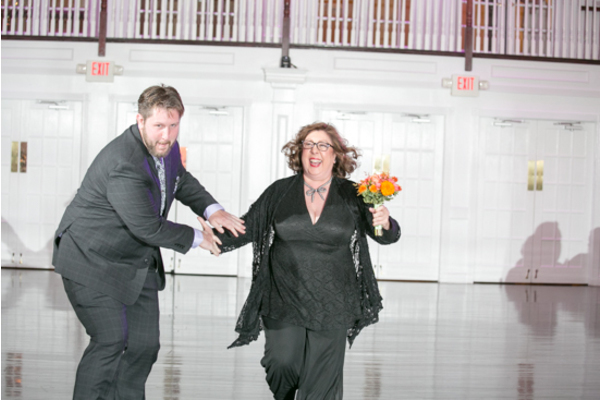 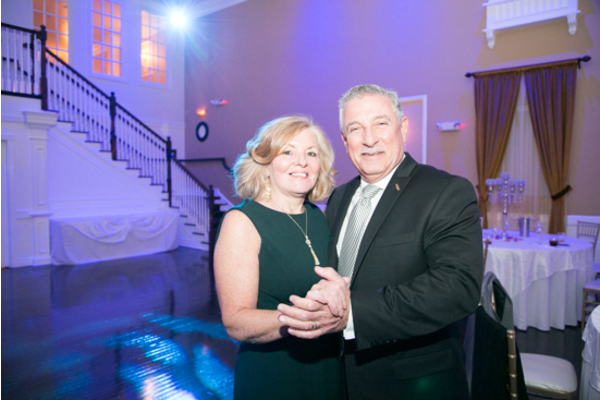 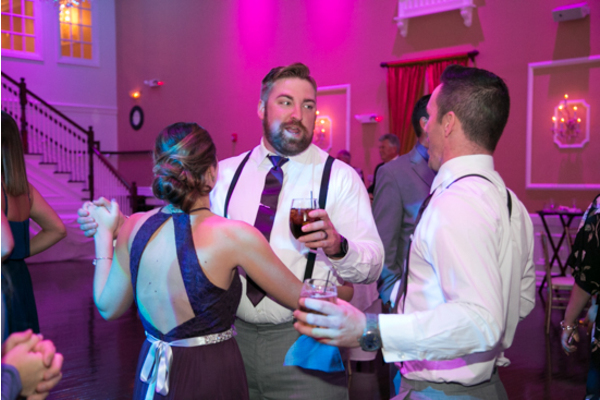 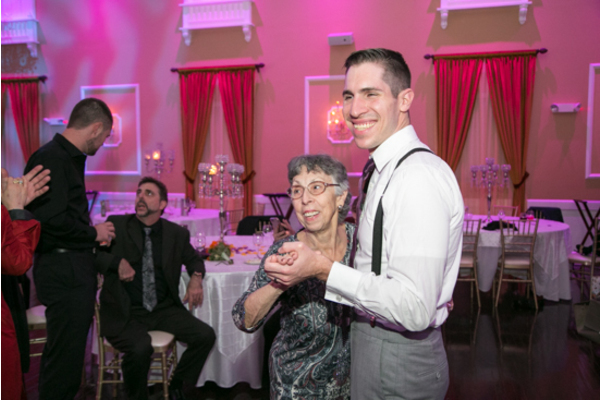 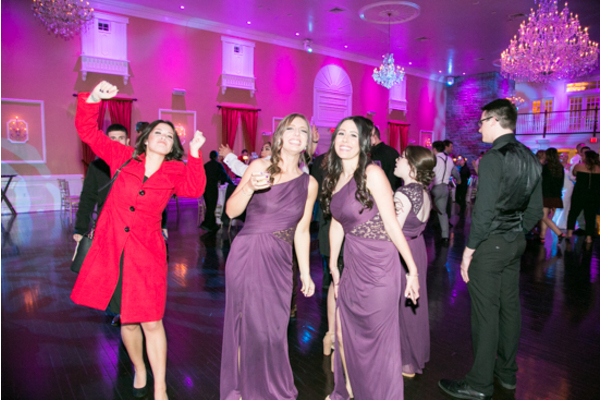 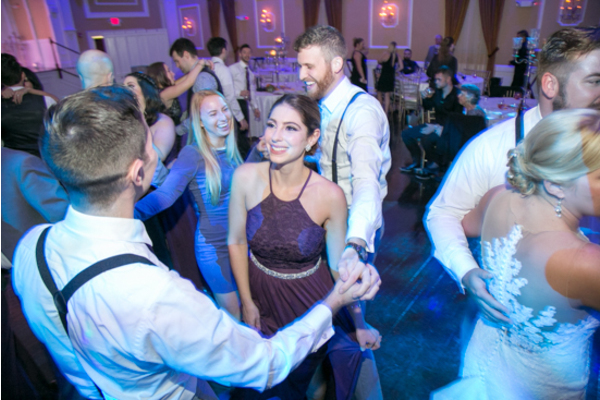 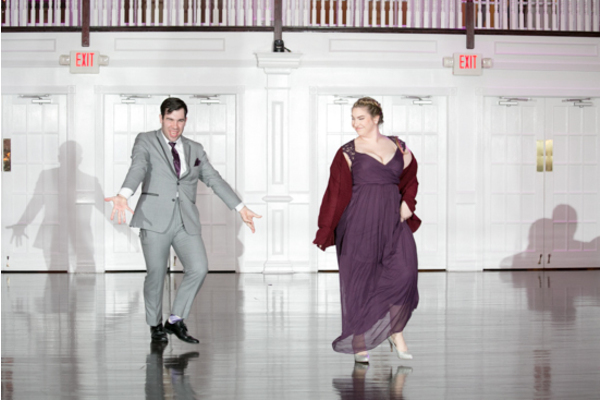 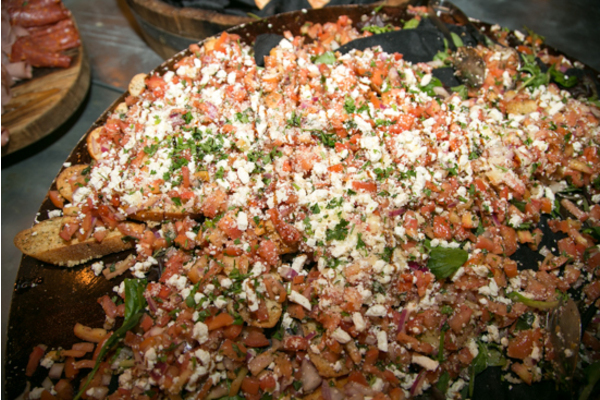 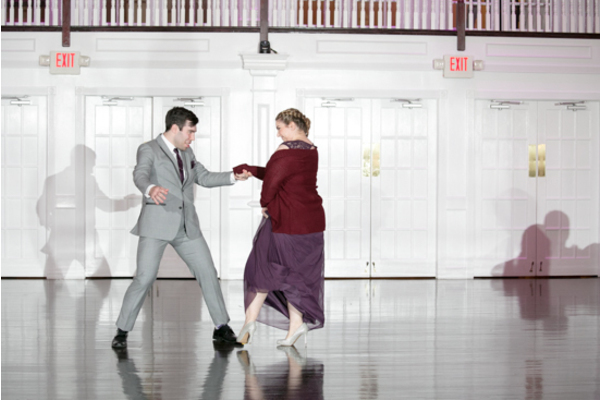 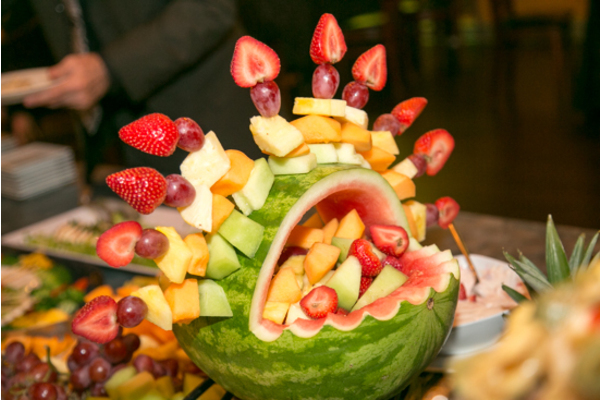 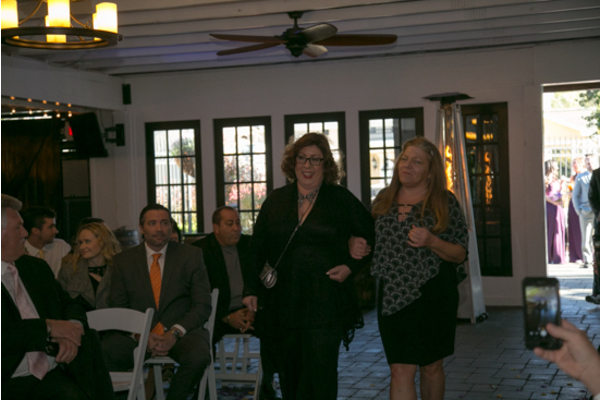 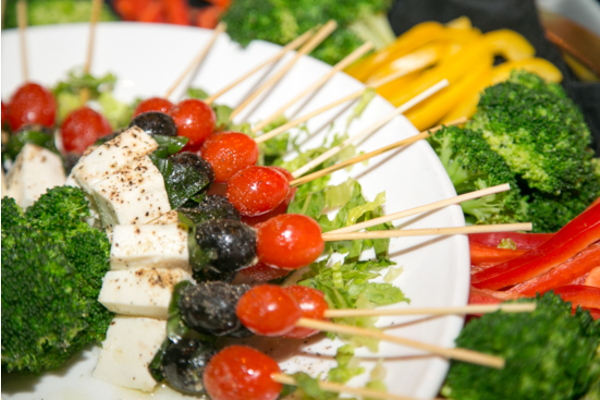 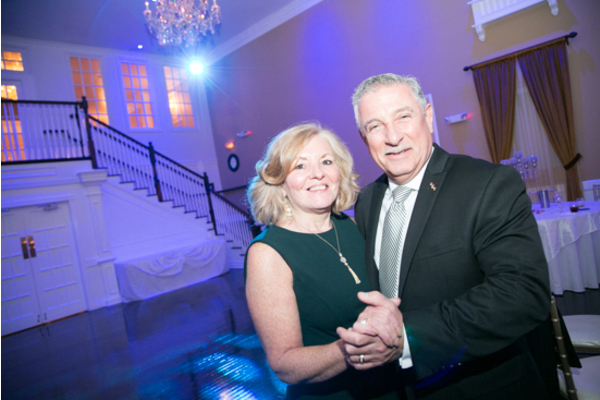 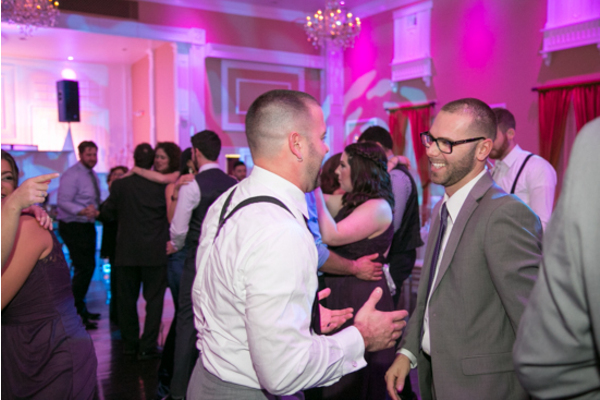 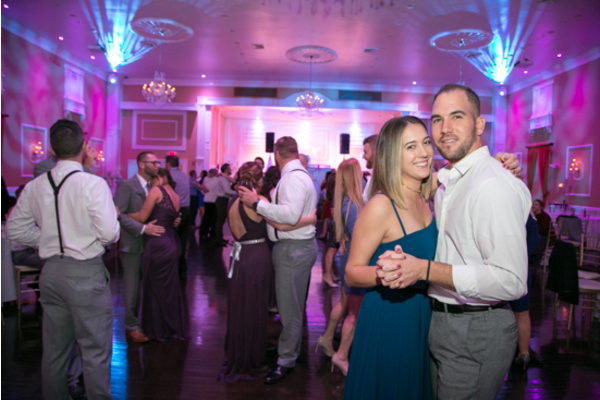 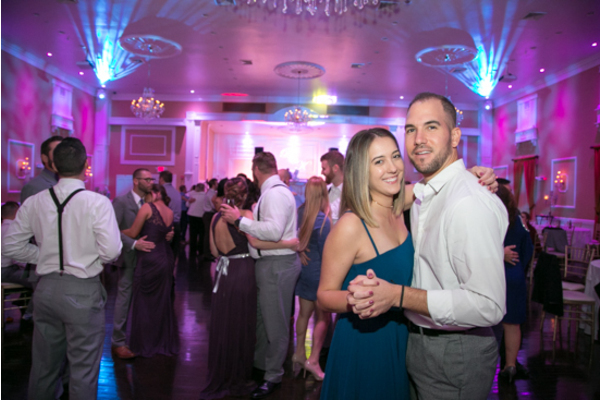 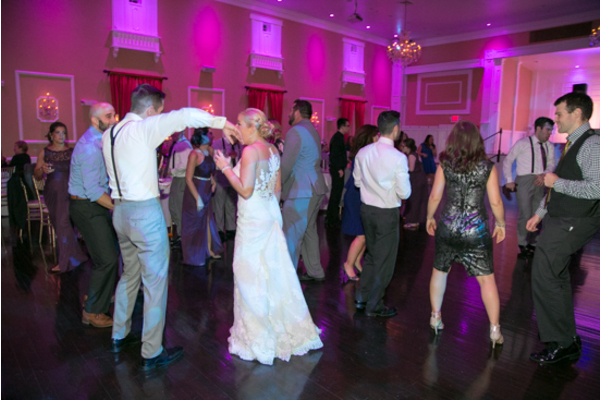 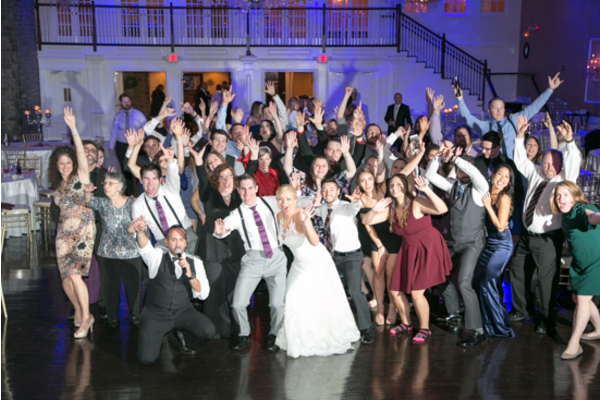 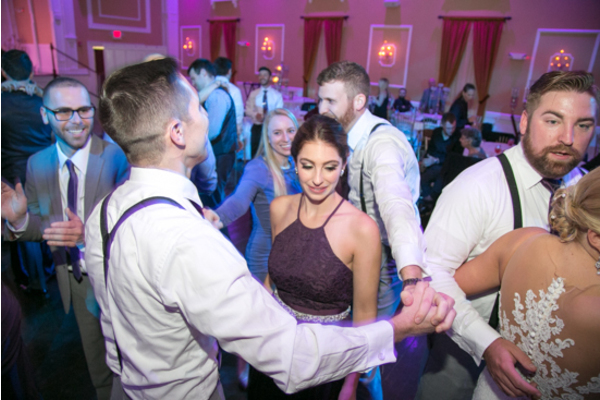 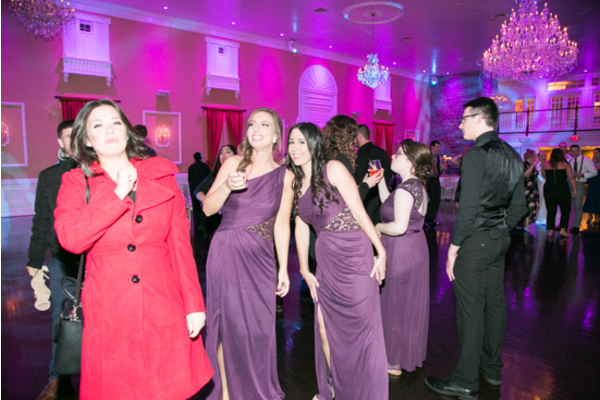 The remainder of the night was filled with plenty of laughs, and guests had a blast dancing the night away. 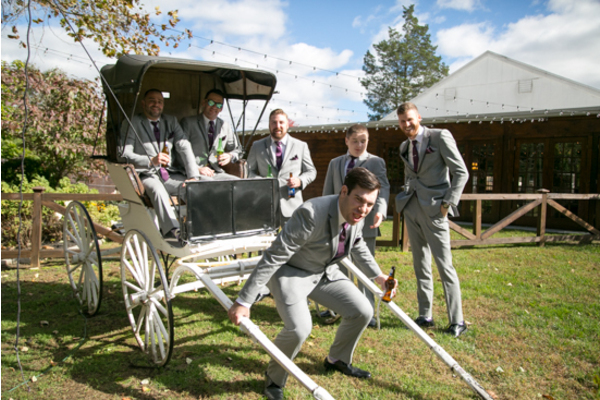 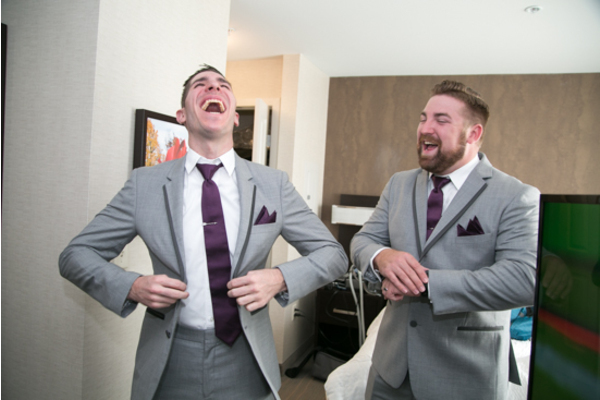 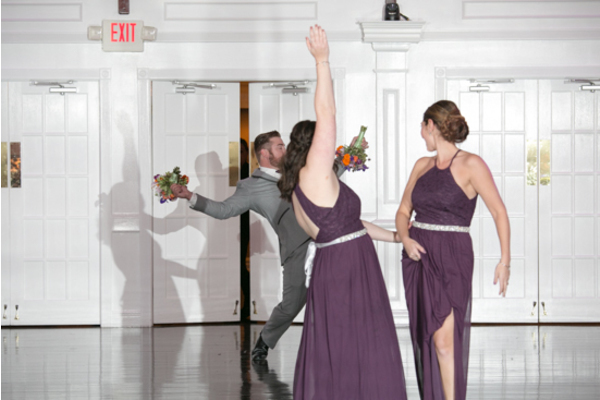 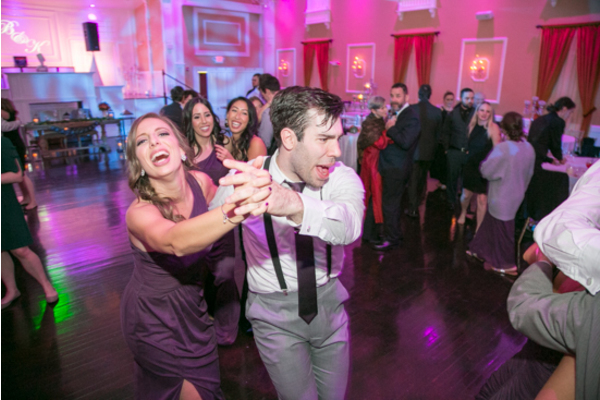 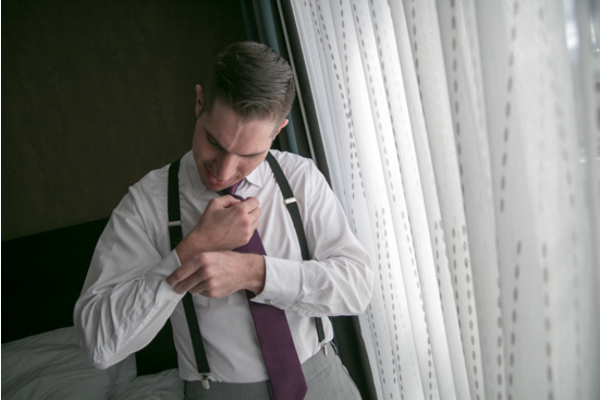 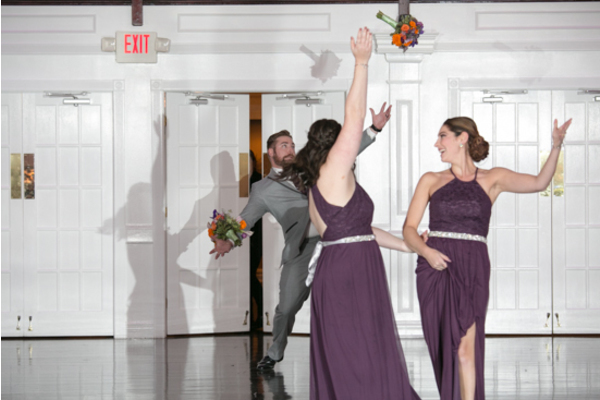 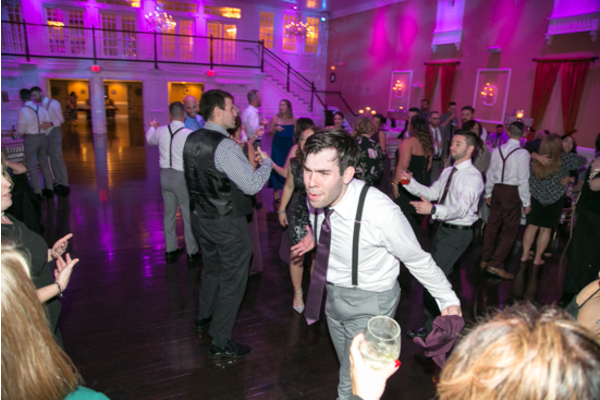 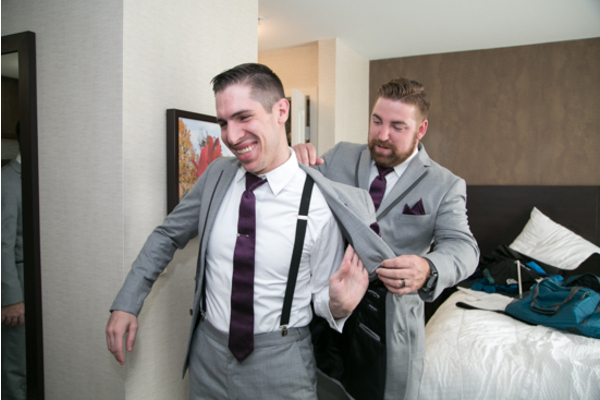 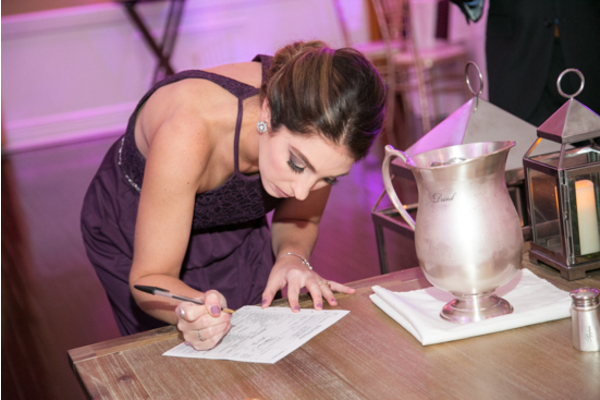 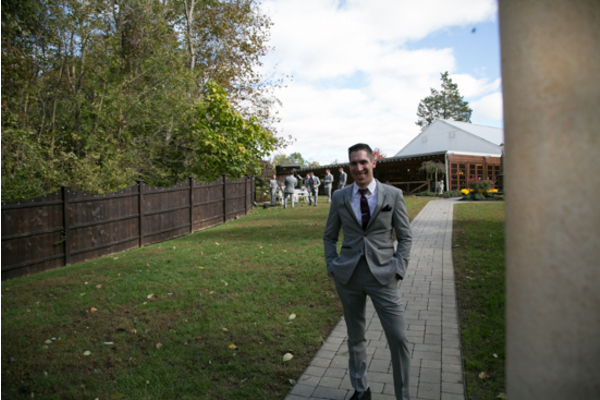 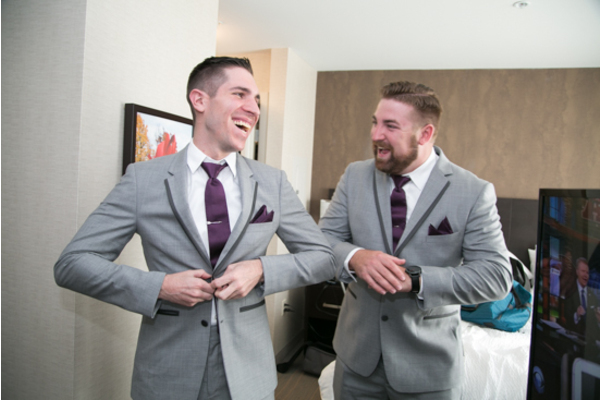 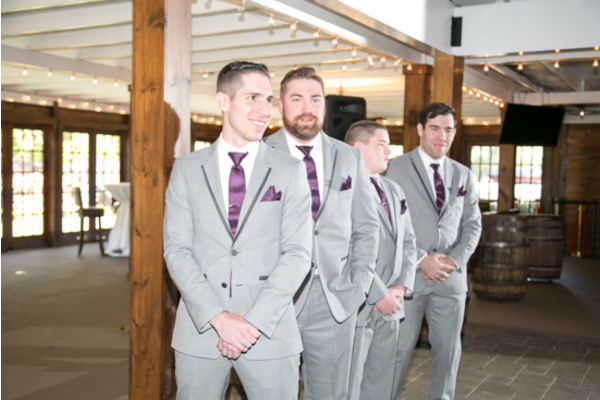 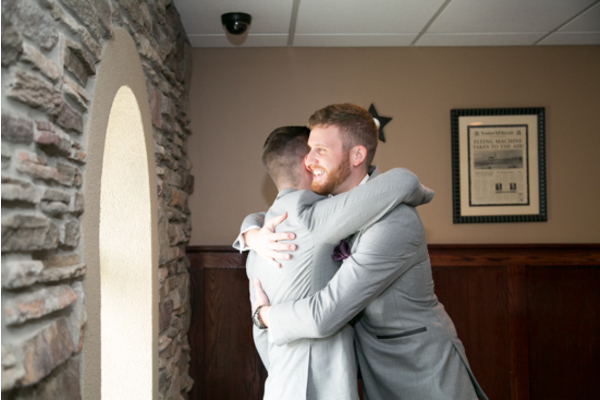 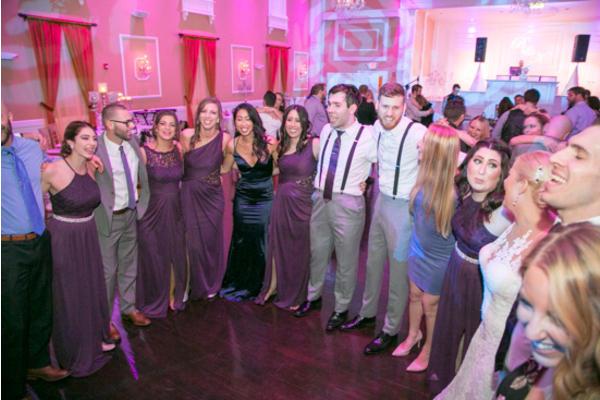 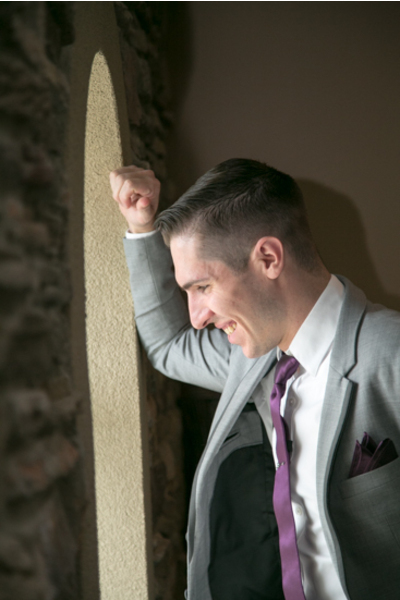 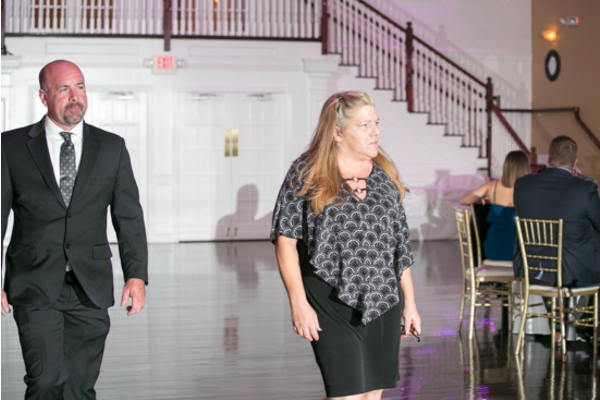 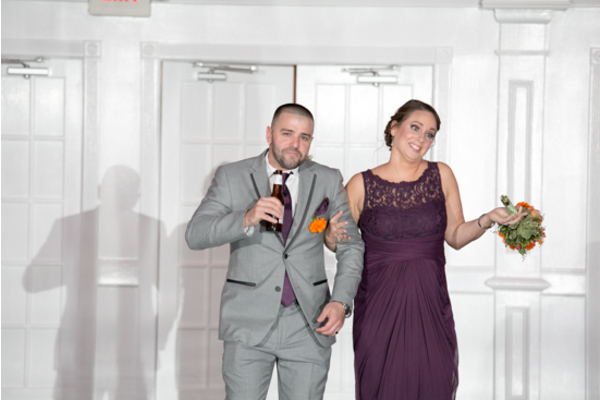 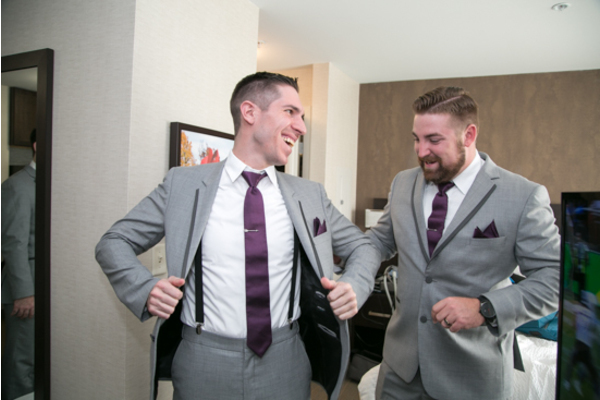 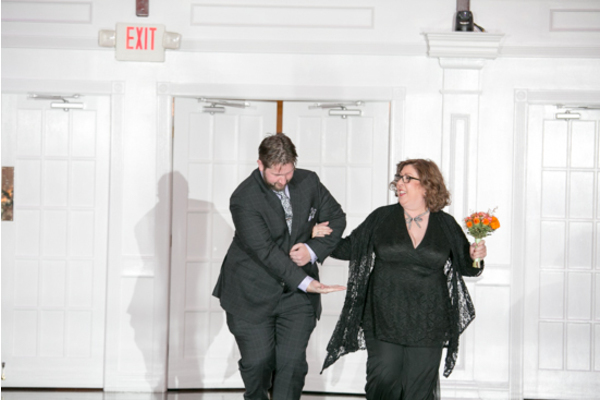 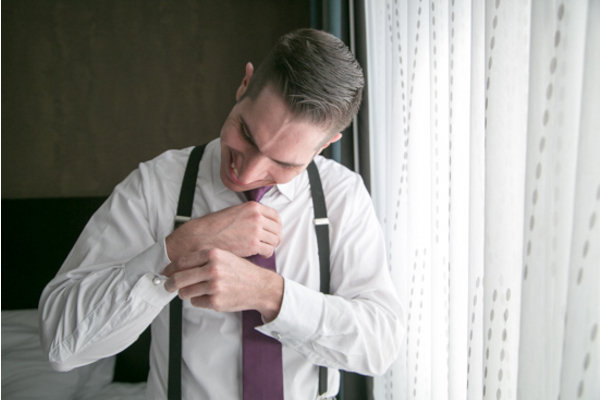 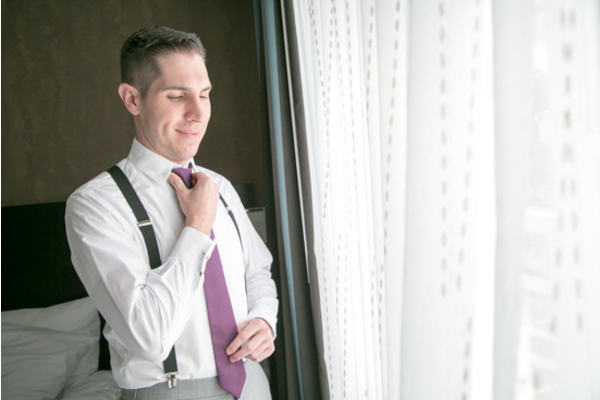 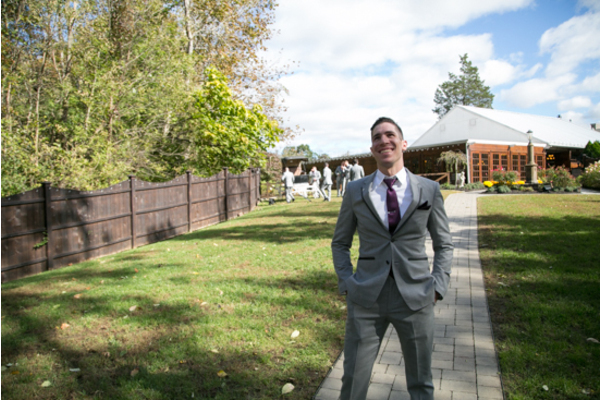 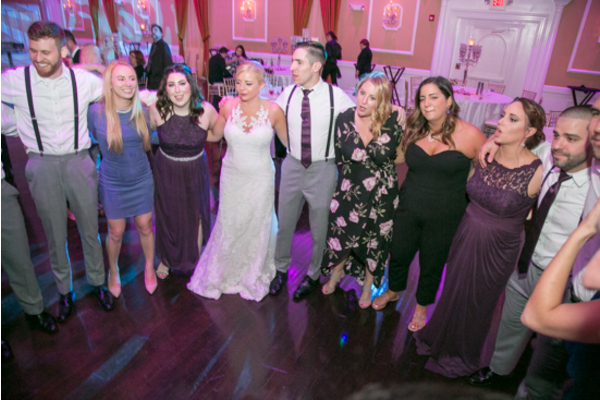 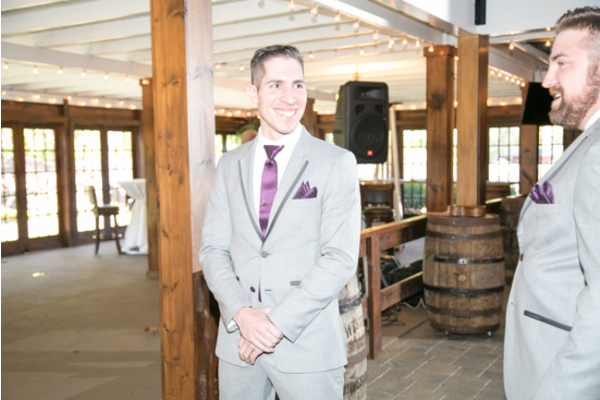 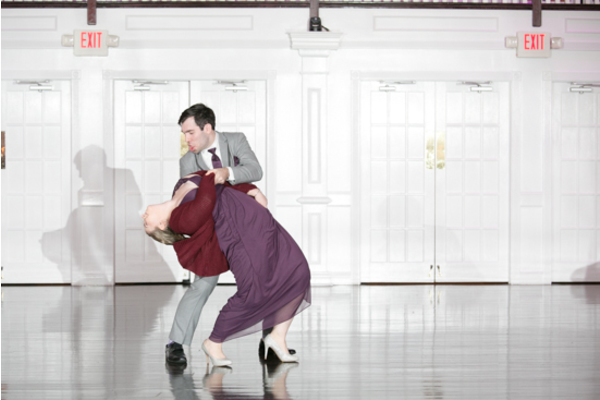 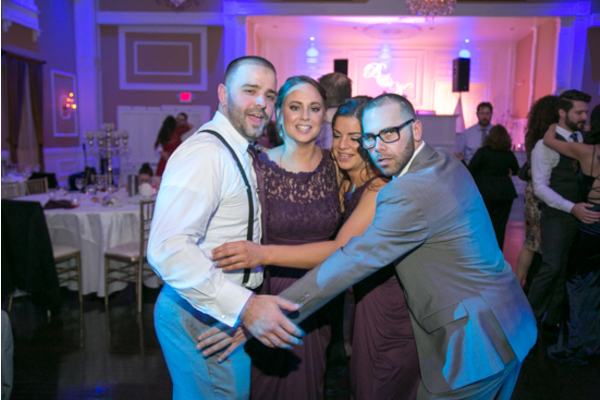 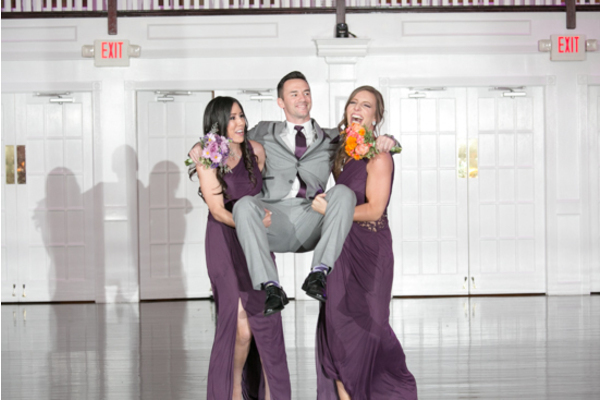 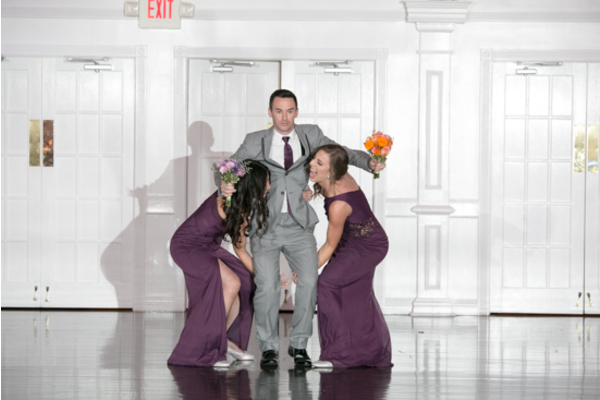 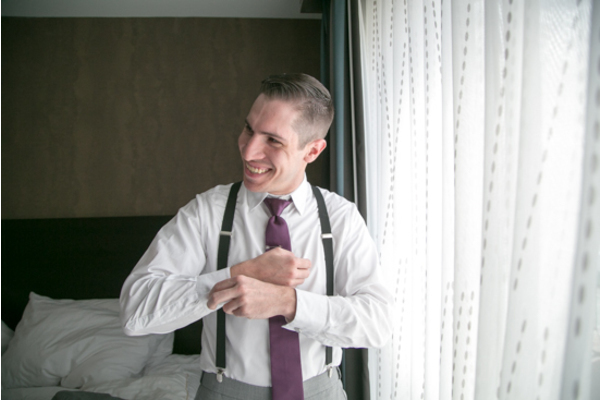 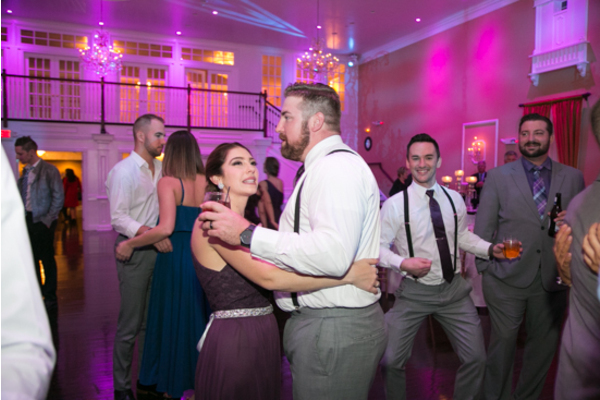 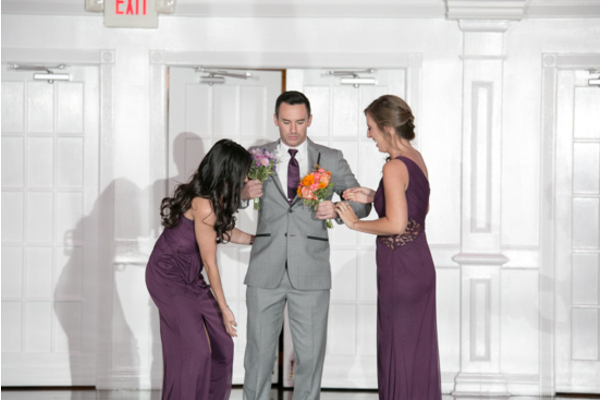 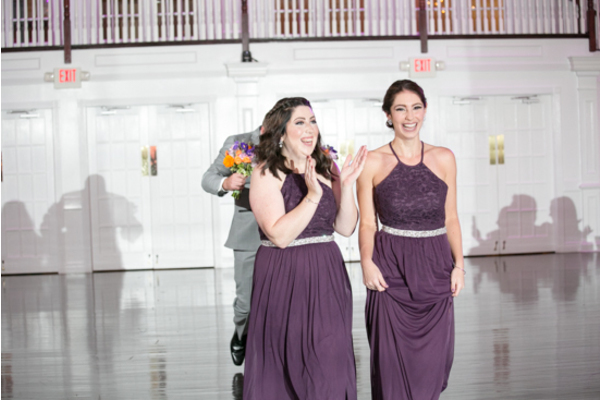 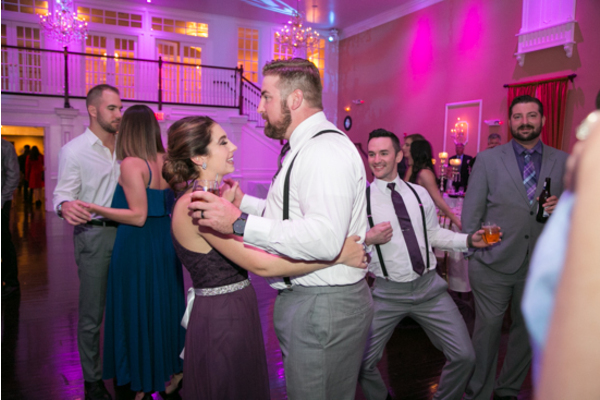 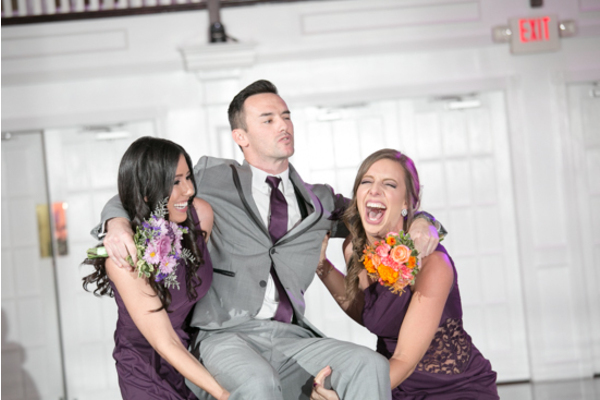 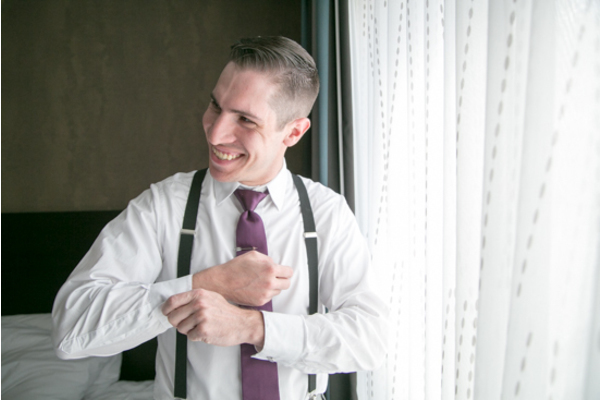 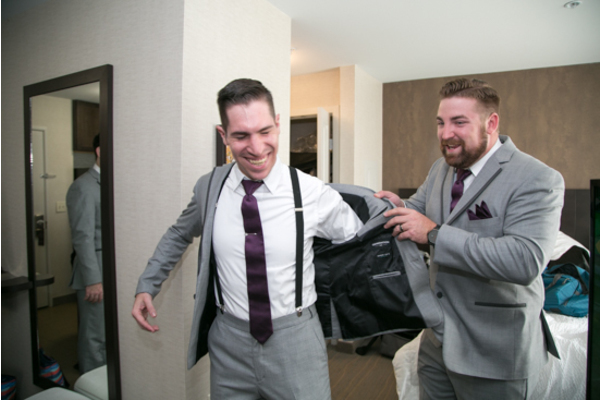 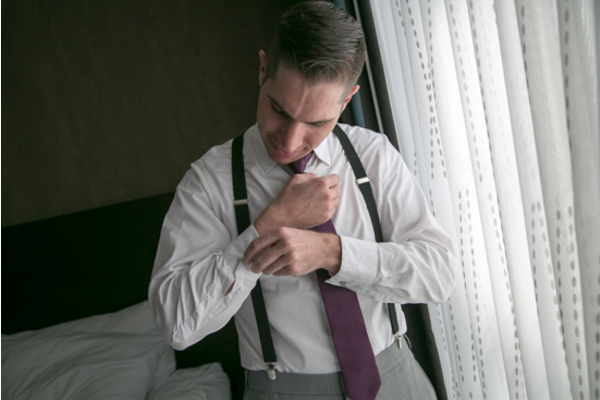 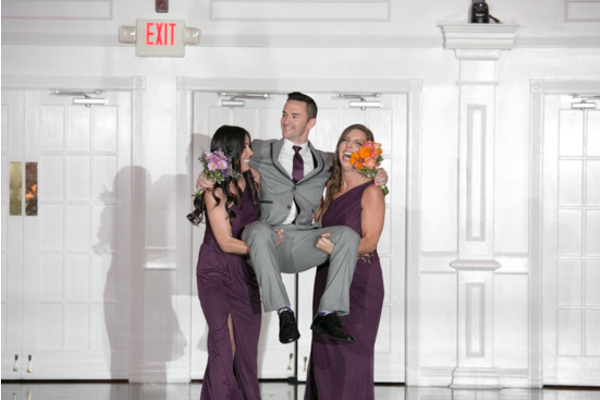 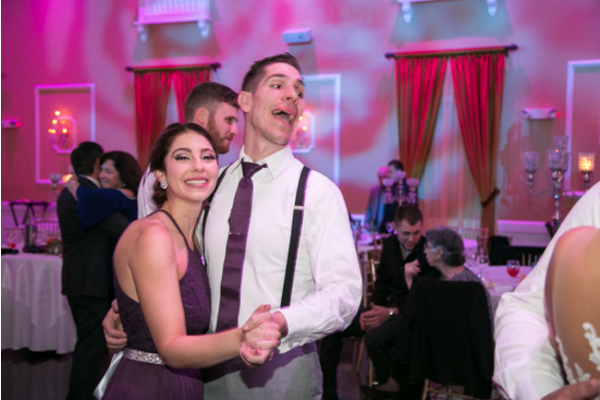 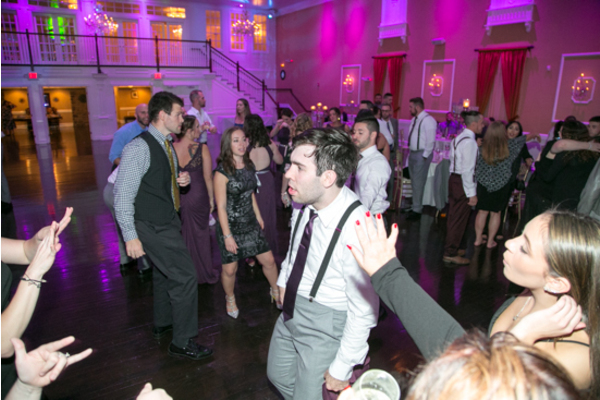 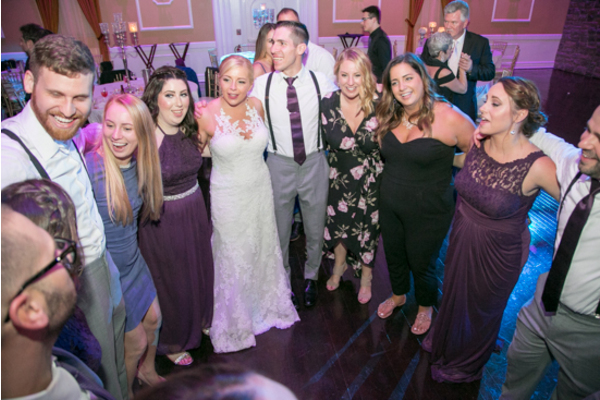 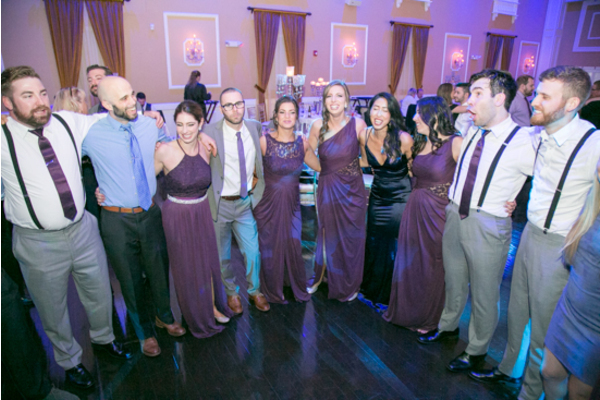 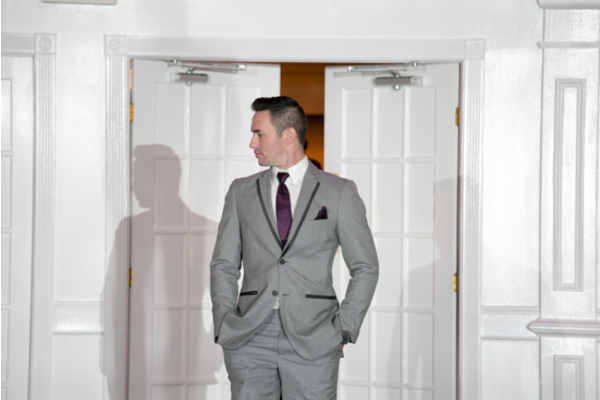 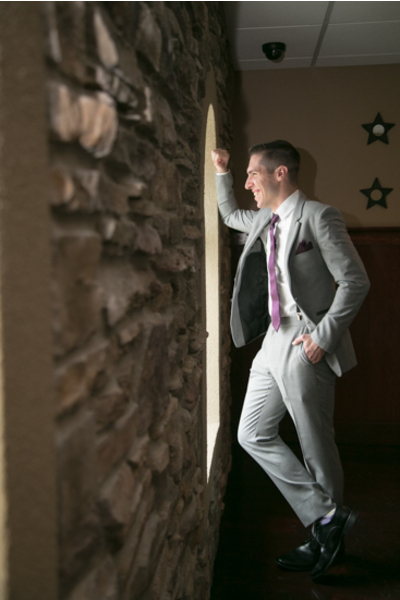 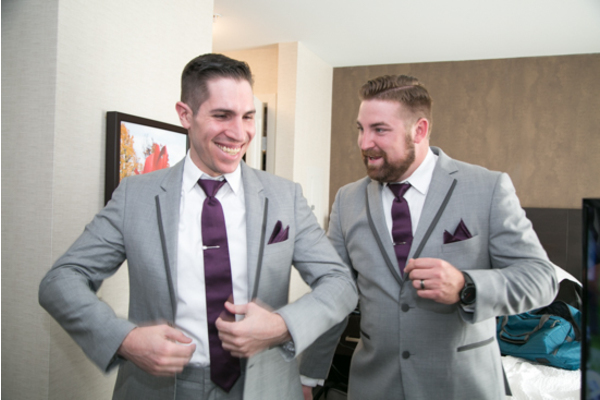 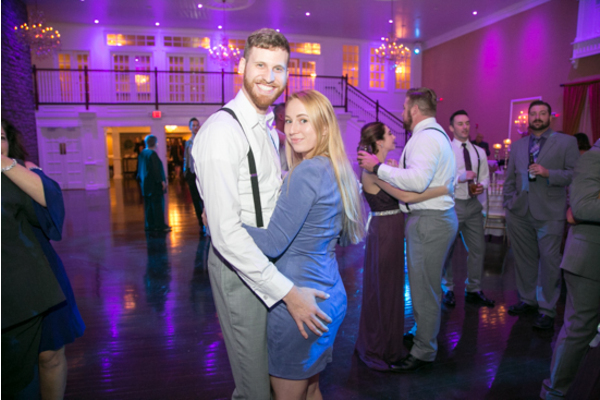 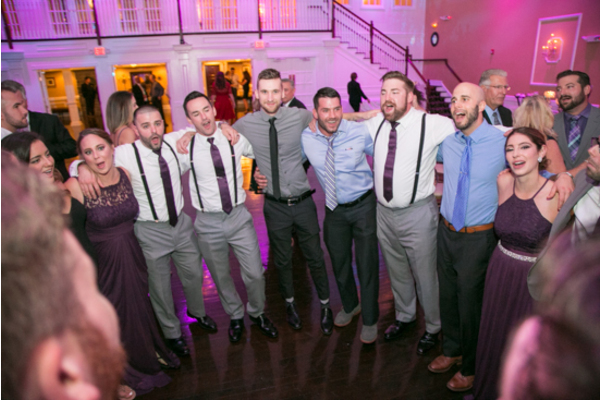 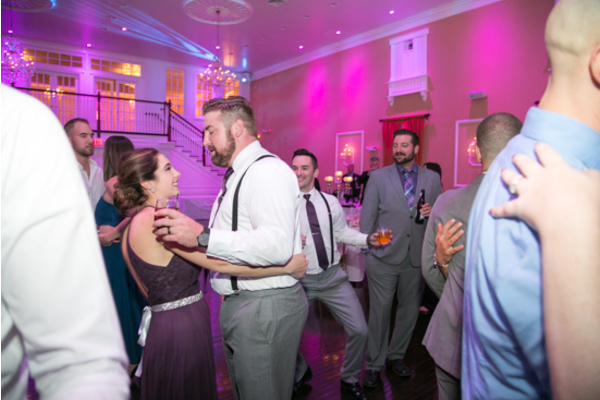 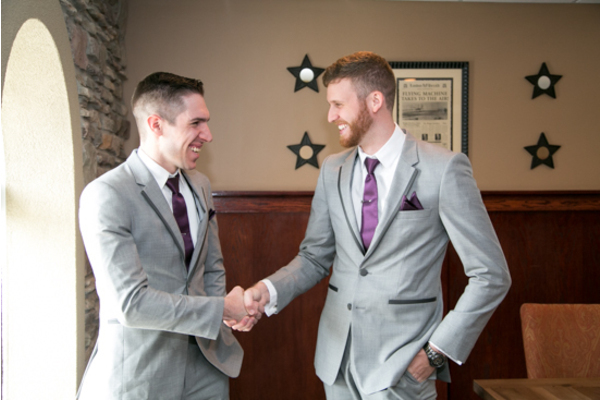 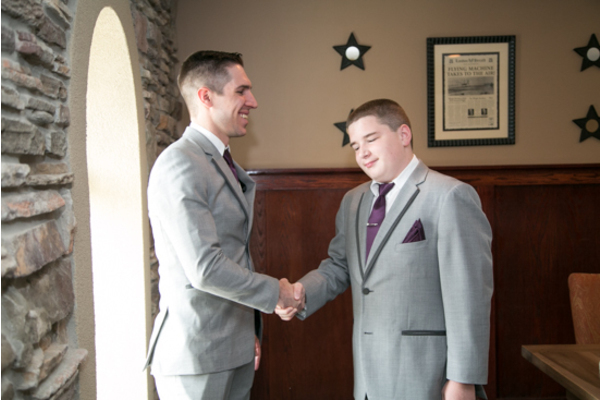 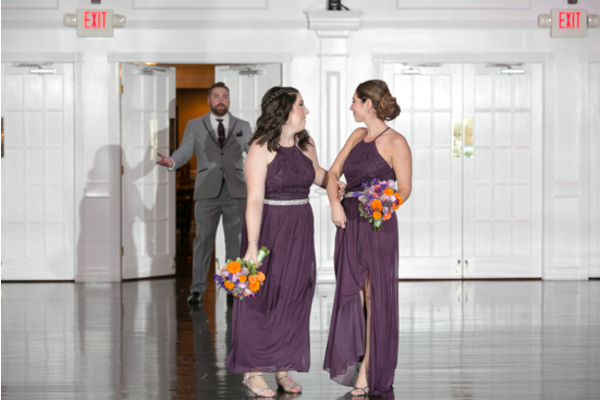 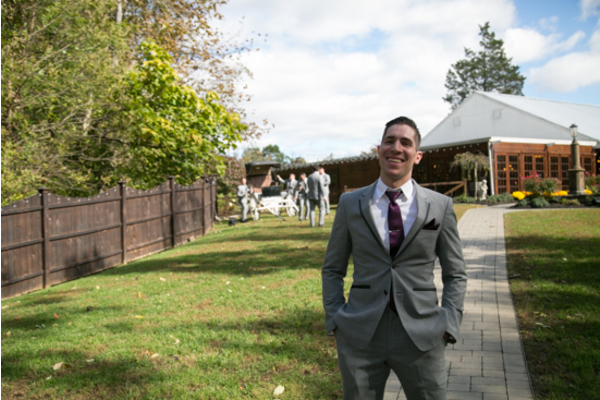 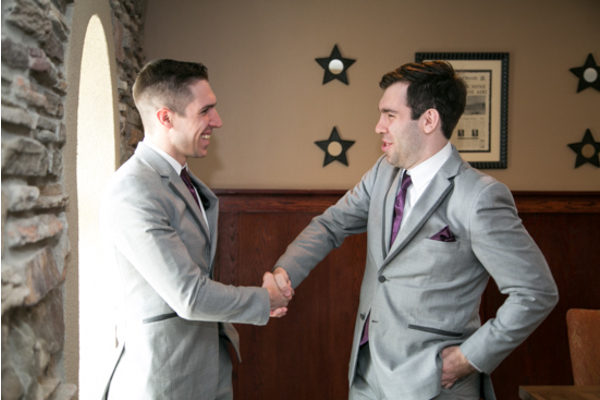 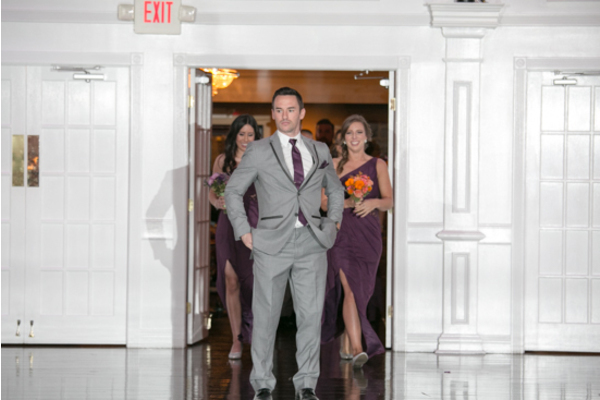 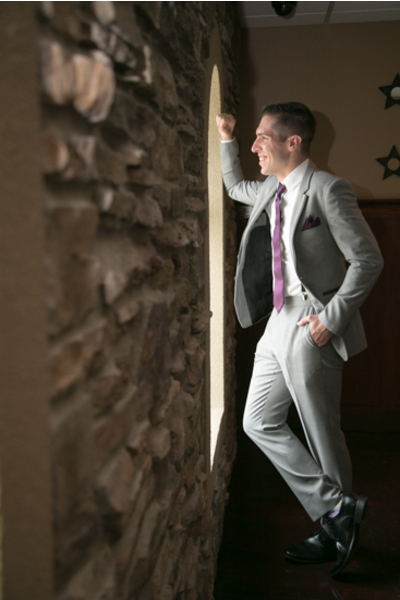 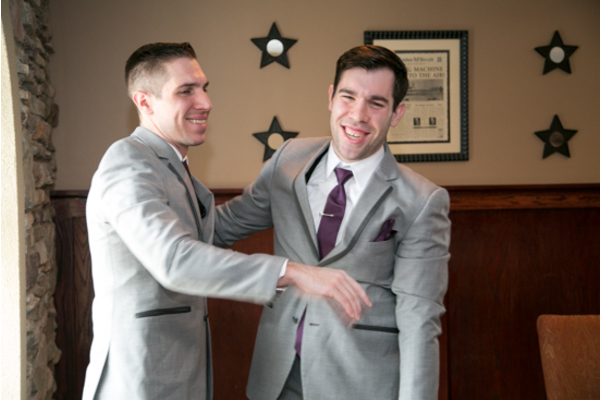 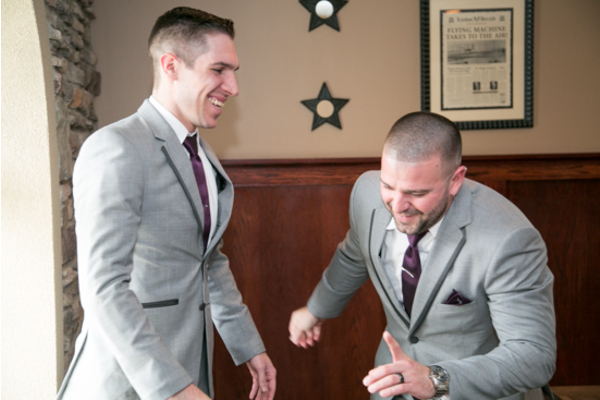 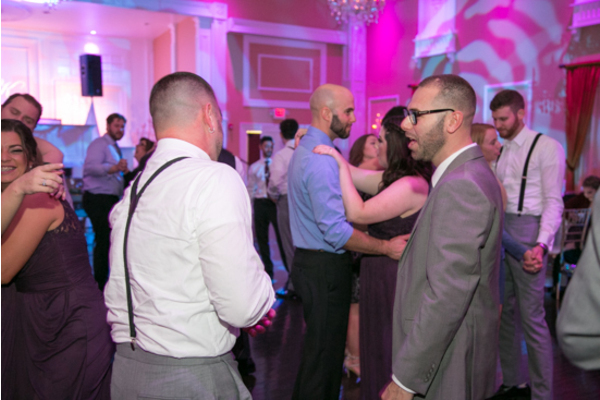 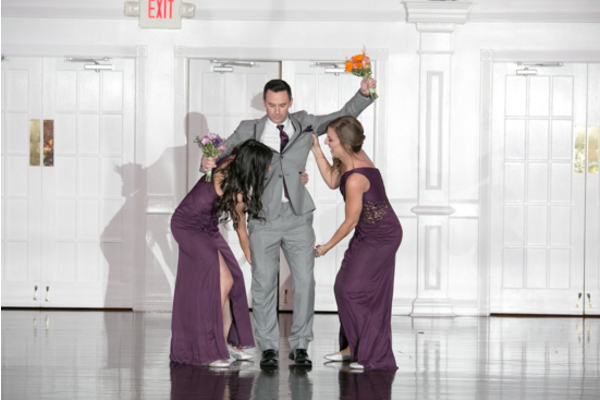 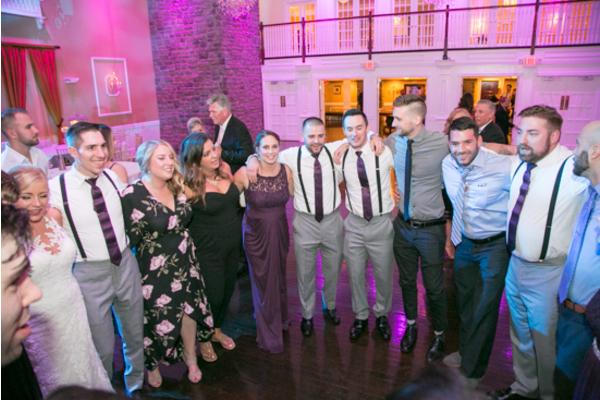 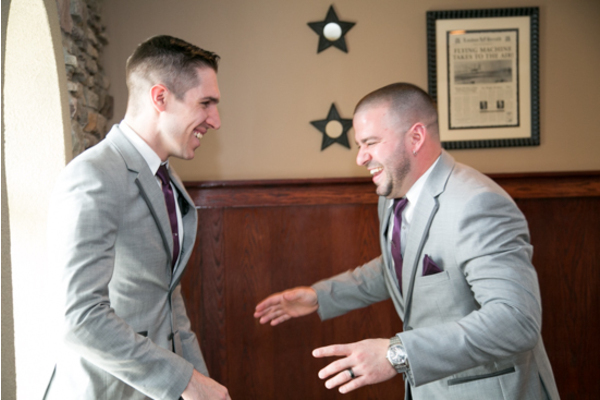 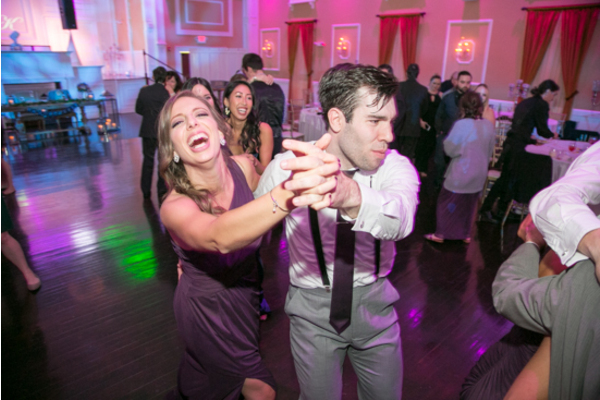 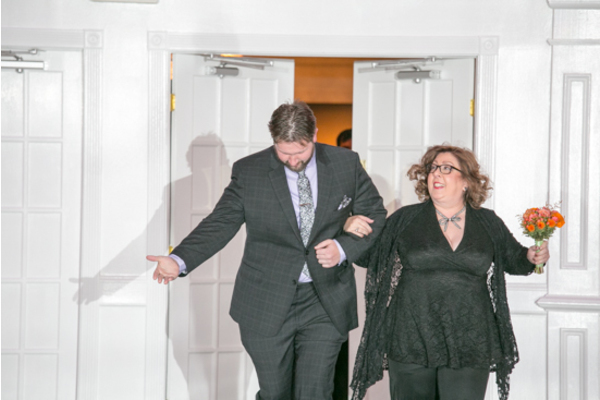 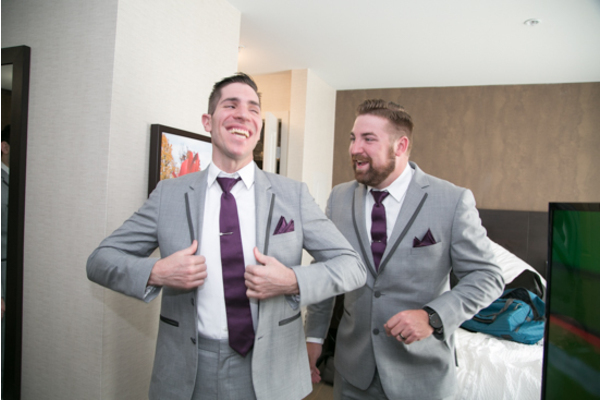 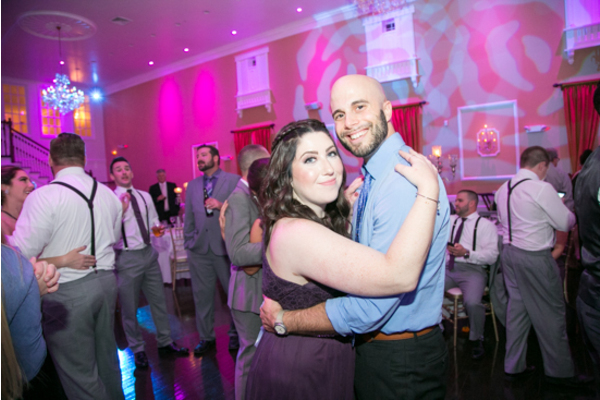 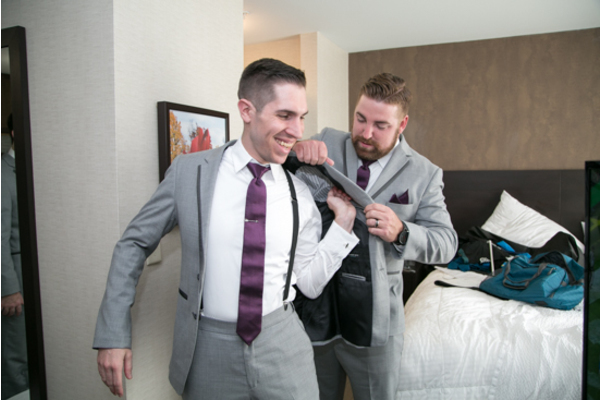 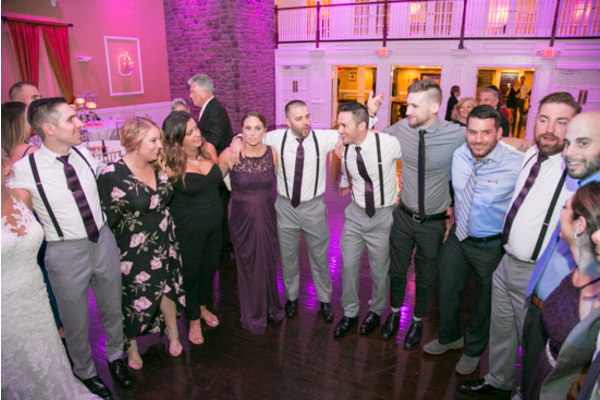 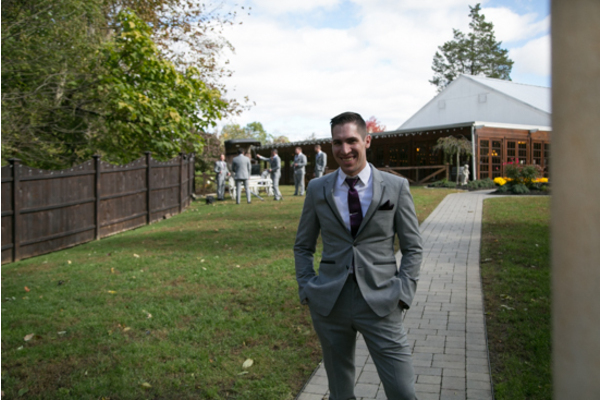 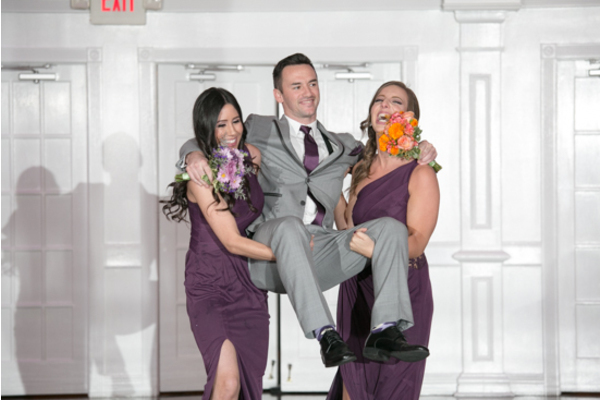 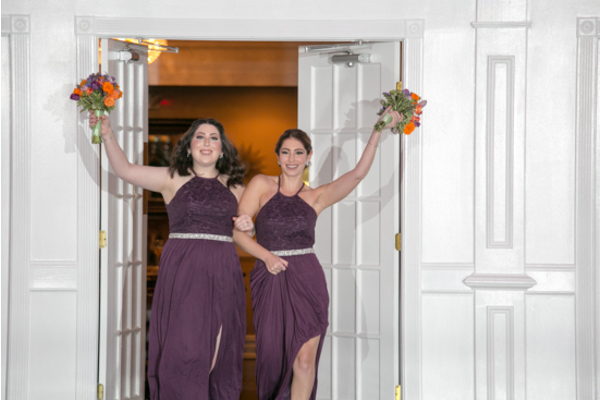 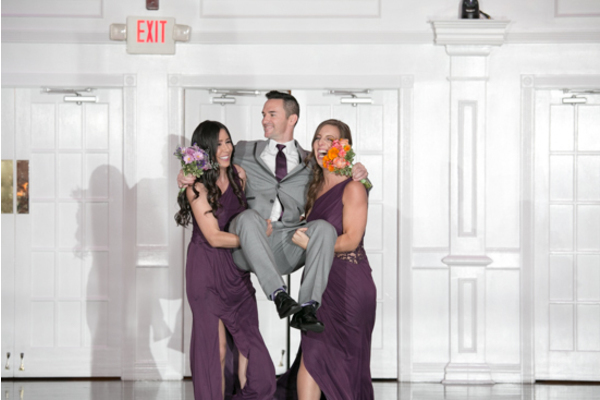 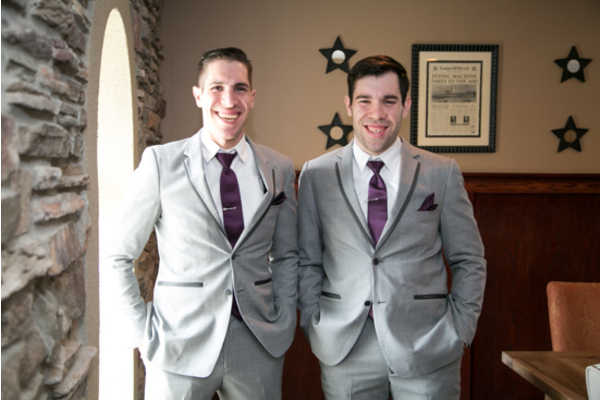 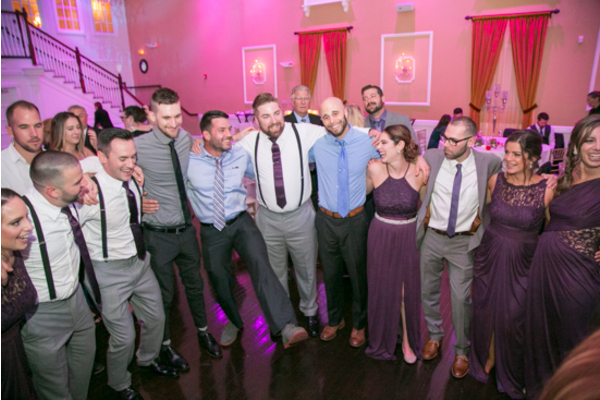 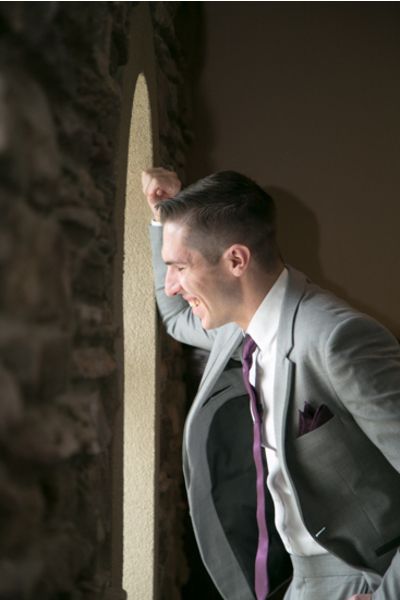 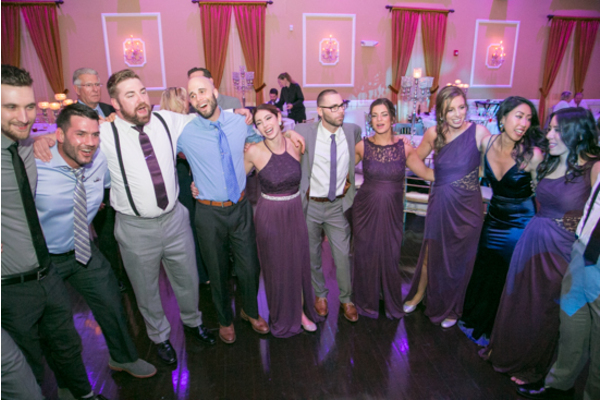 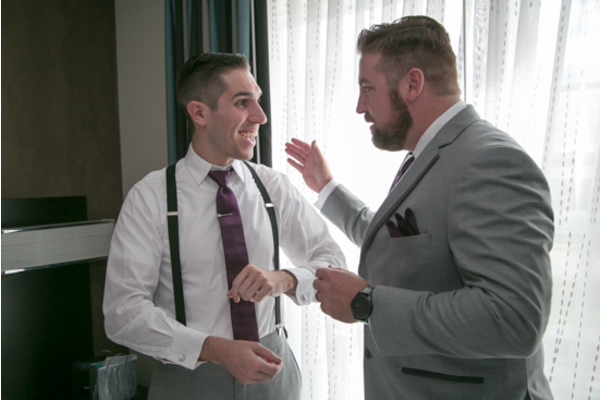 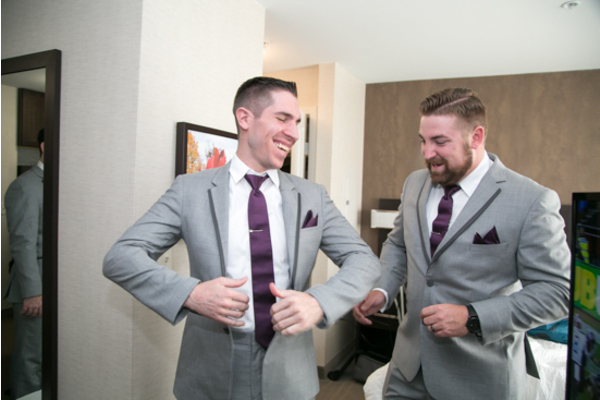 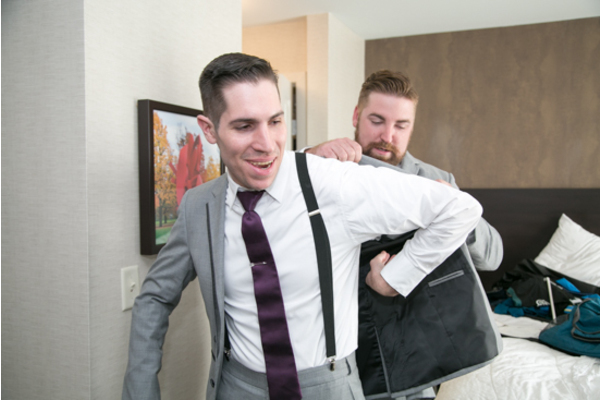 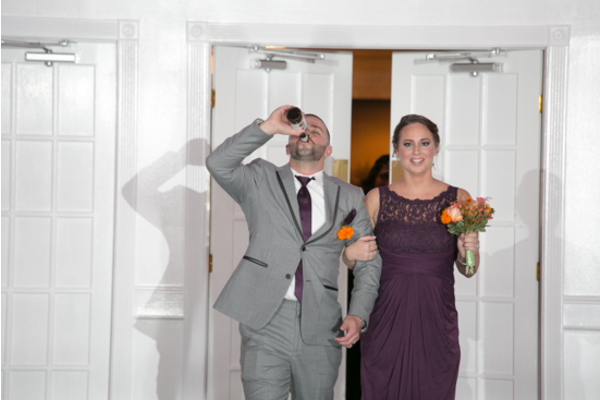 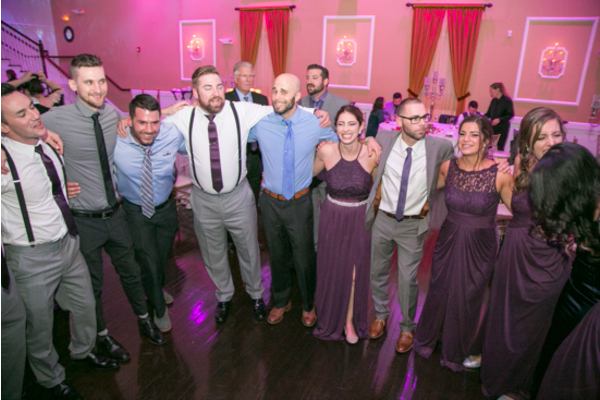 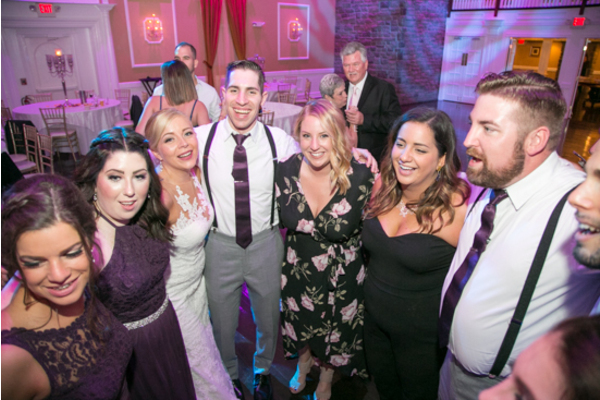 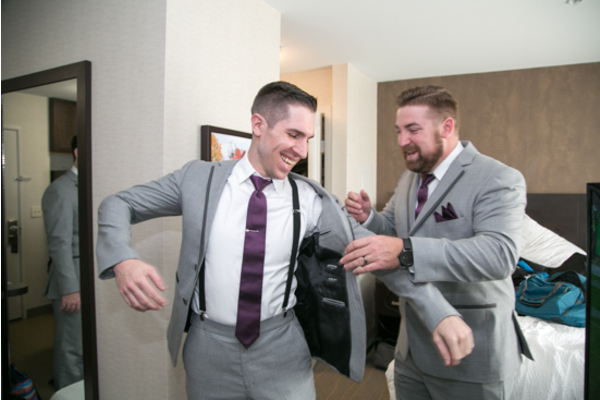 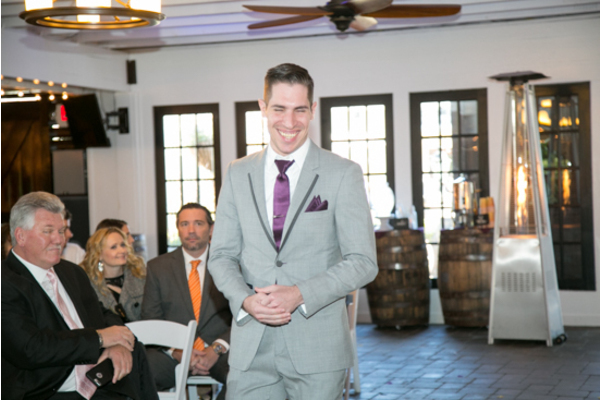 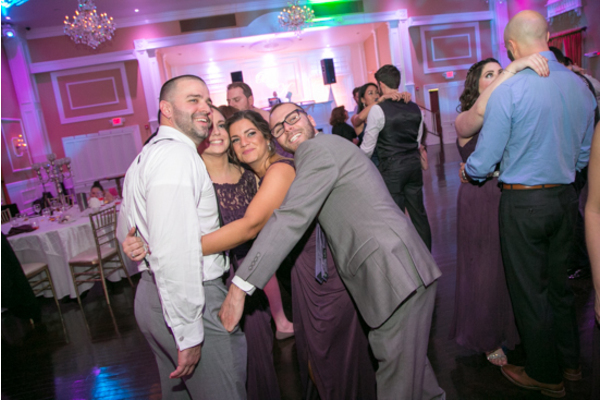 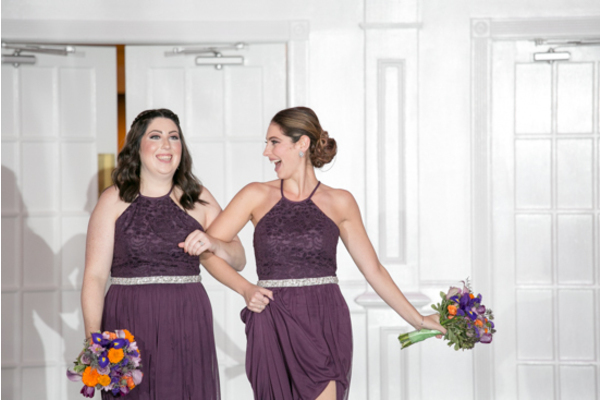 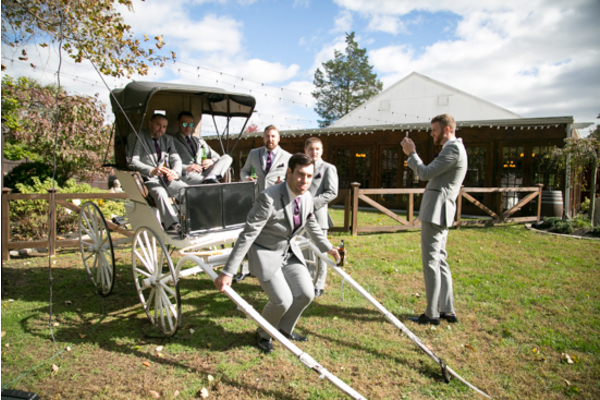 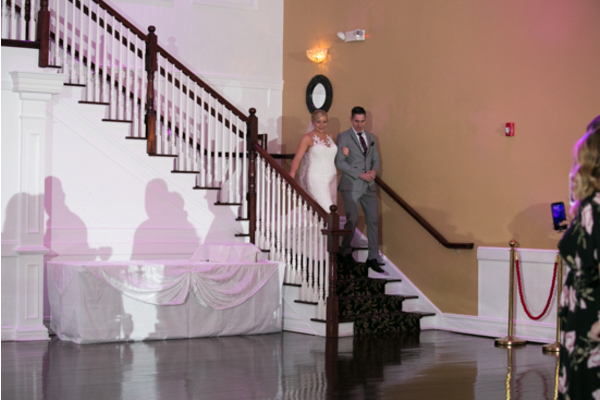 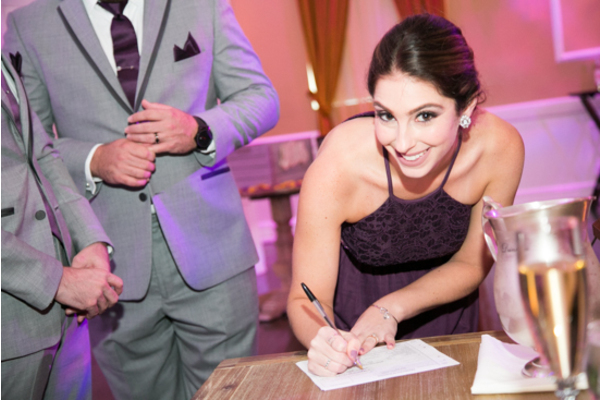 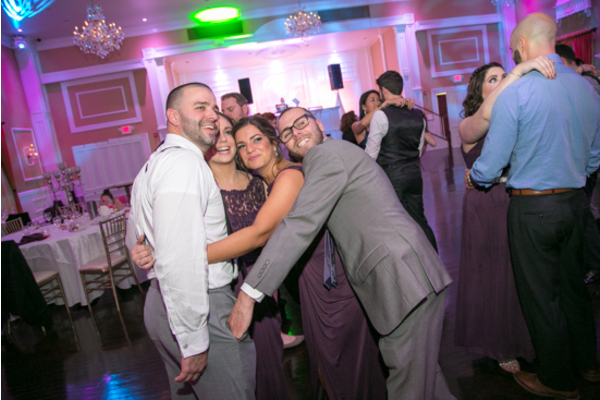 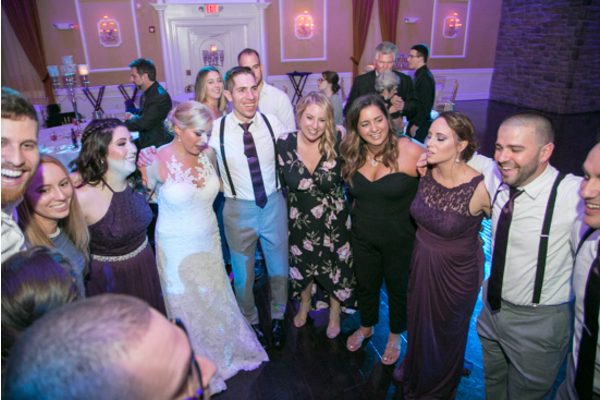 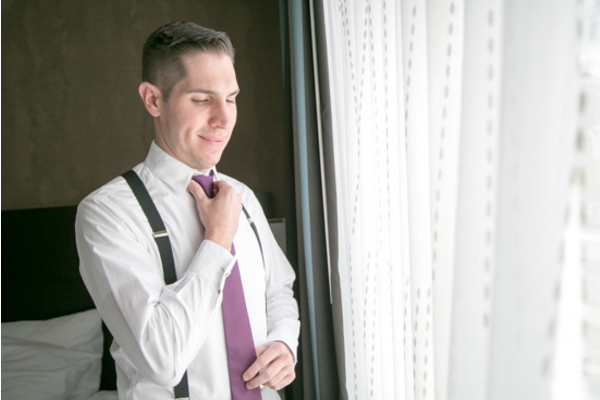 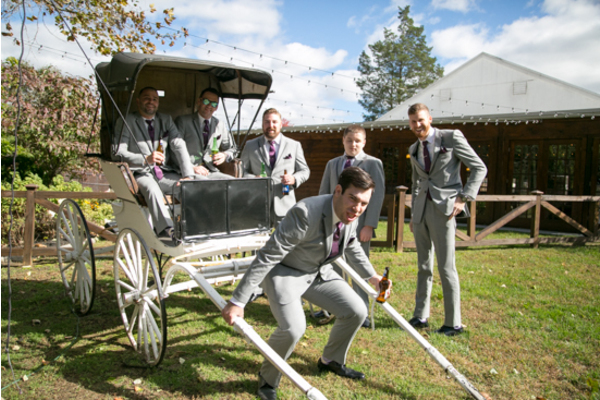 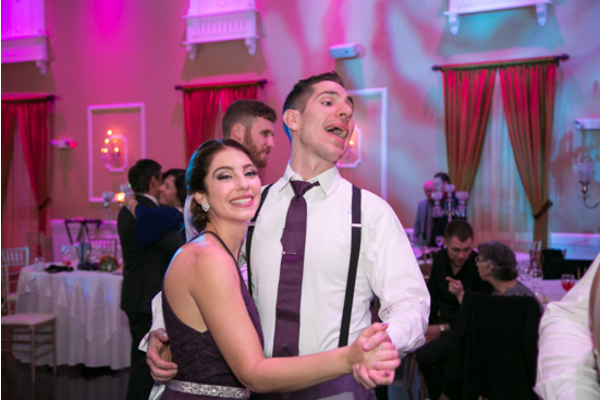 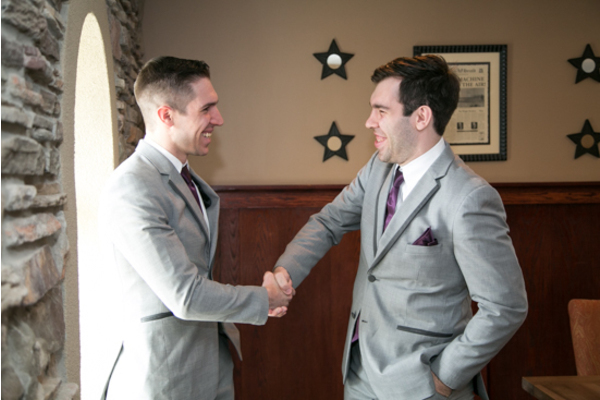 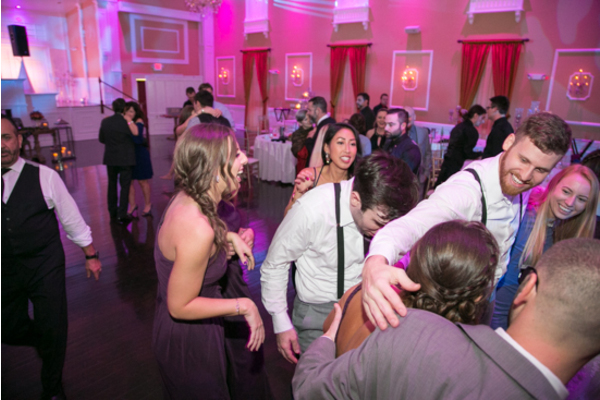 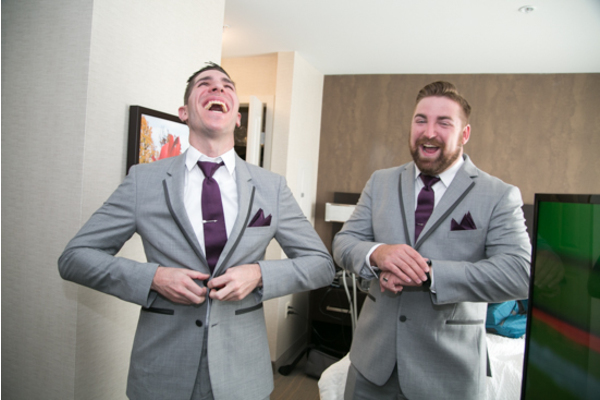 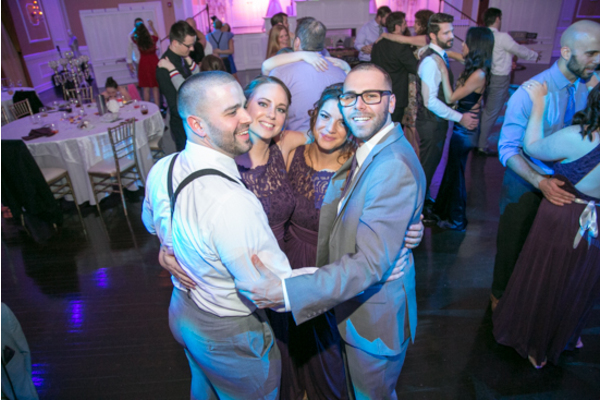 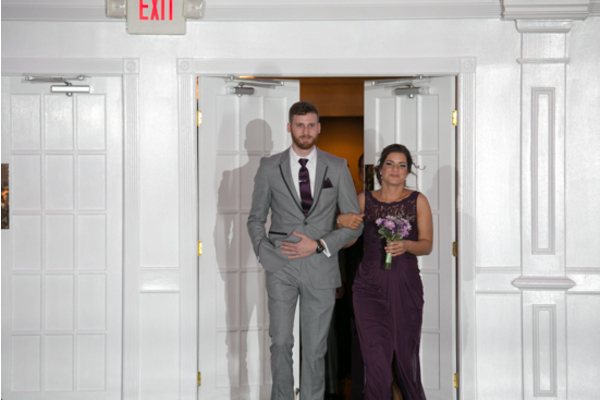 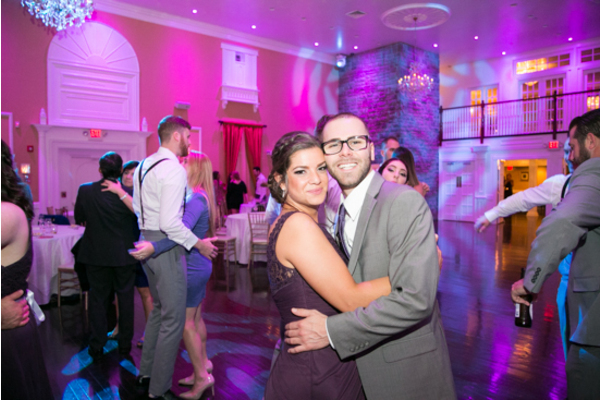 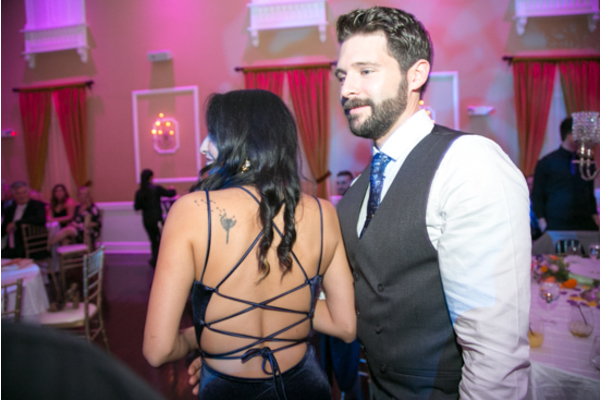 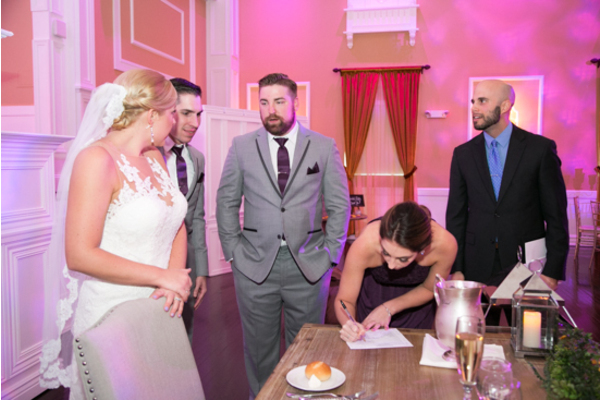 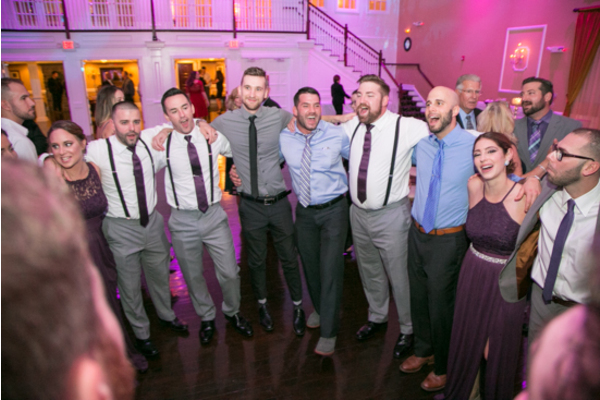 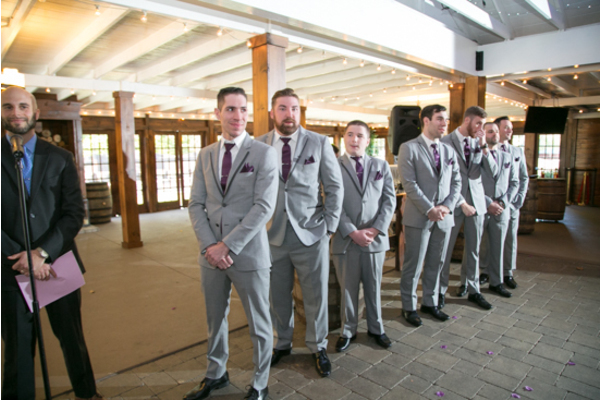 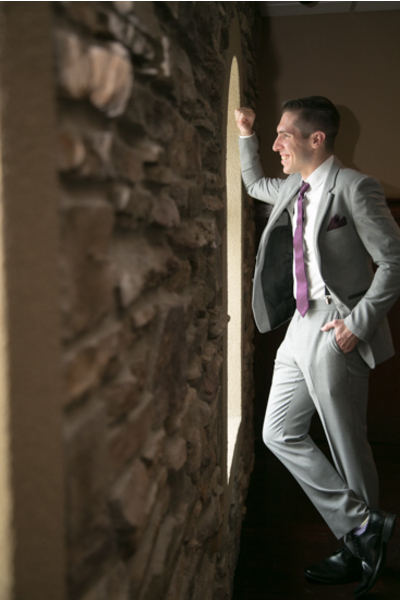 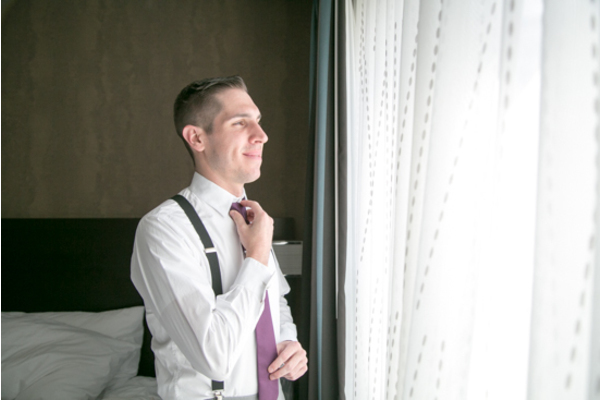 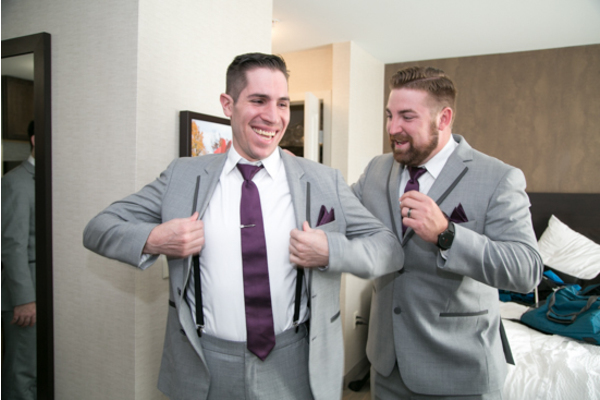 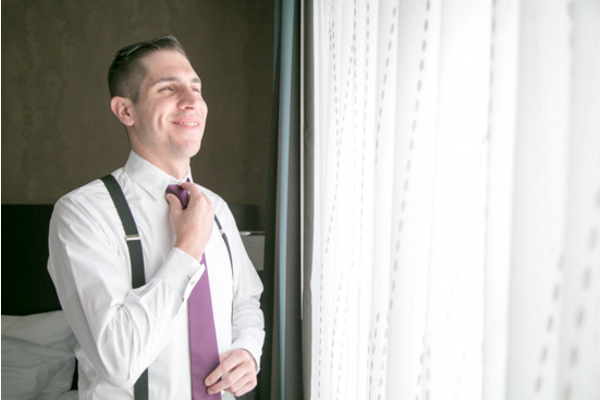 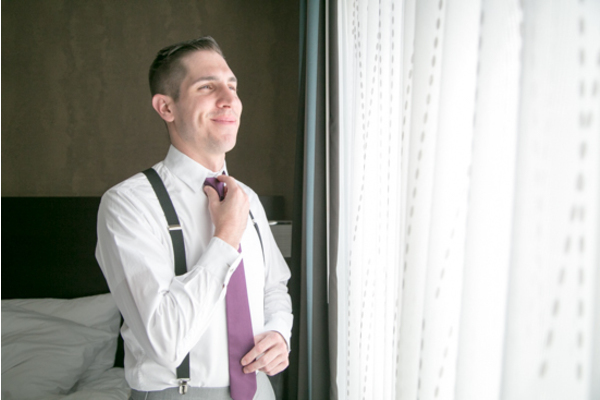 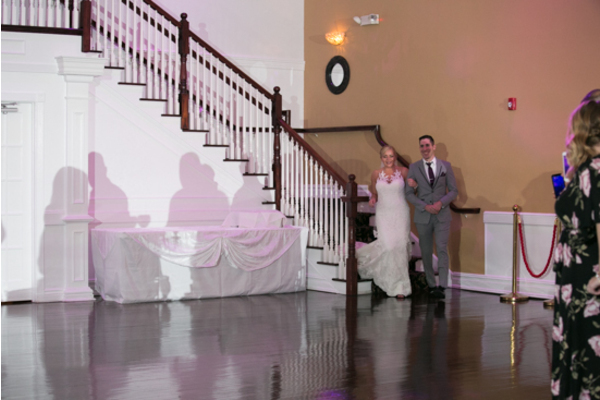 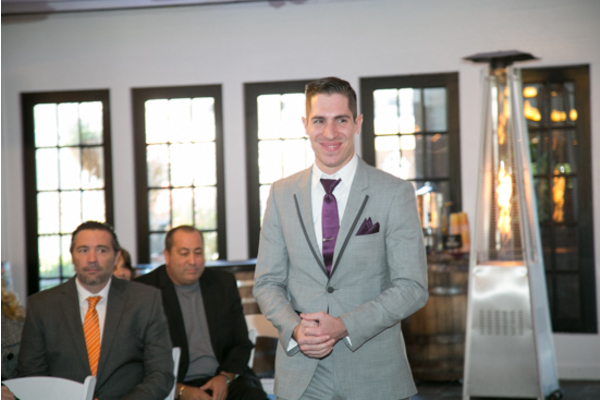 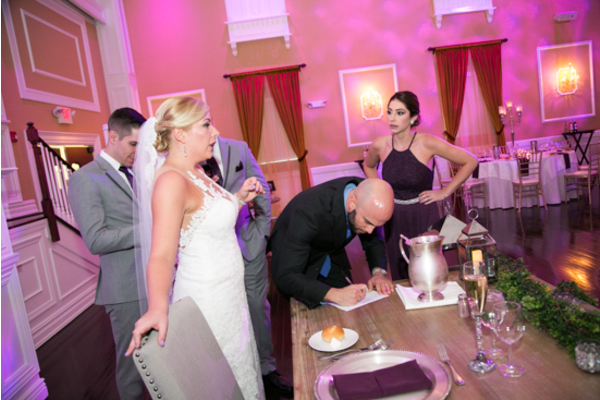 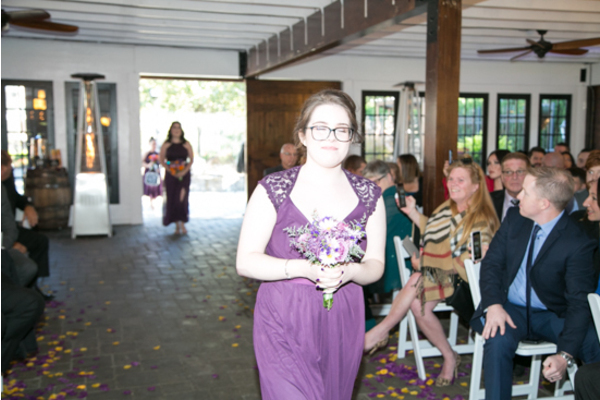 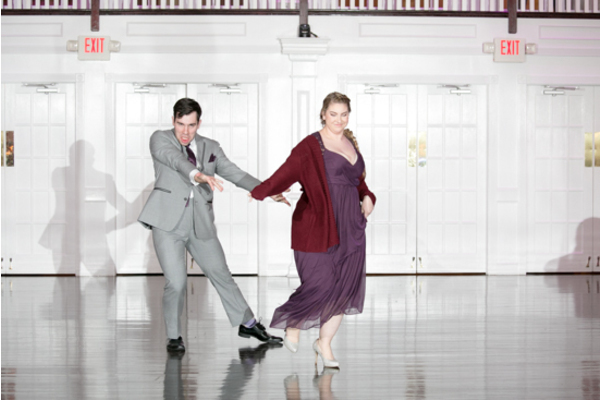 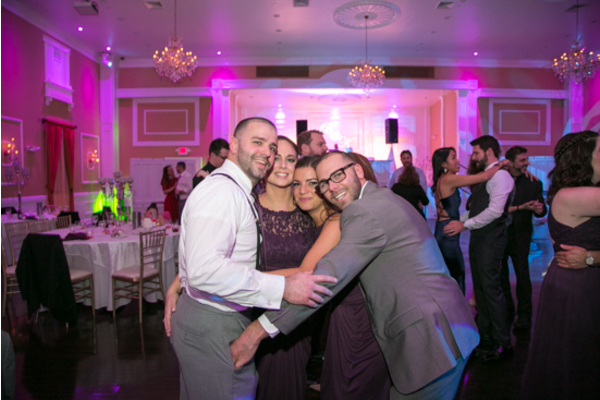 Our NJ Wedding Photographer did not miss a chance for some perfectly timed candid shots. 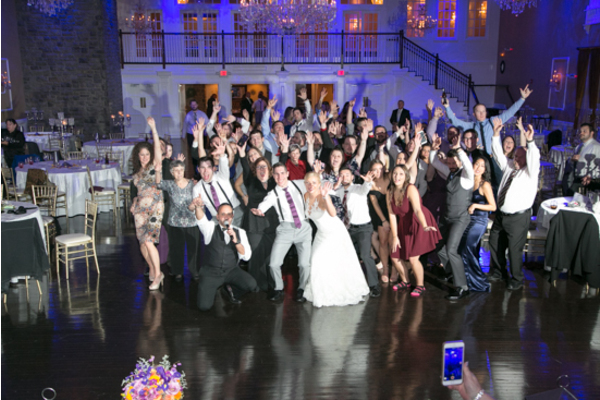 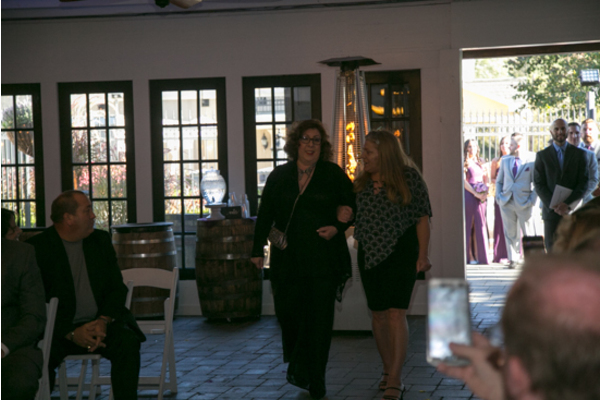 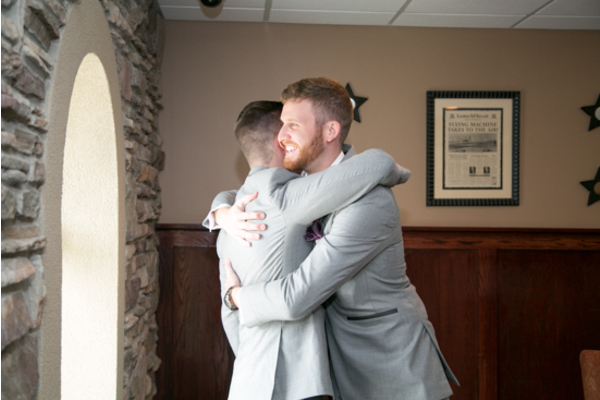 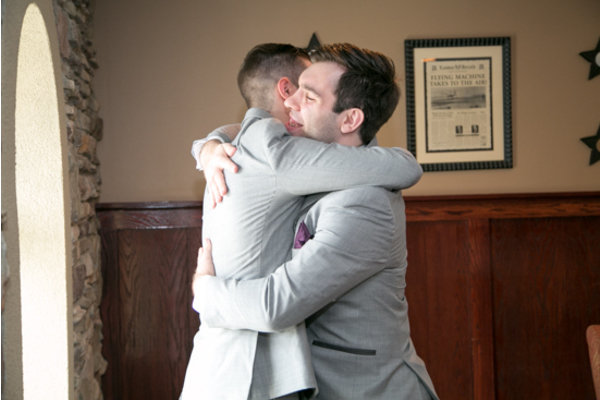 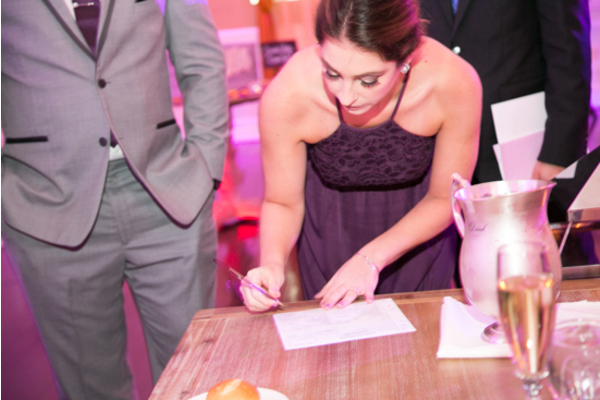 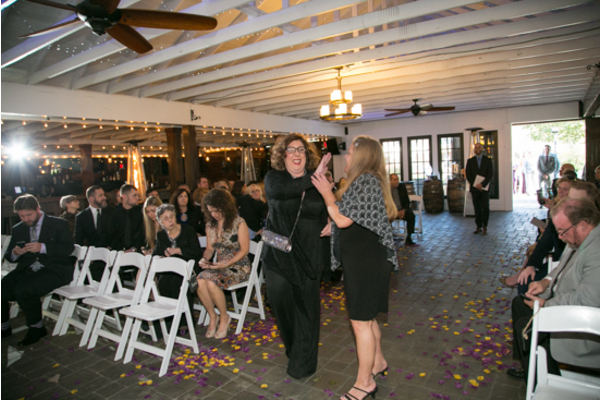 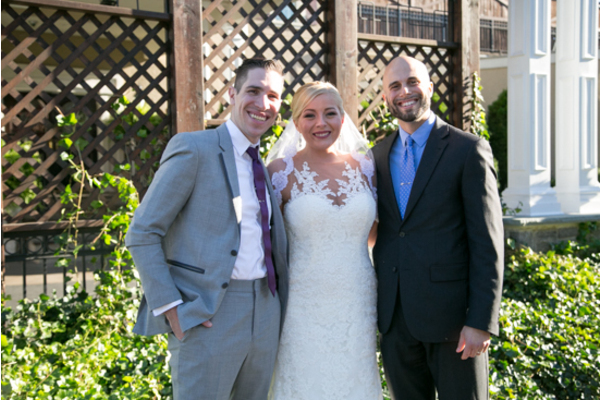 We were so happy to be there for it all! 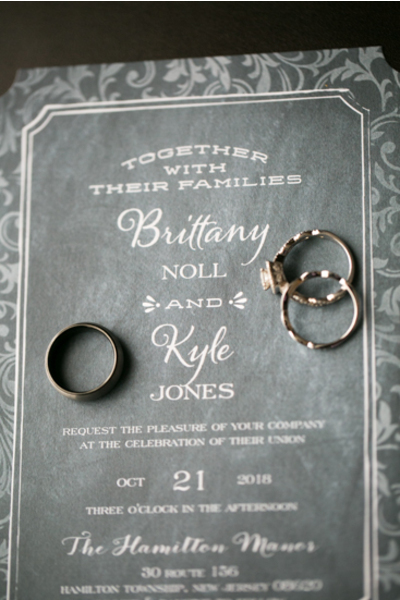 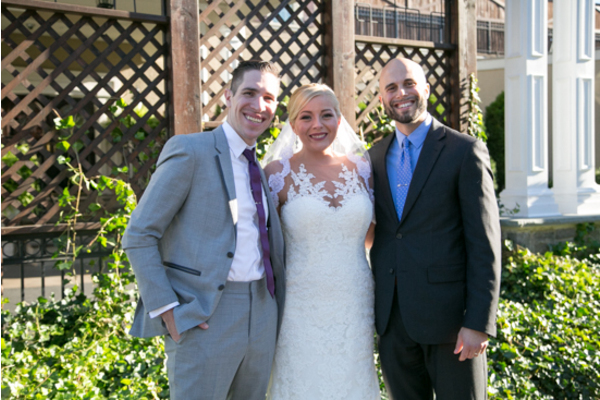 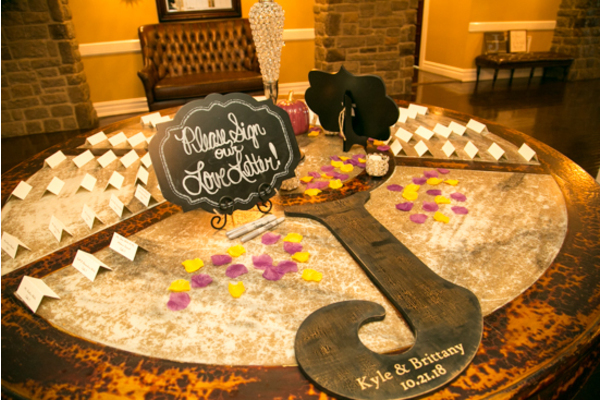 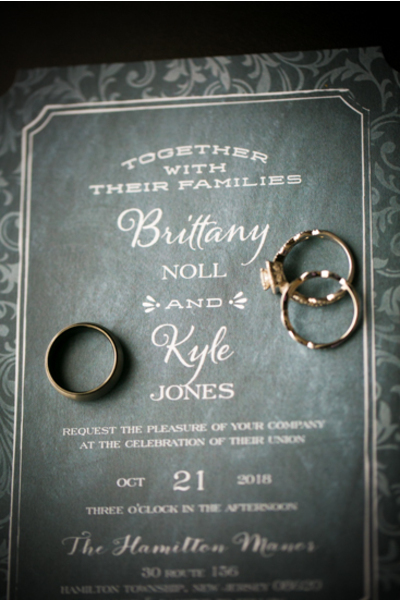 Congratulations, again, to Brittany and Kyle. 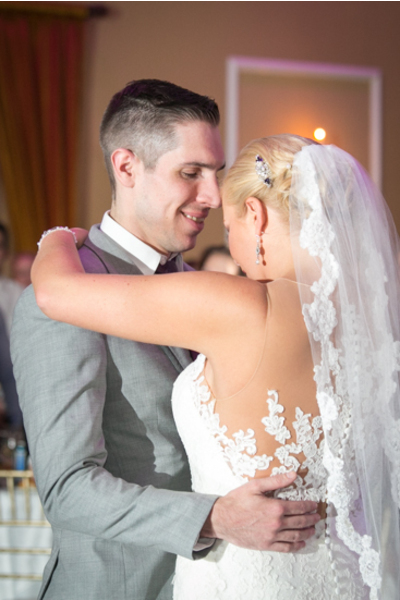 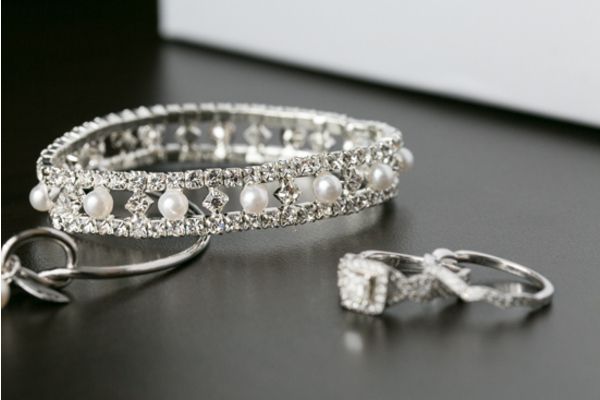 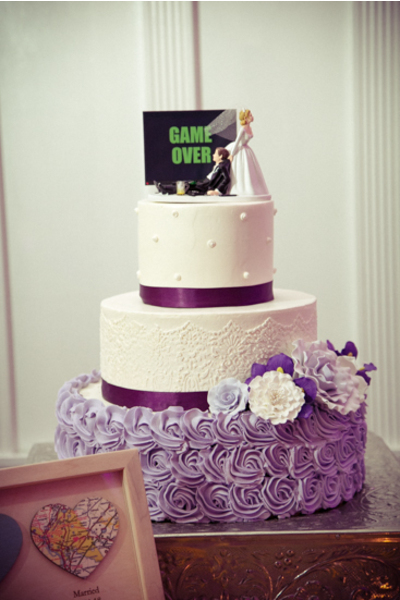 We wish you a lifetime of happiness together!